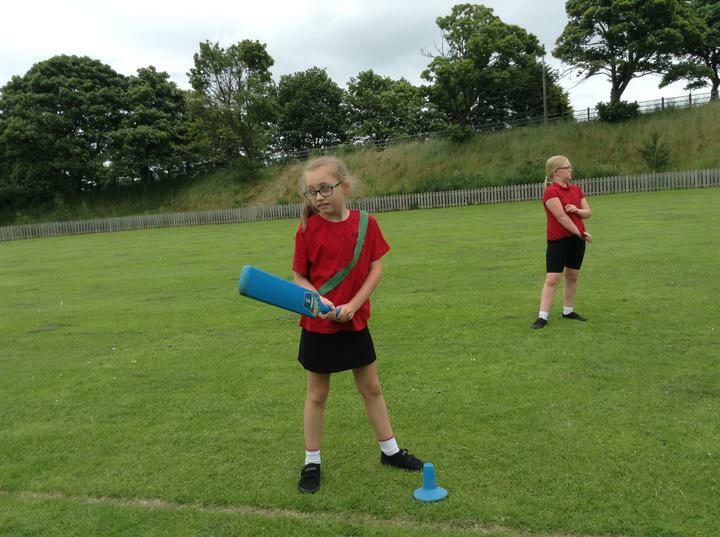 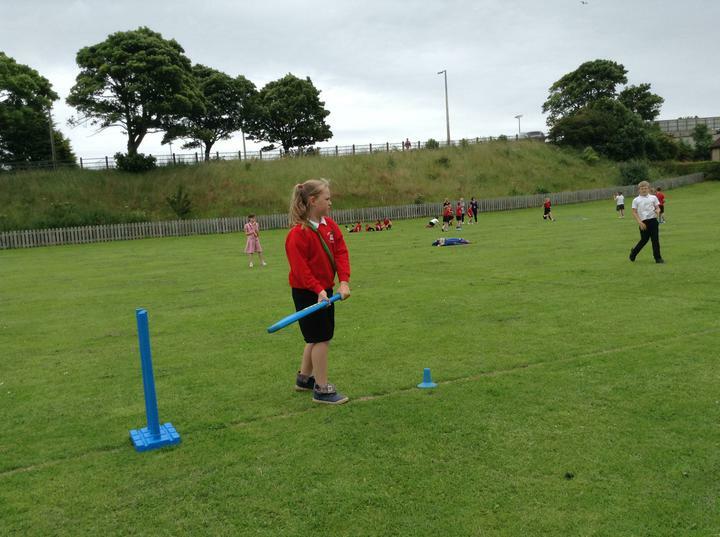 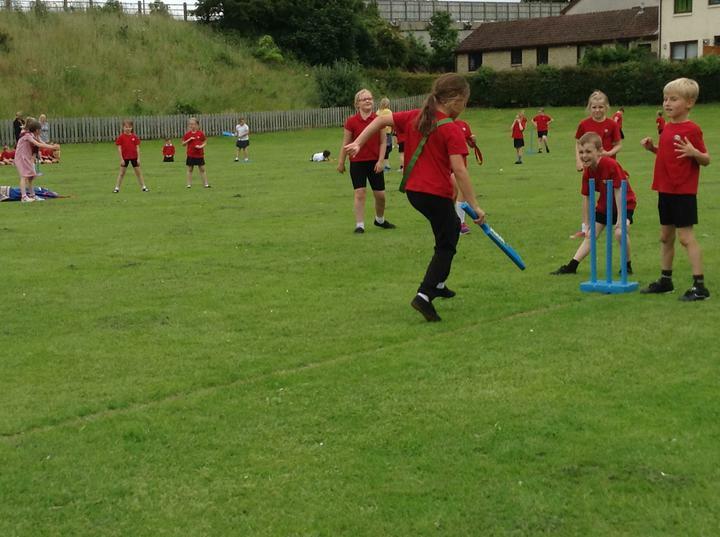 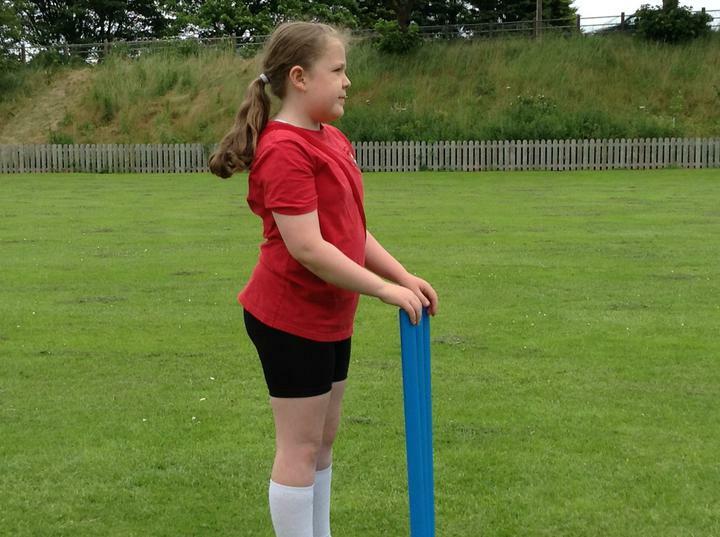 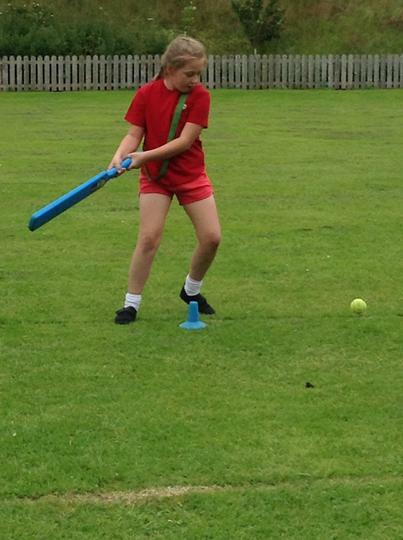 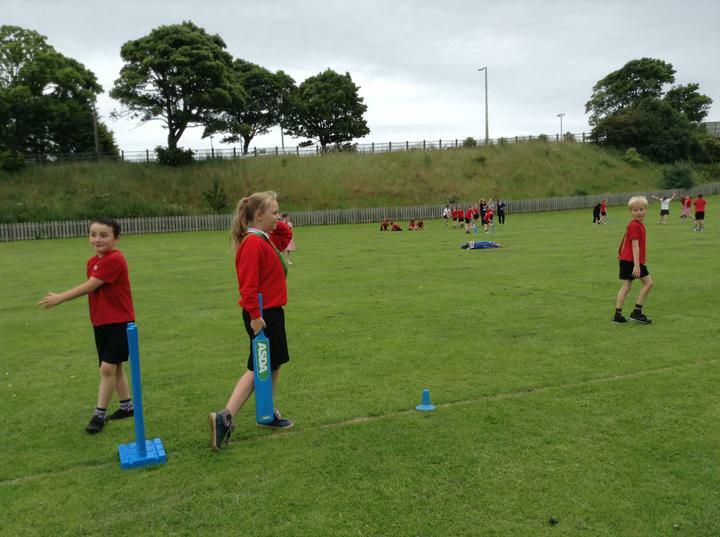 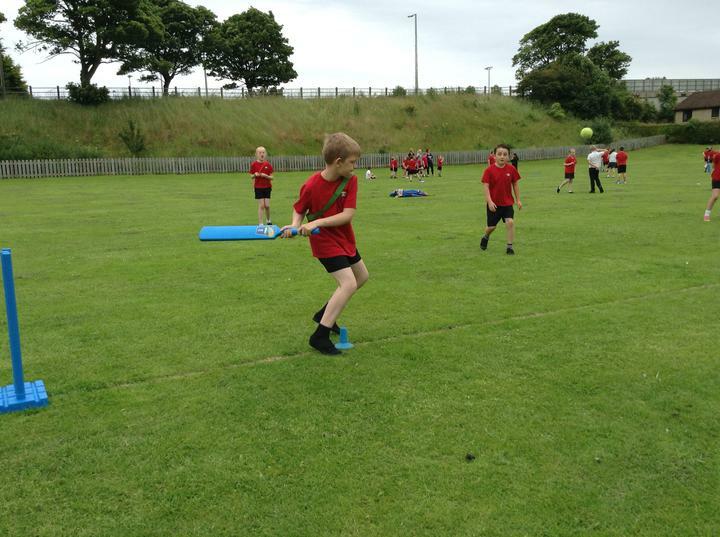 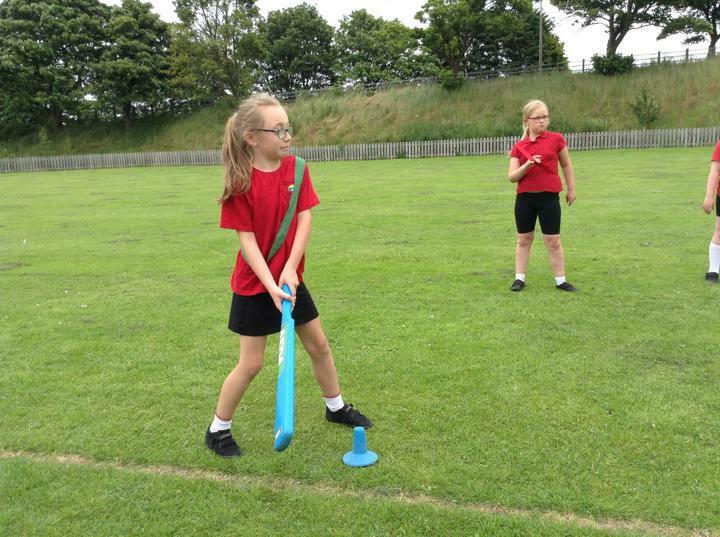 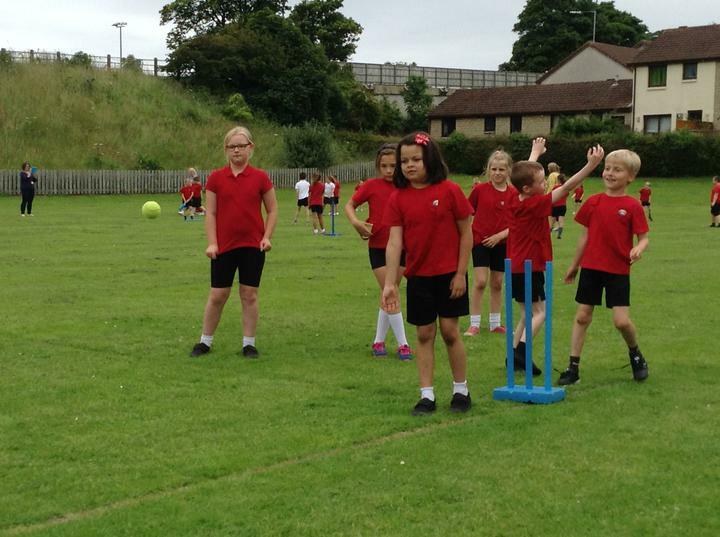 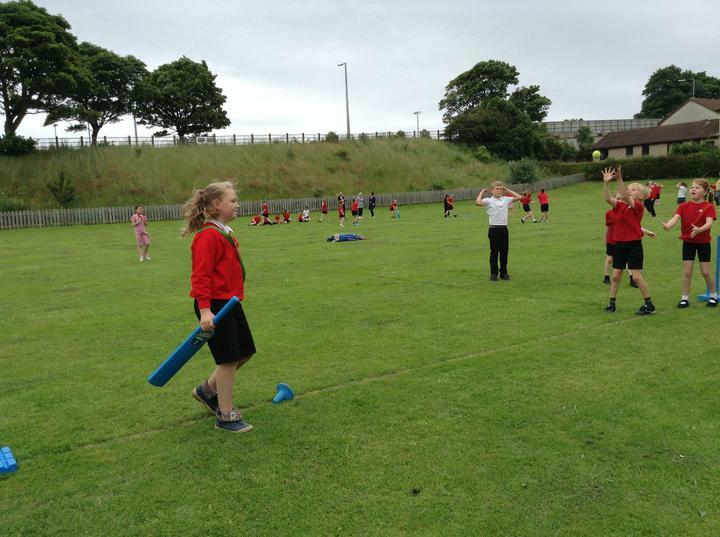 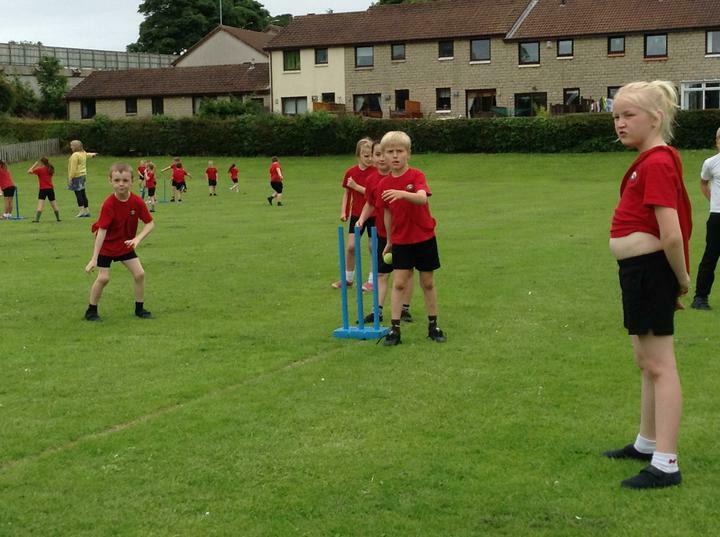 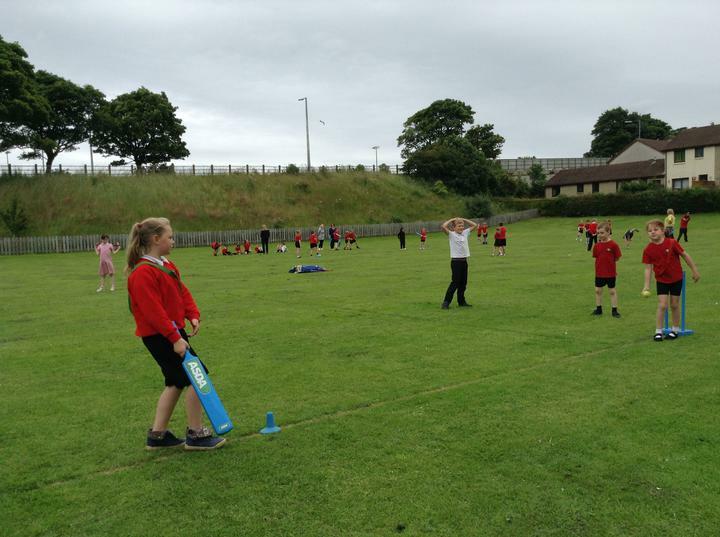 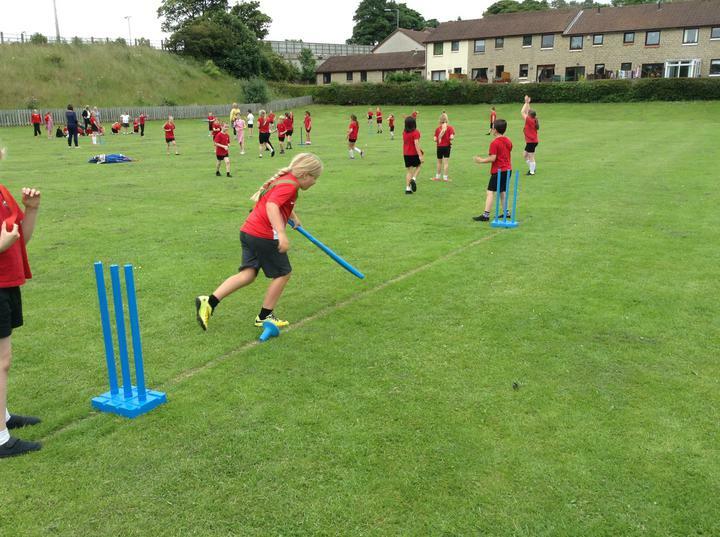 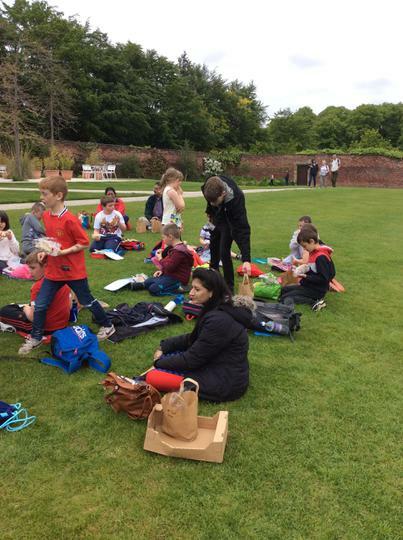 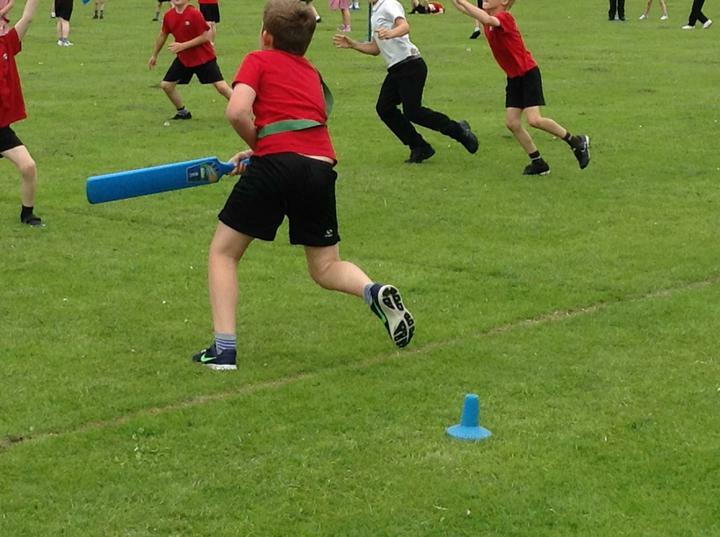 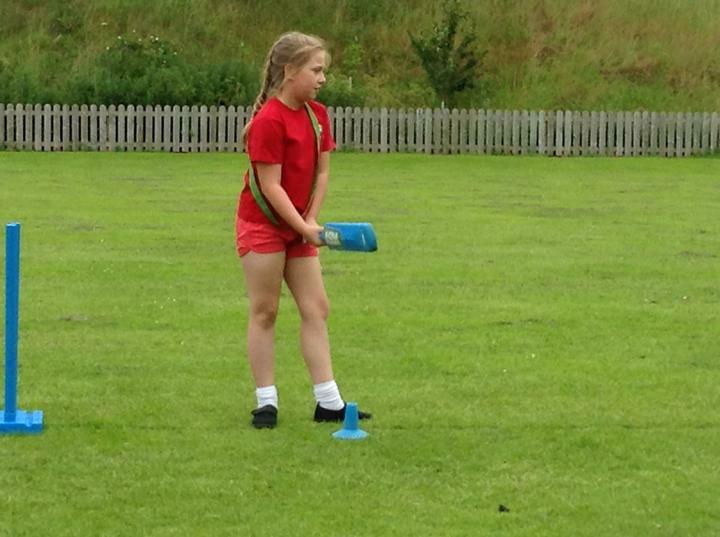 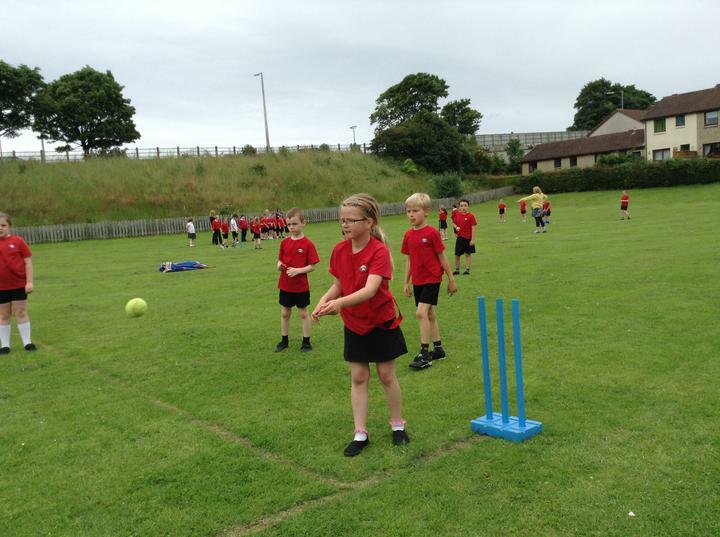 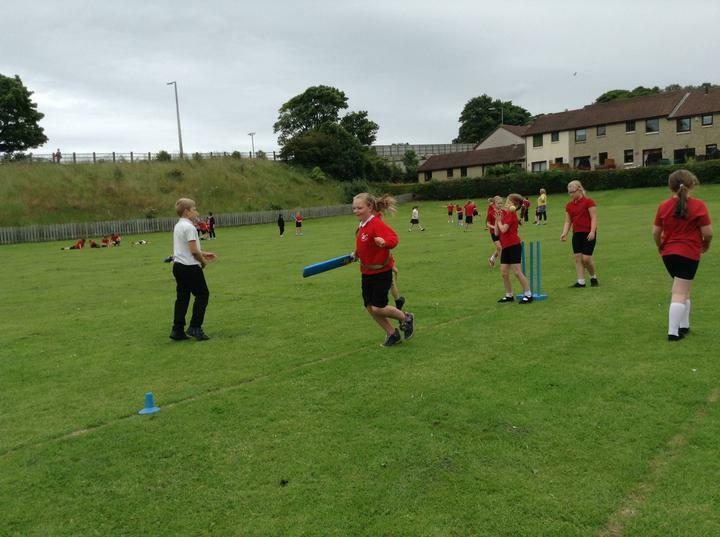 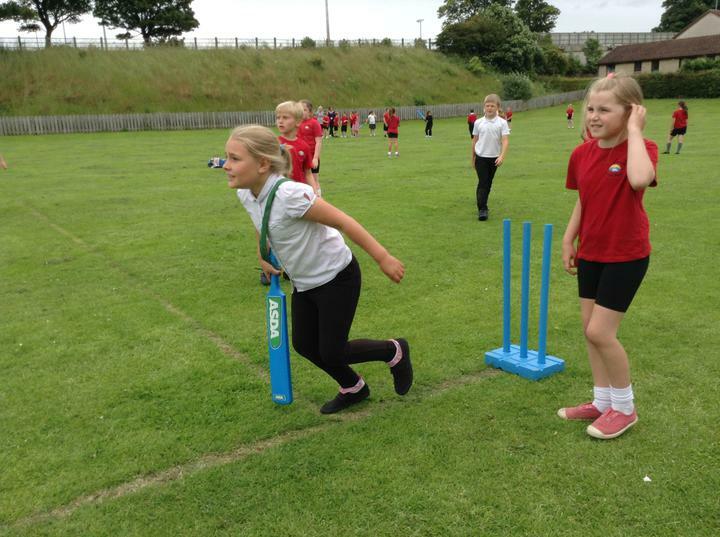 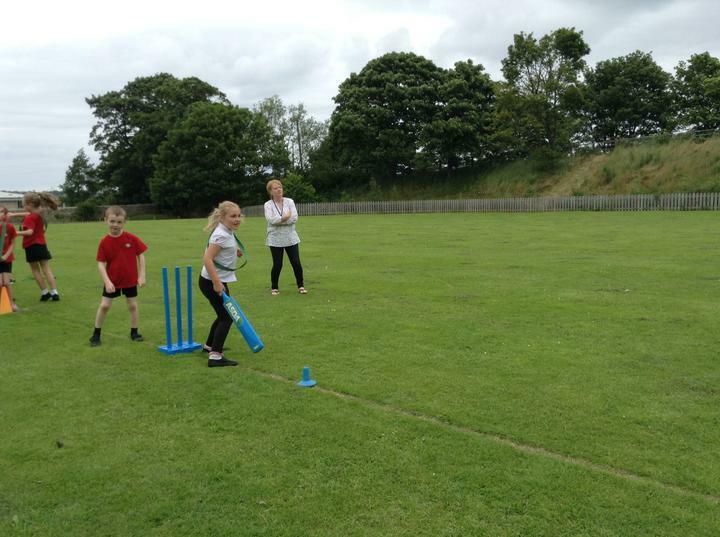 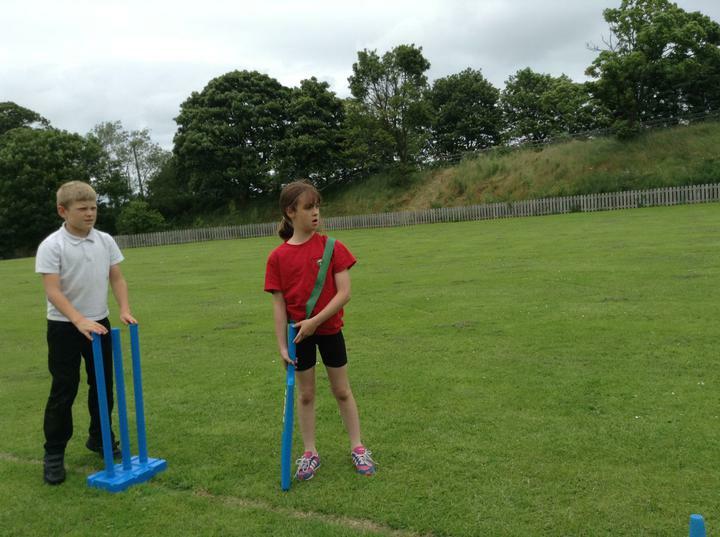 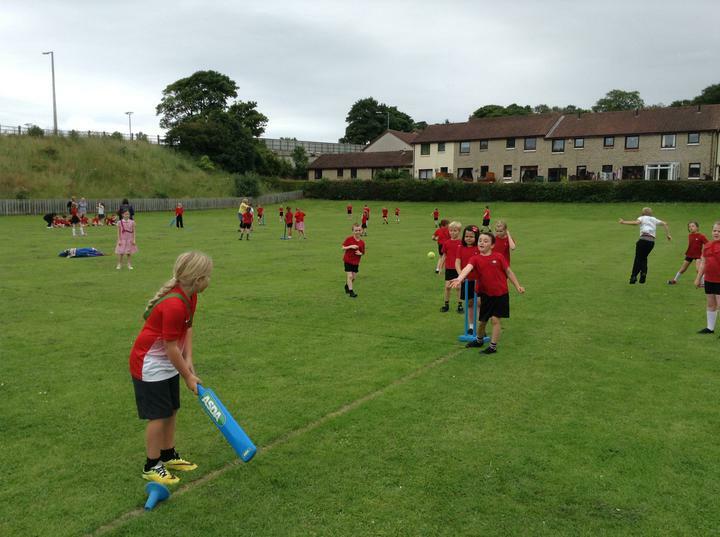 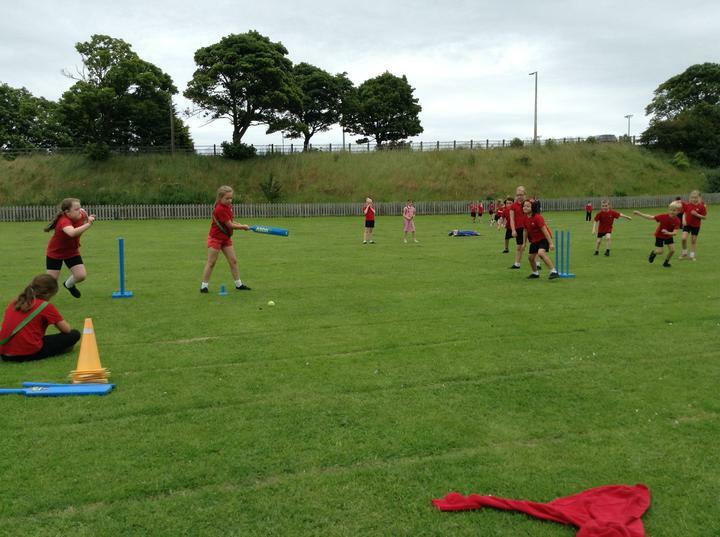 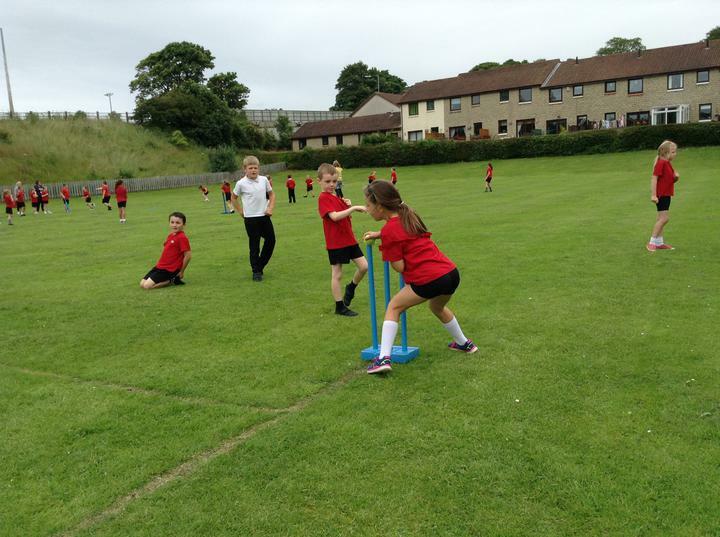 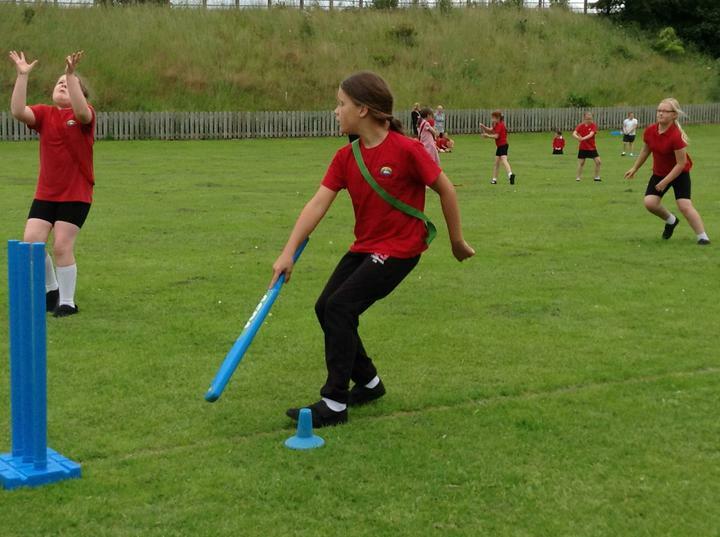 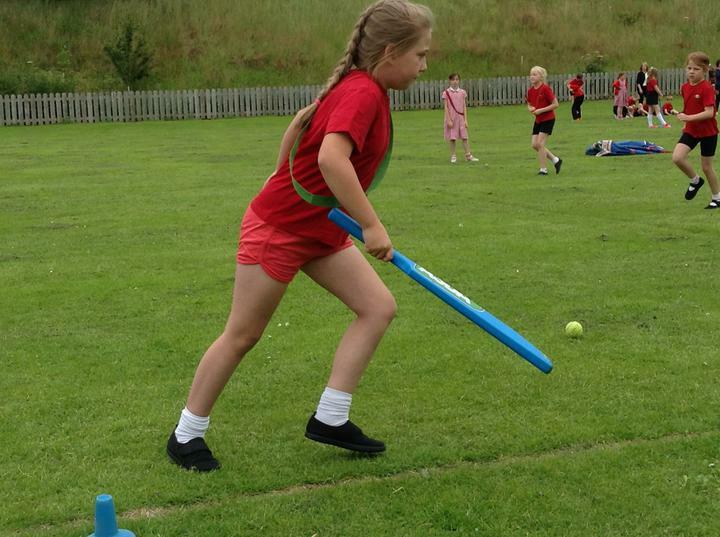 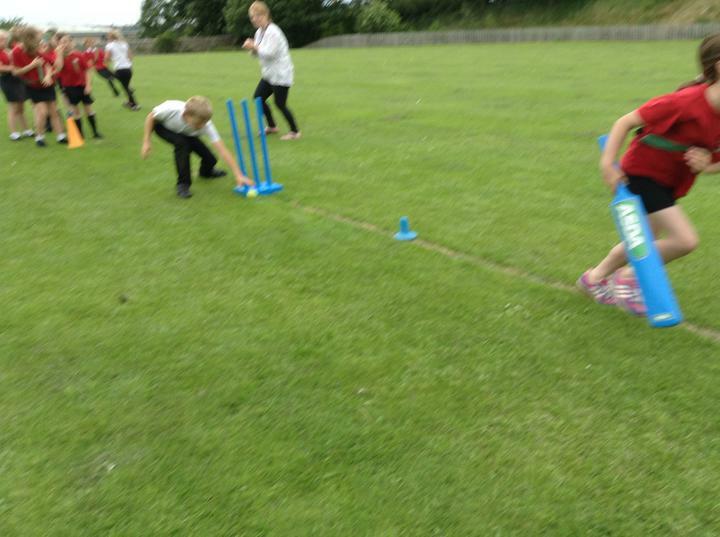 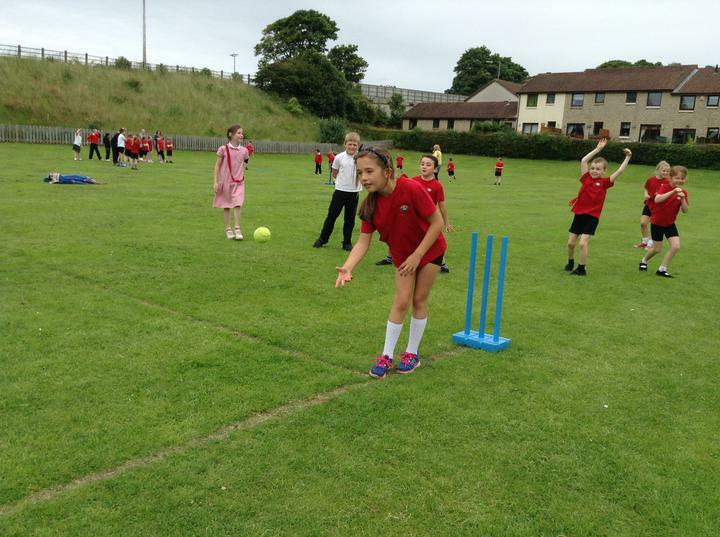 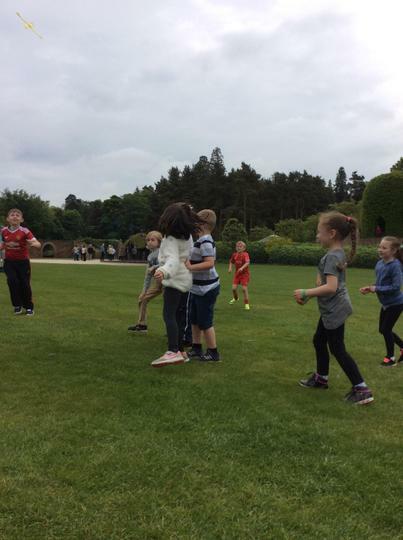 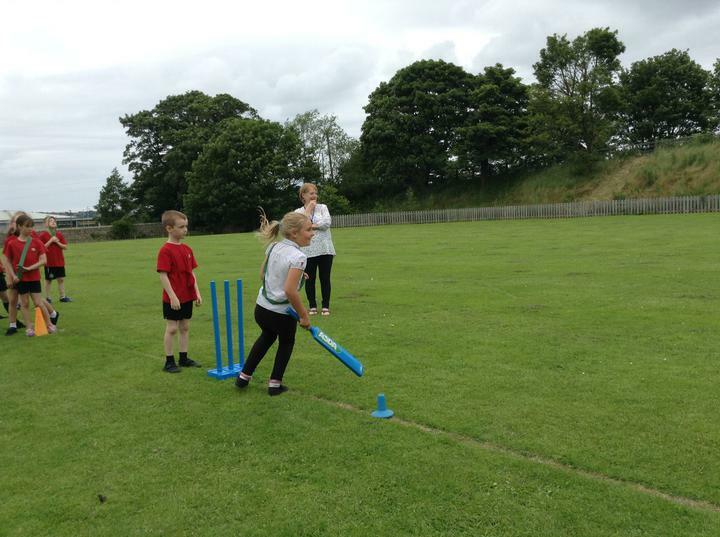 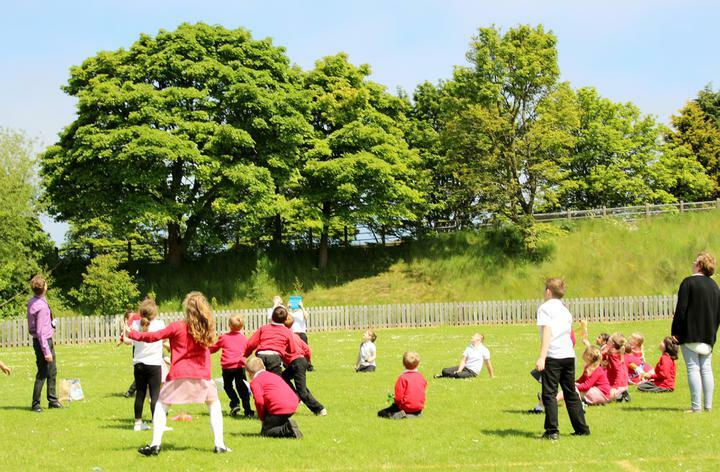 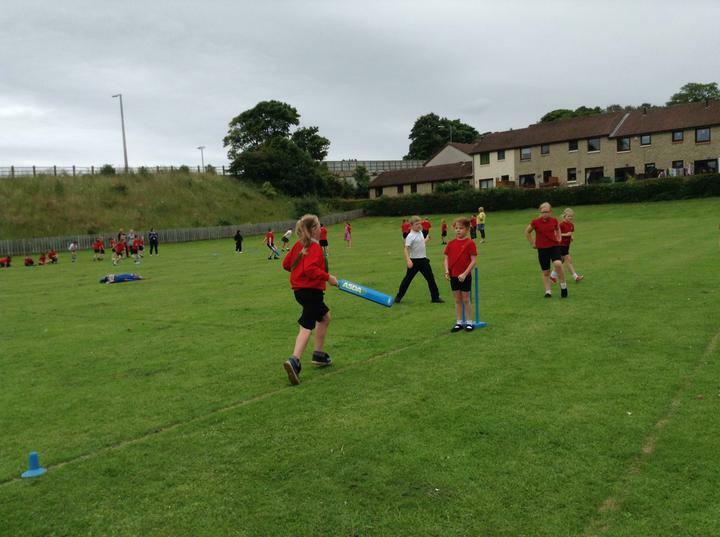 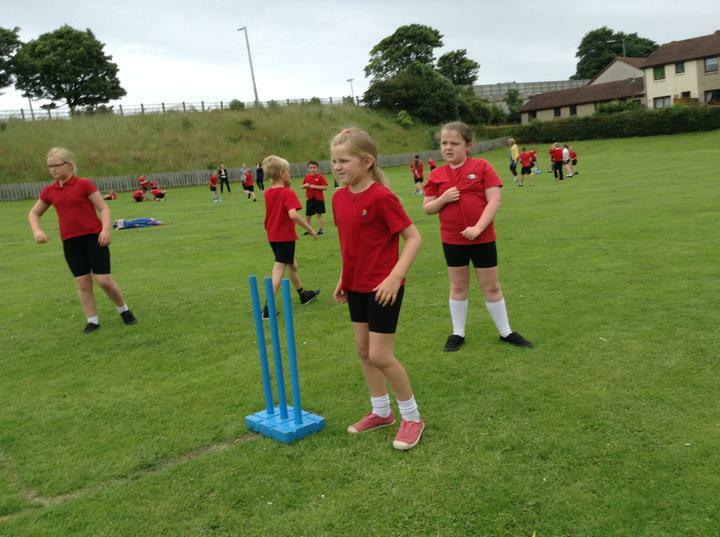 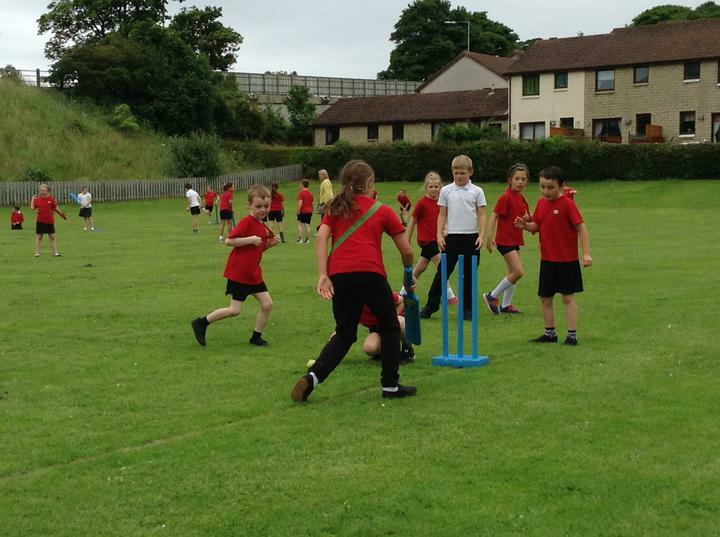 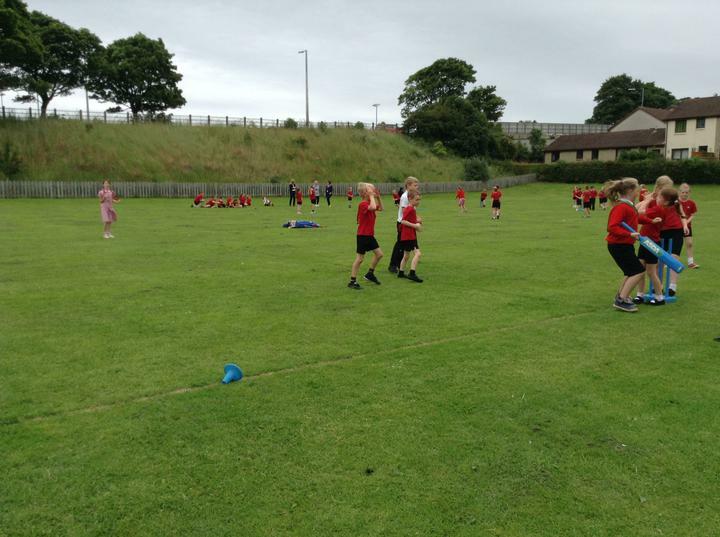 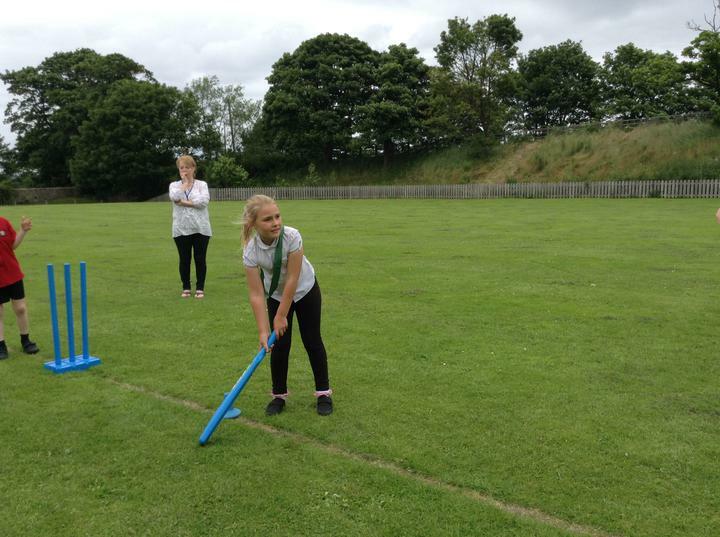 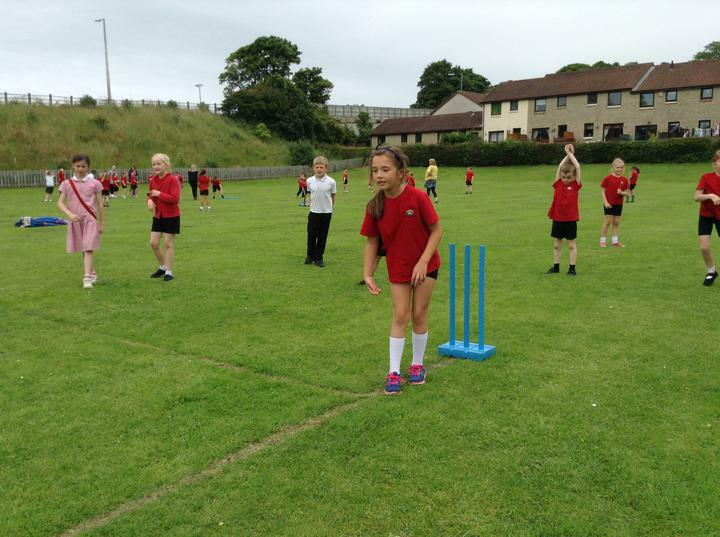 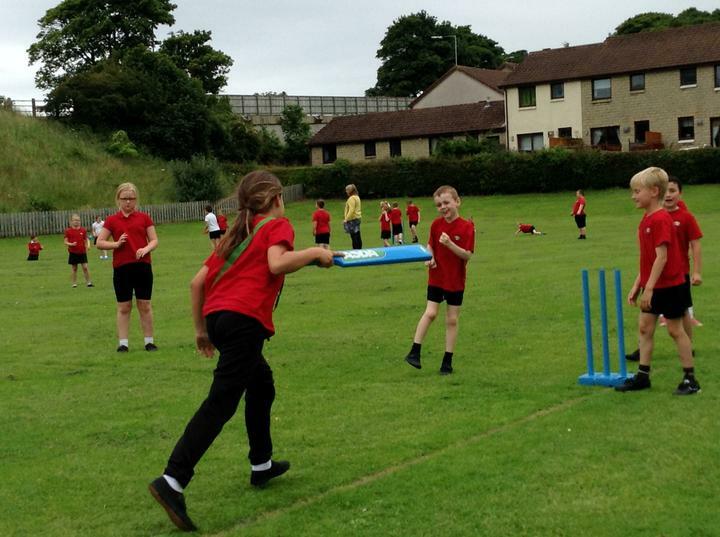 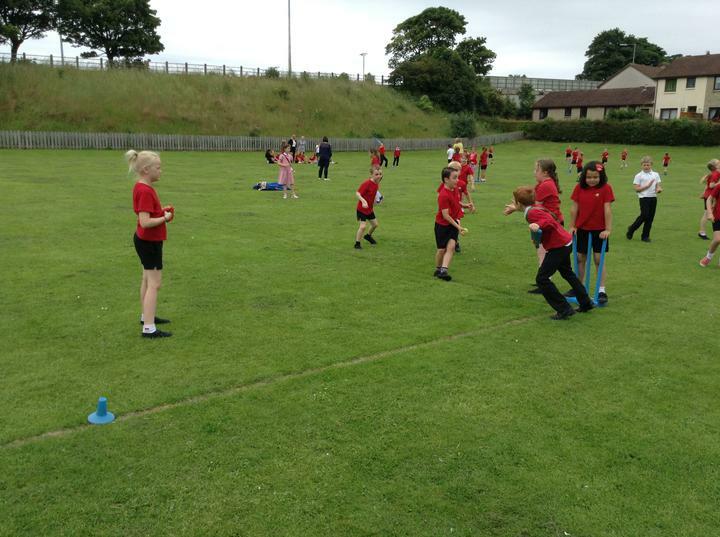 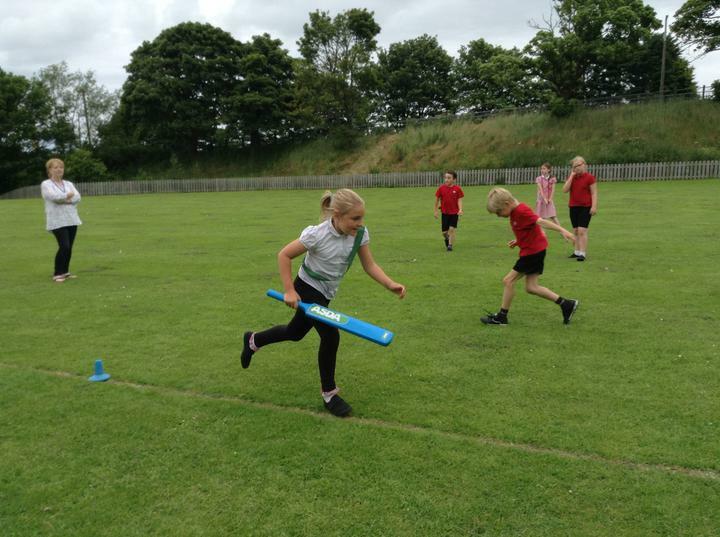 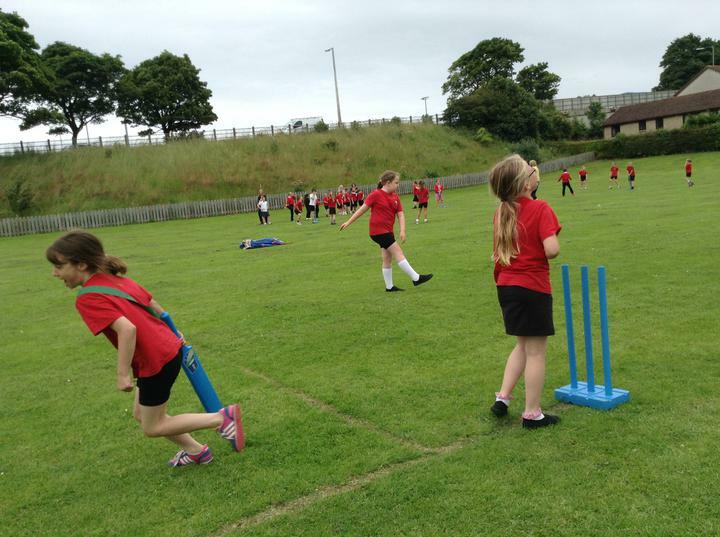 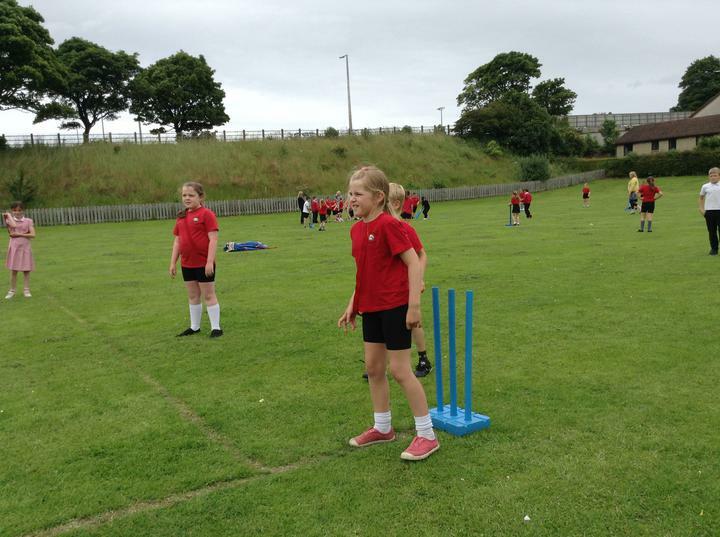 It was time for this term's sporting competition and so Class 3 and Class 4 got together and played some cricket and some rounders. 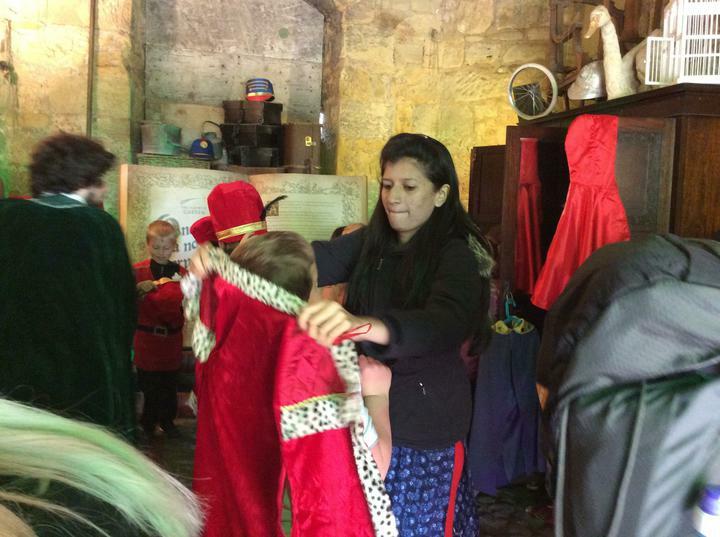 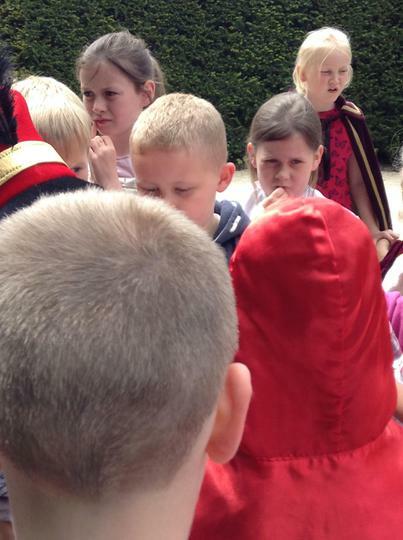 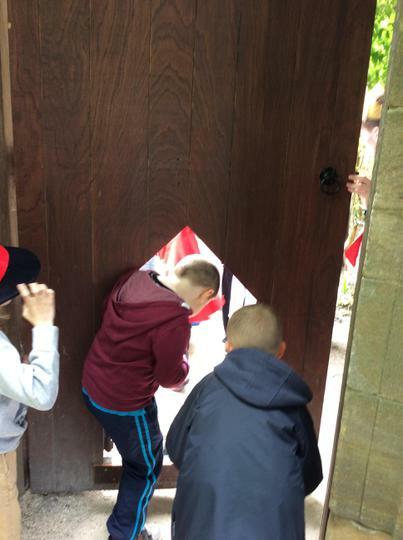 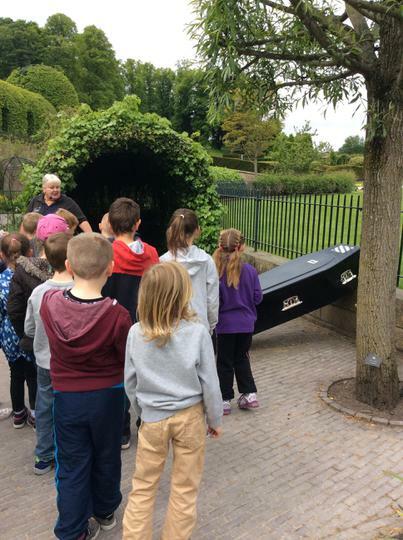 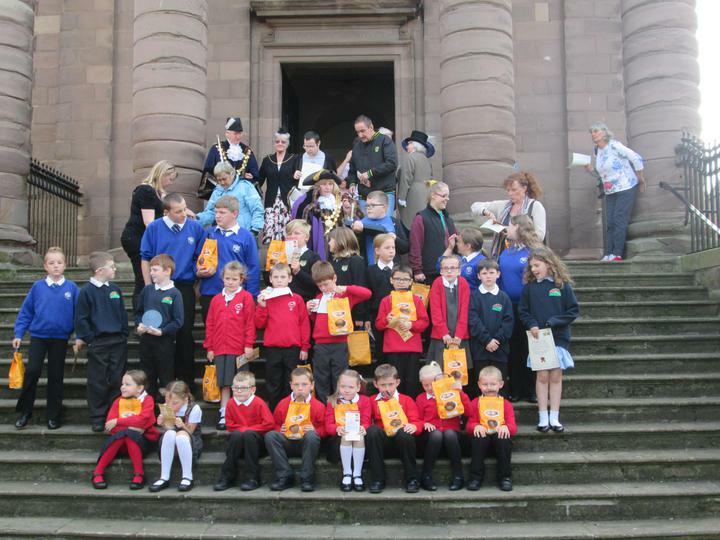 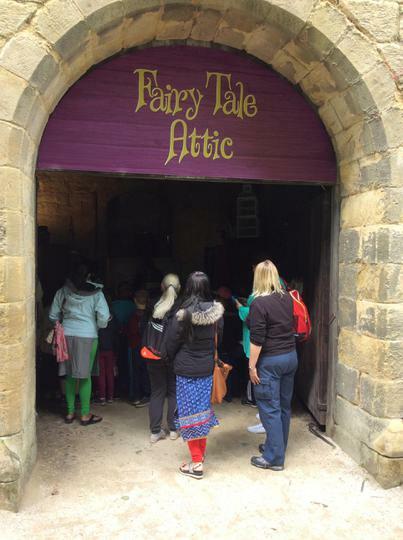 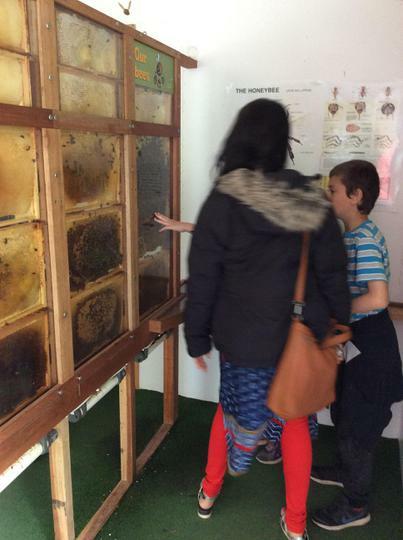 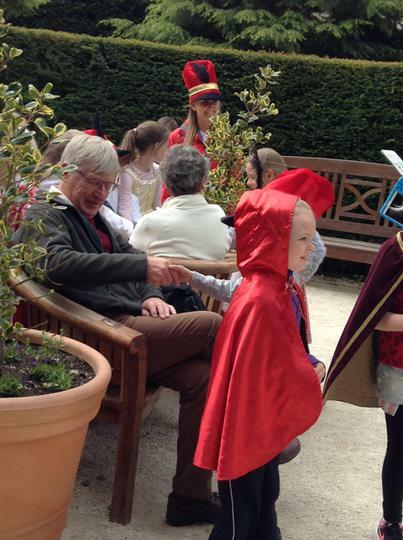 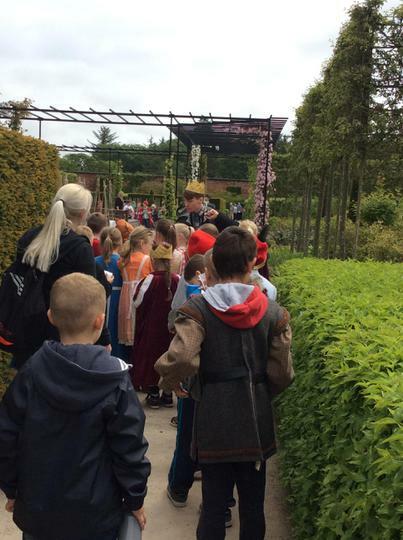 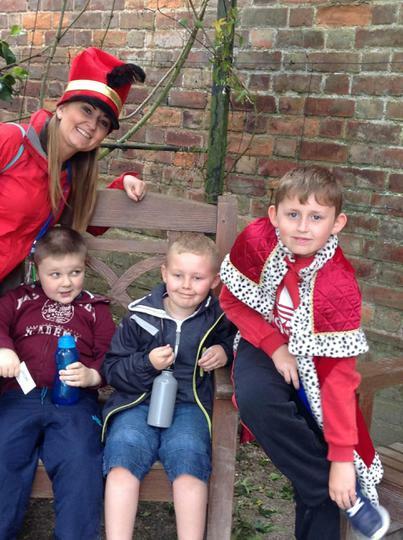 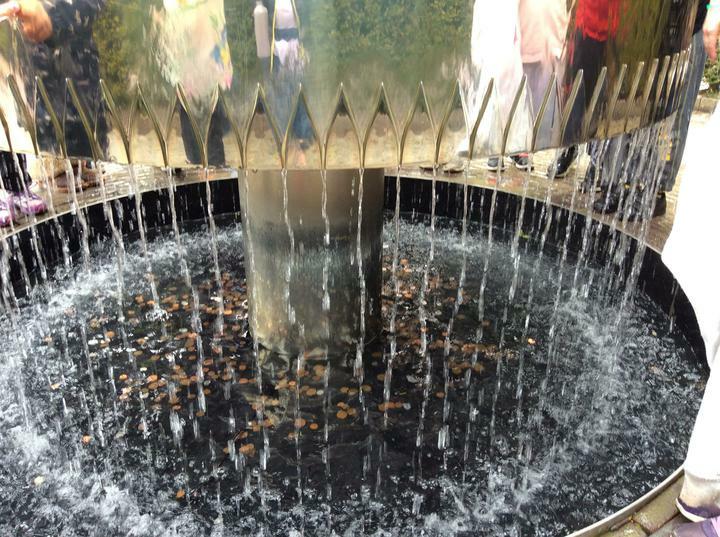 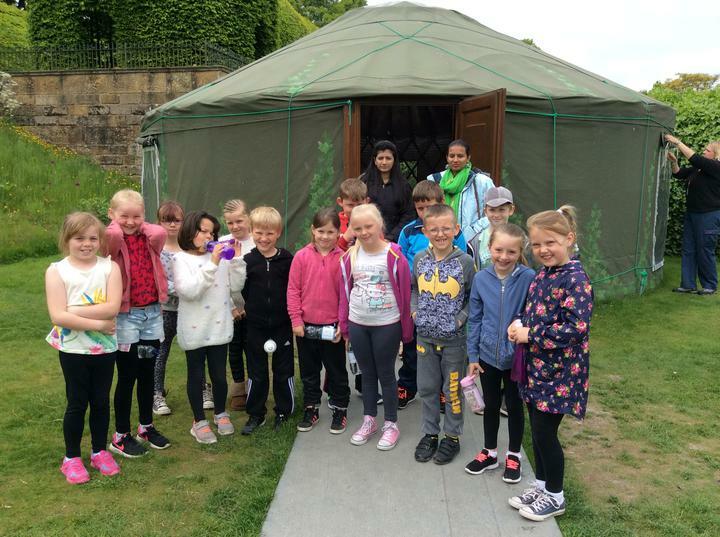 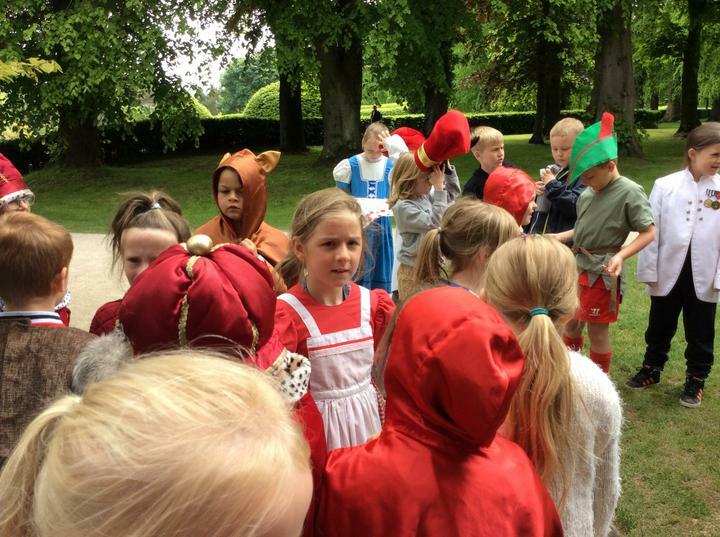 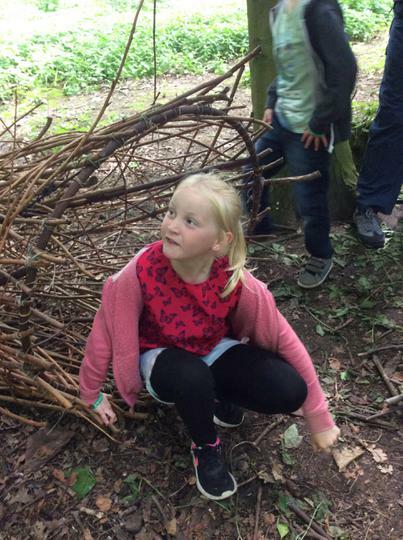 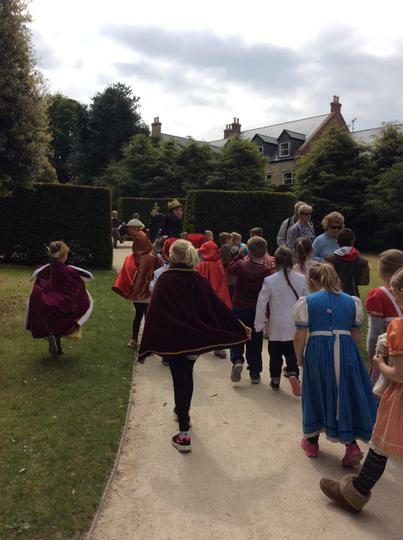 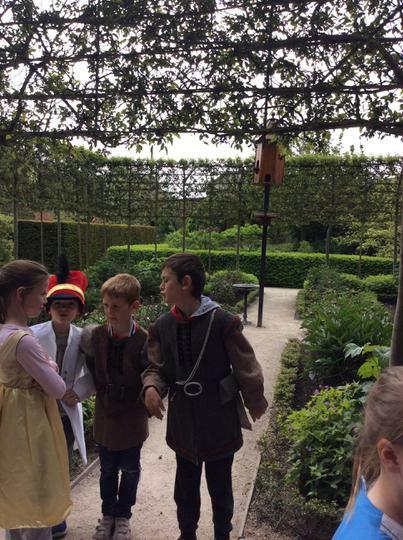 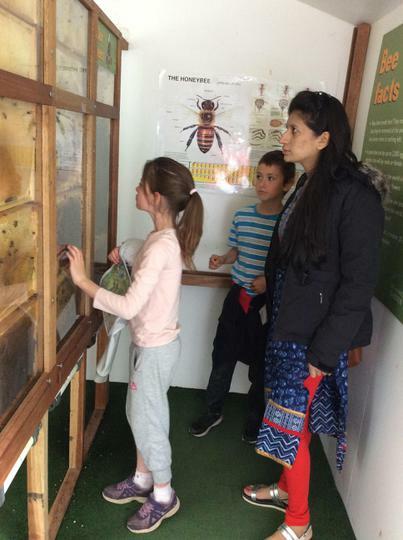 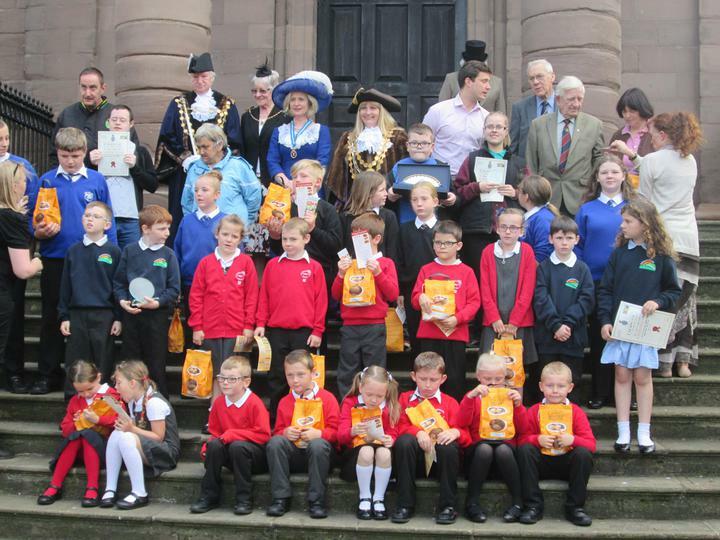 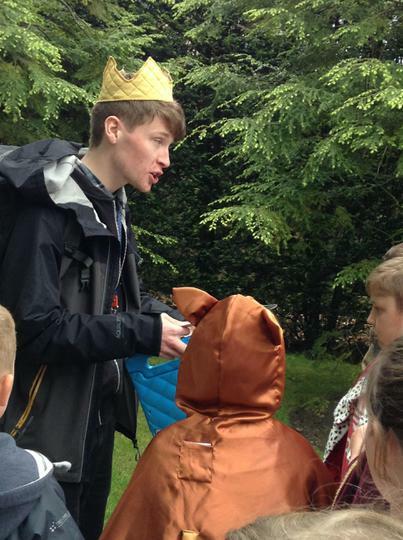 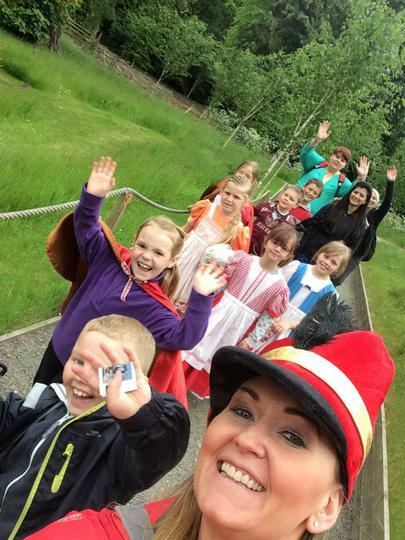 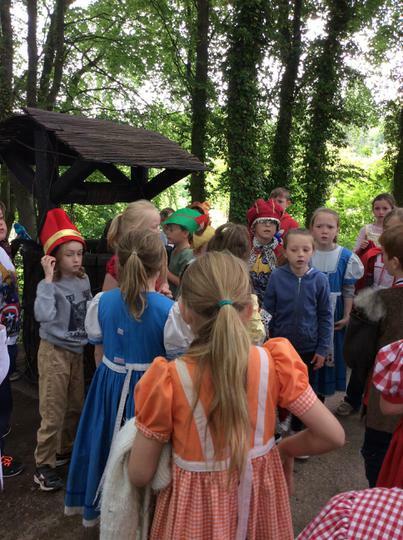 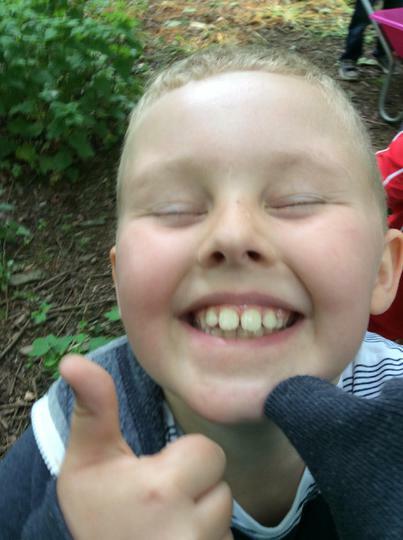 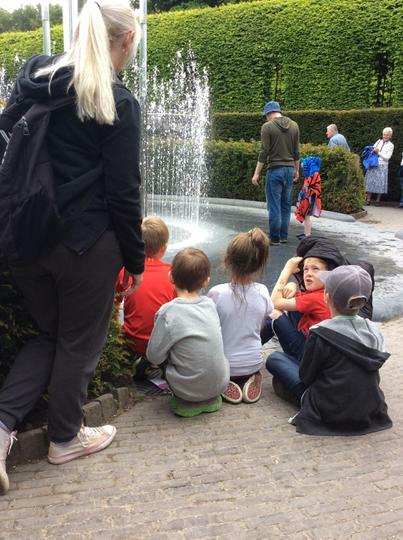 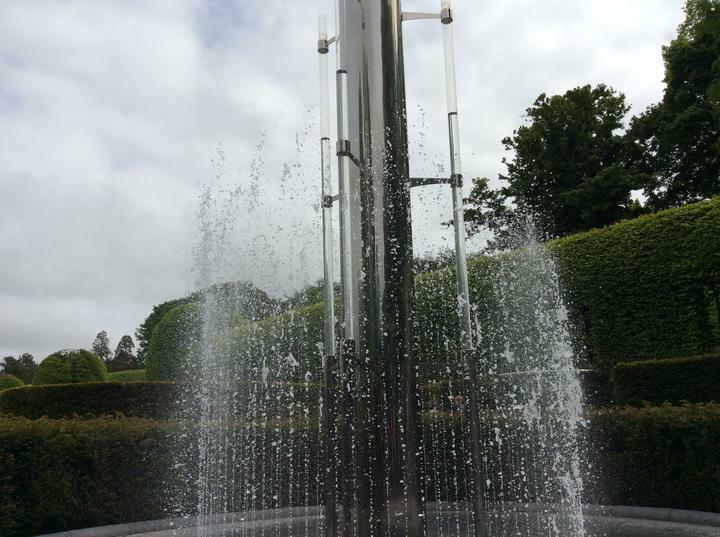 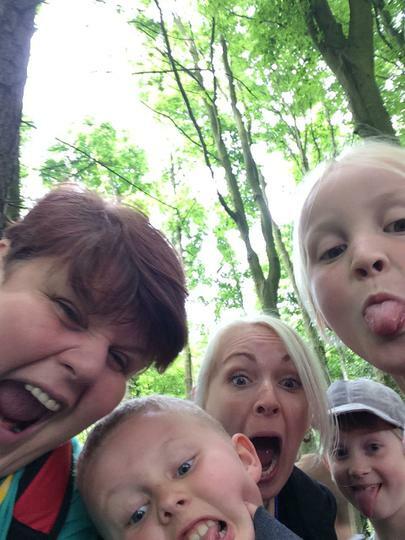 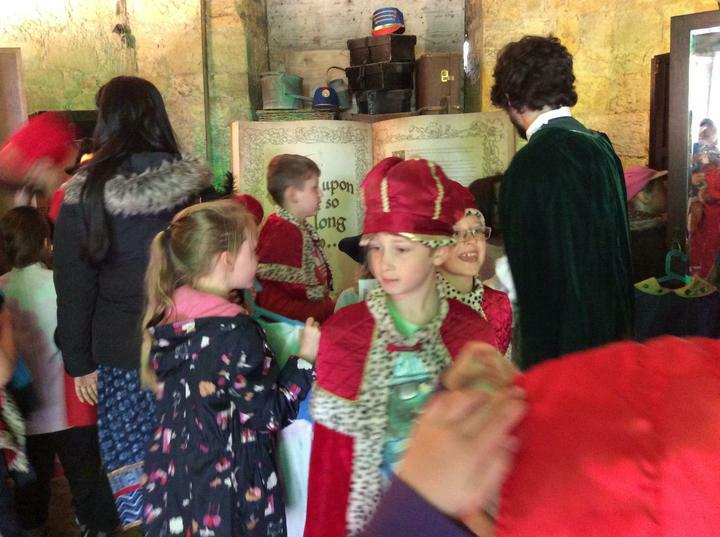 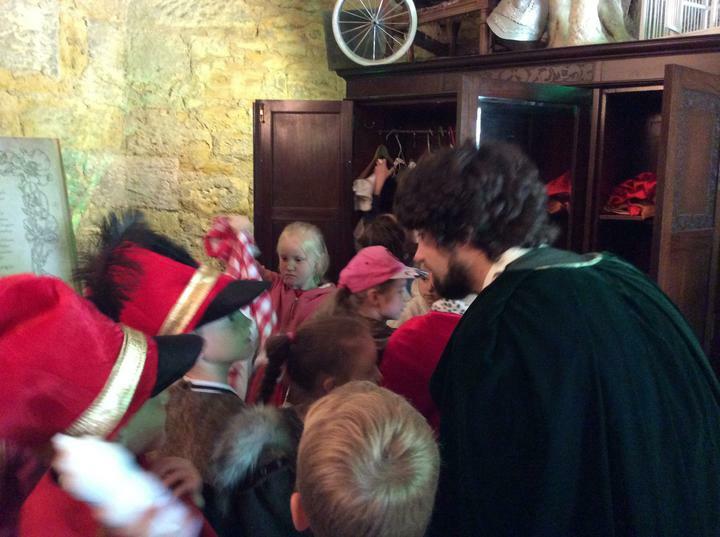 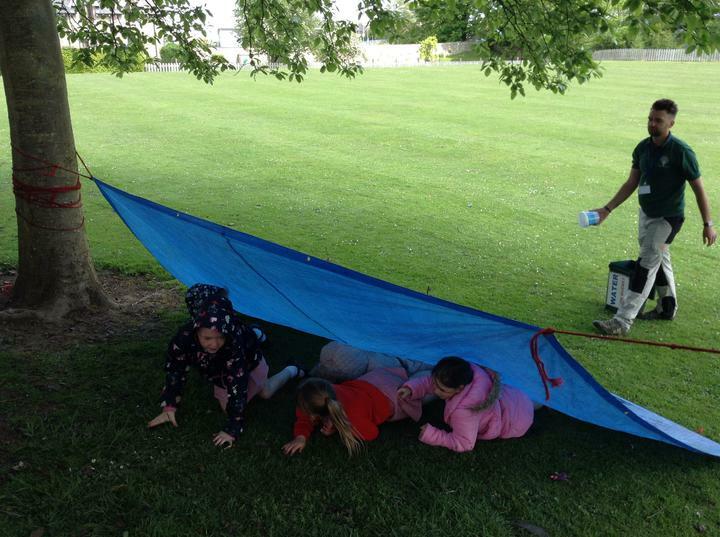 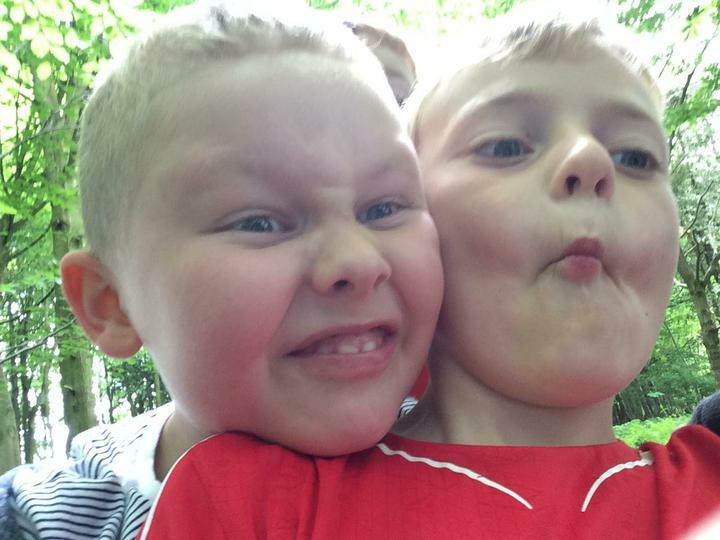 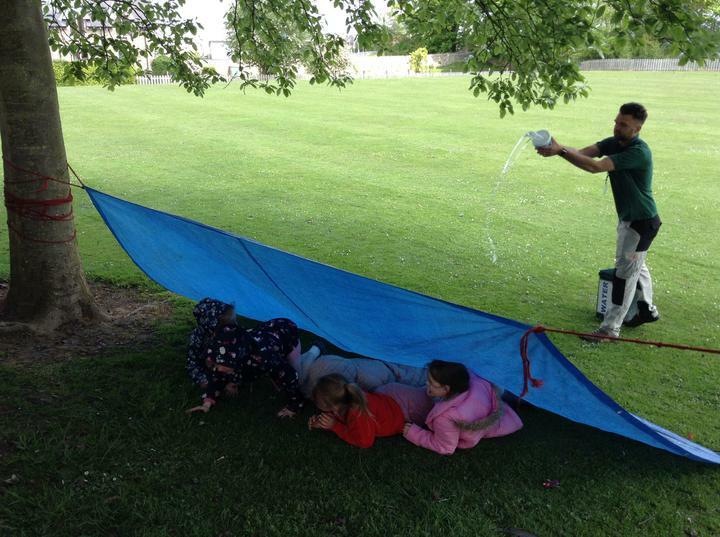 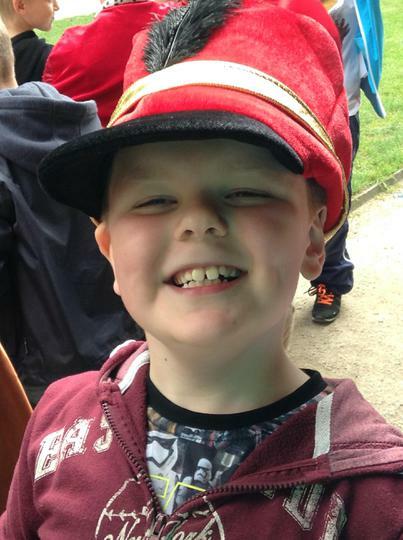 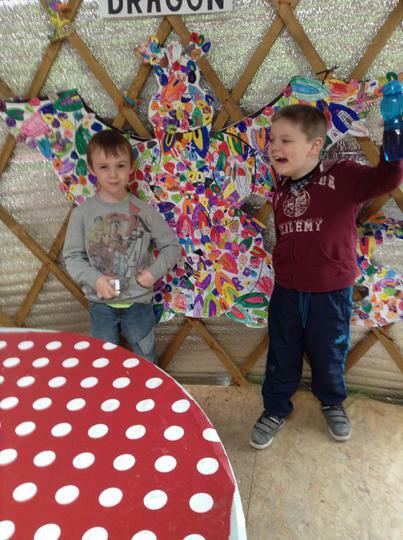 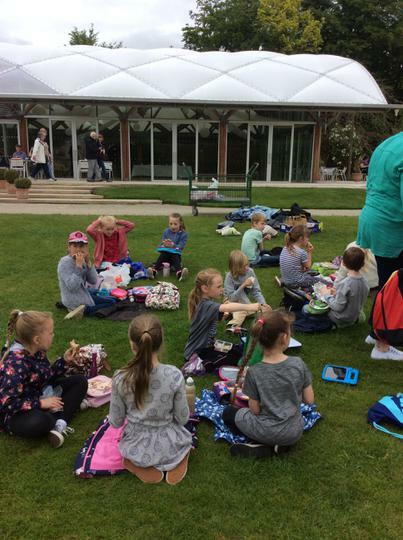 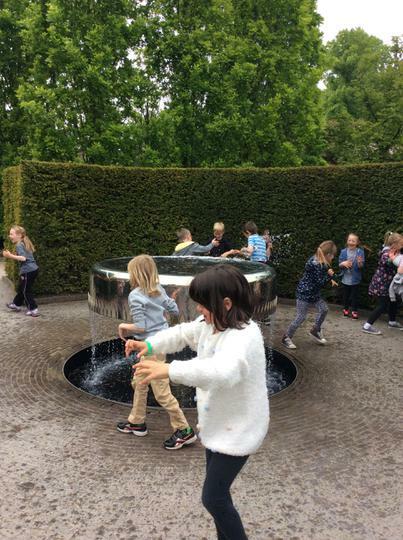 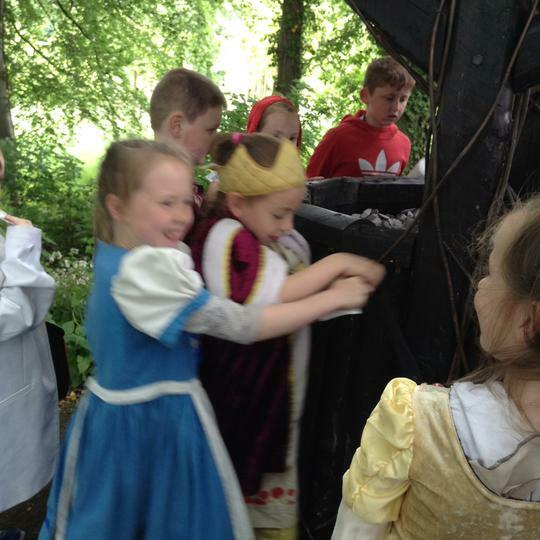 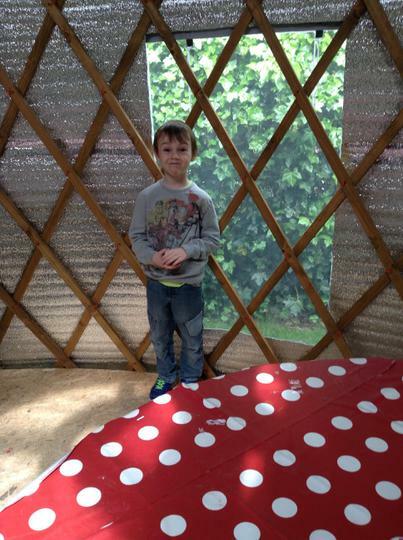 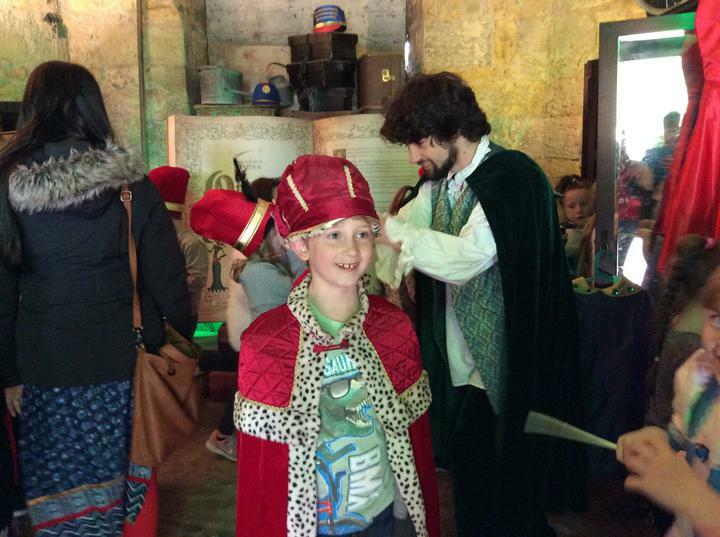 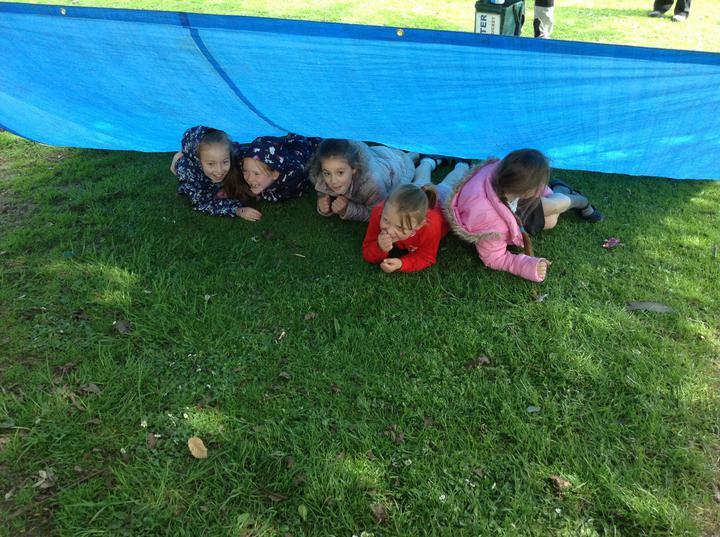 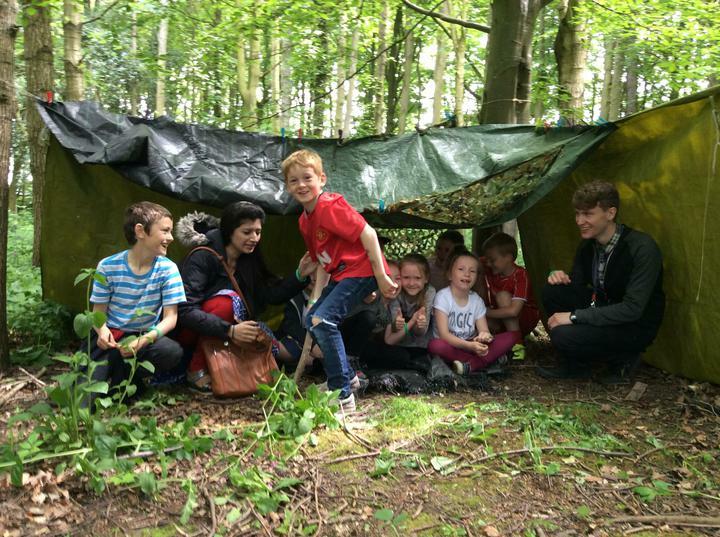 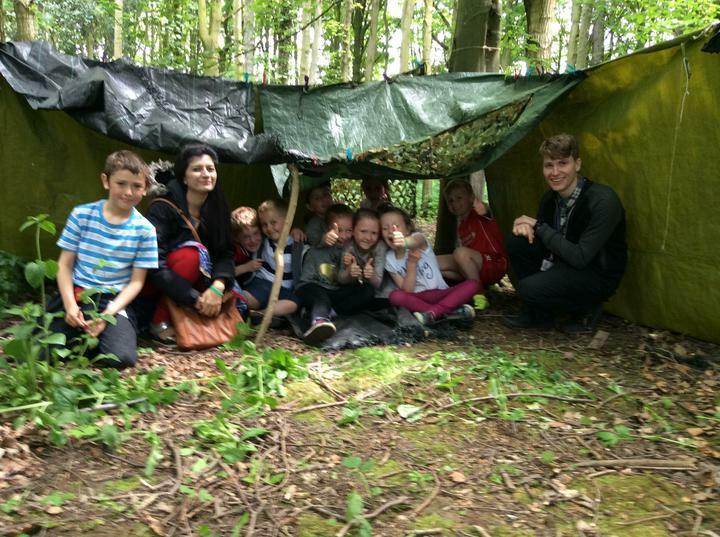 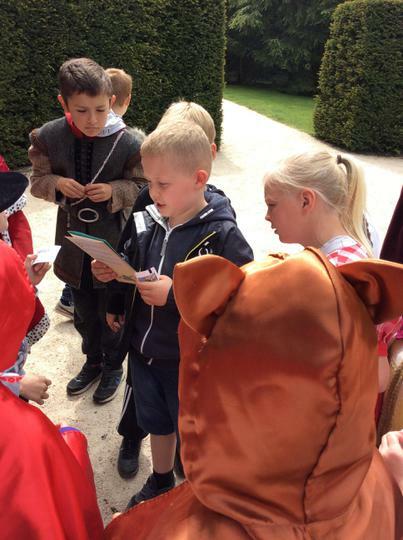 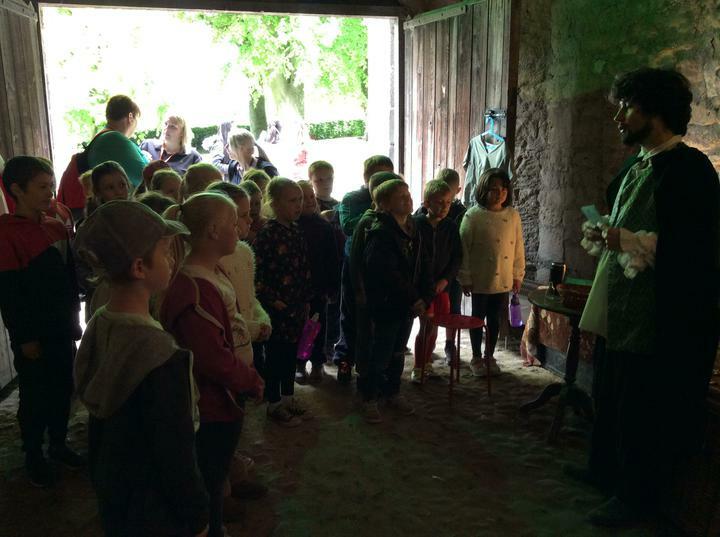 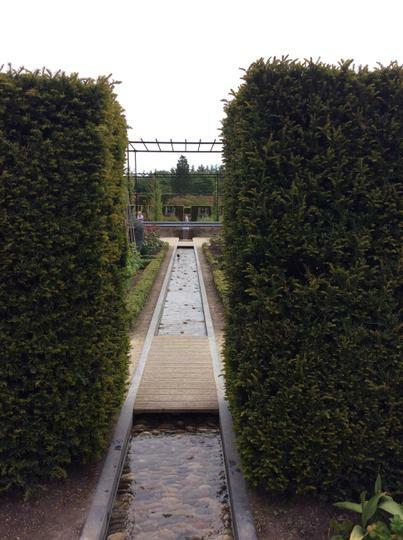 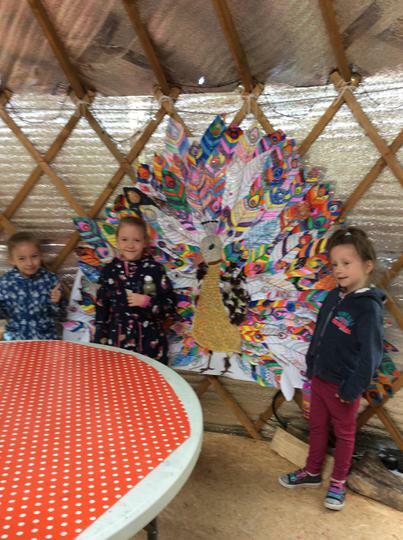 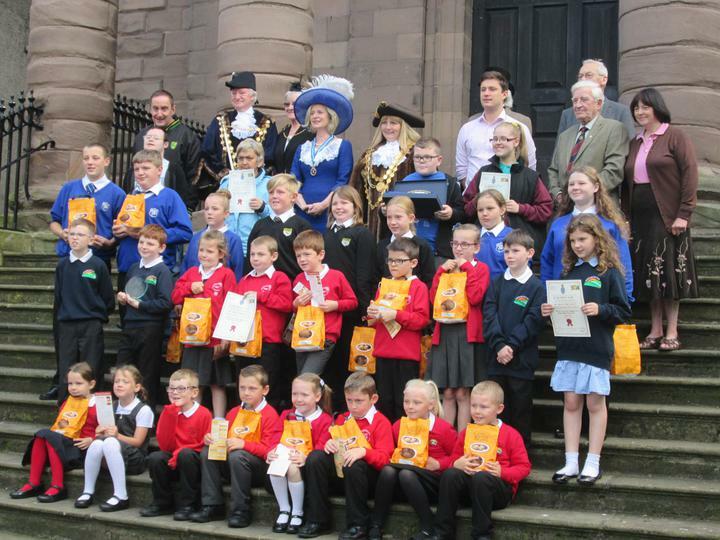 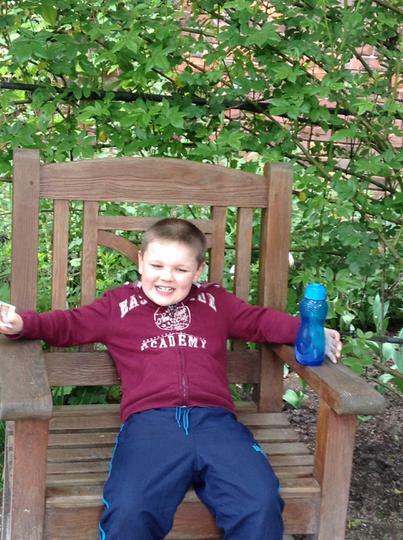 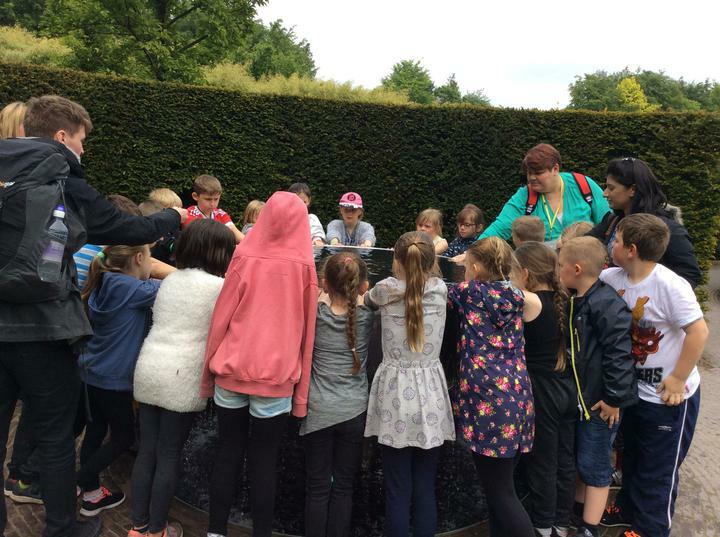 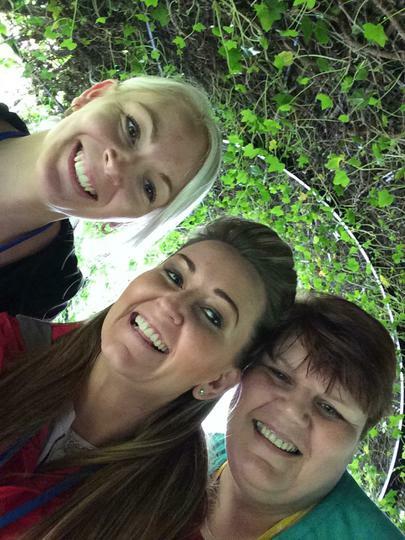 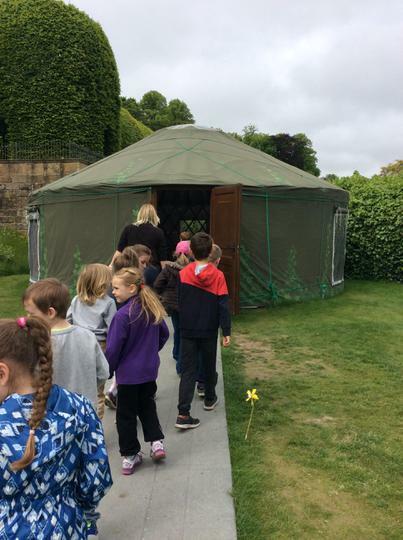 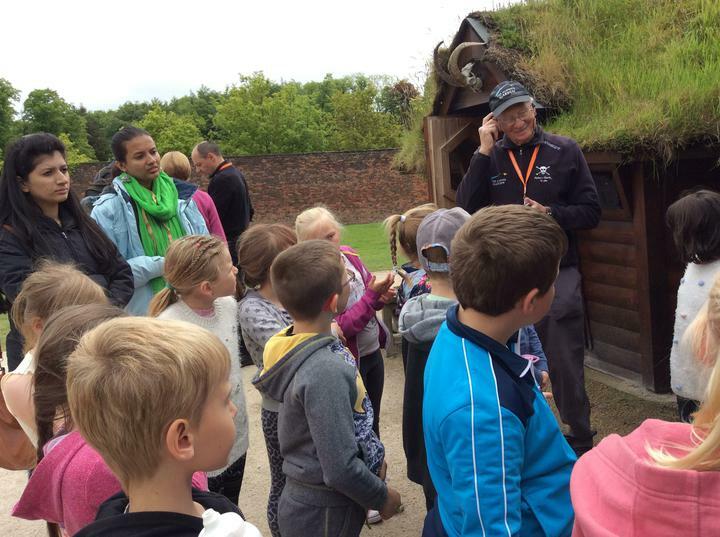 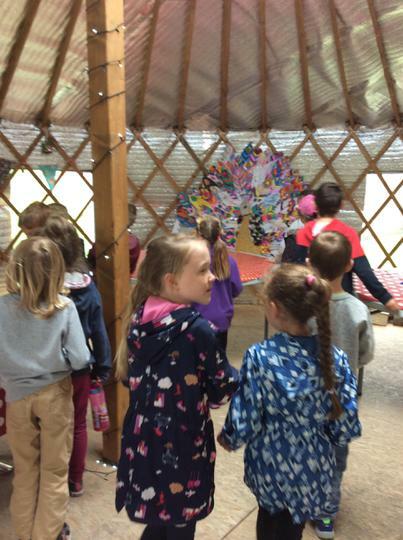 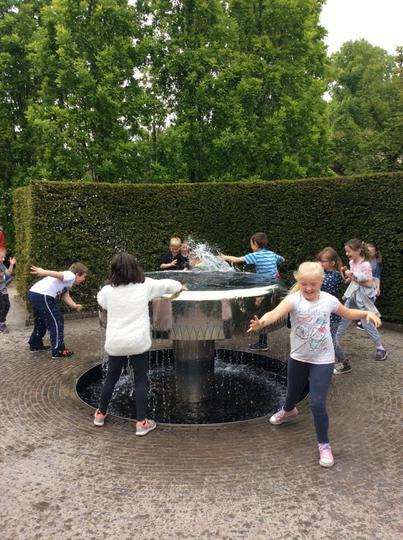 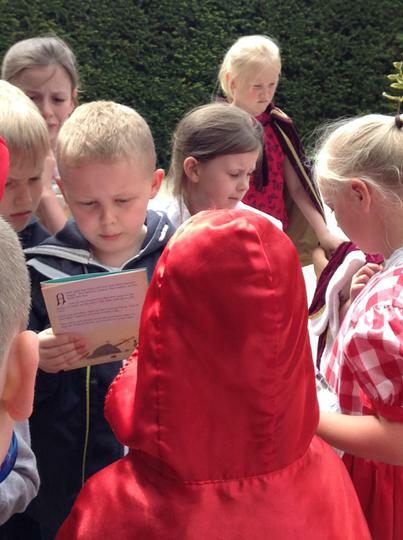 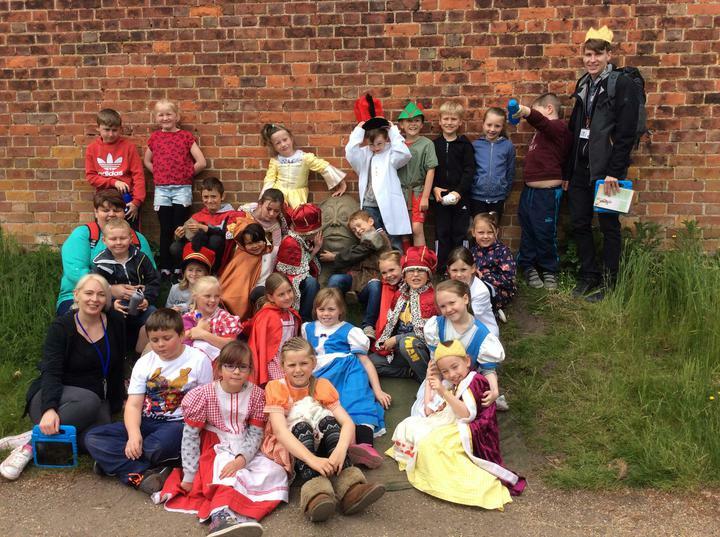 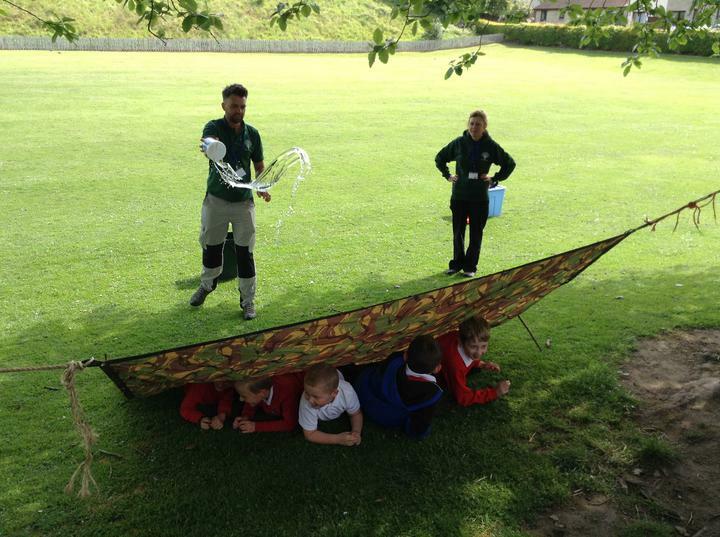 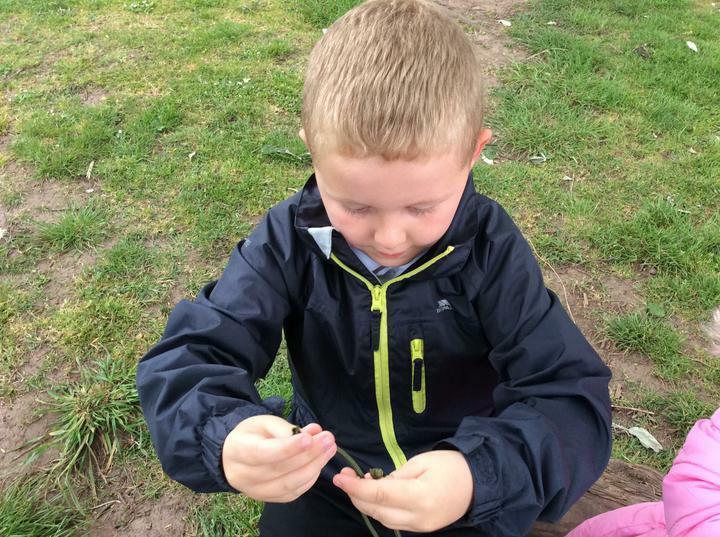 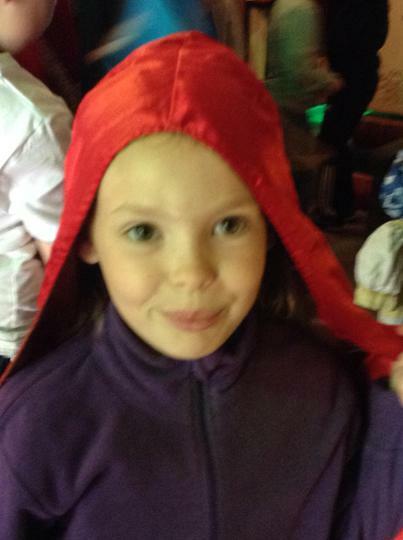 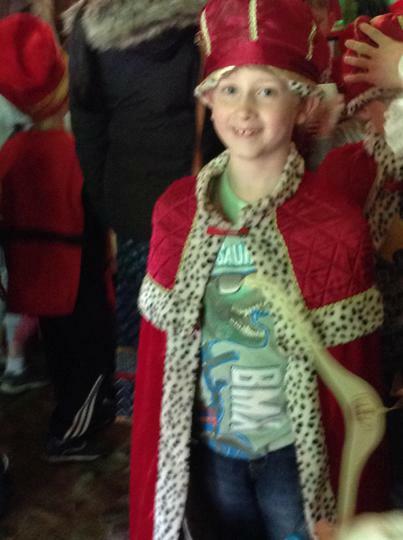 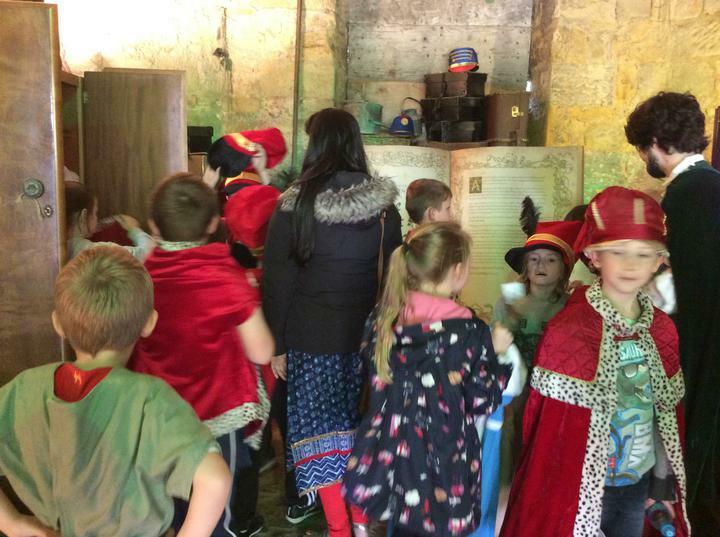 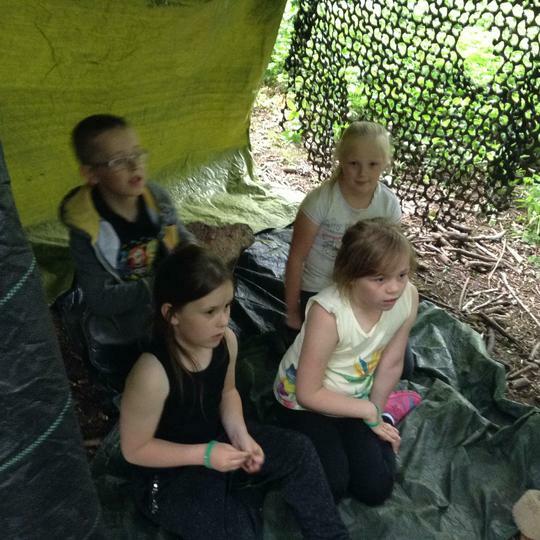 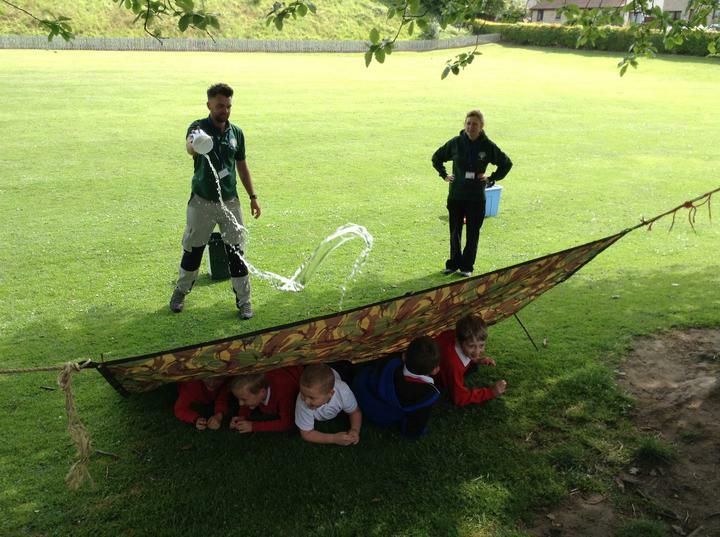 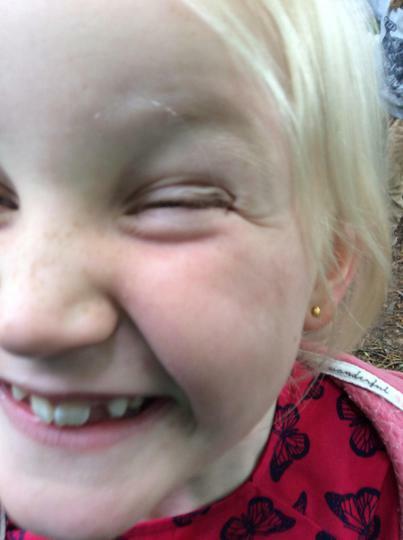 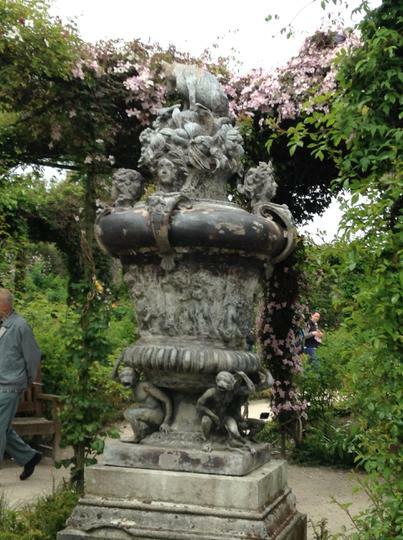 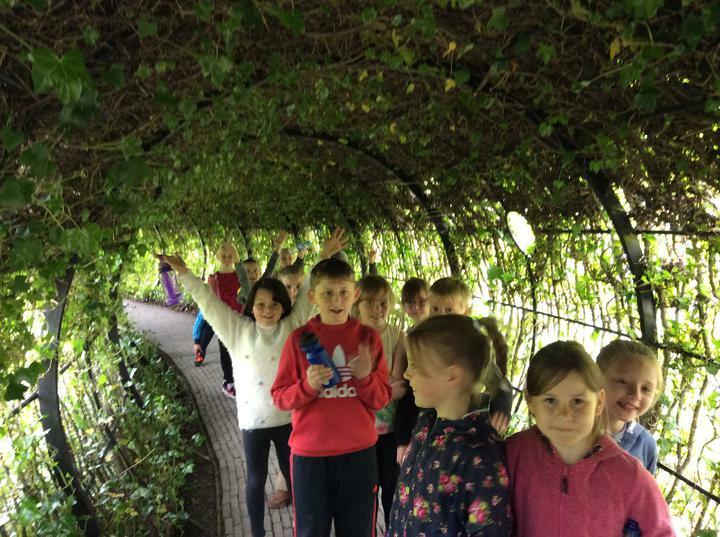 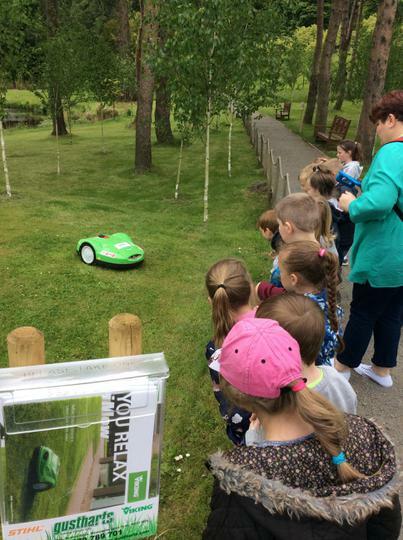 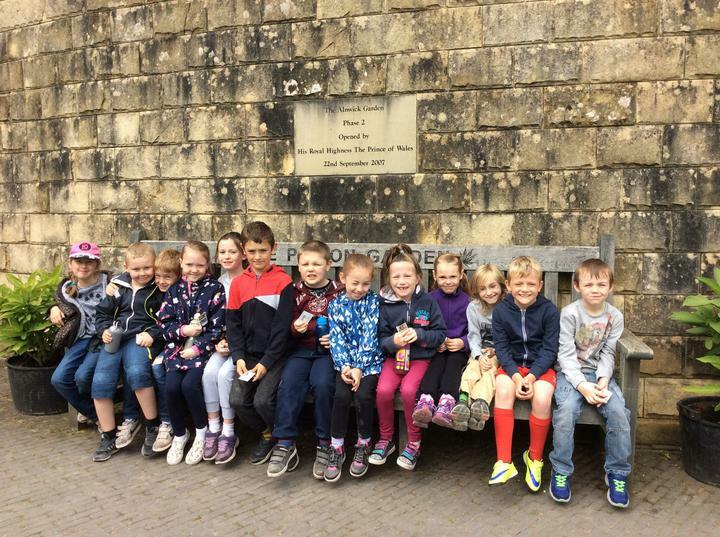 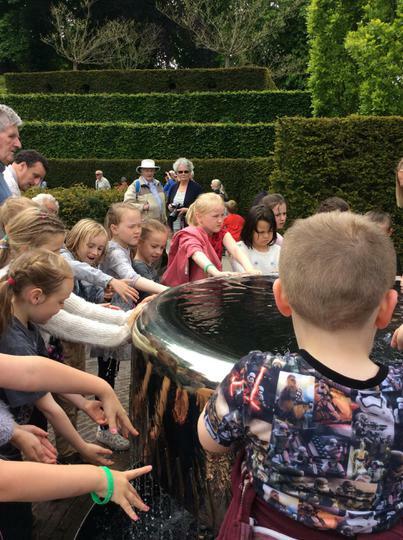 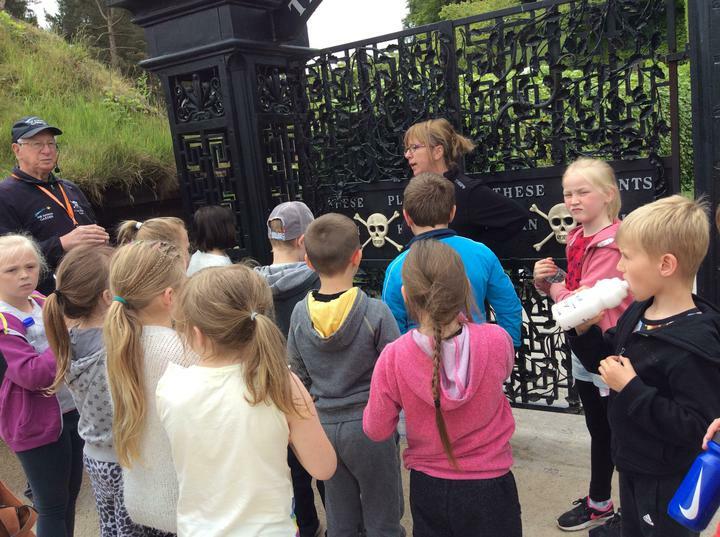 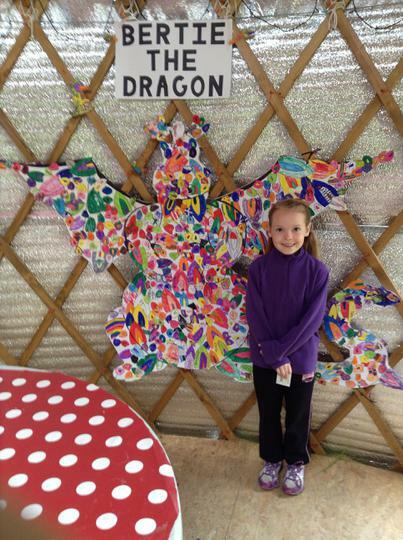 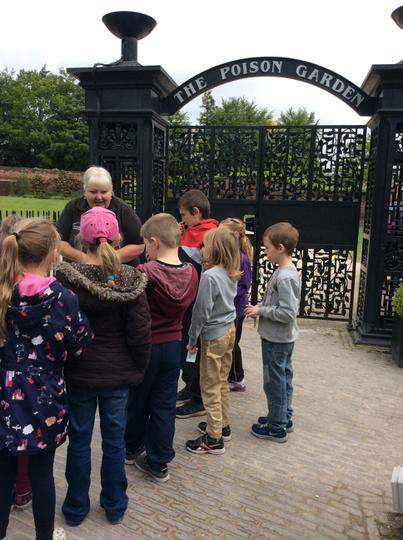 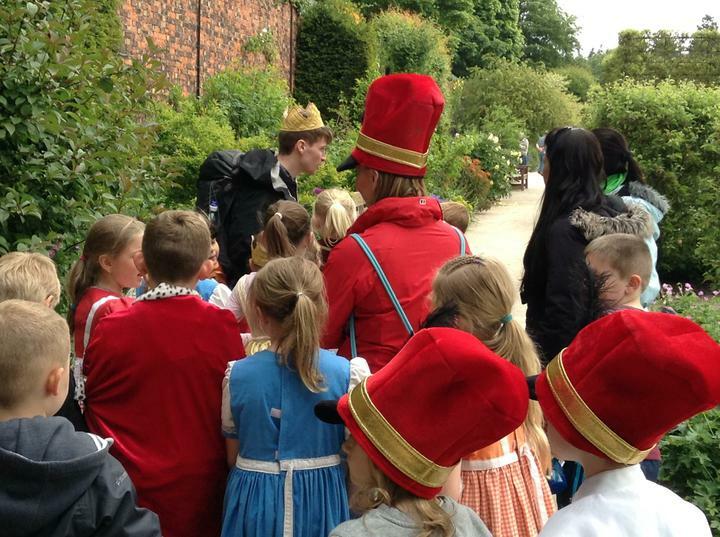 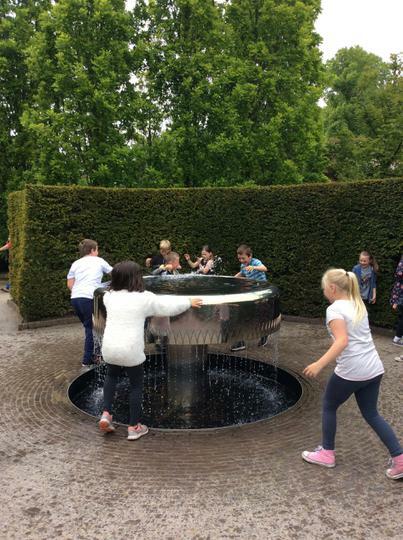 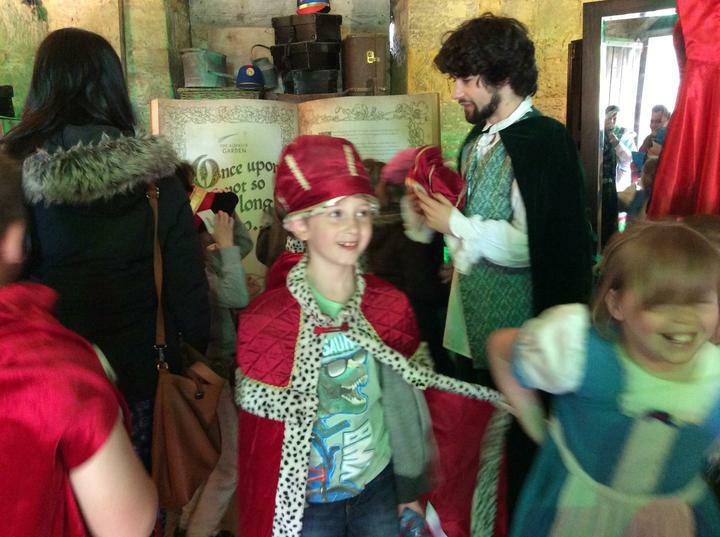 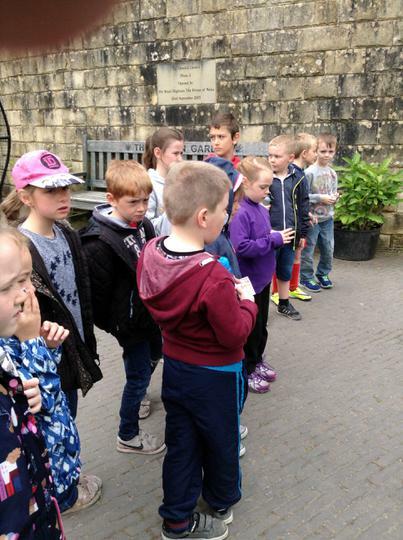 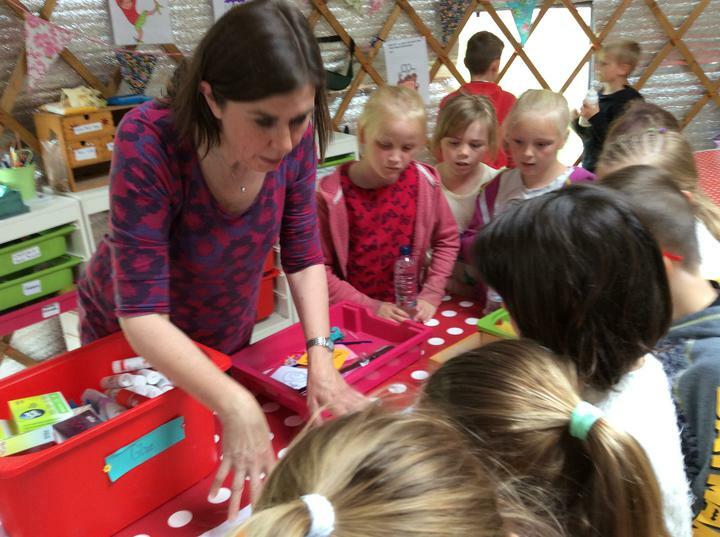 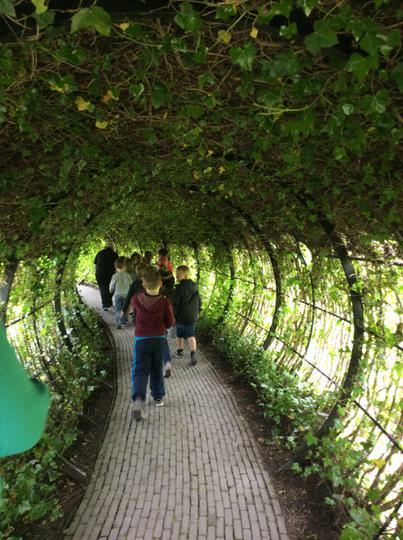 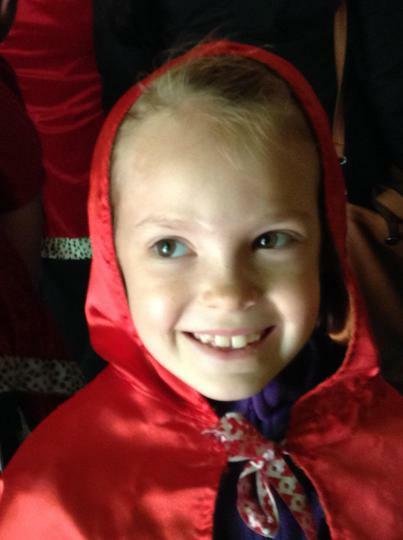 Unfortunately, we were rained off - but it didn't dampen our spirits and we had lots of fun. 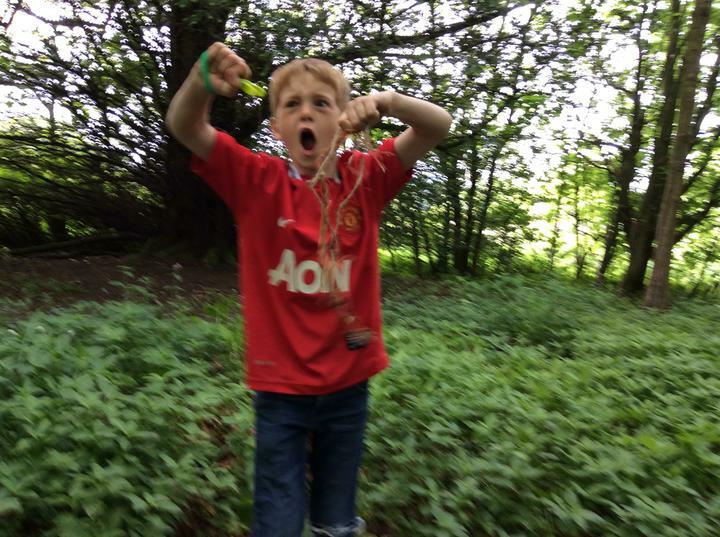 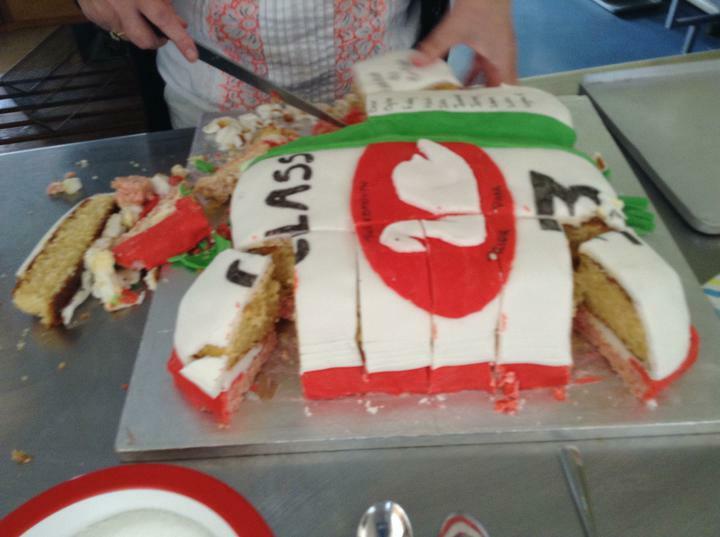 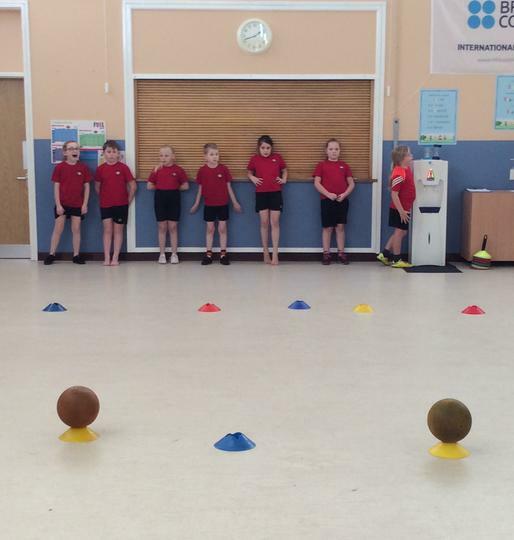 It was a close call, but Mars snuck to the victory - well done Mars. 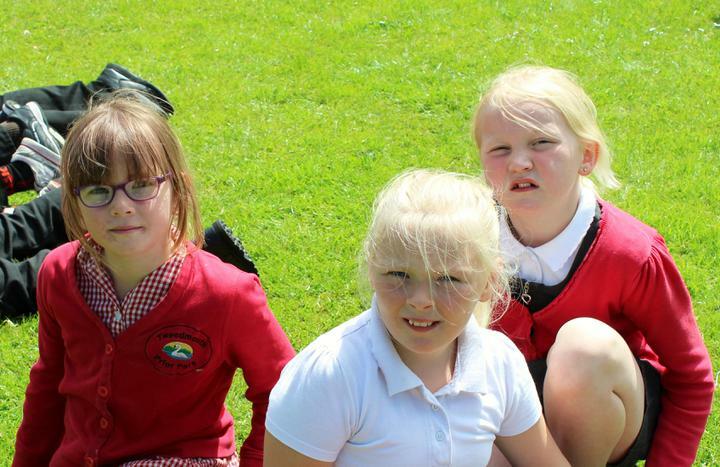 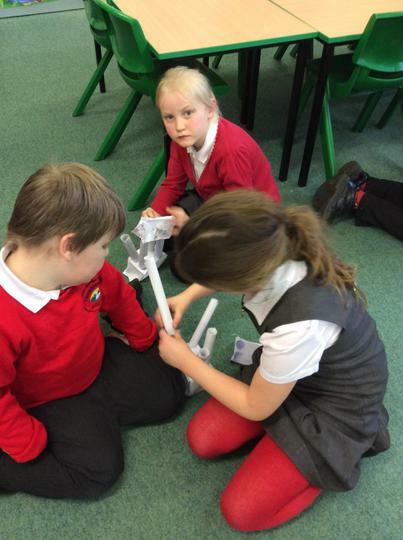 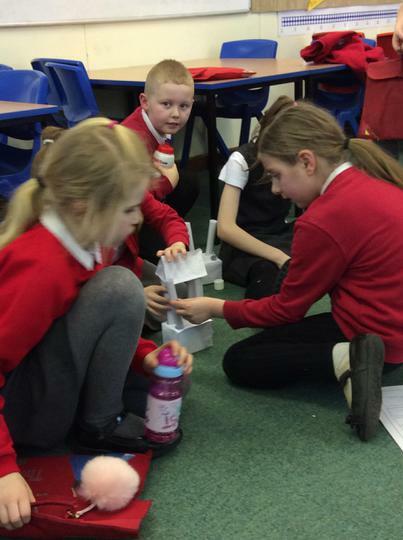 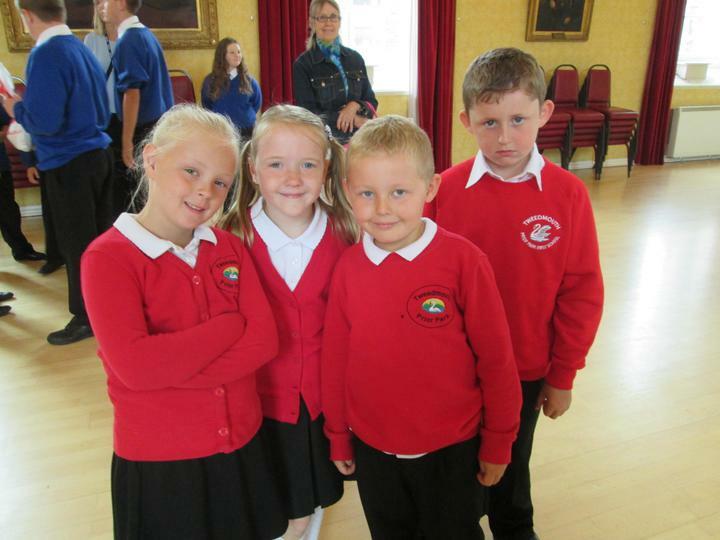 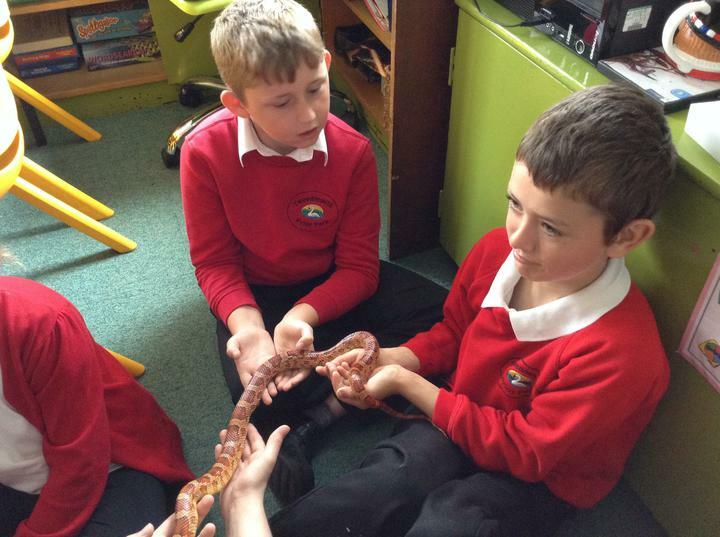 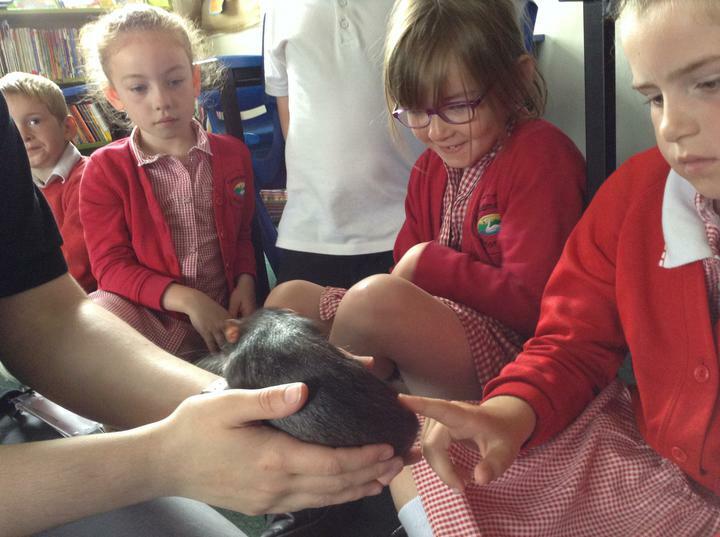 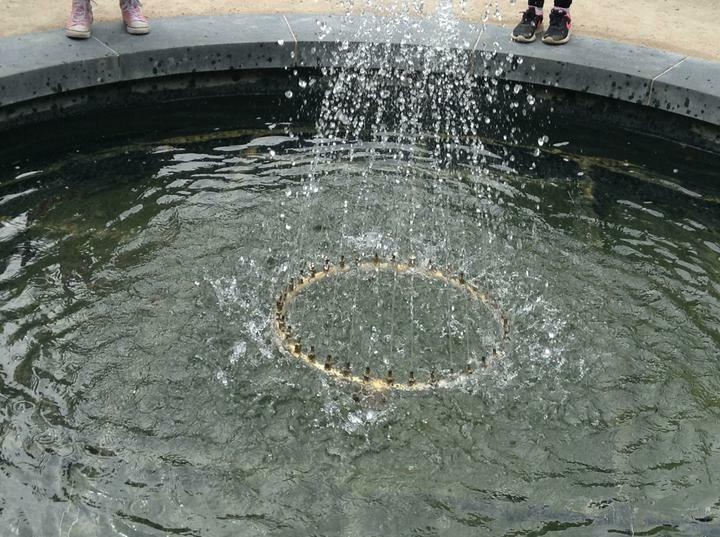 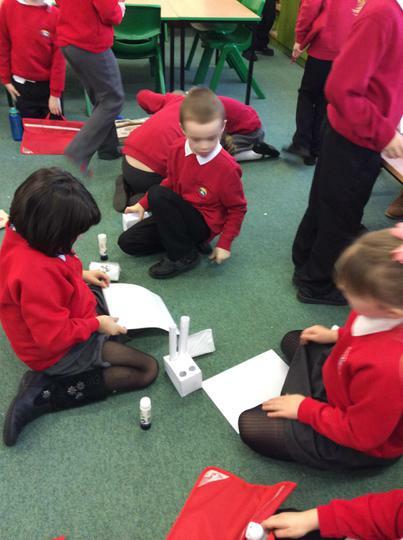 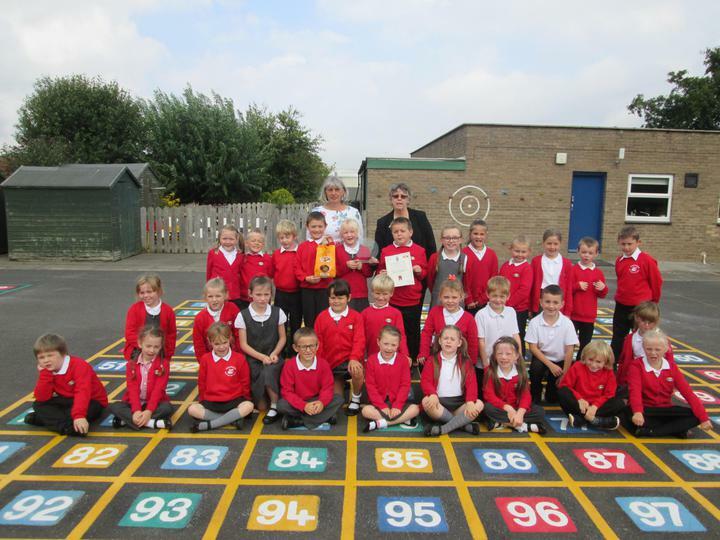 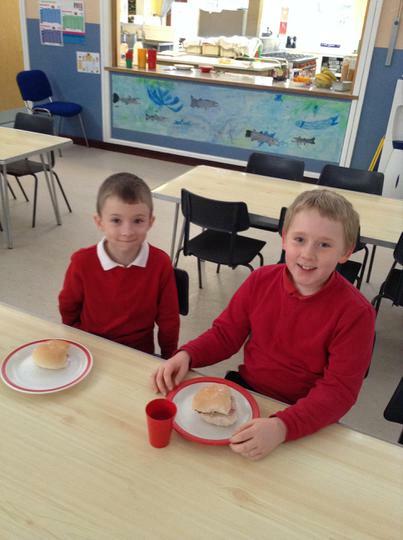 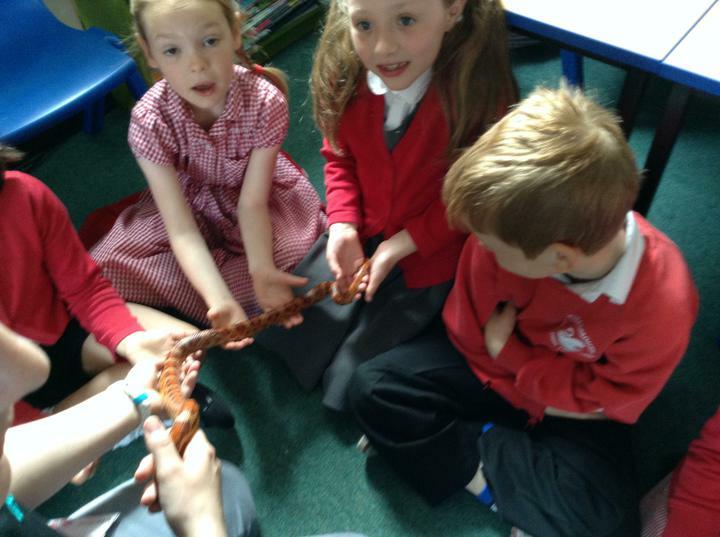 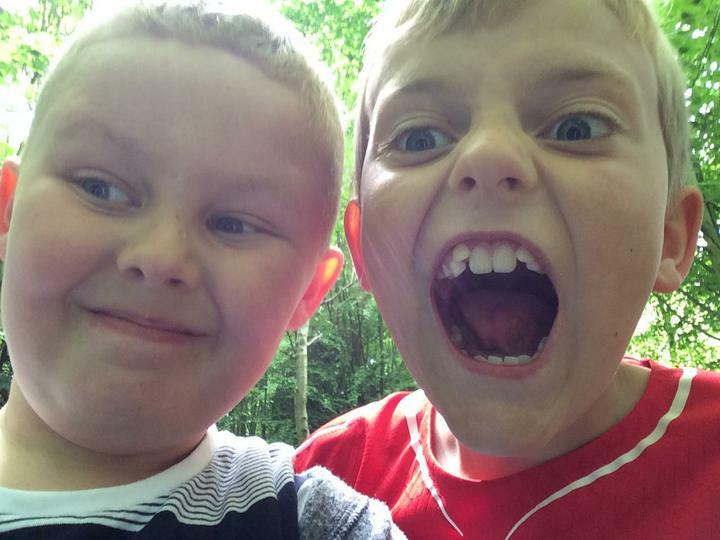 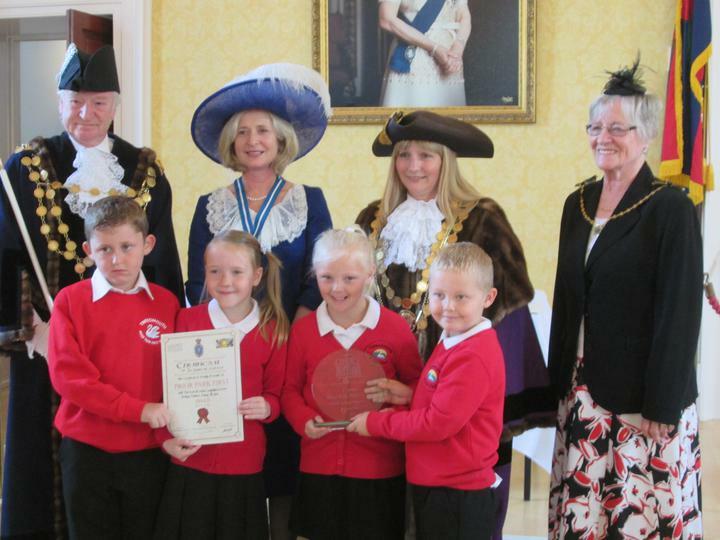 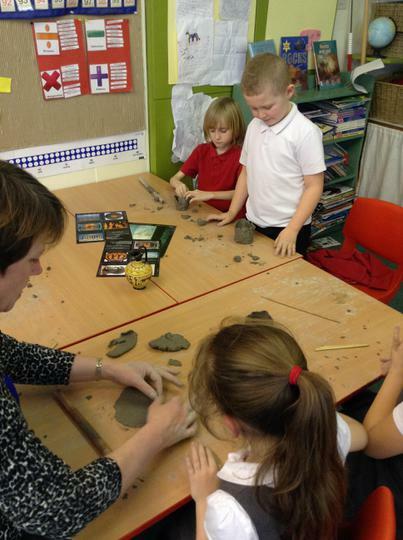 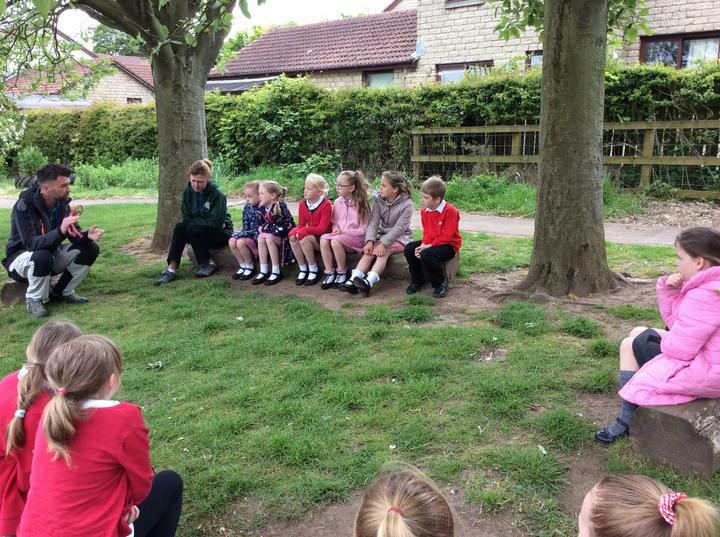 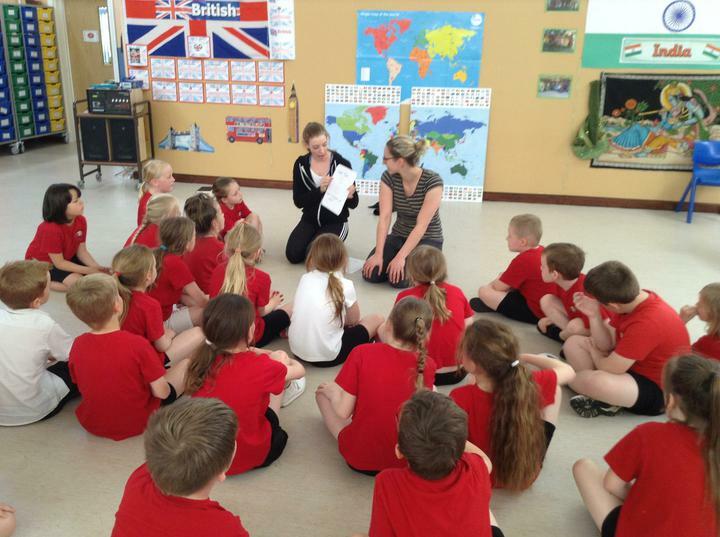 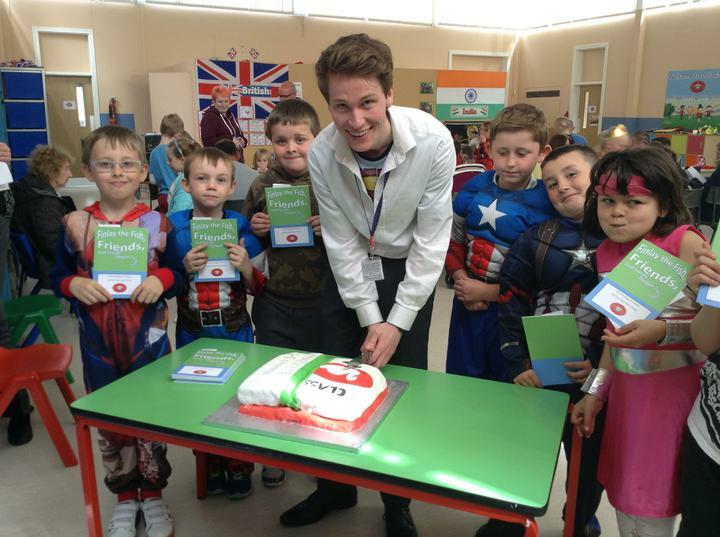 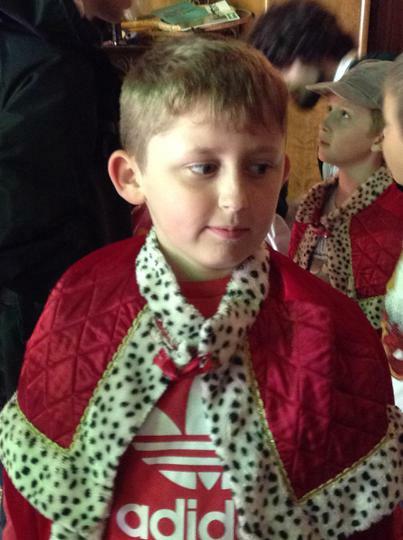 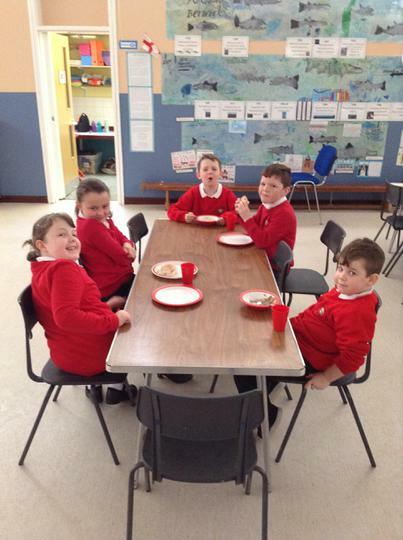 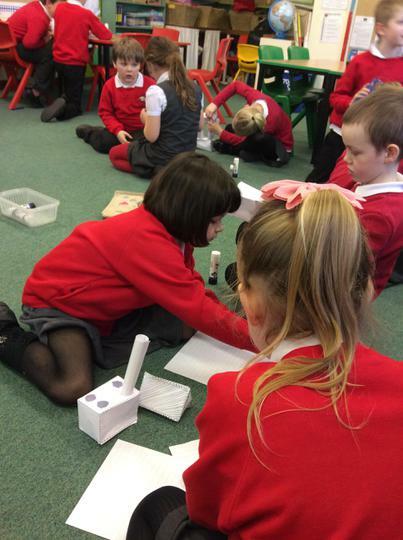 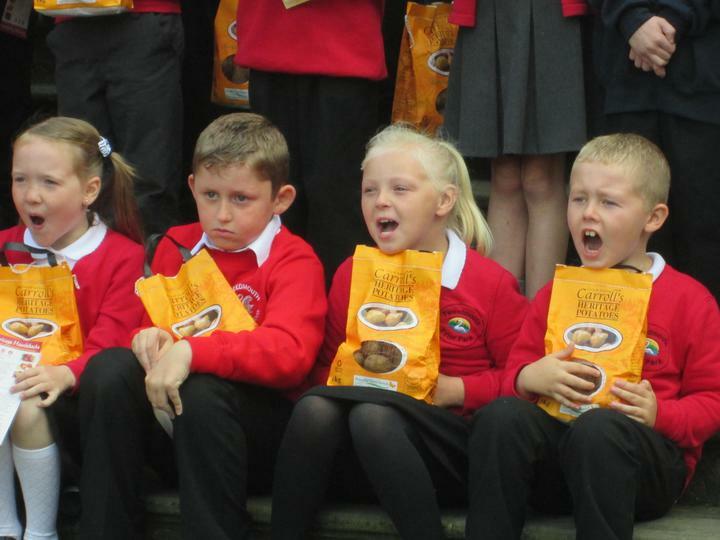 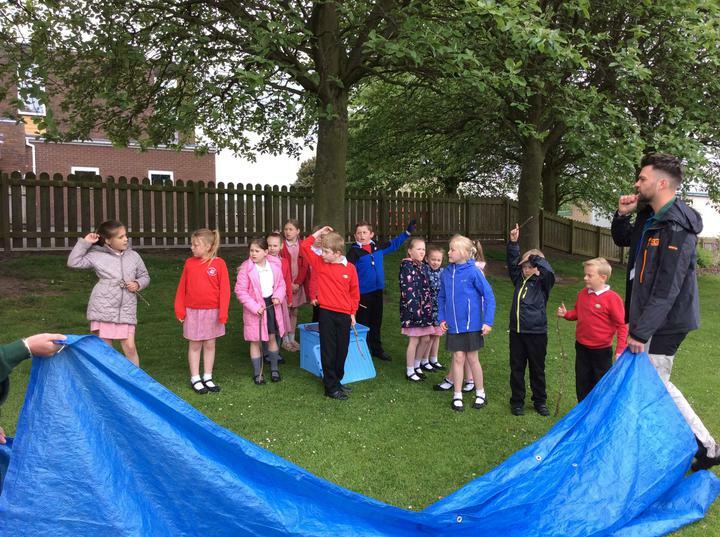 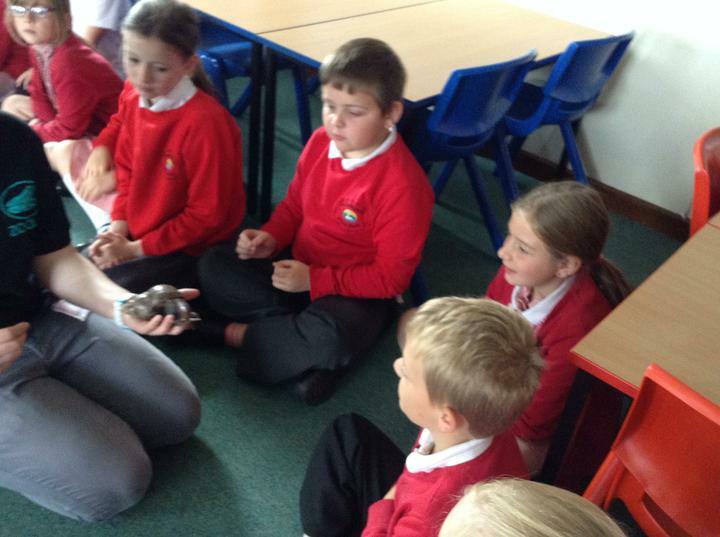 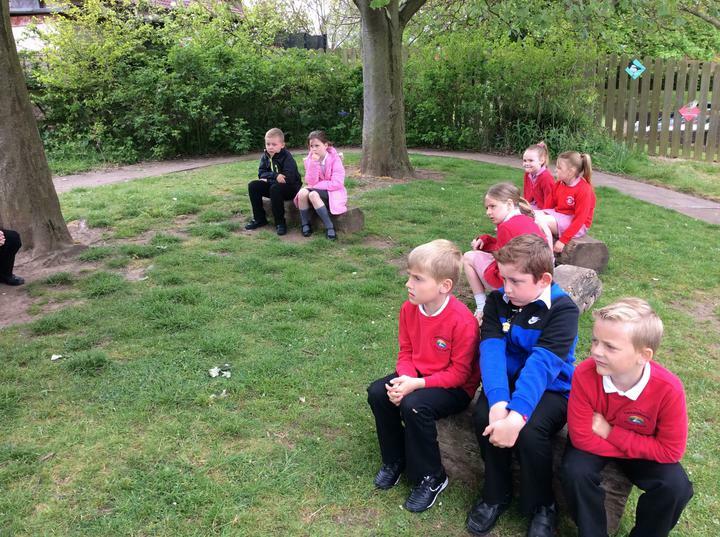 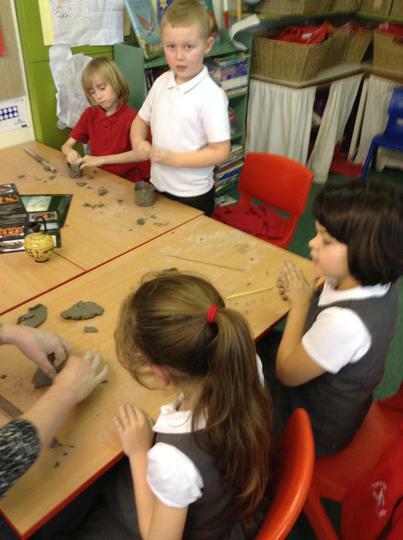 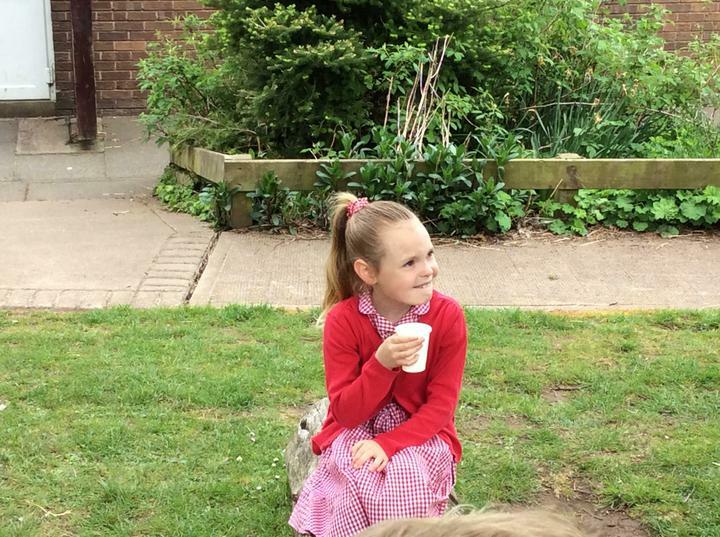 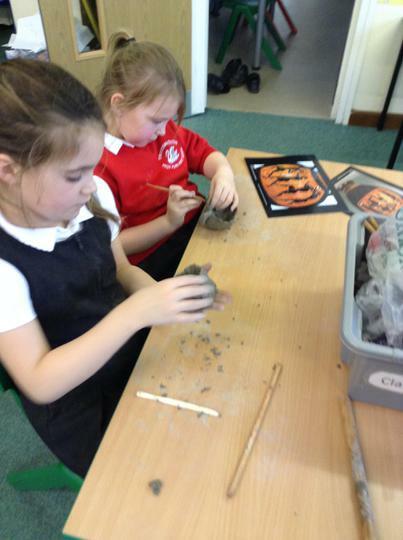 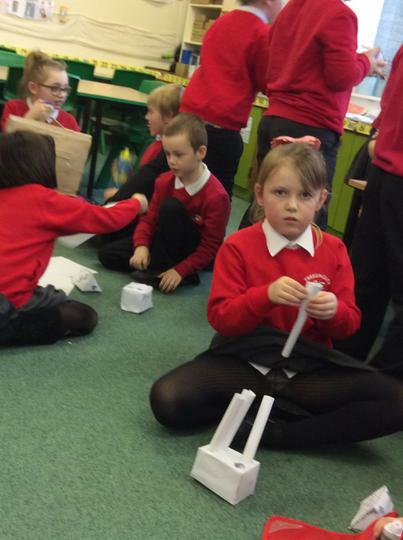 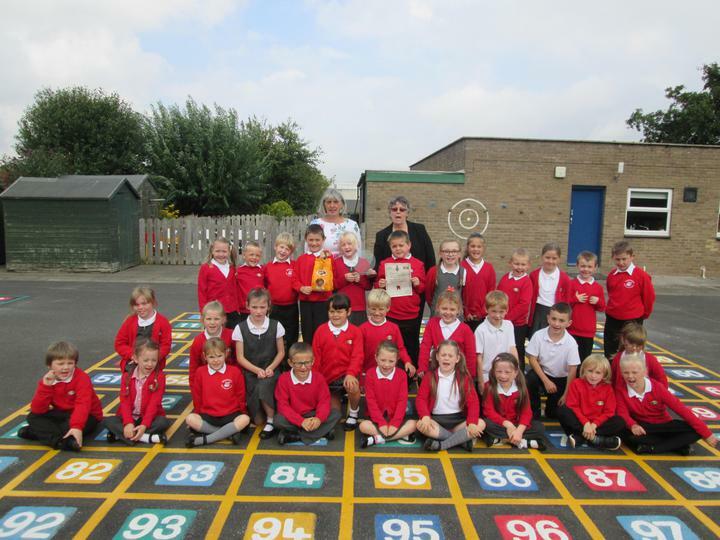 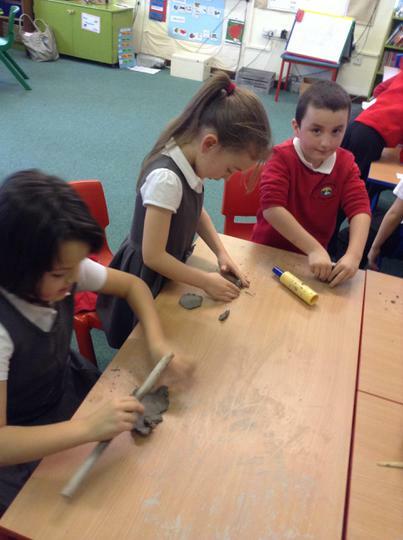 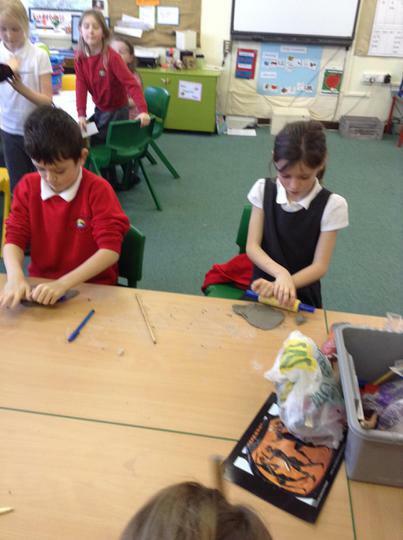 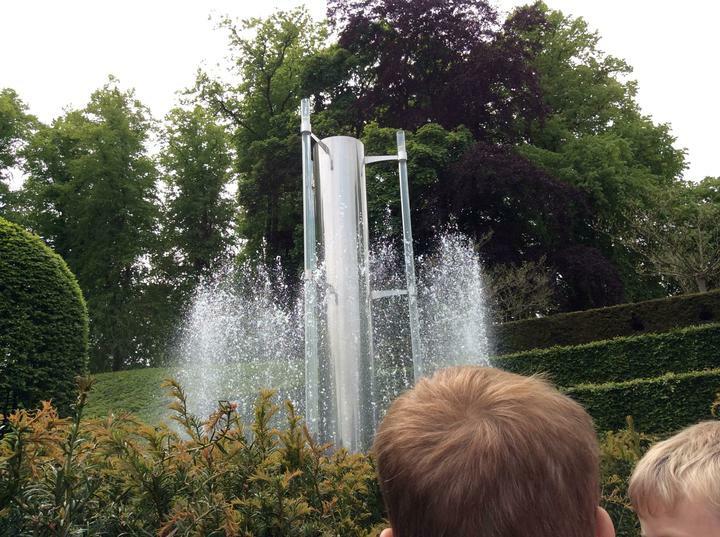 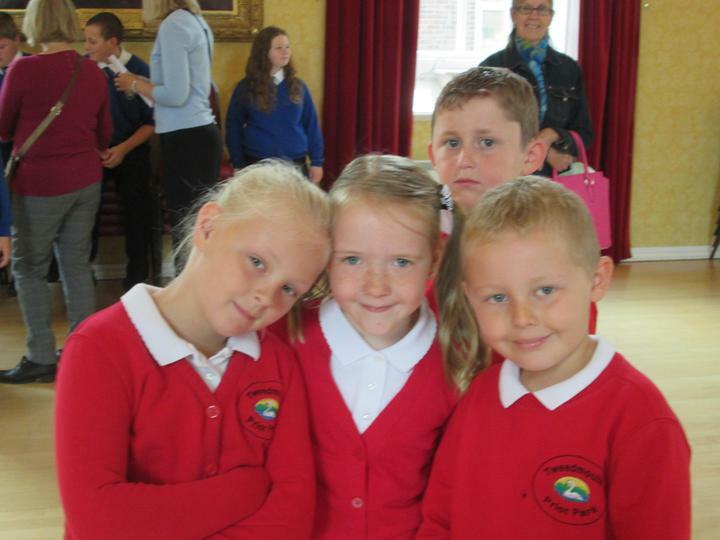 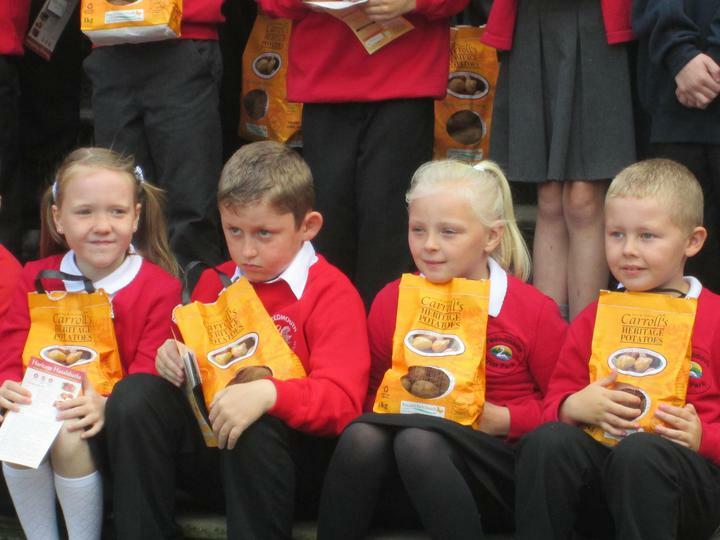 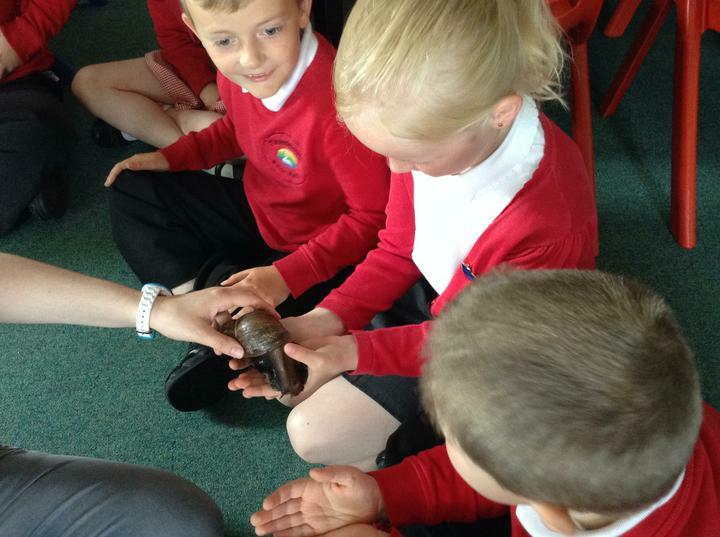 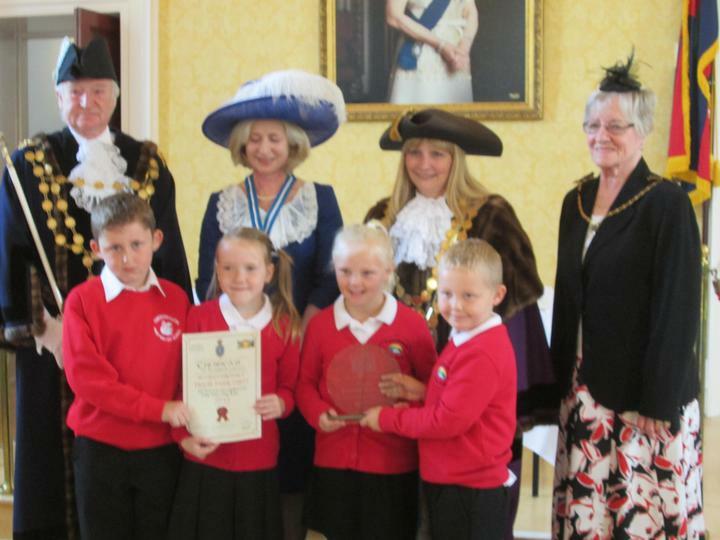 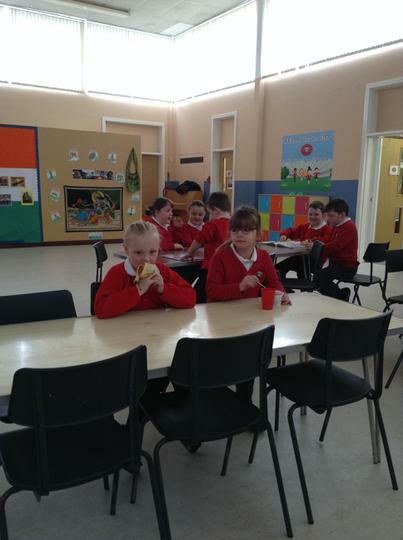 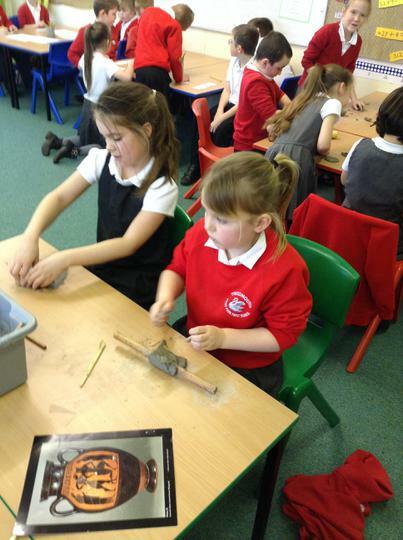 Listen to some of the pupils from Class 3 tell us about space. 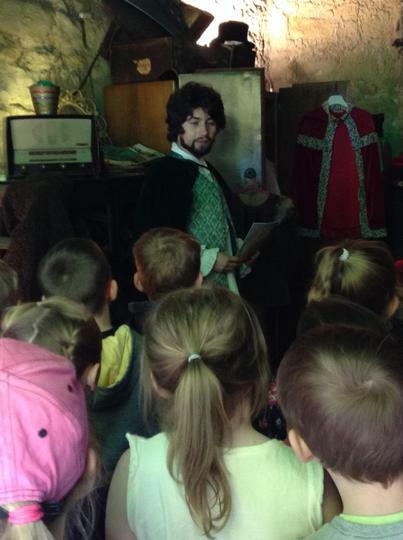 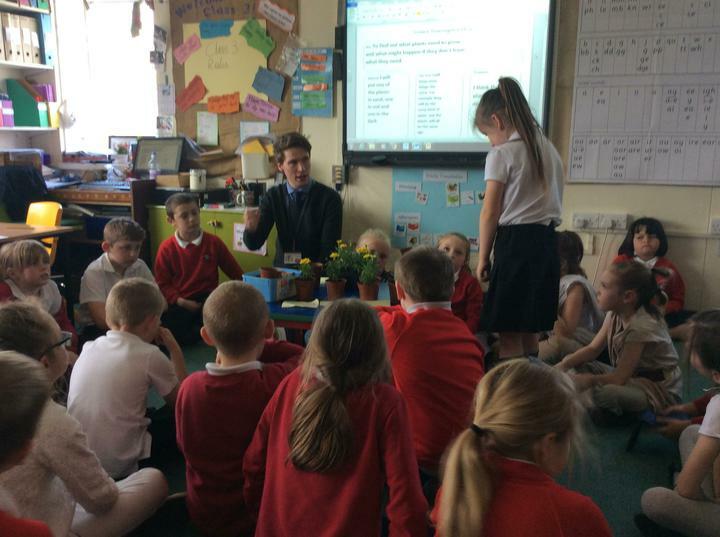 This class is full of future television presenters - the next Professor Brian Cox must be among them! 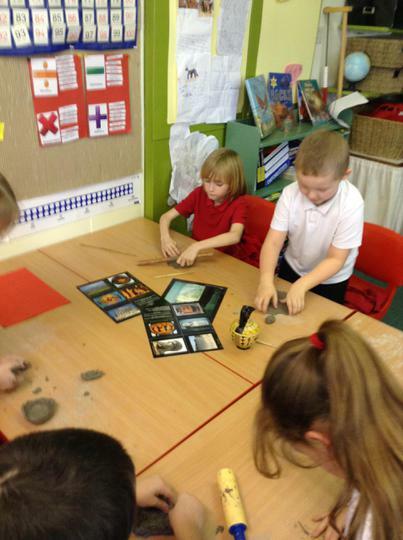 We've just started our new topic: Out of this World. 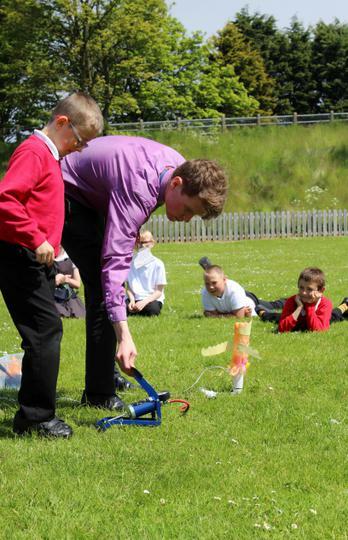 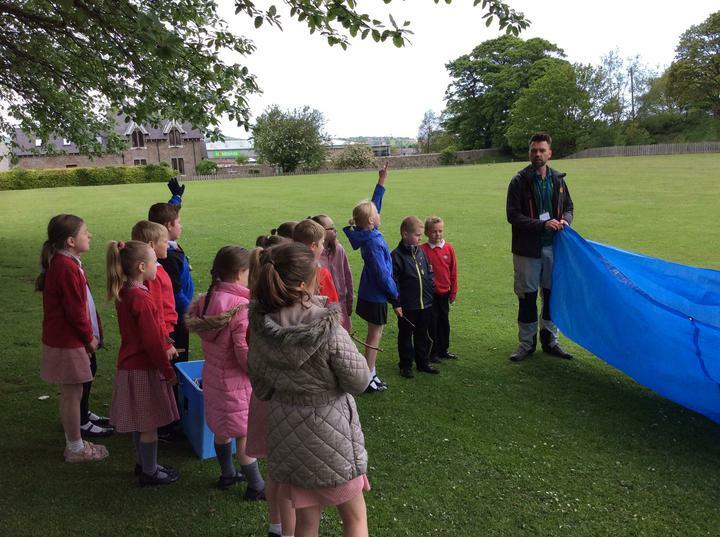 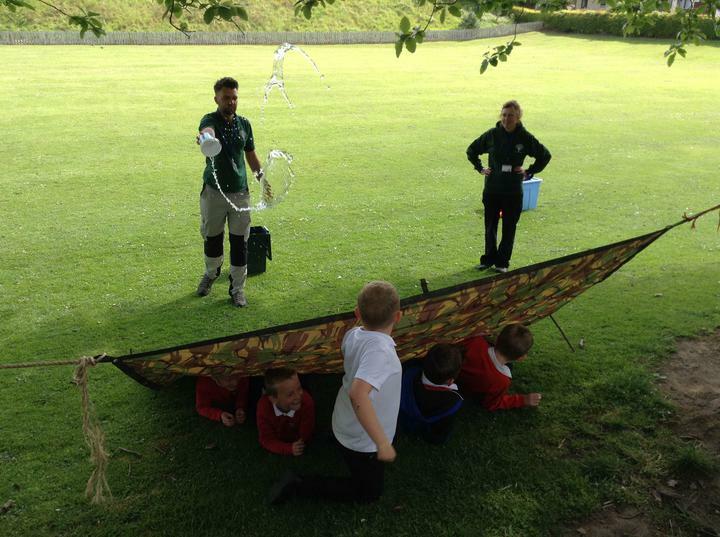 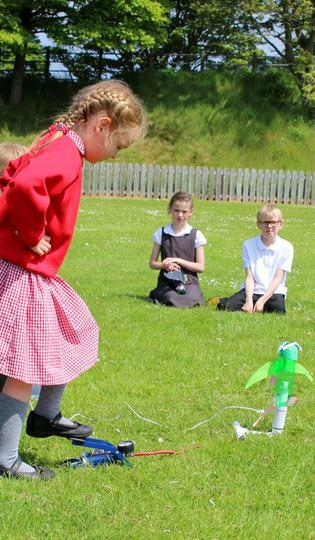 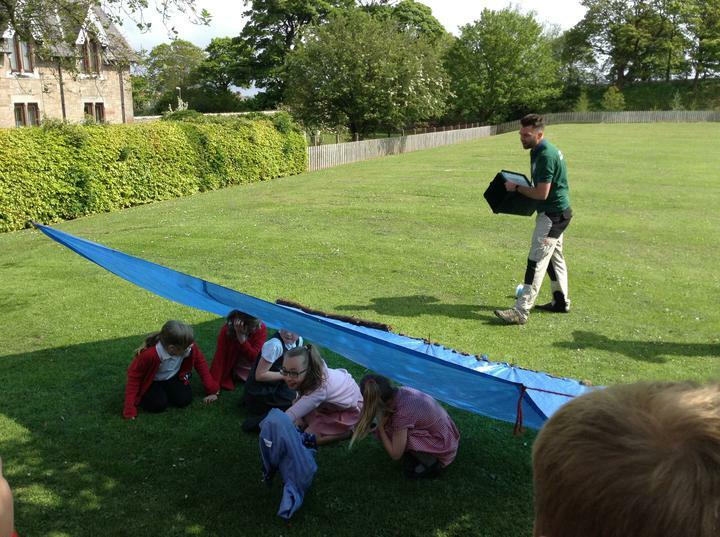 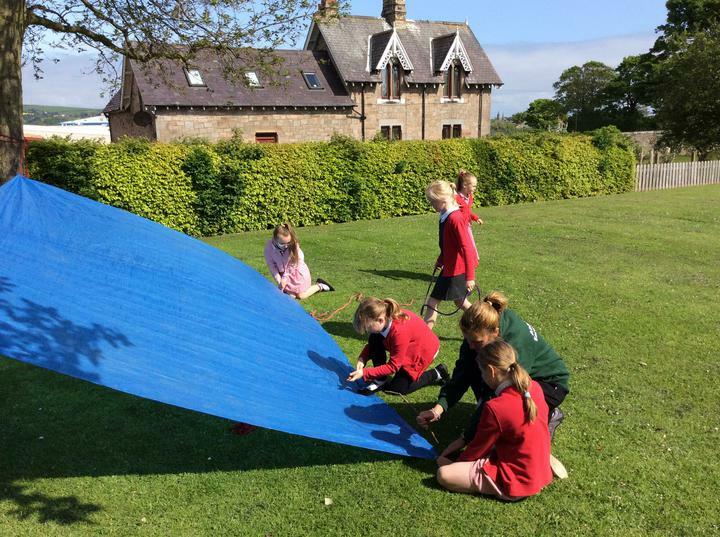 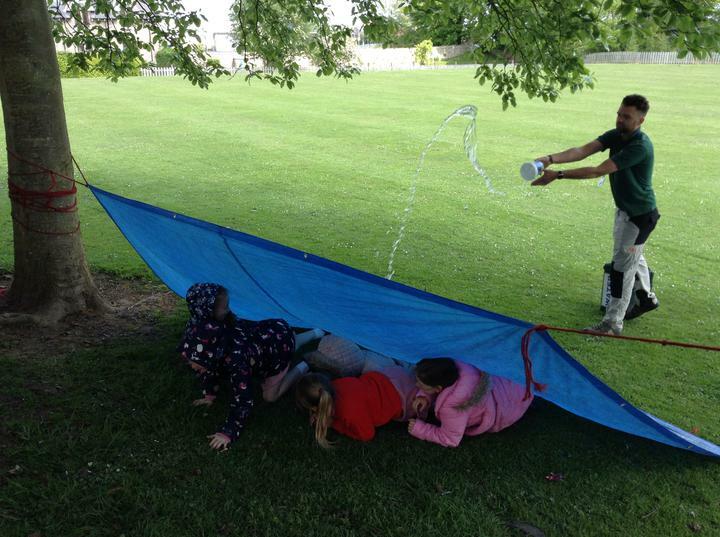 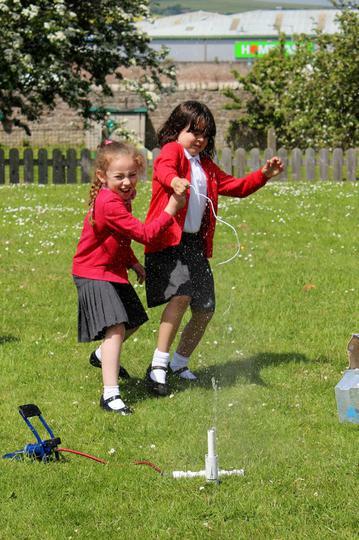 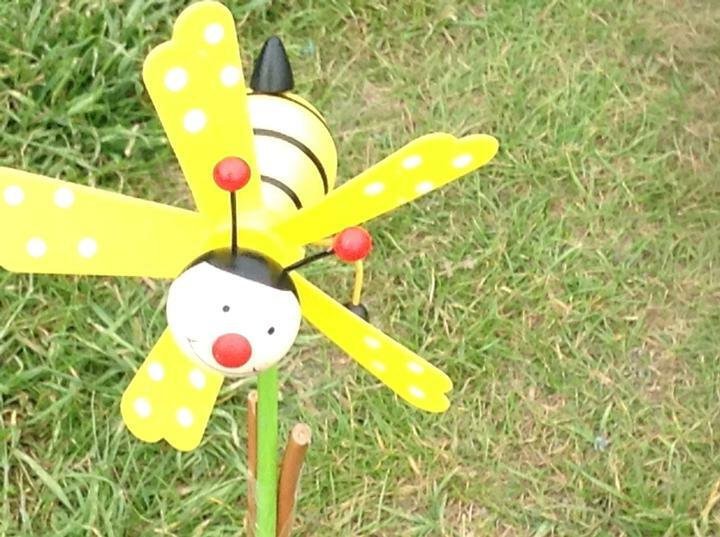 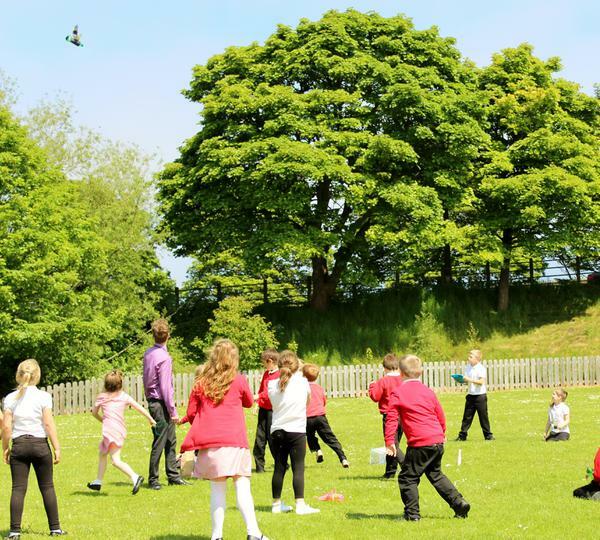 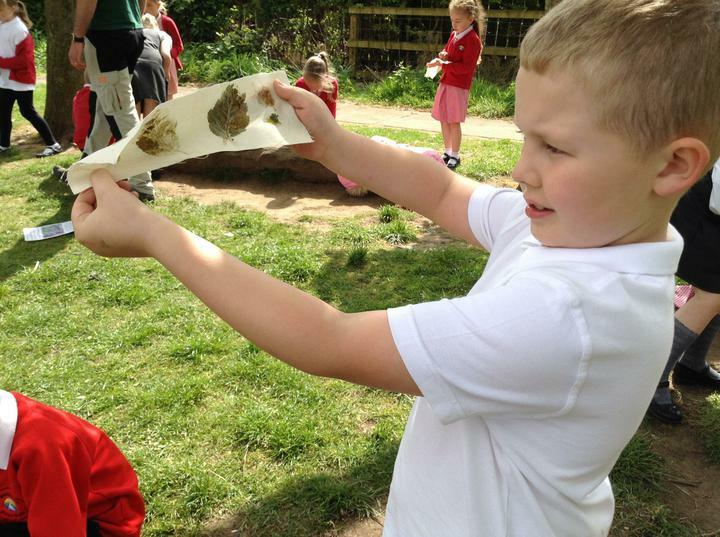 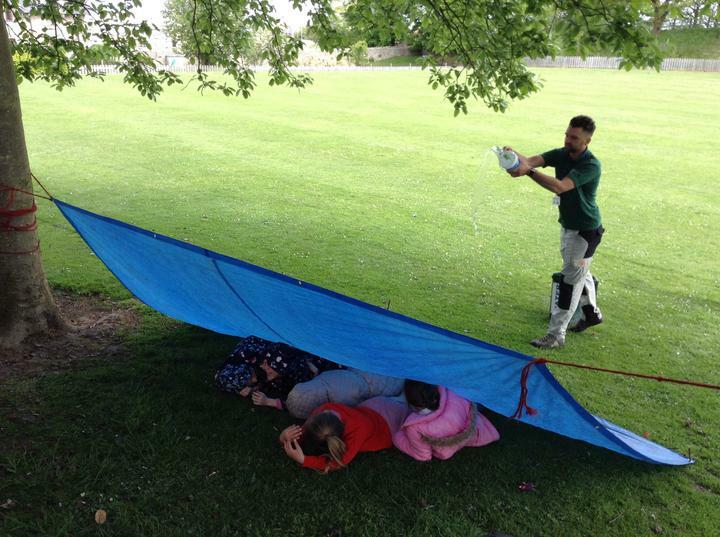 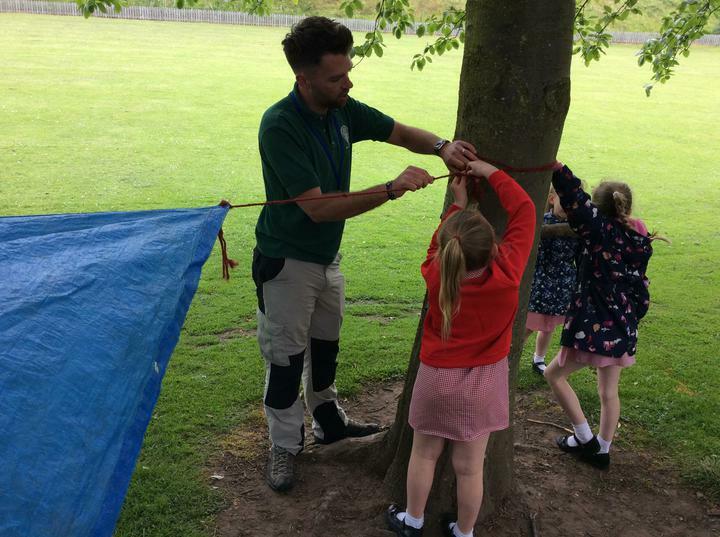 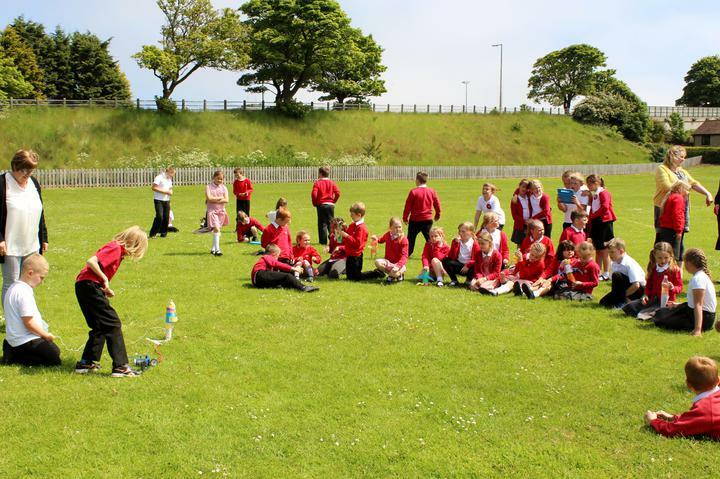 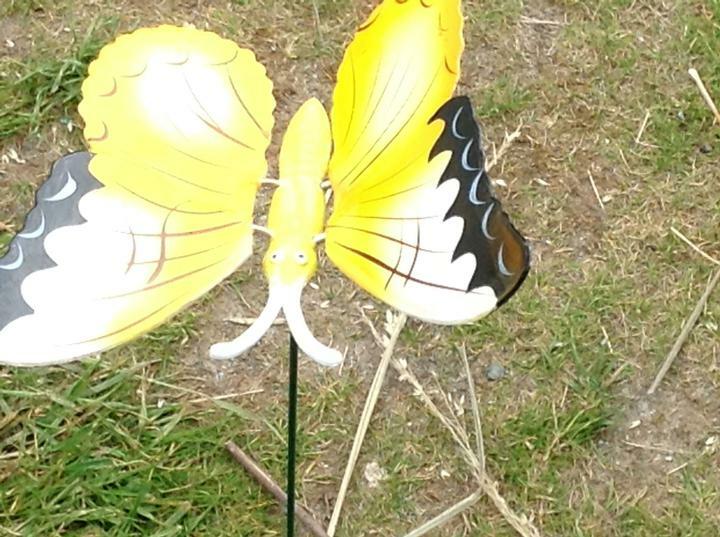 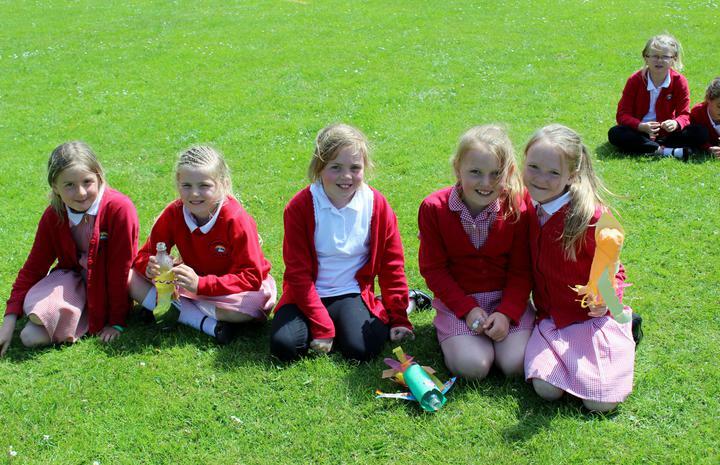 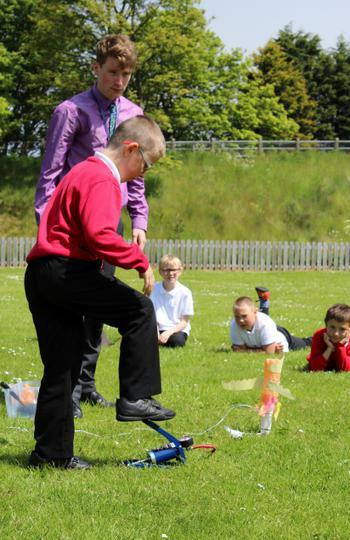 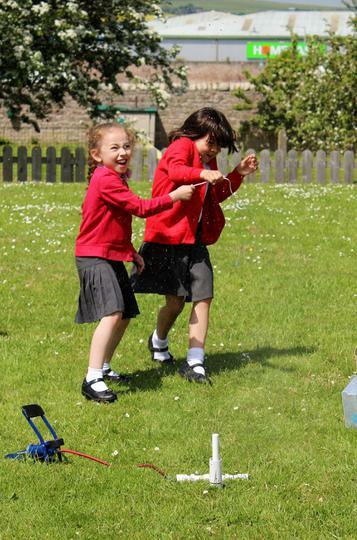 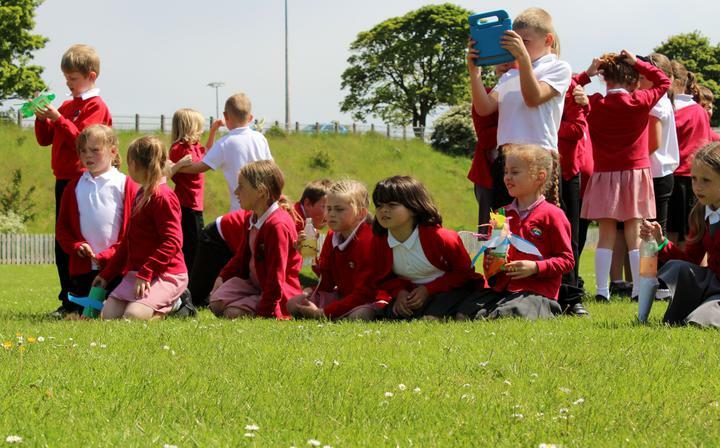 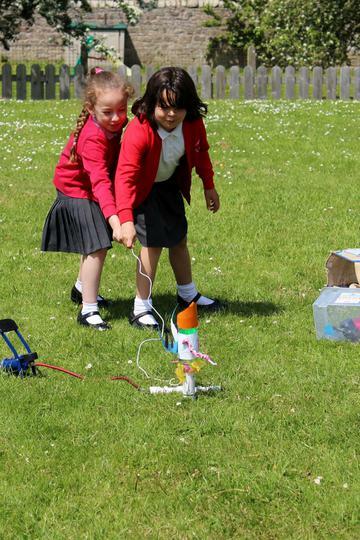 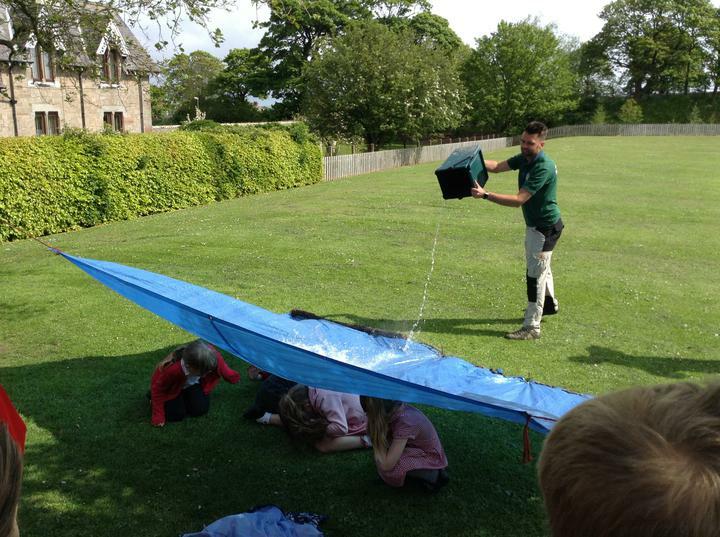 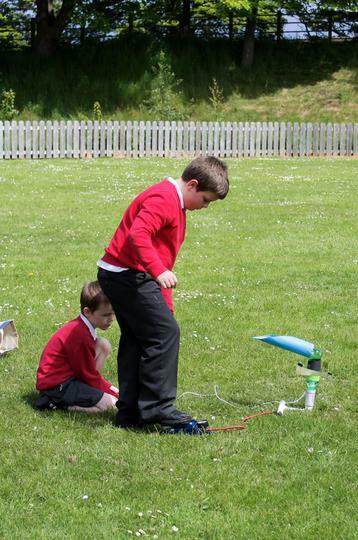 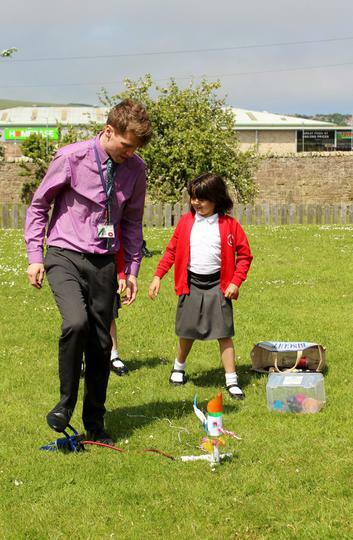 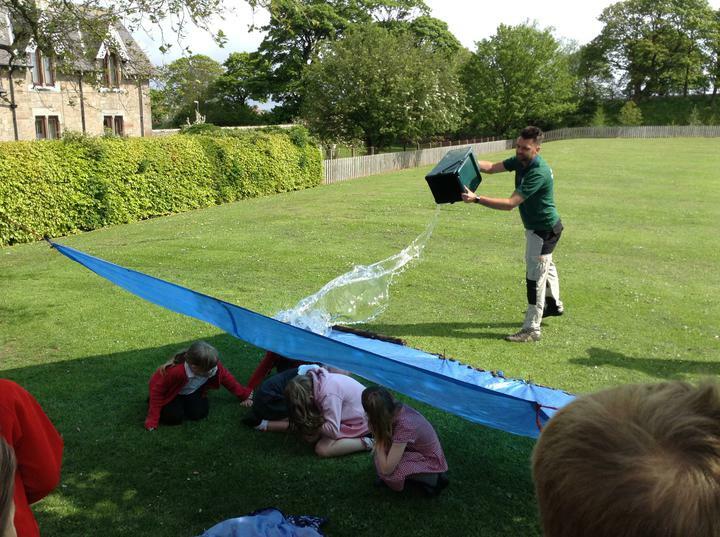 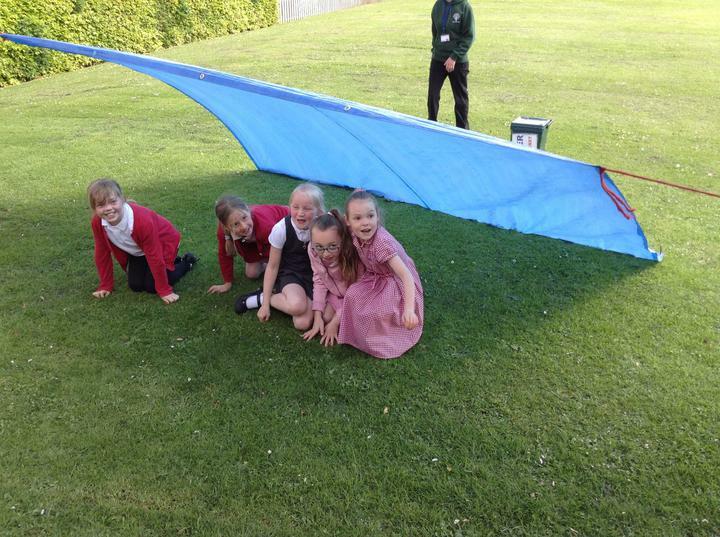 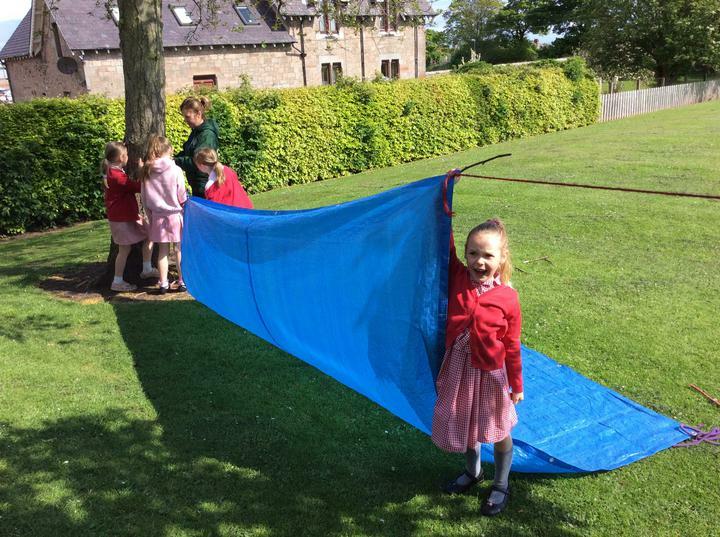 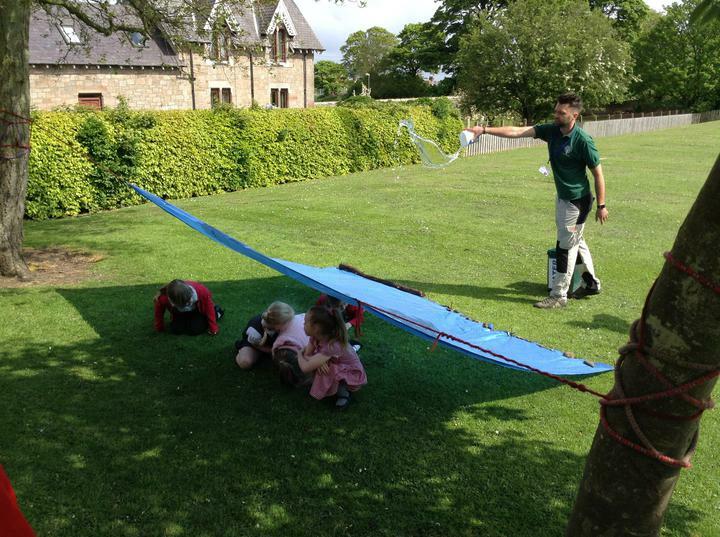 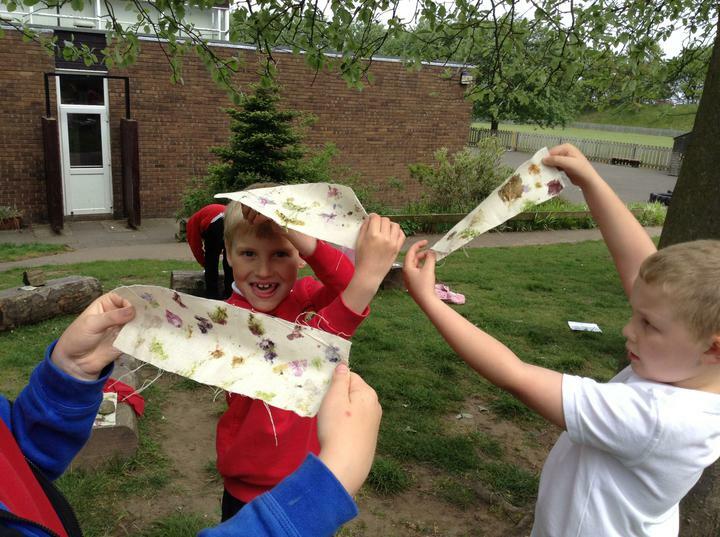 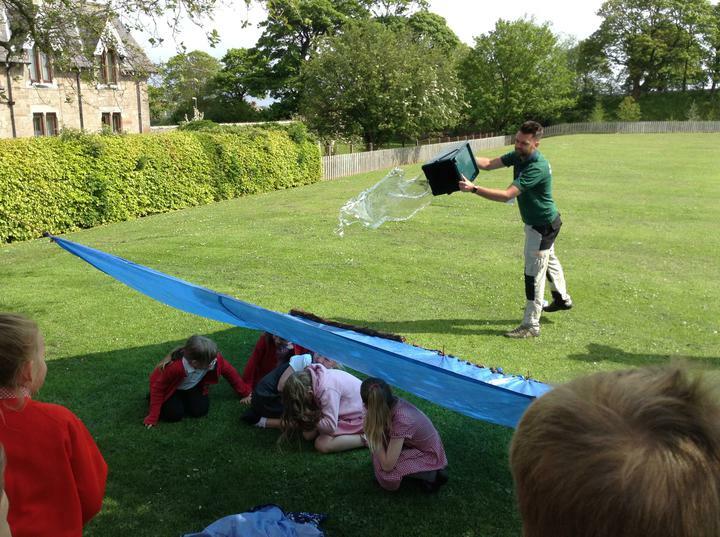 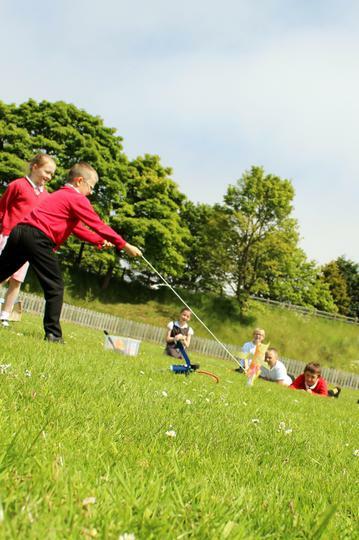 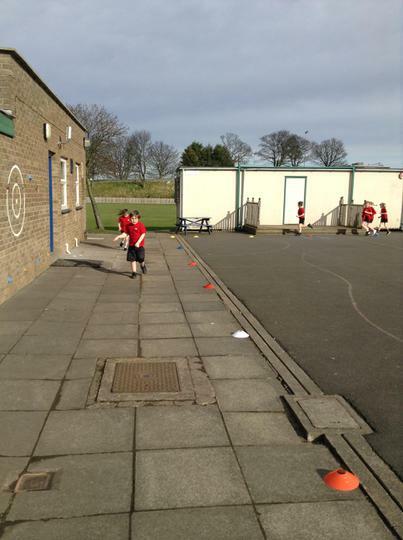 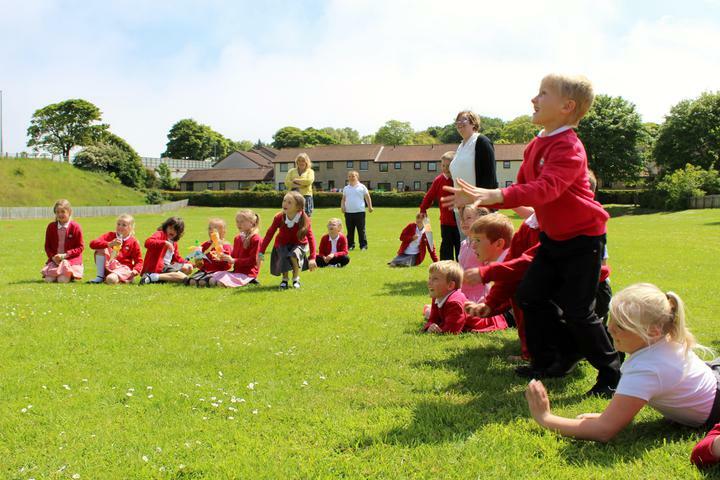 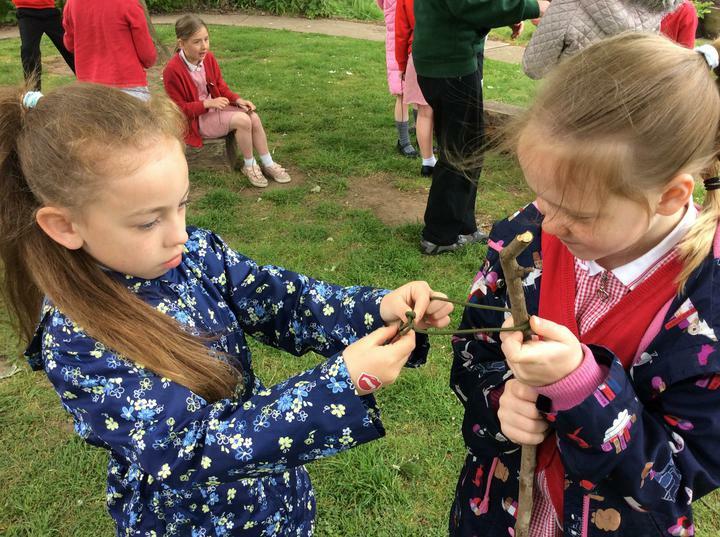 We launched our very own rockets on the school field. 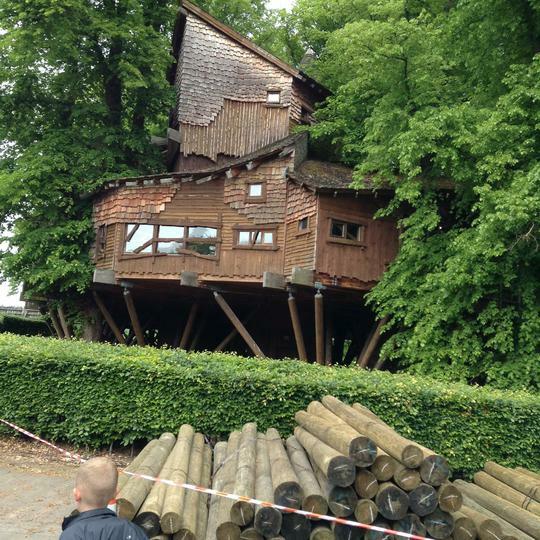 How high do you think they will go? 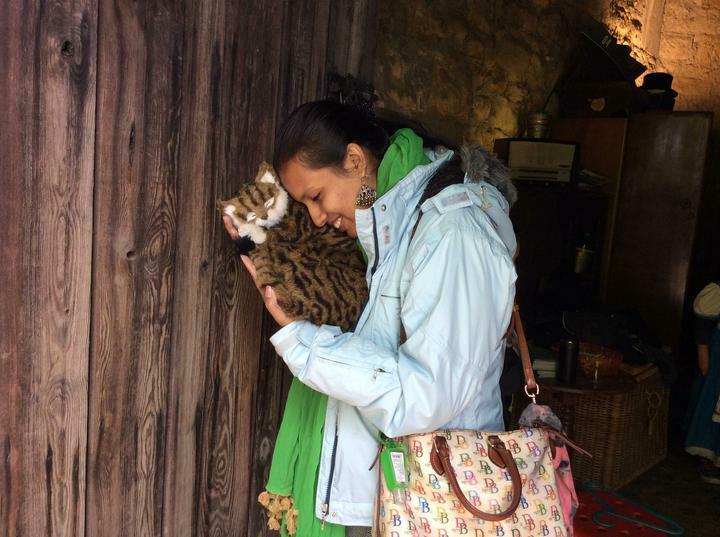 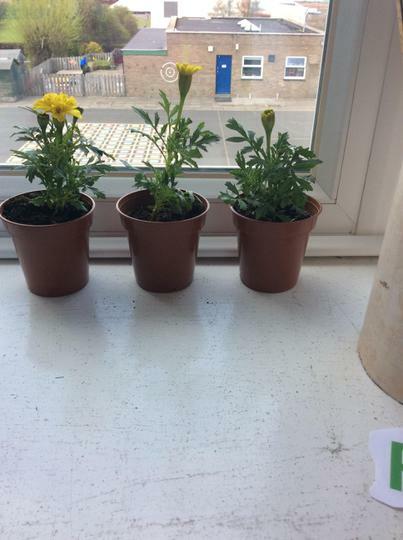 - Take a look! 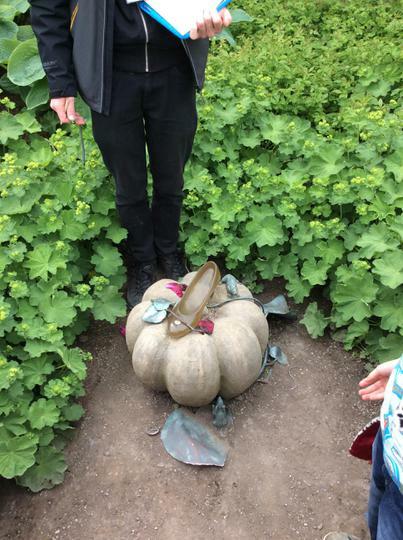 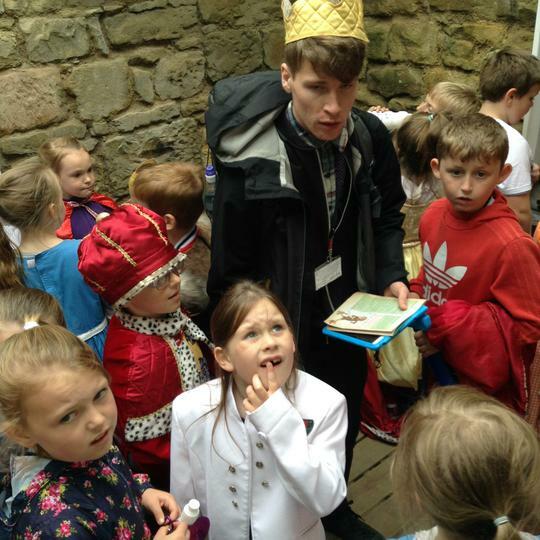 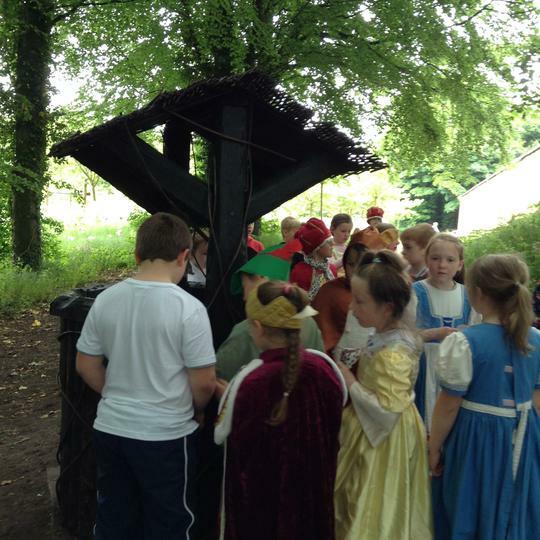 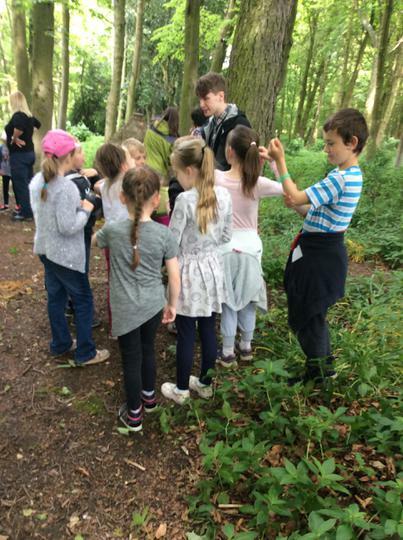 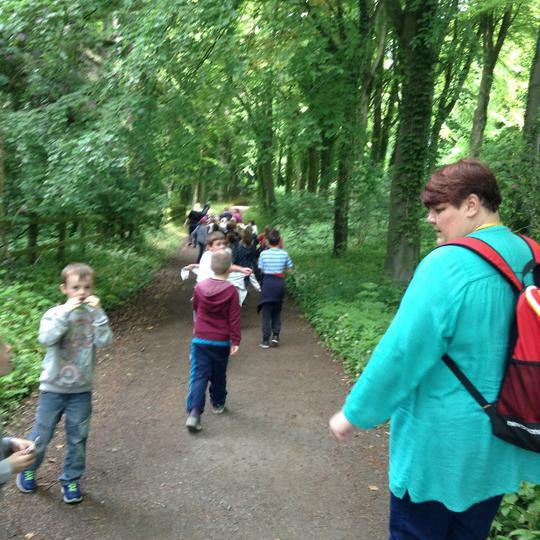 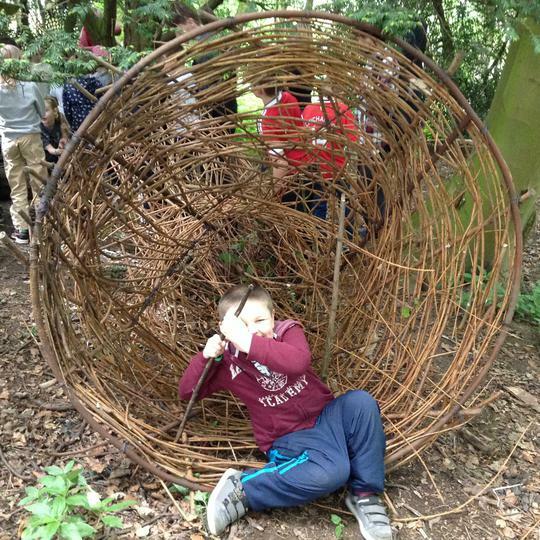 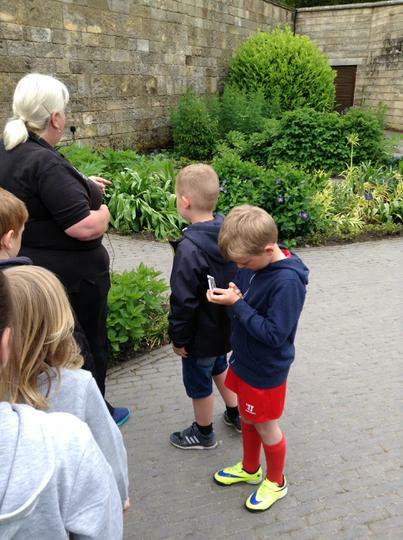 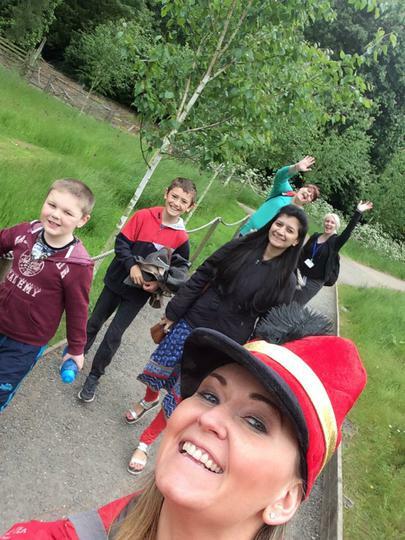 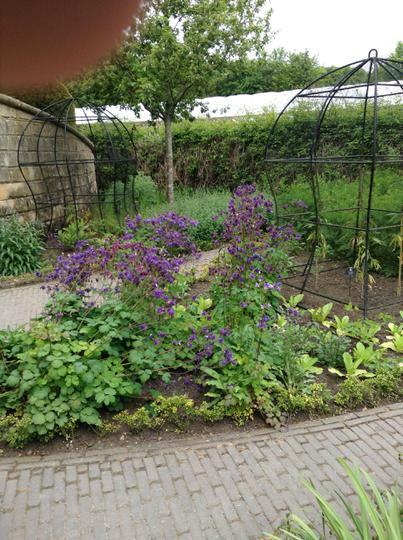 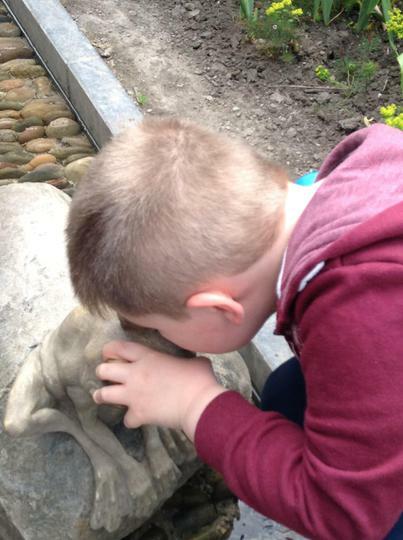 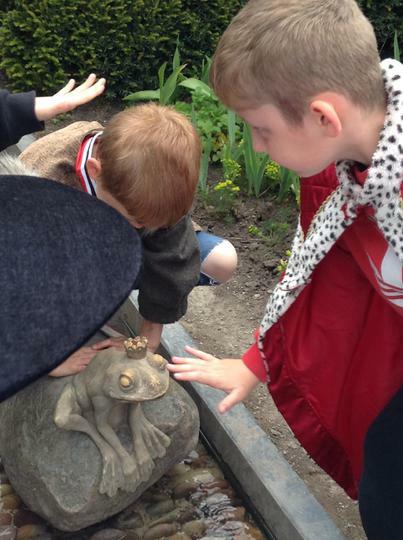 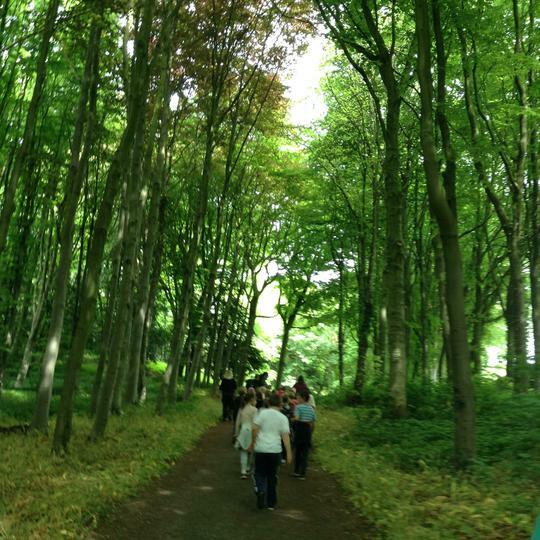 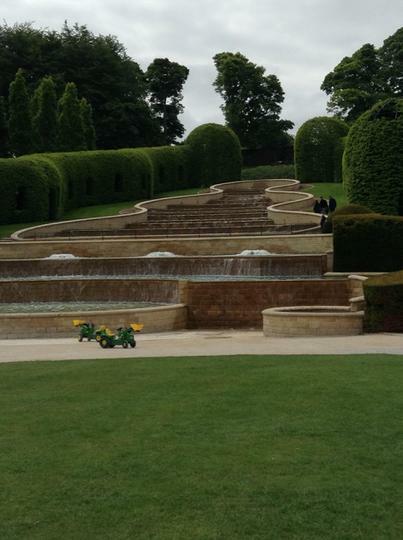 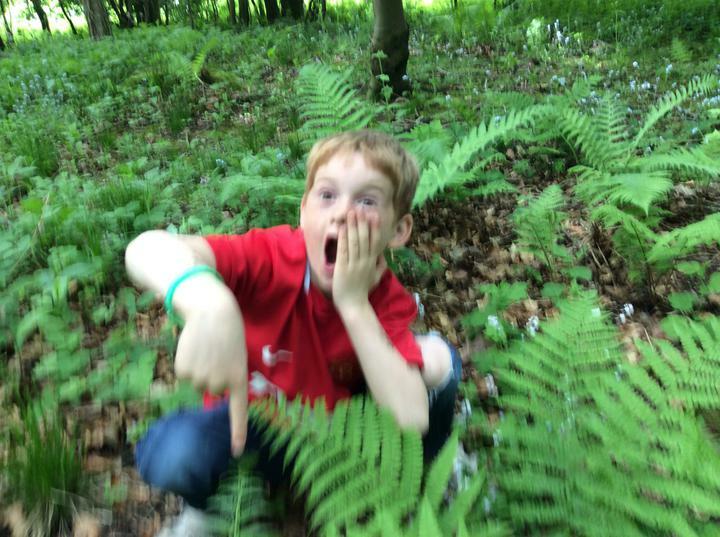 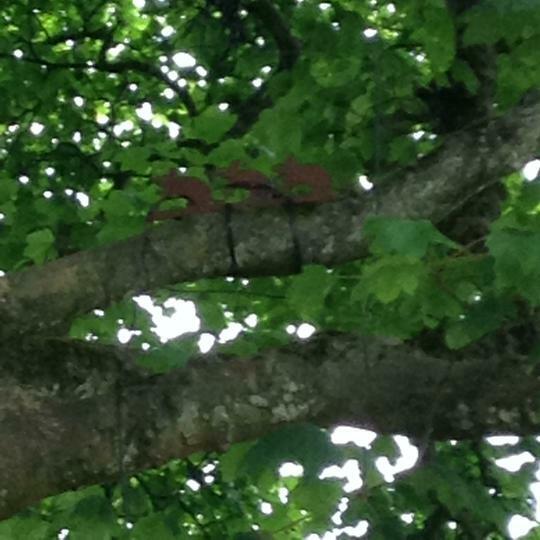 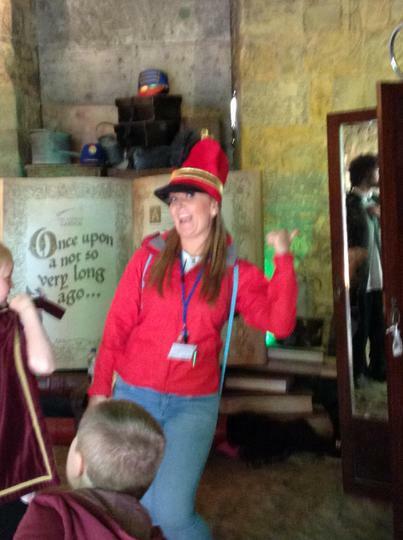 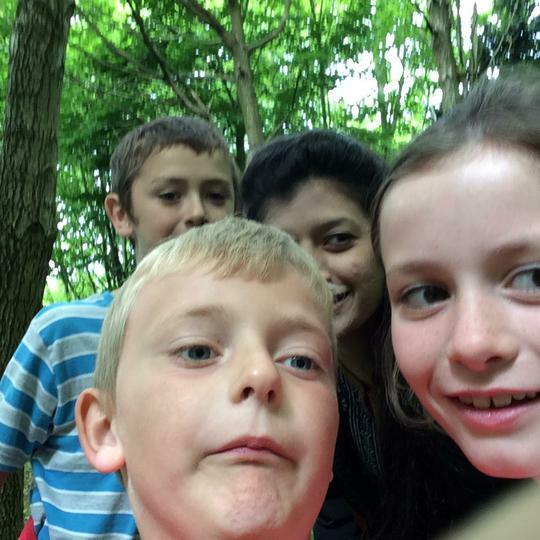 Mr Mole can only apologise for the number of photos from Alnwick - Miss Griffiths got trigger happy with the camera! 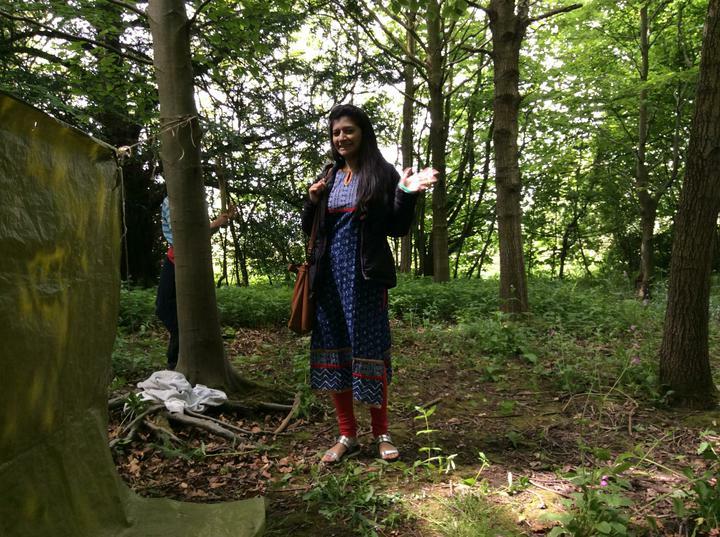 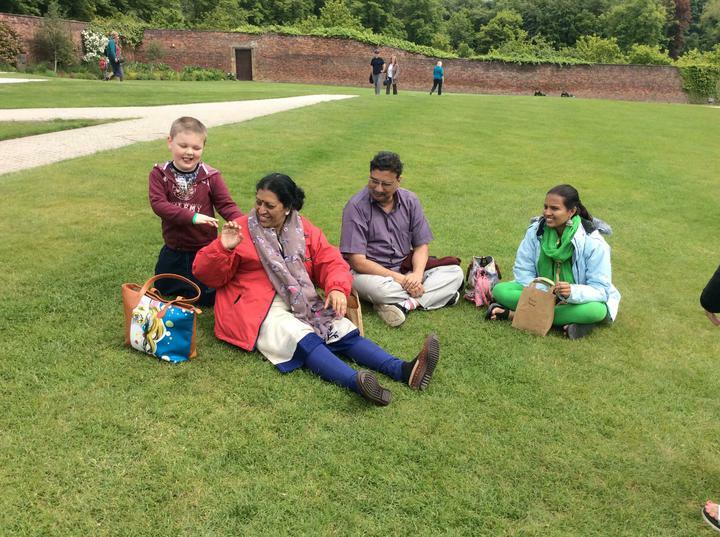 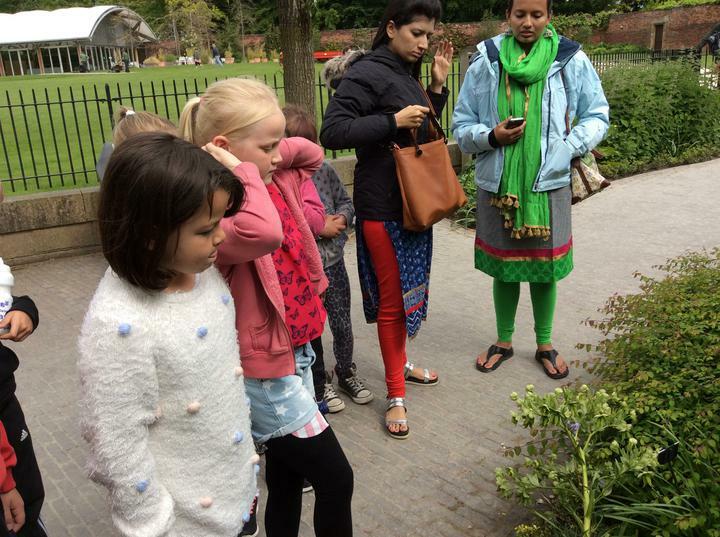 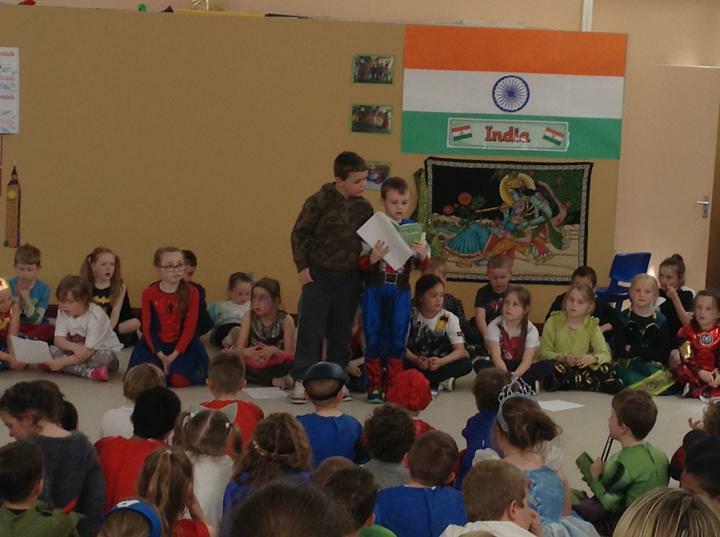 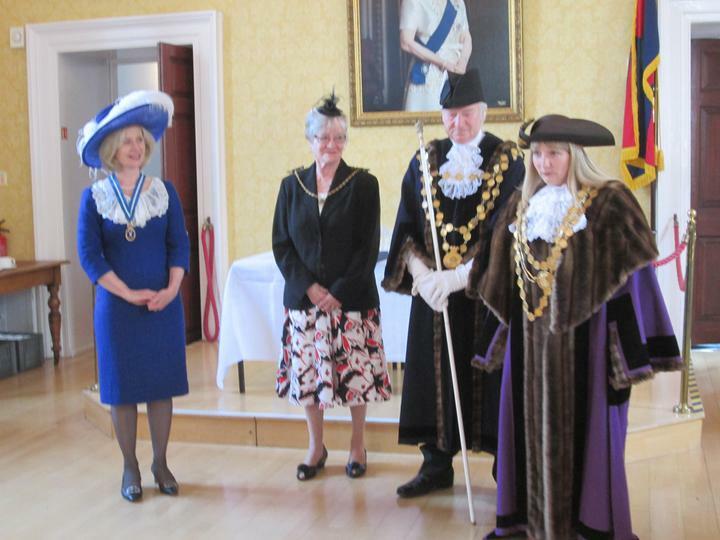 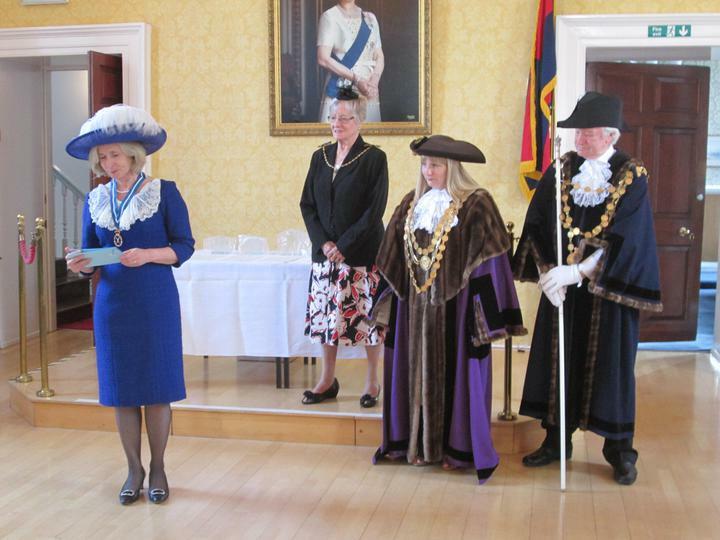 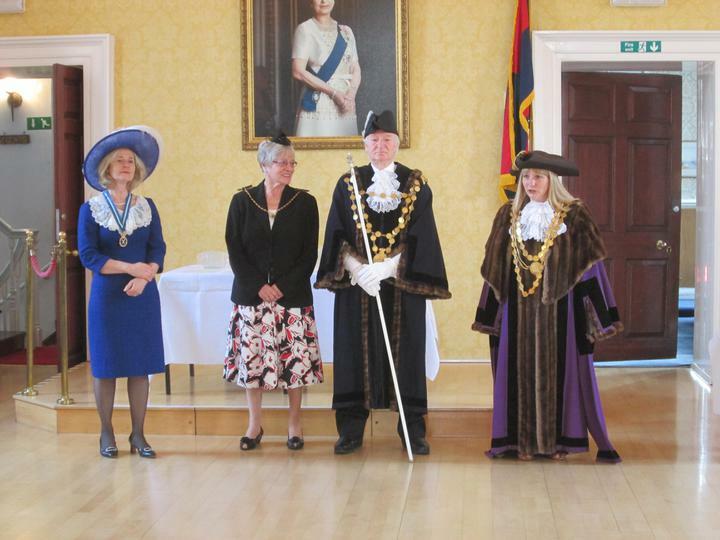 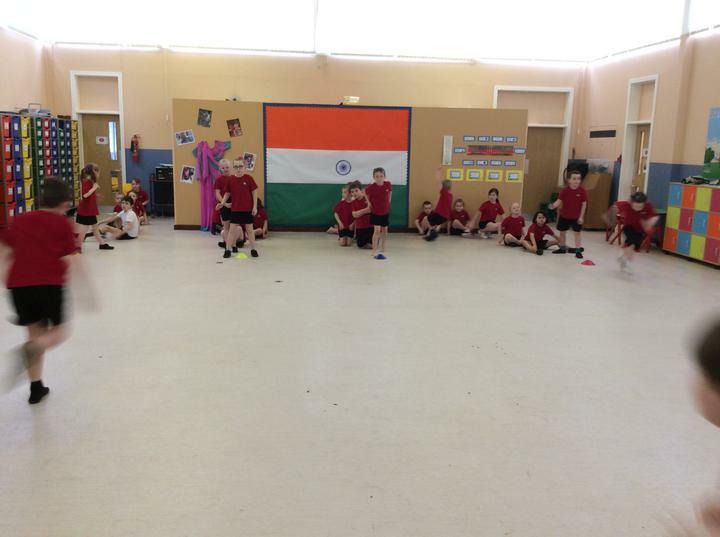 As part of our celebrations welcoming our visitors from India, we were taught some Indian dancing. 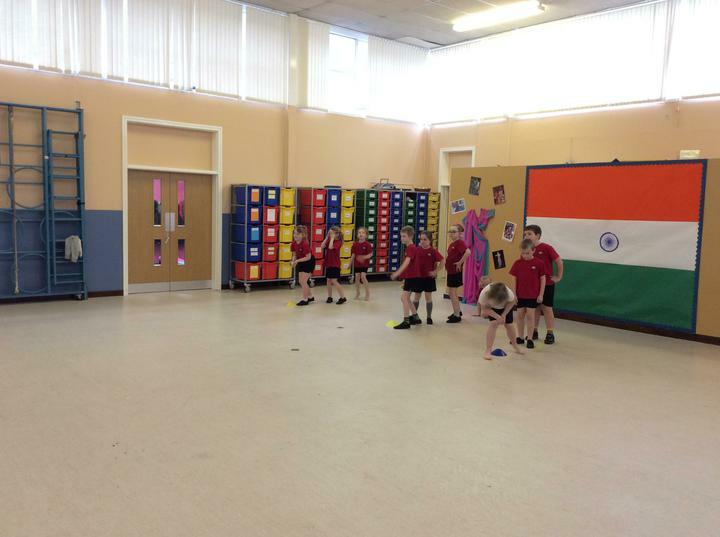 Bollywood is style of dance typically seen in Indian films. 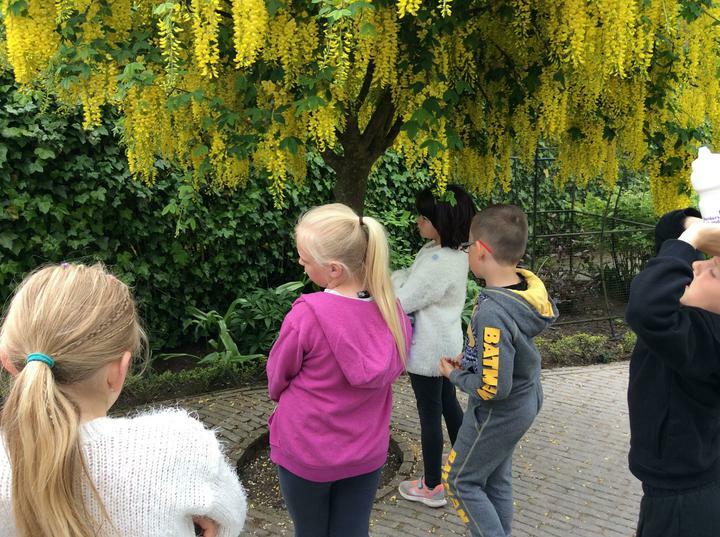 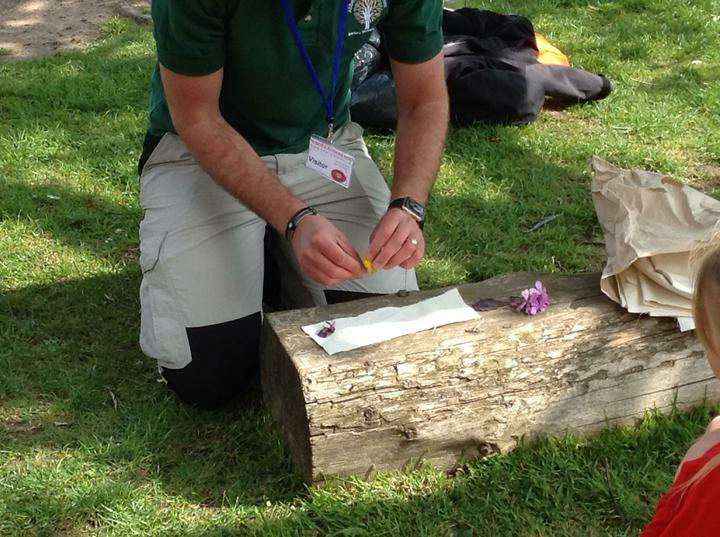 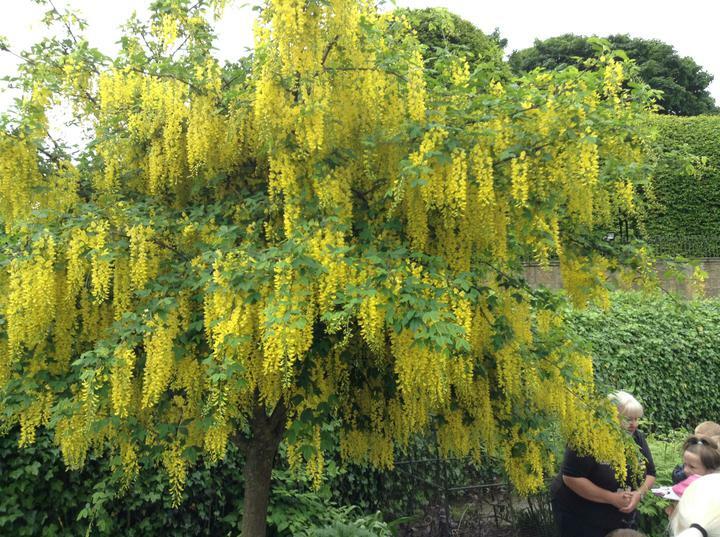 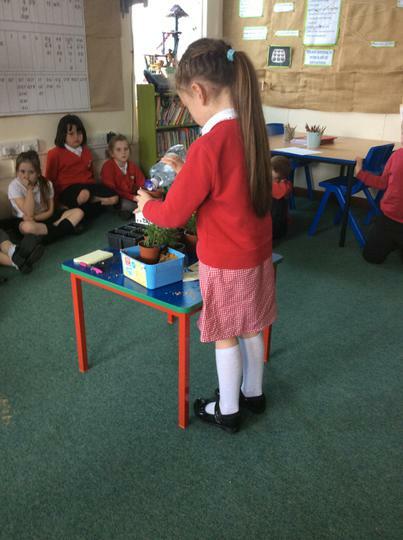 Our experiment observing what happens to plants in different environments has now finished, check out the results below. 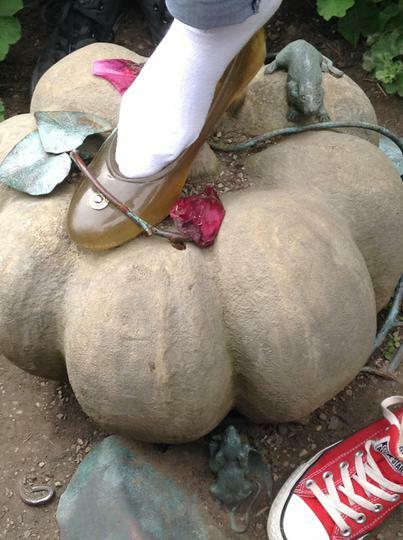 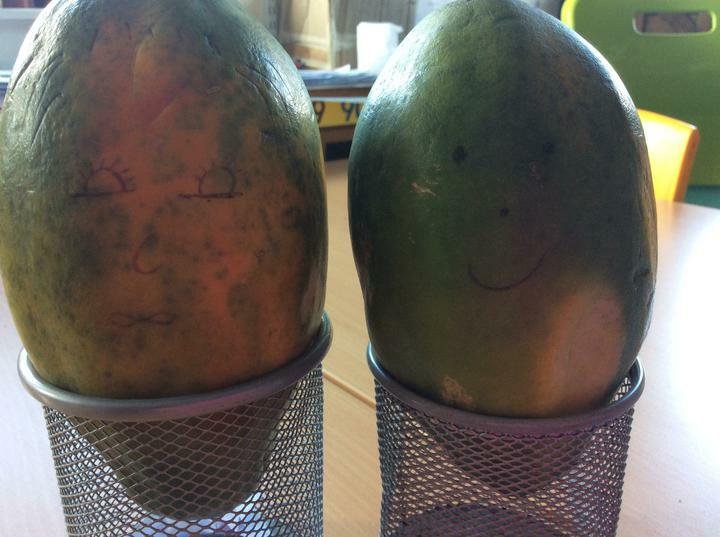 Paula and Paul told us an old story about Papayas. 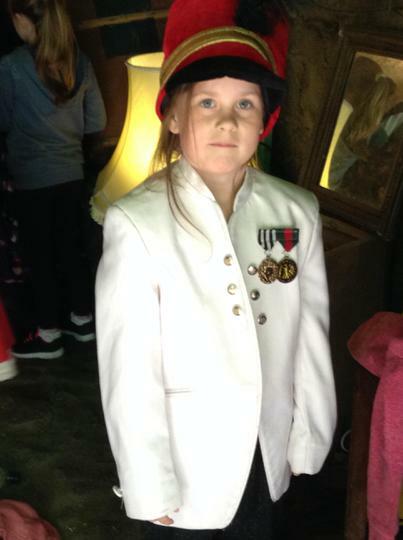 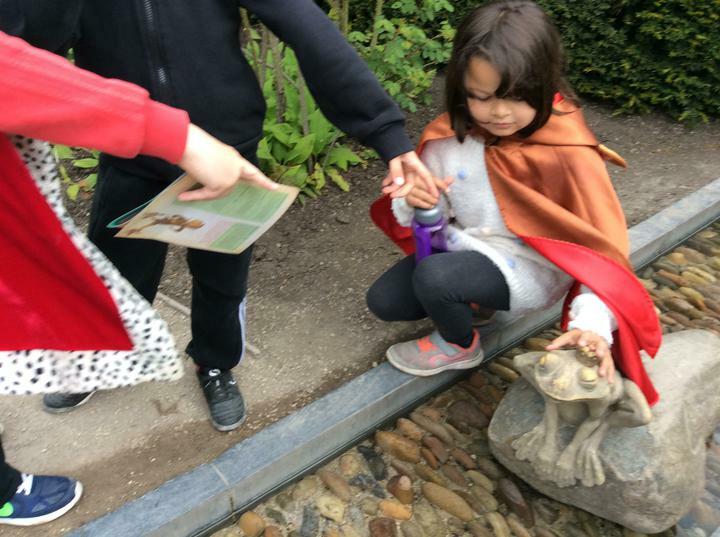 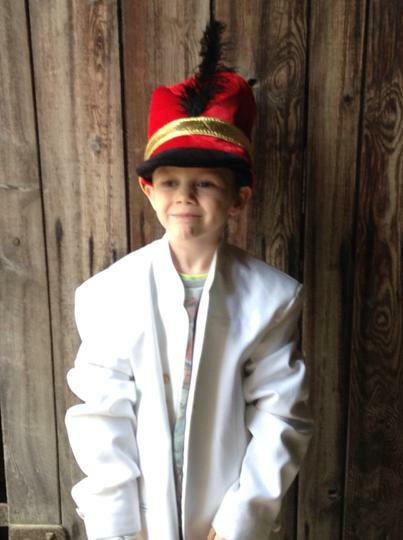 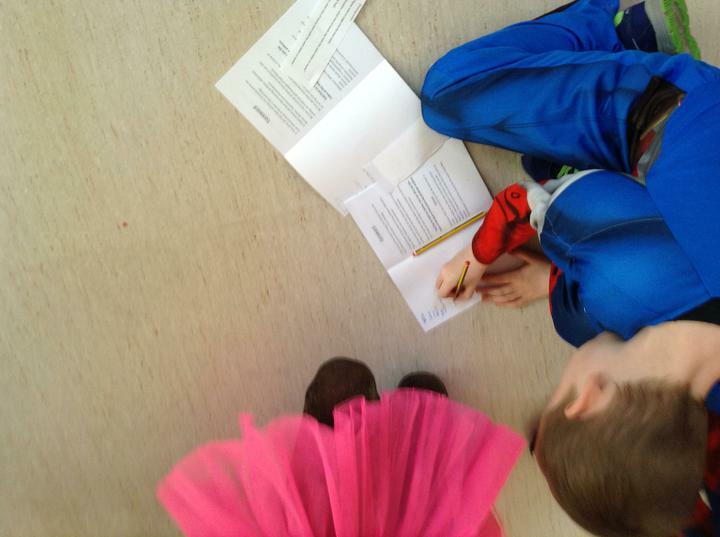 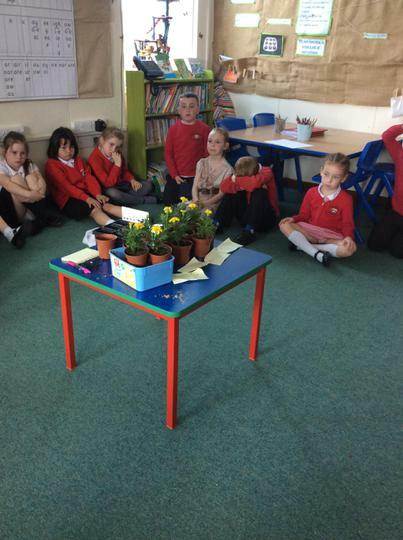 Please listen to our class retelling it. 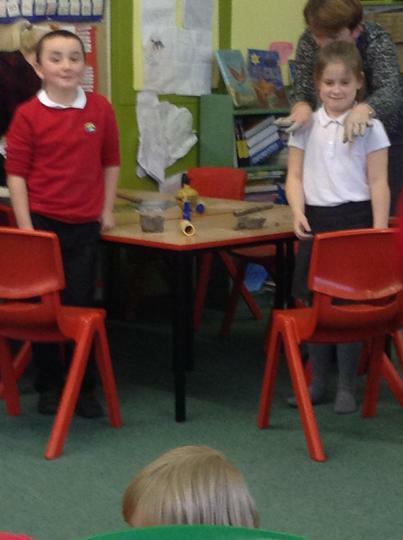 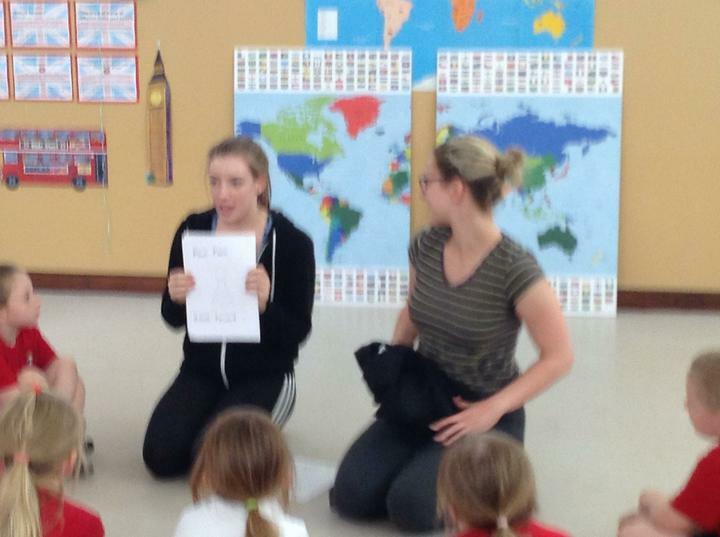 Paula and Paul will help us over the next few weeks in our English lessons, particularly with the quality of our story writing. 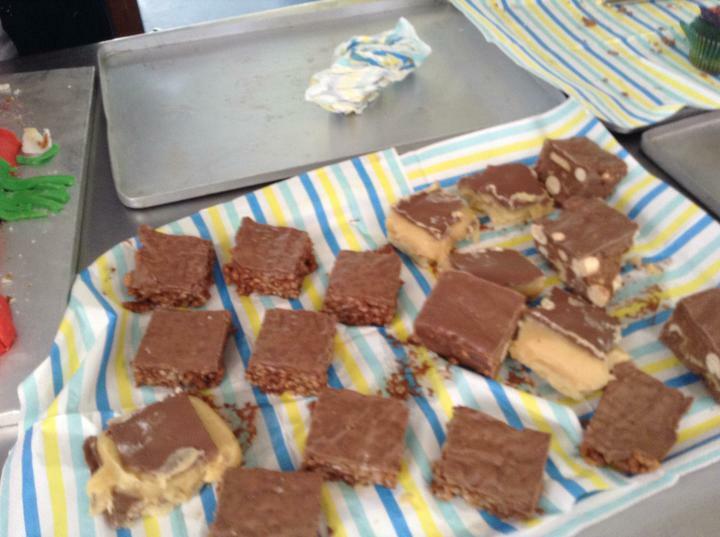 Unfortunately, there was an accident in class today and Paula got cut. 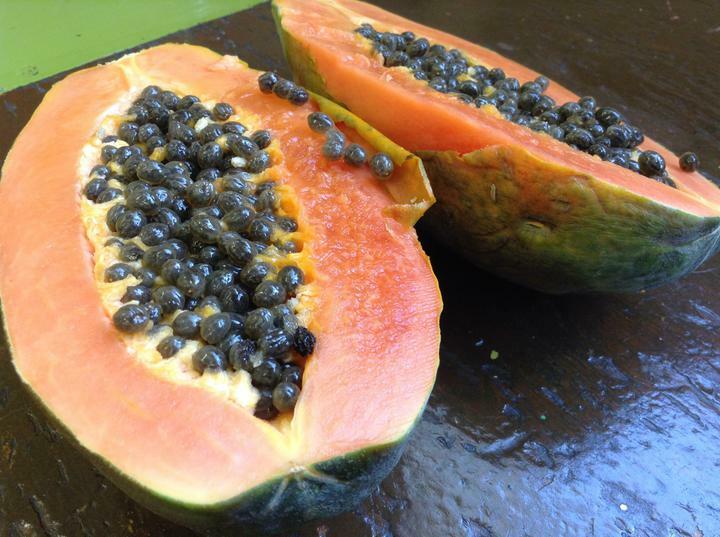 Luckily for us though, Paula's injury meant we got to see the inside of a papaya. 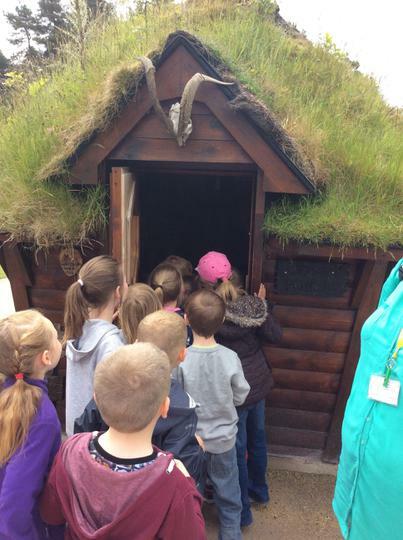 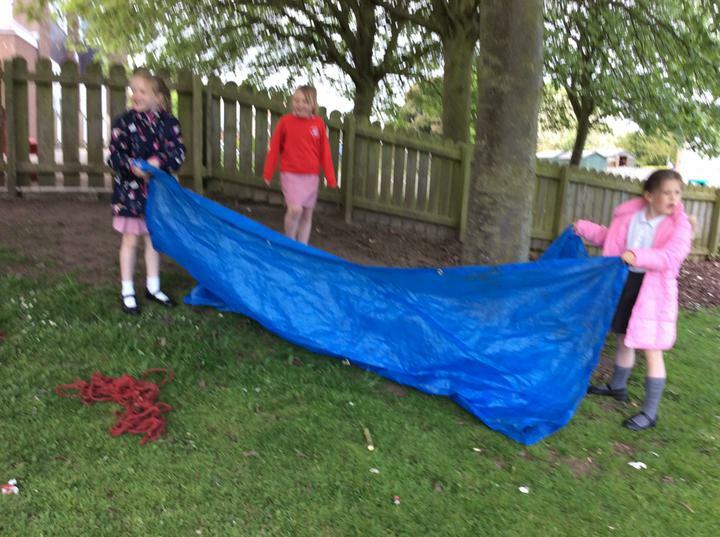 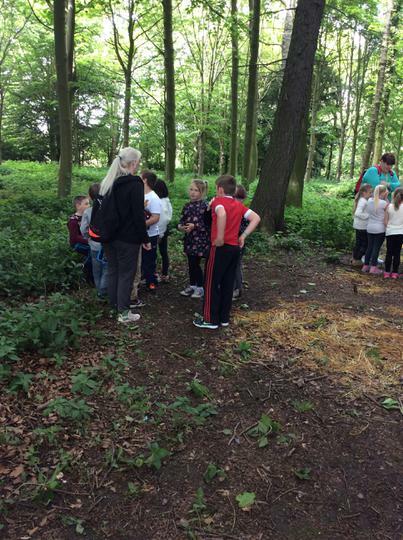 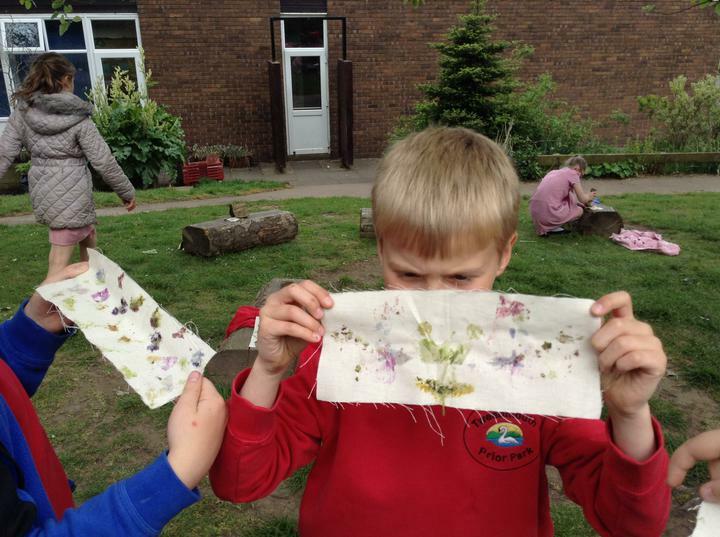 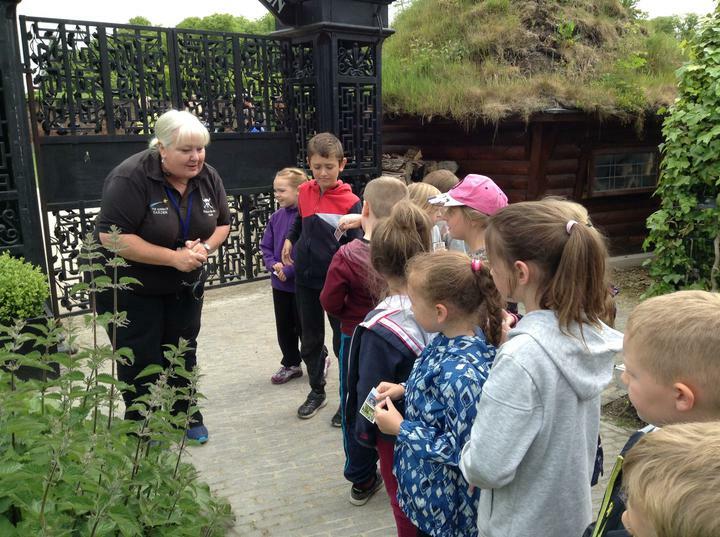 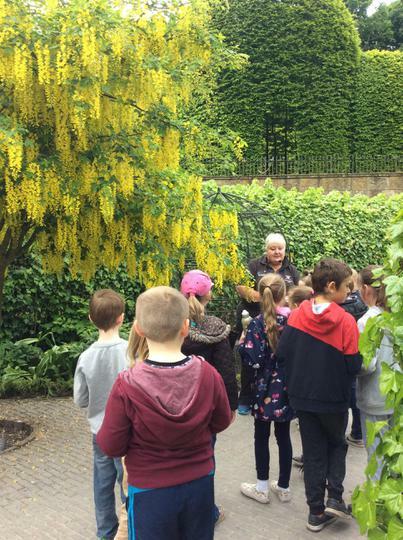 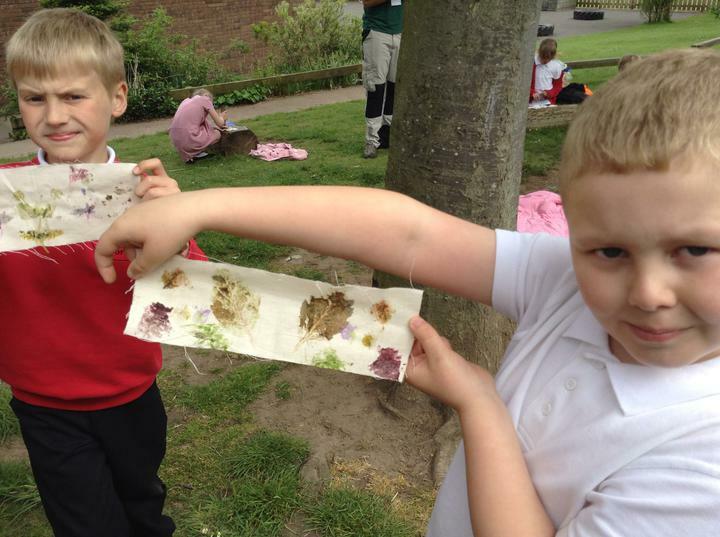 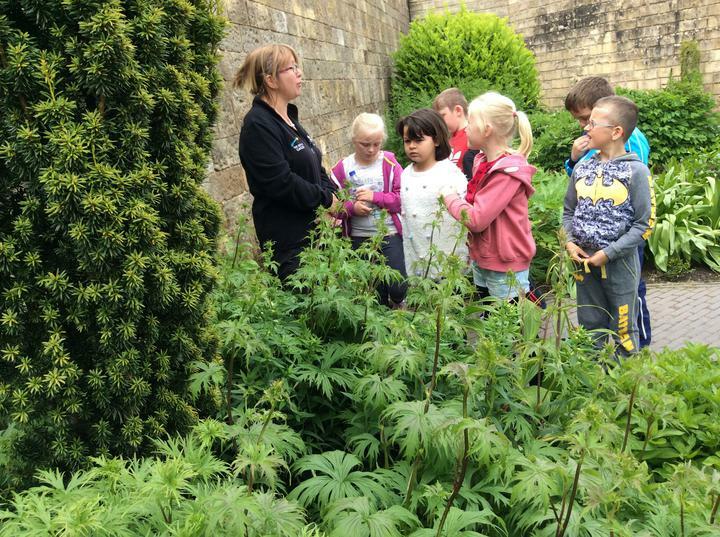 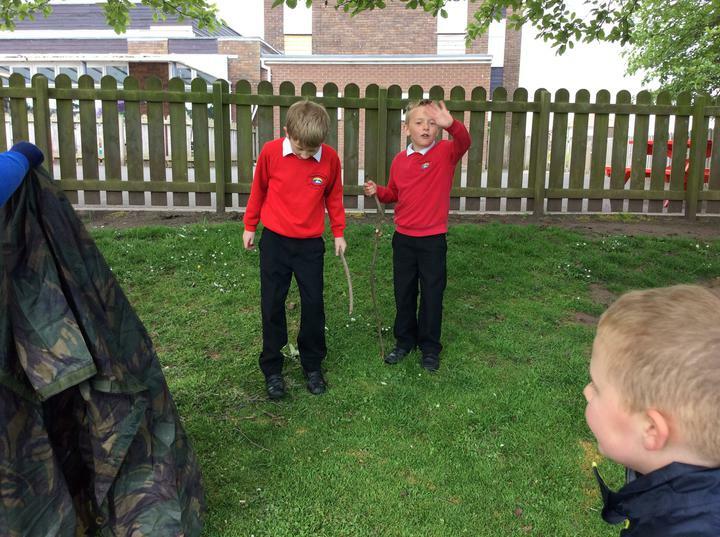 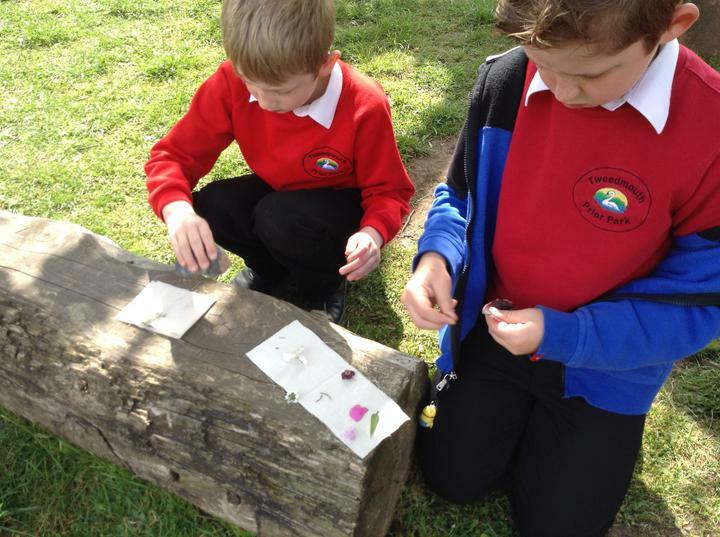 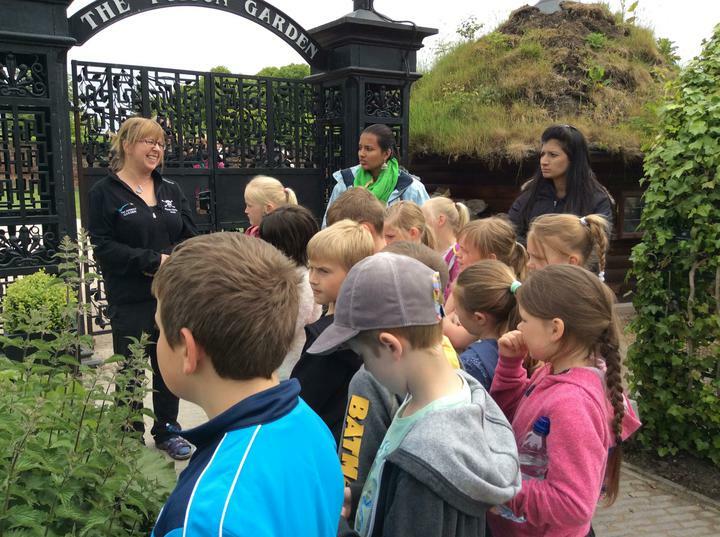 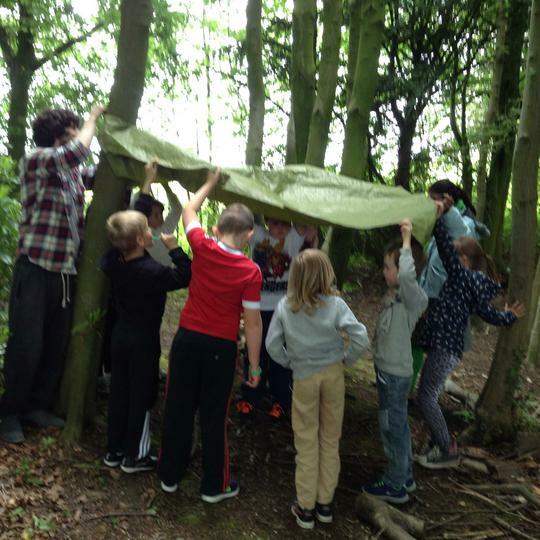 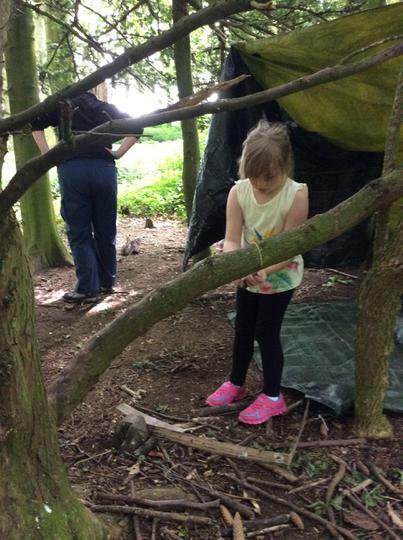 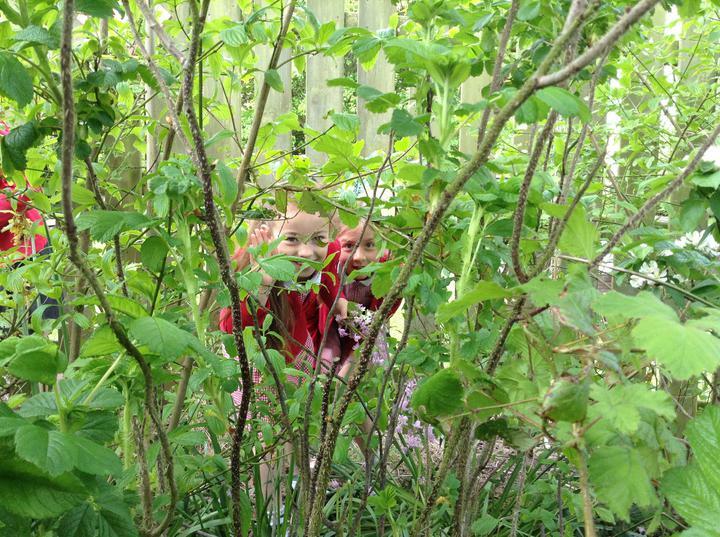 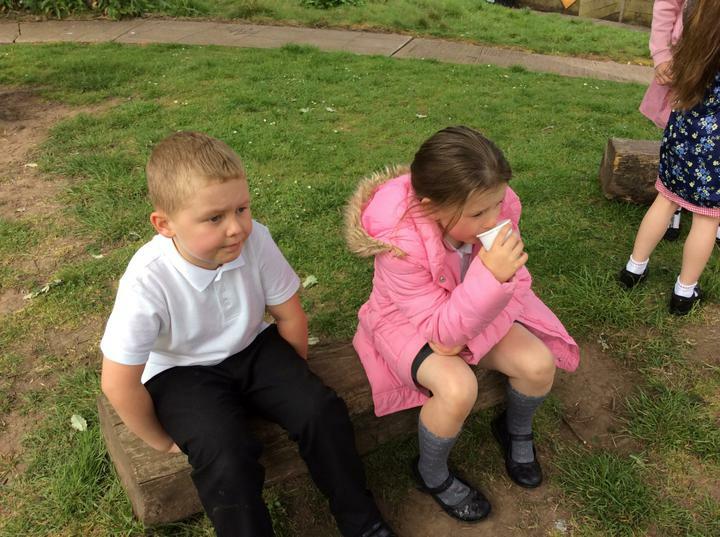 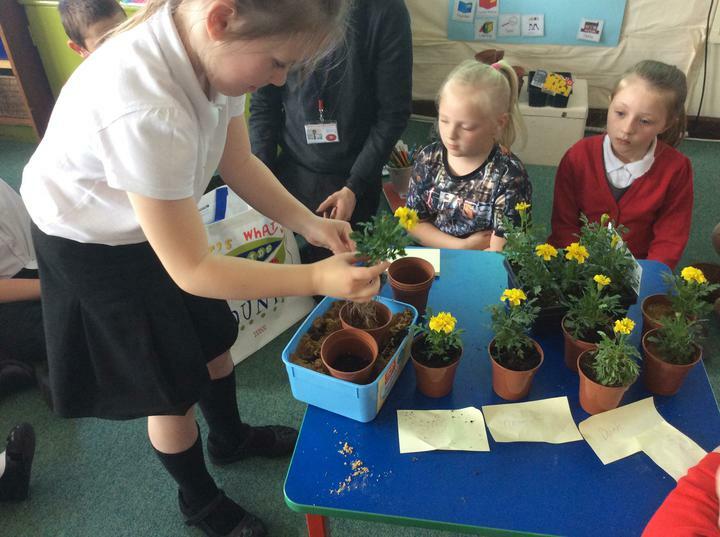 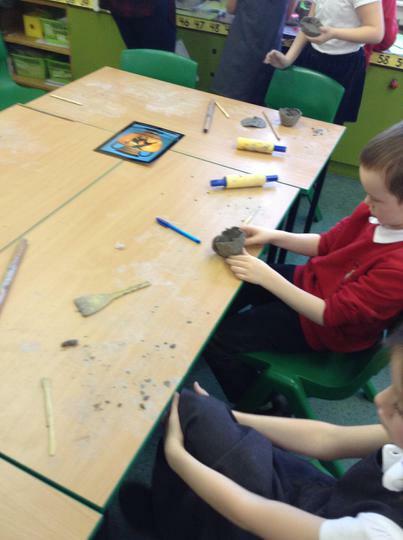 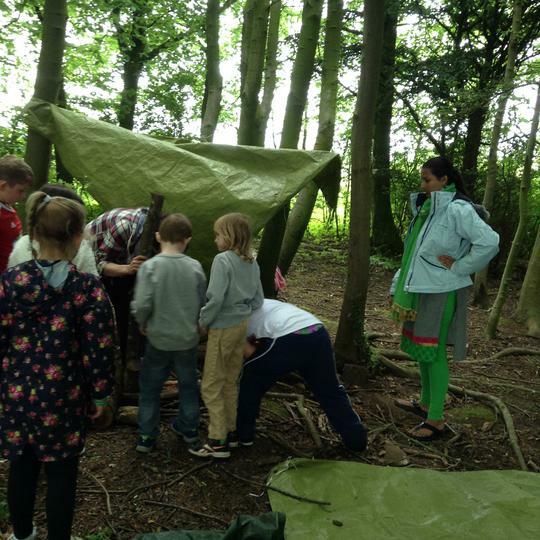 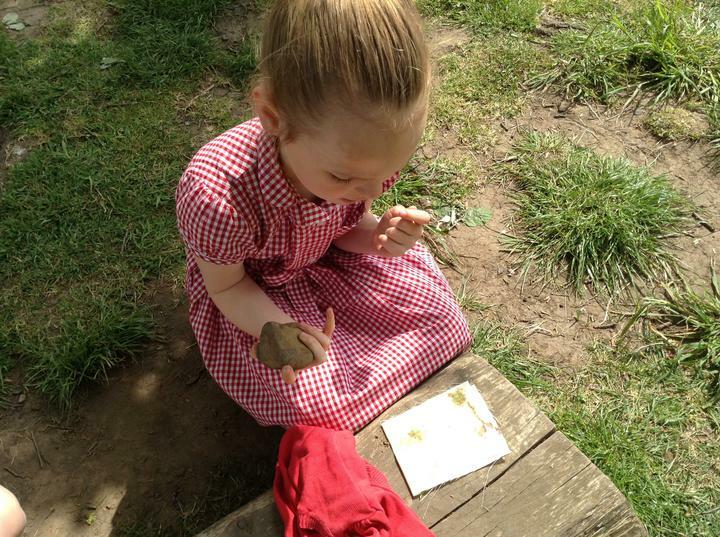 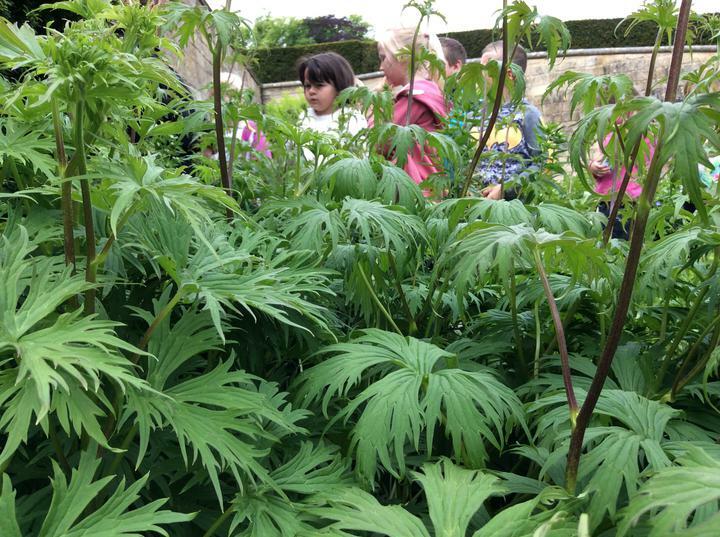 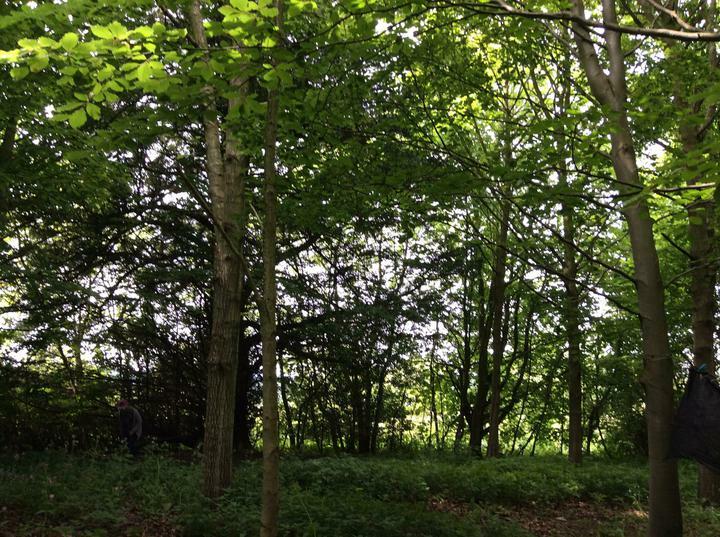 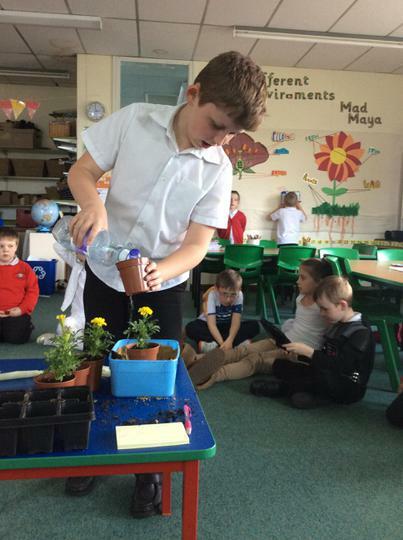 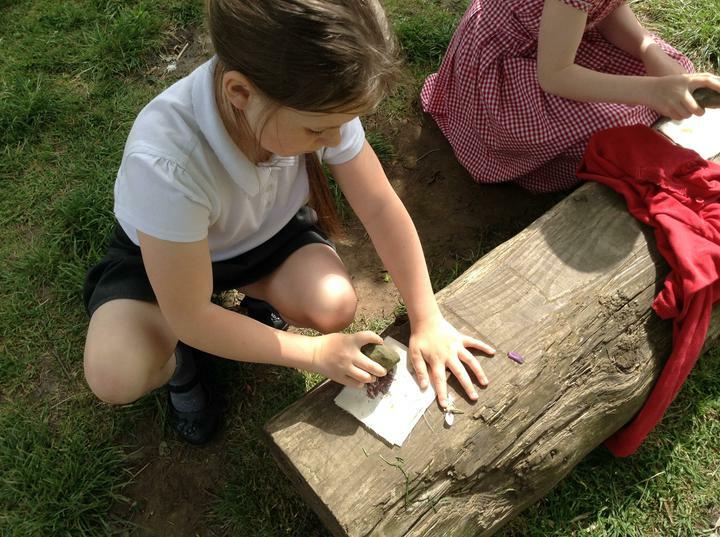 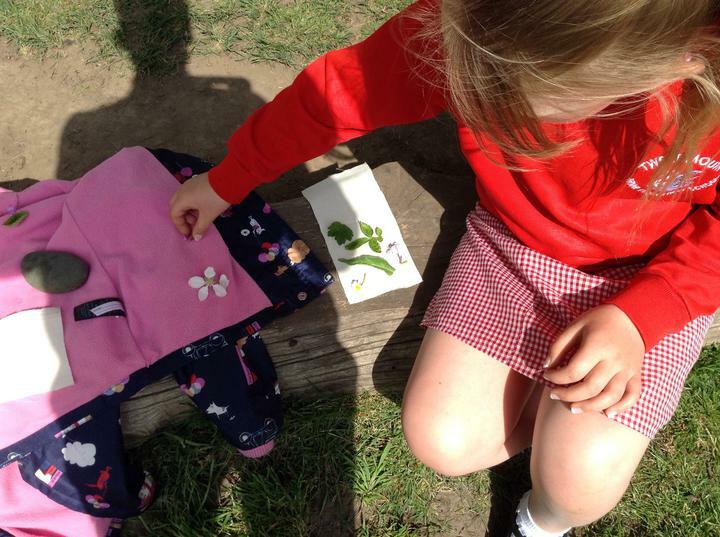 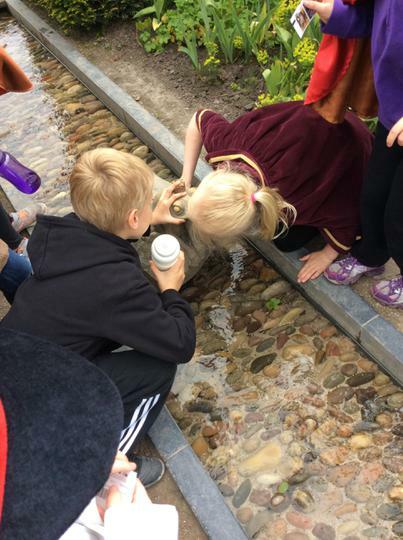 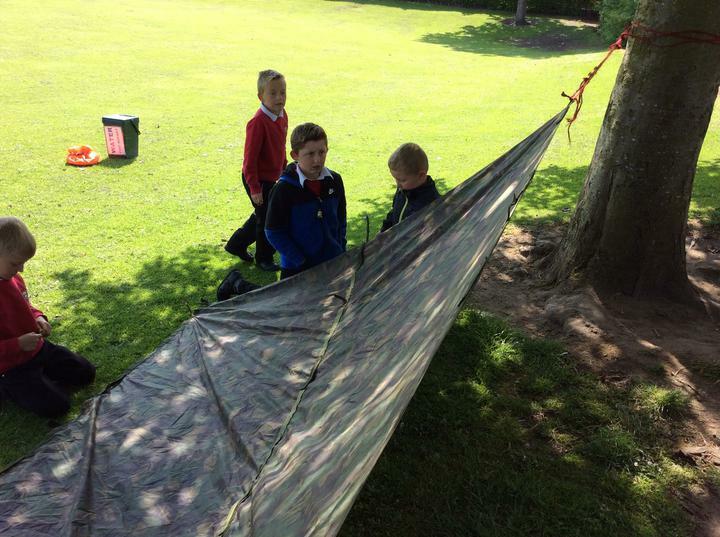 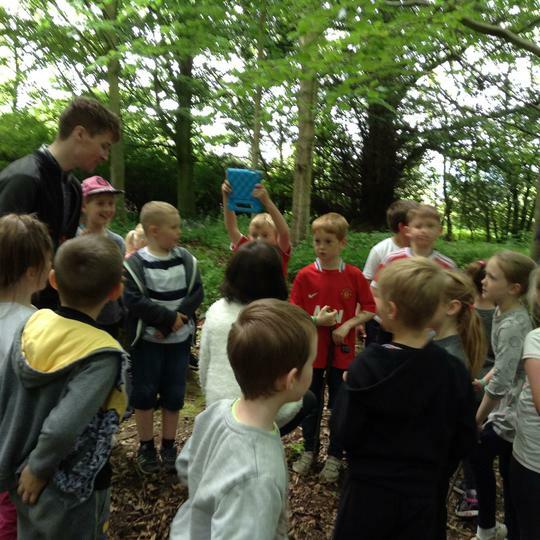 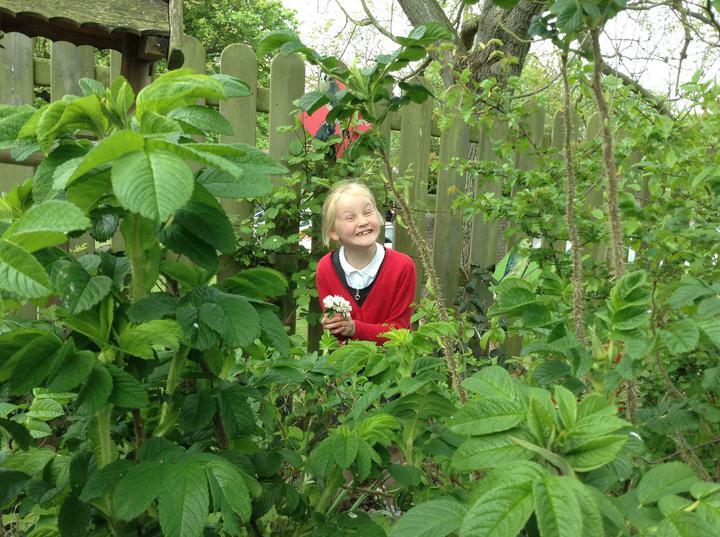 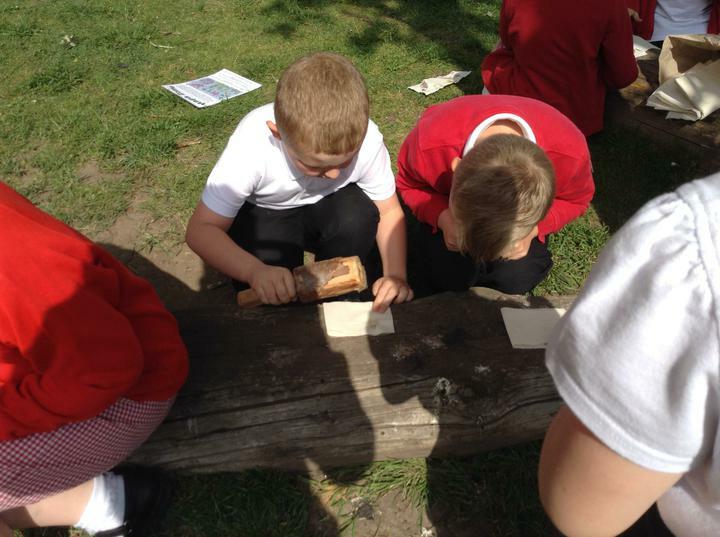 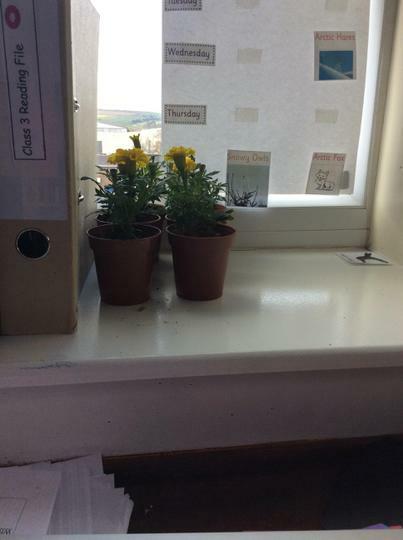 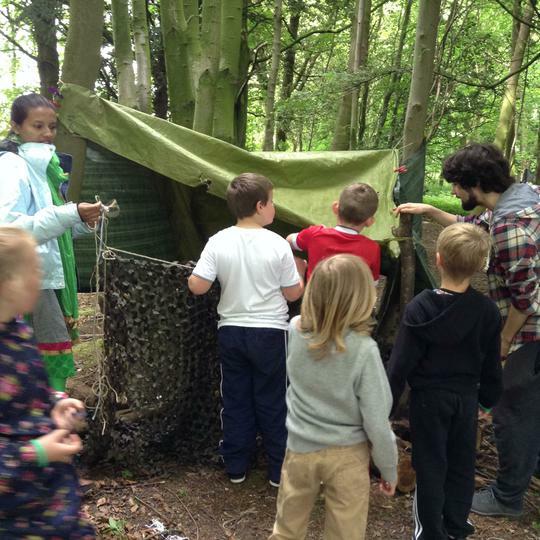 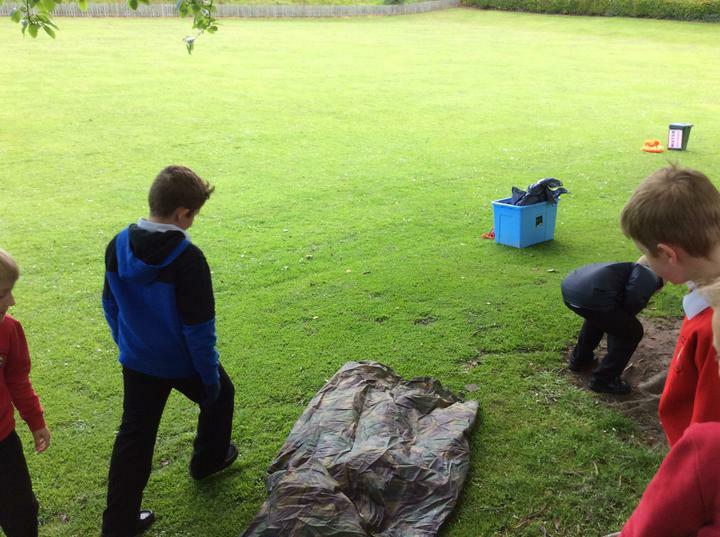 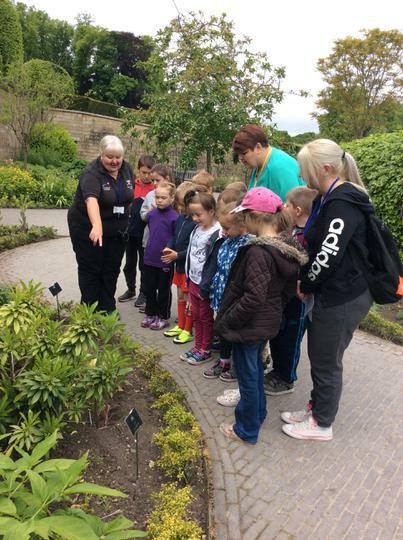 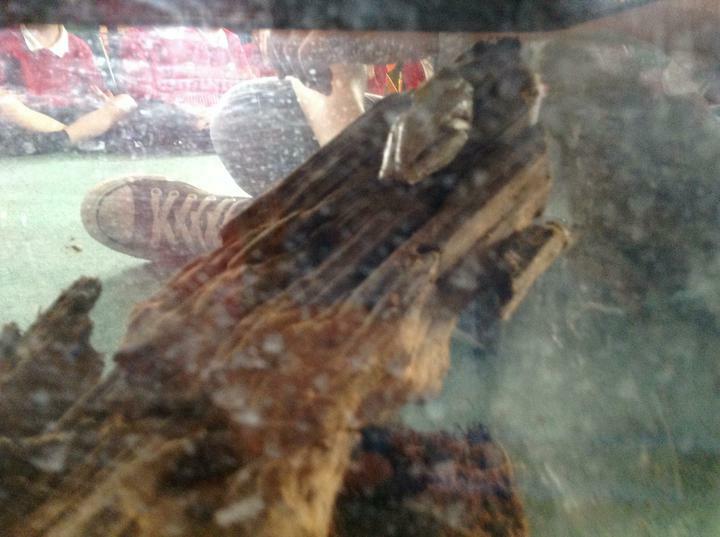 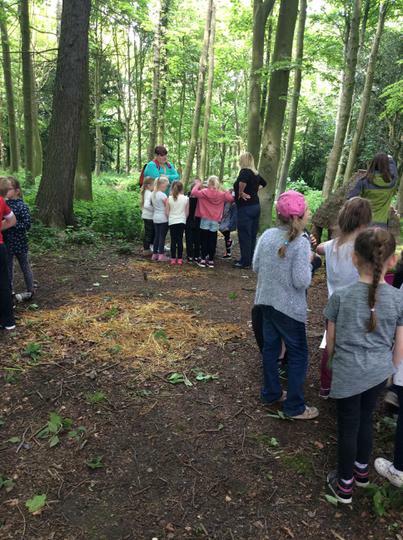 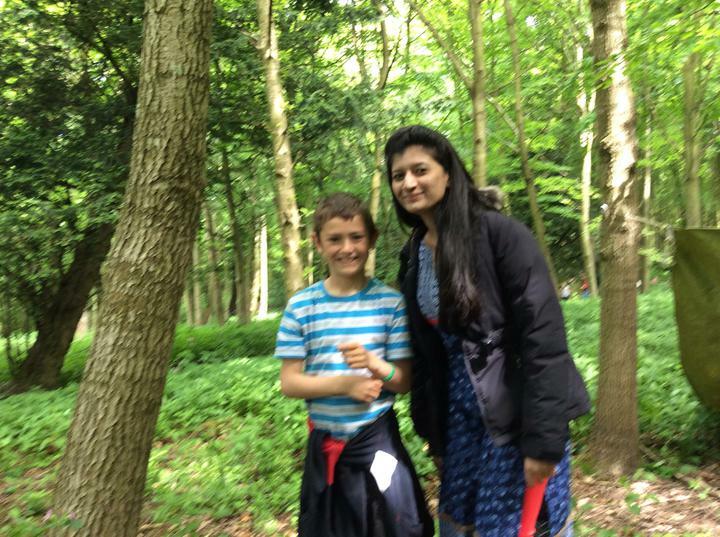 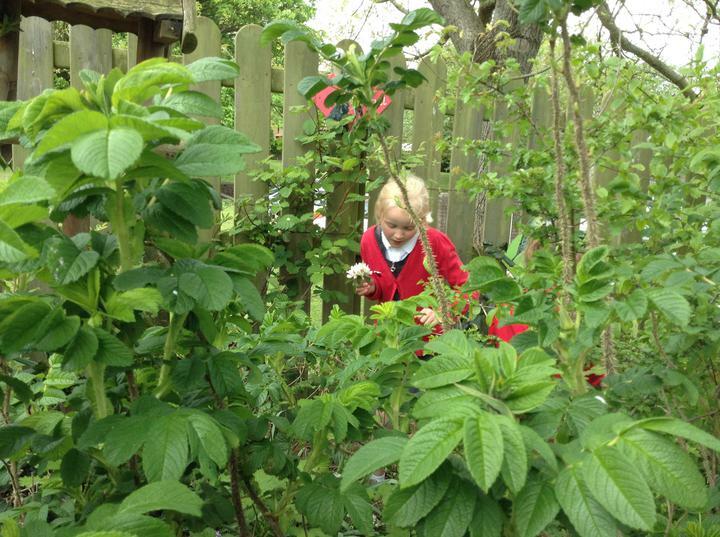 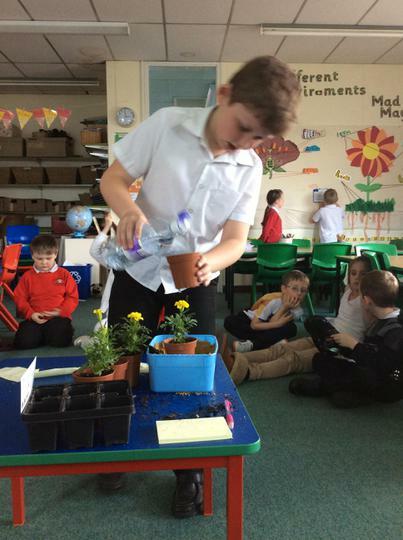 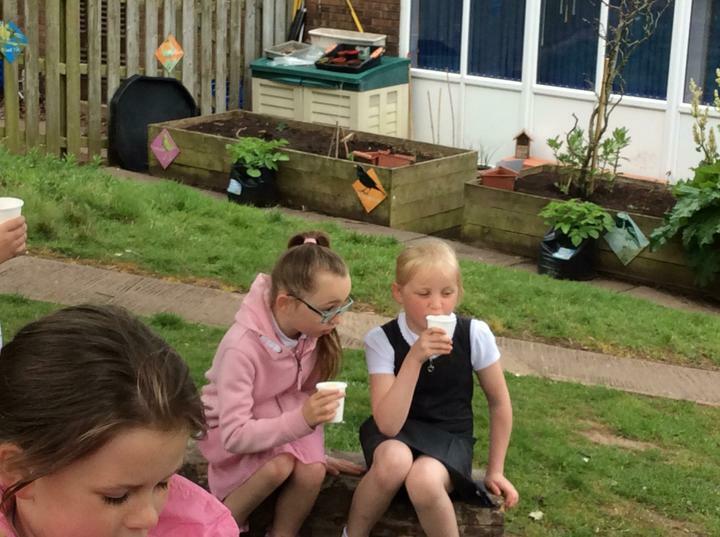 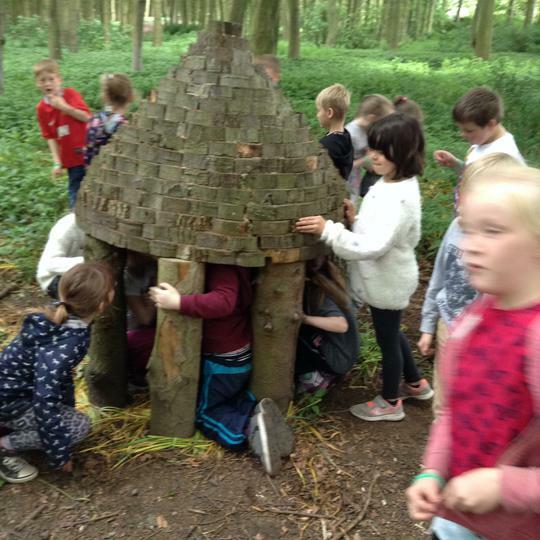 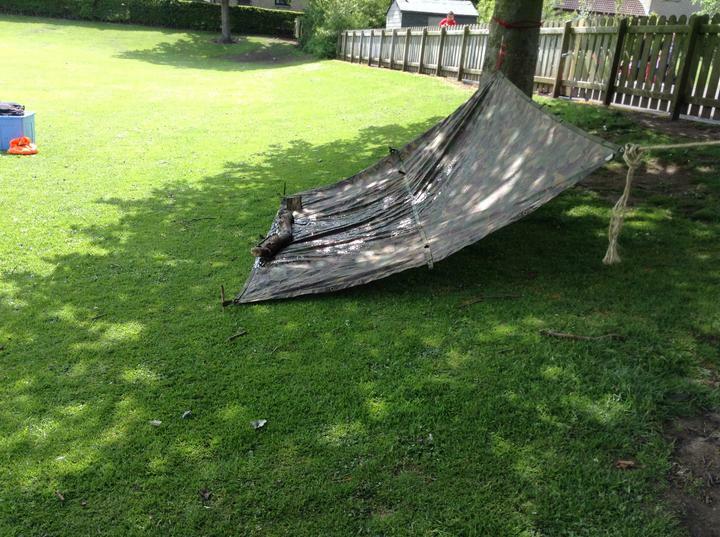 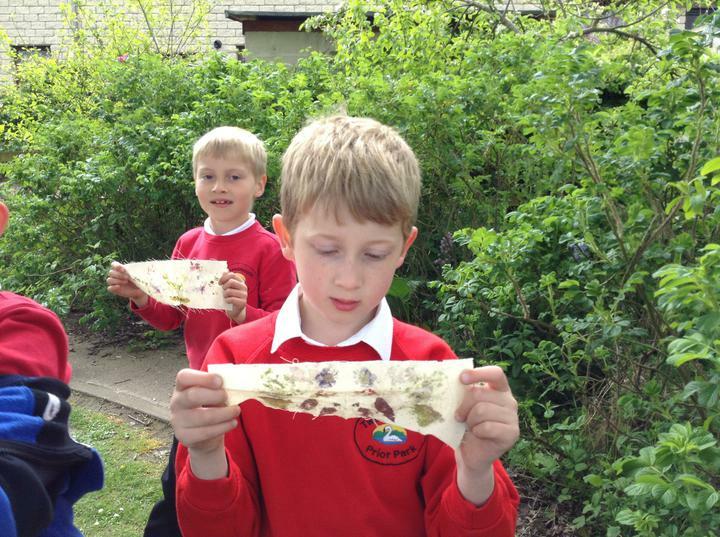 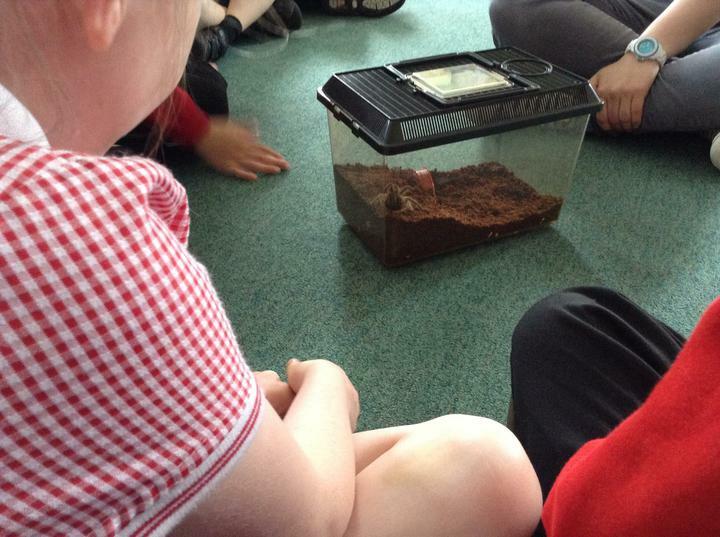 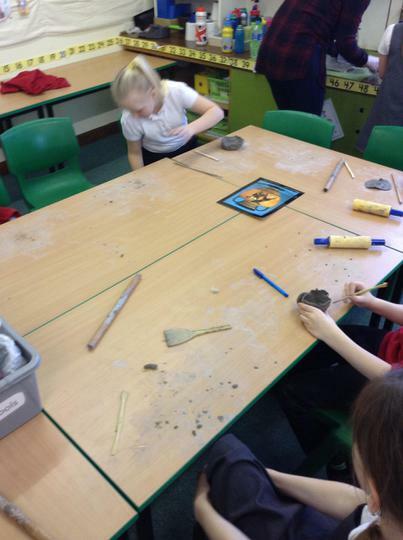 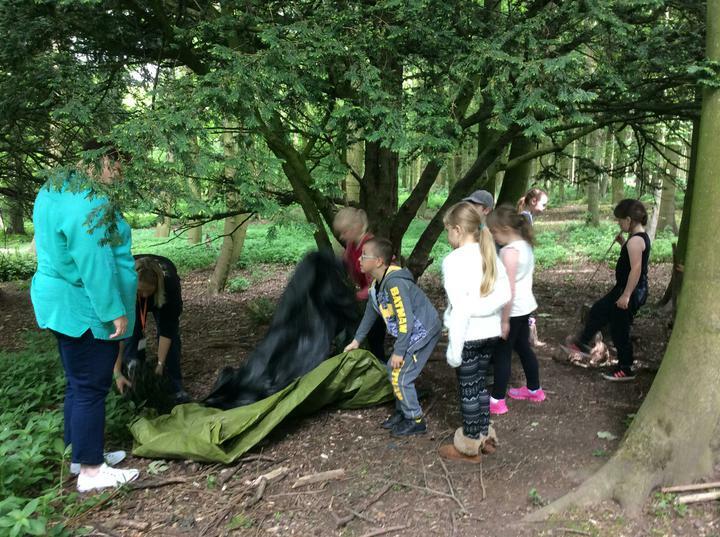 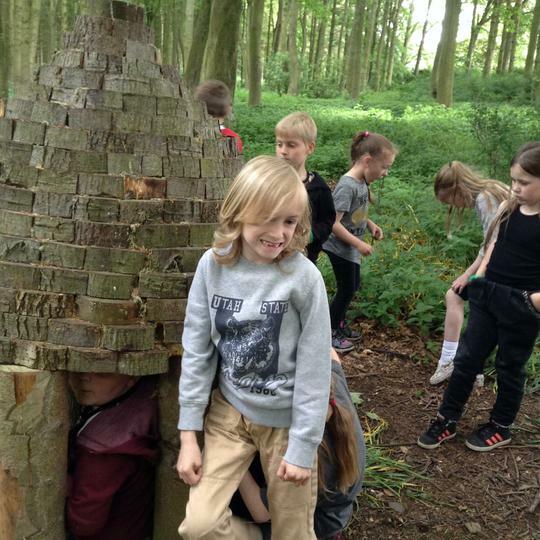 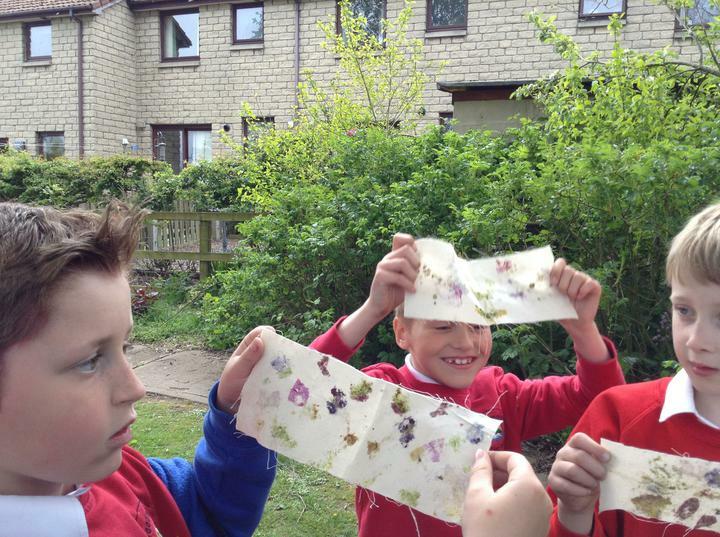 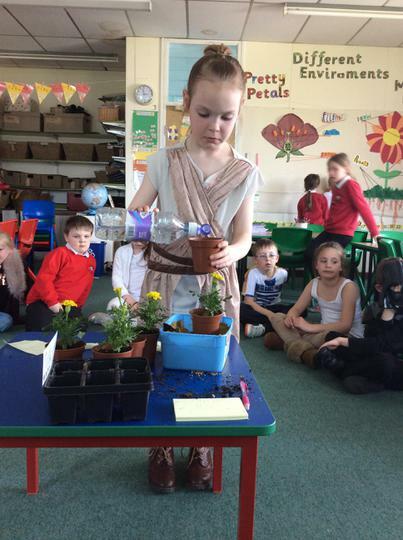 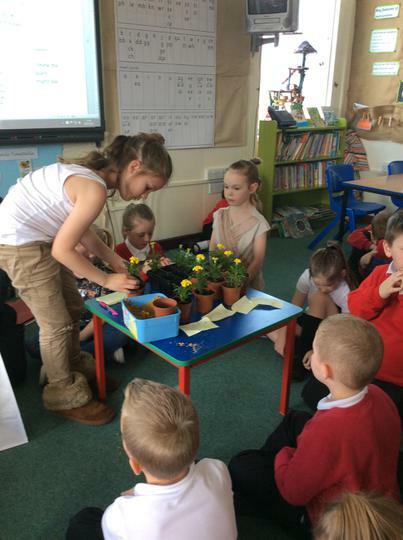 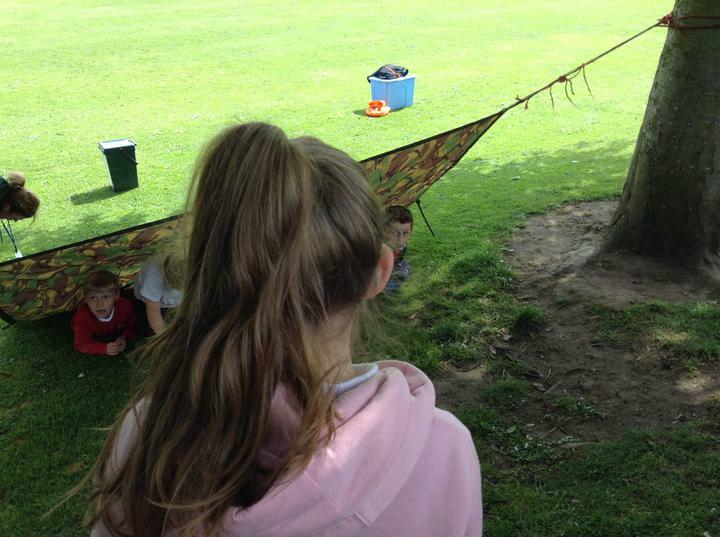 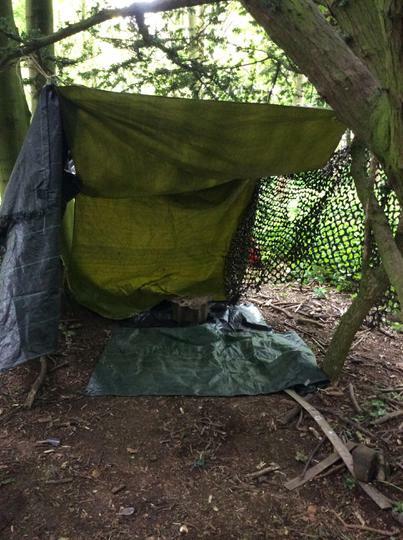 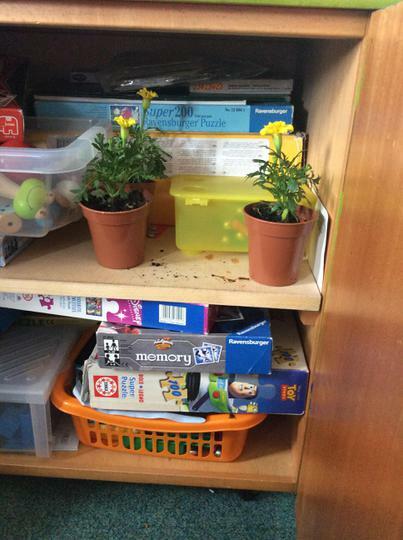 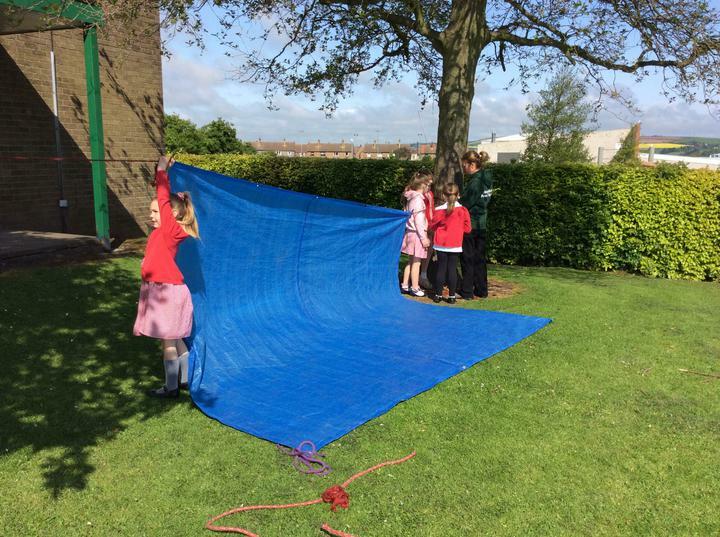 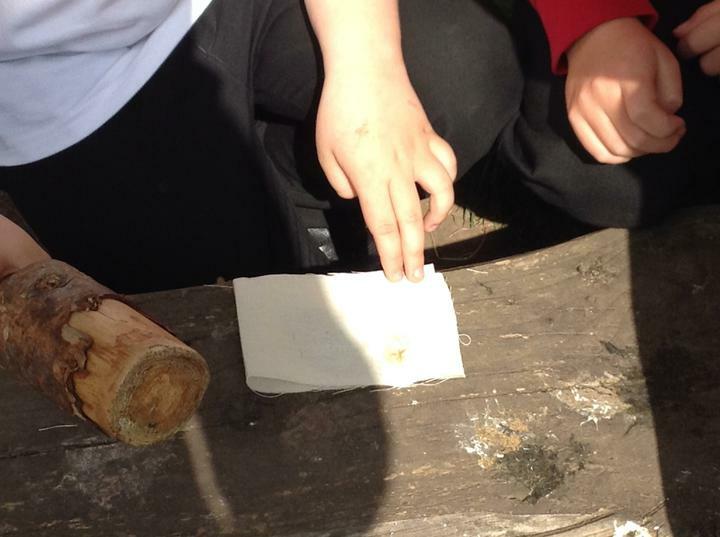 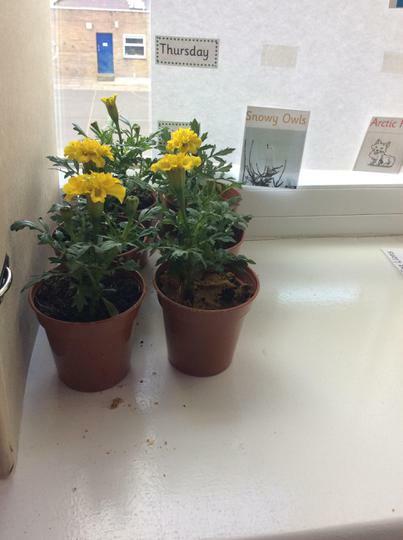 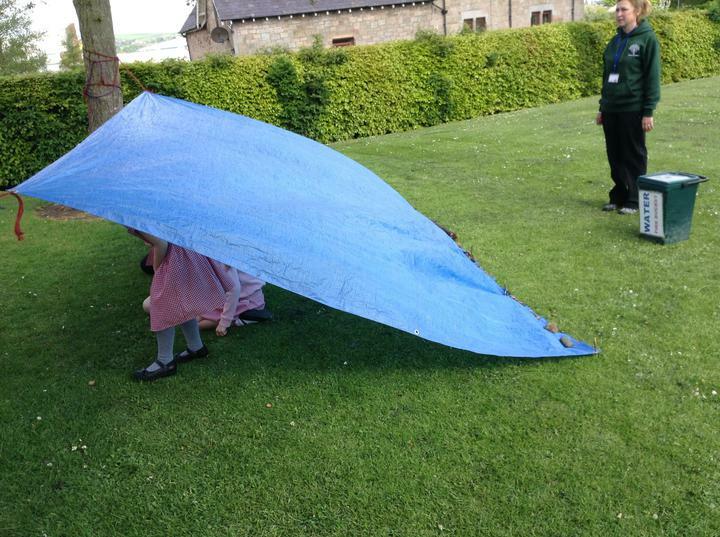 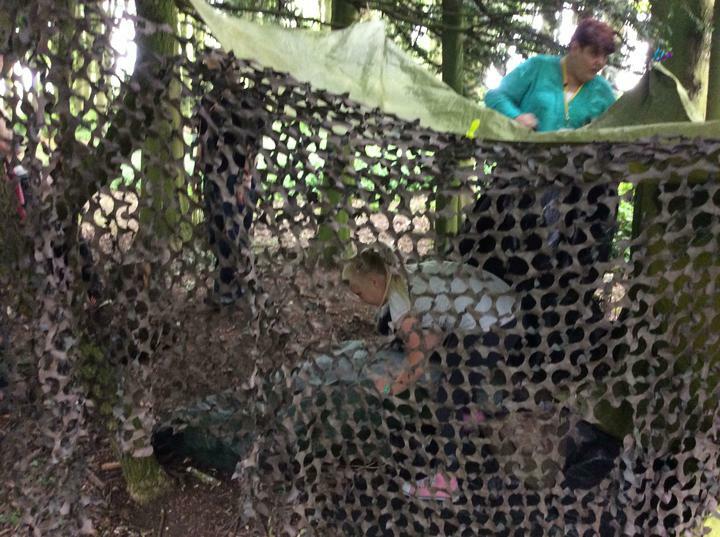 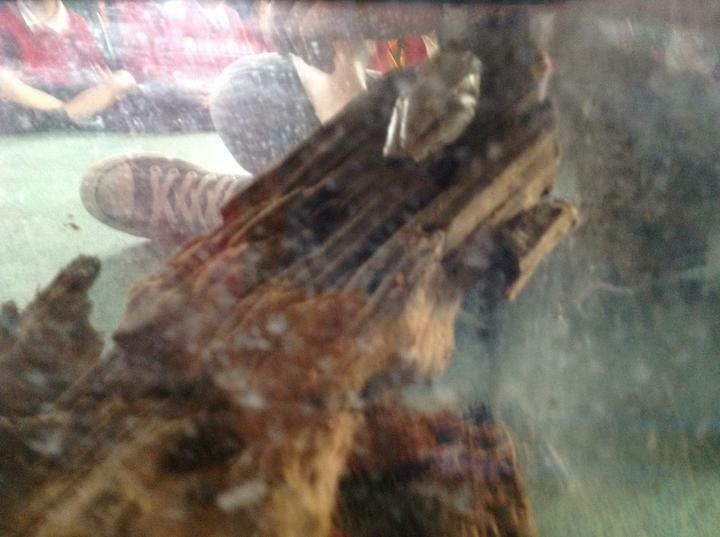 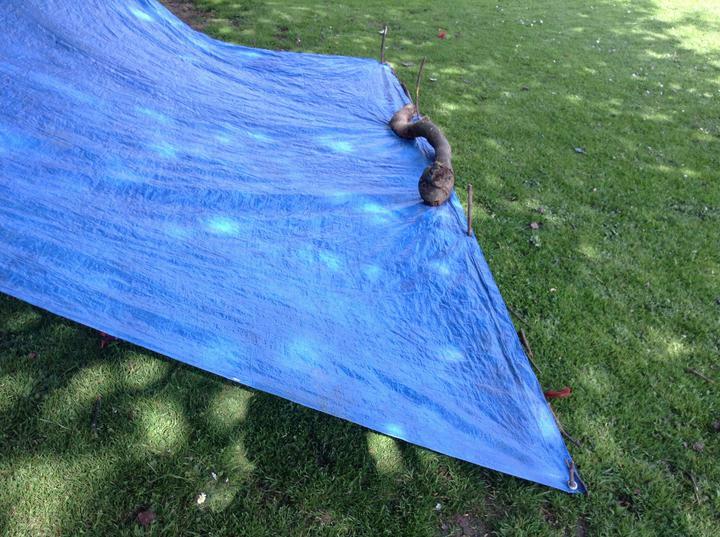 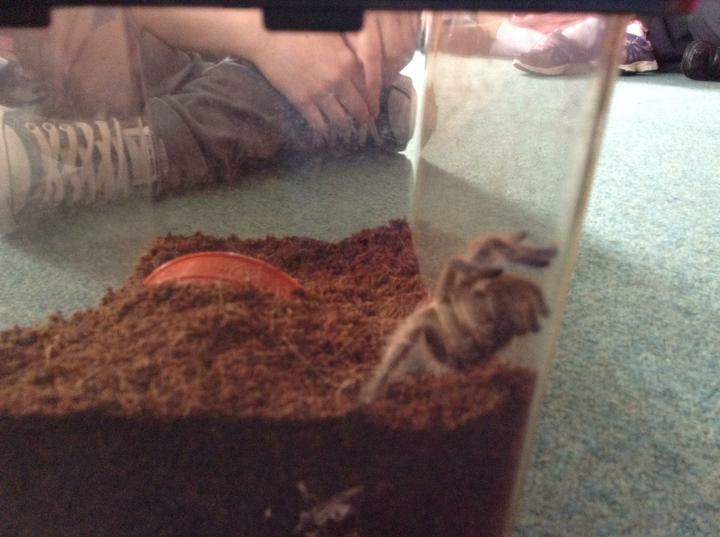 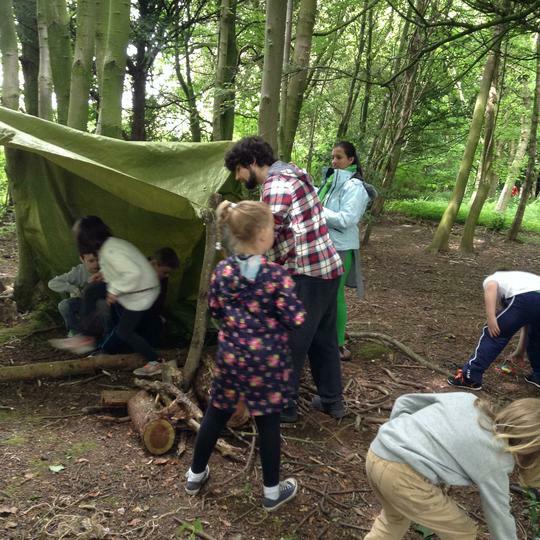 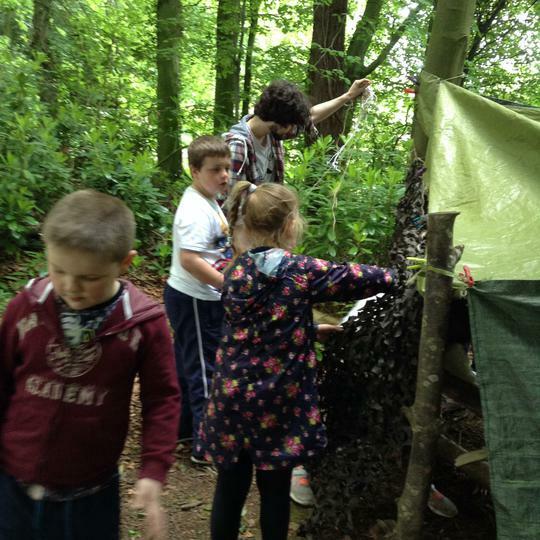 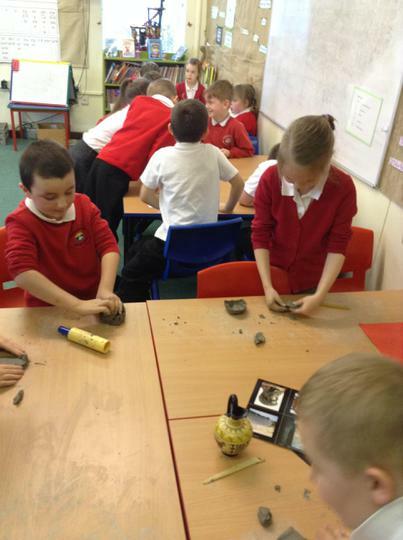 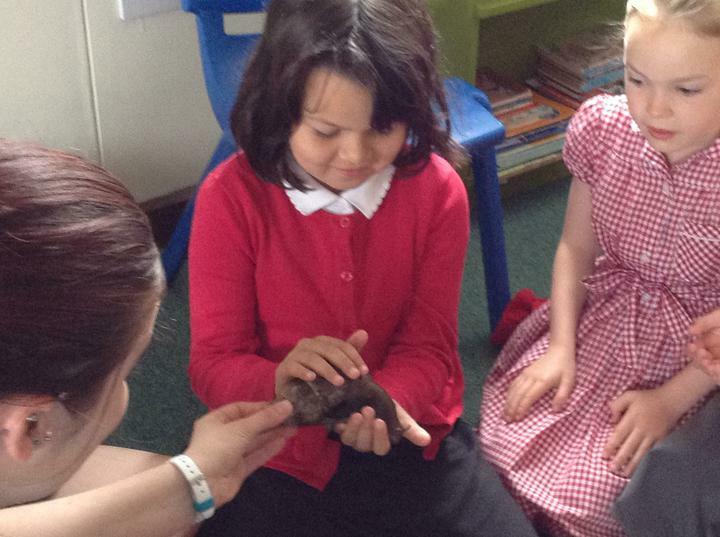 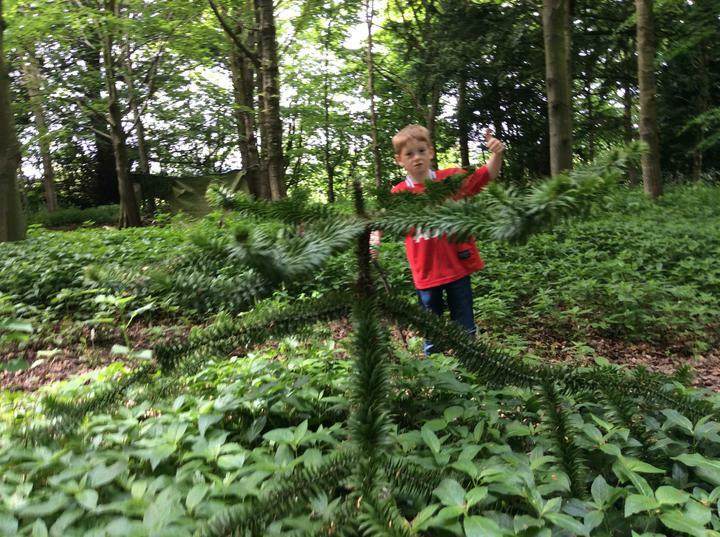 As part of our topic: Different Environments we have been learning about the best conditions for plants to live in. 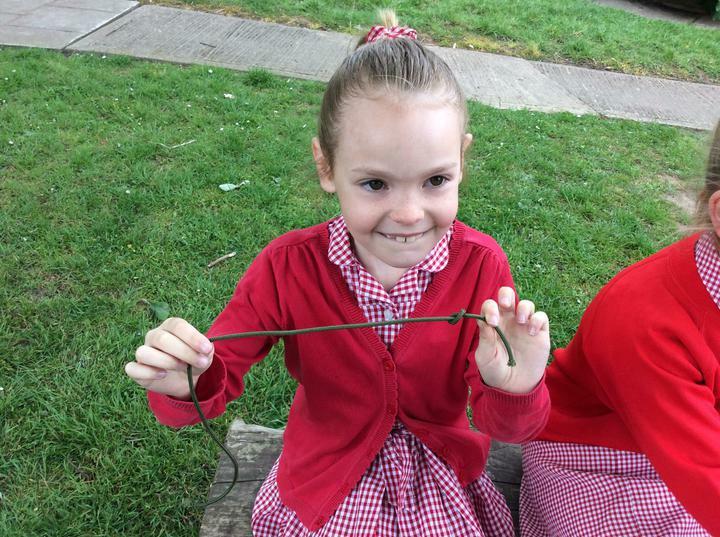 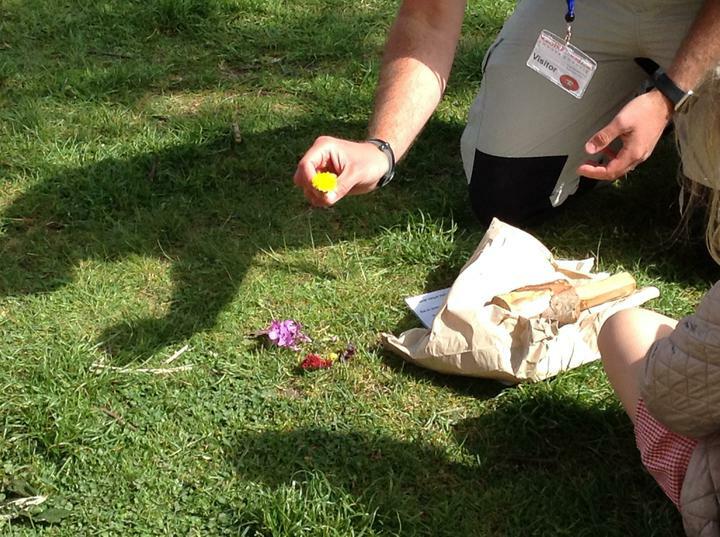 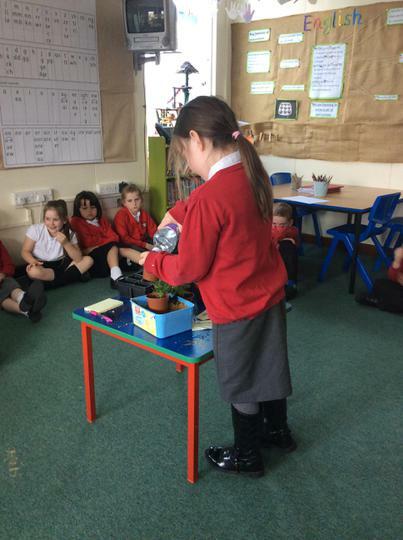 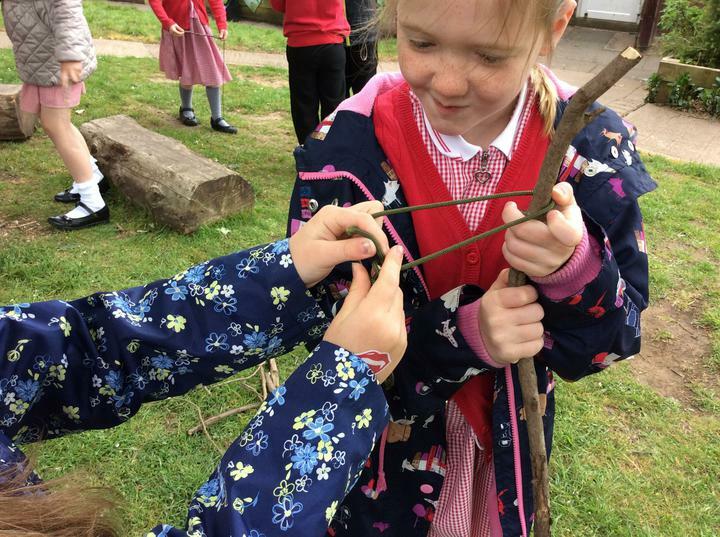 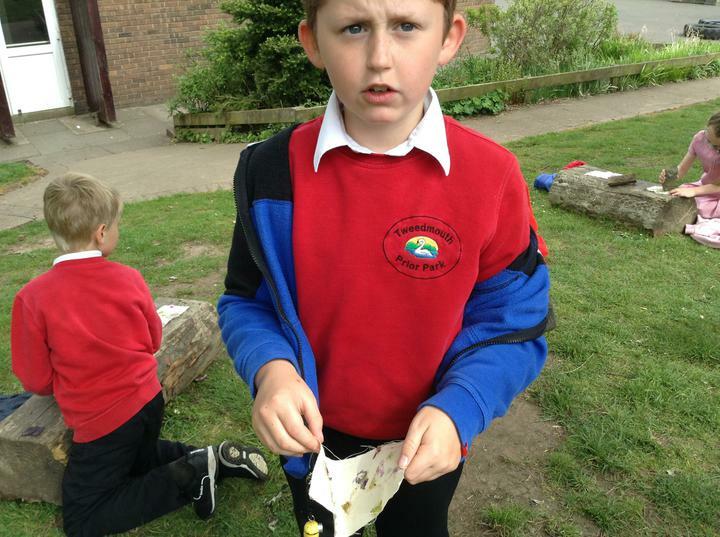 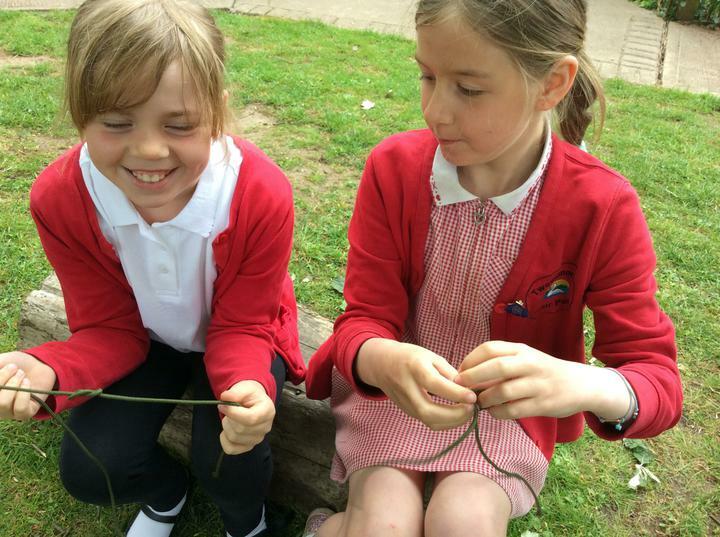 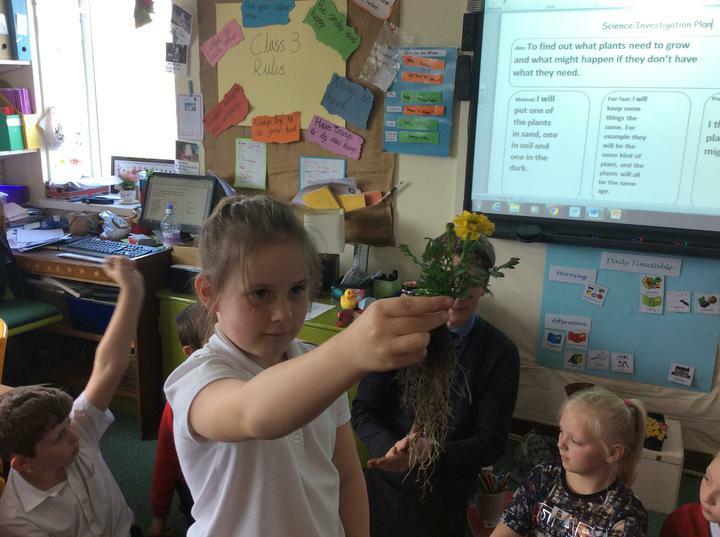 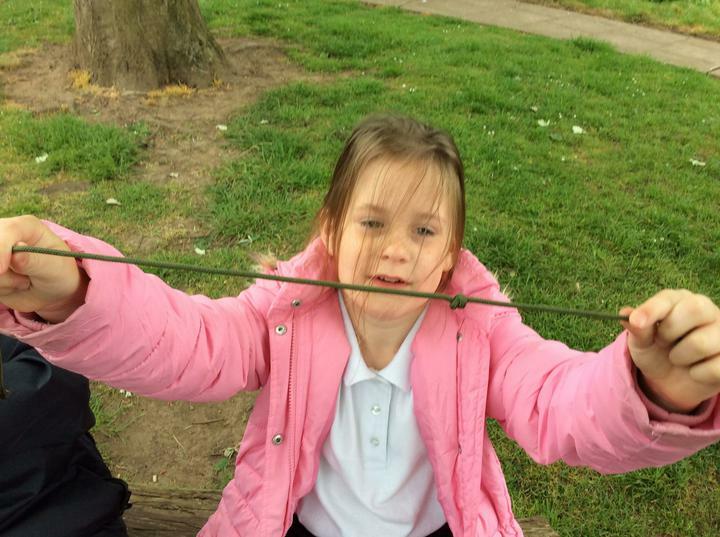 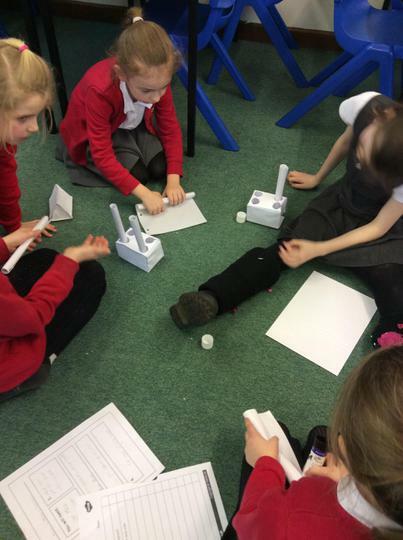 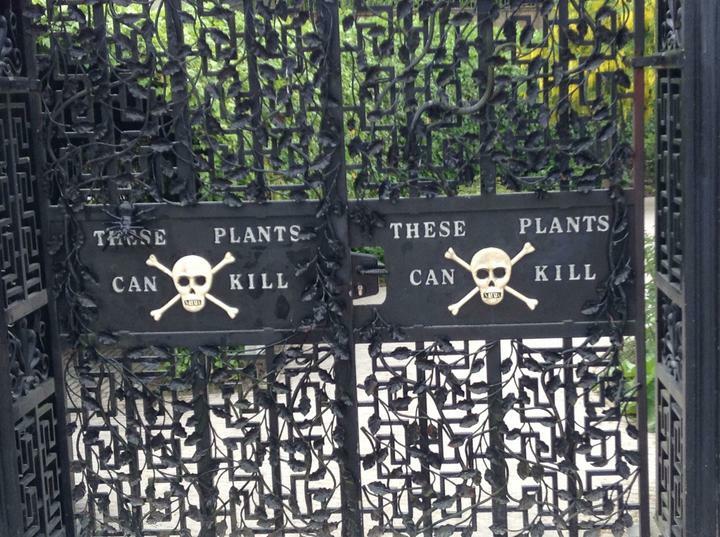 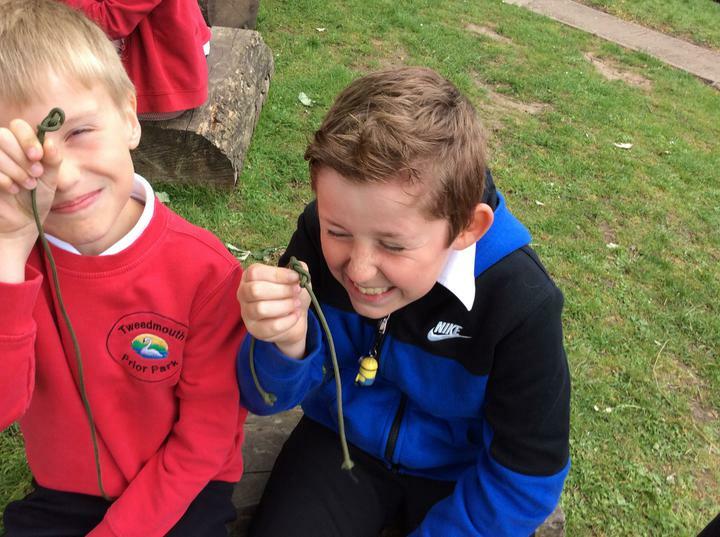 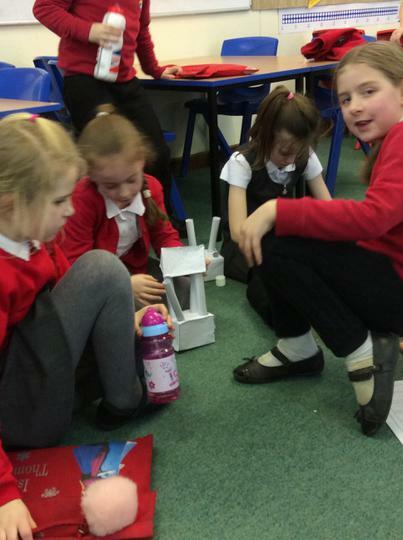 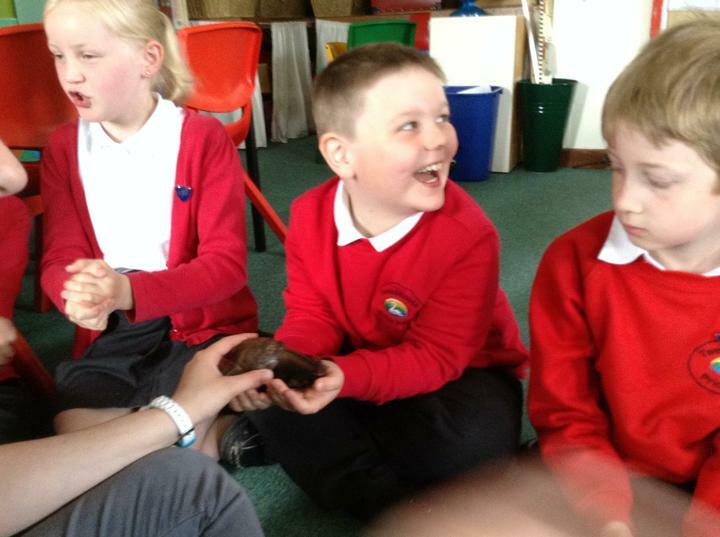 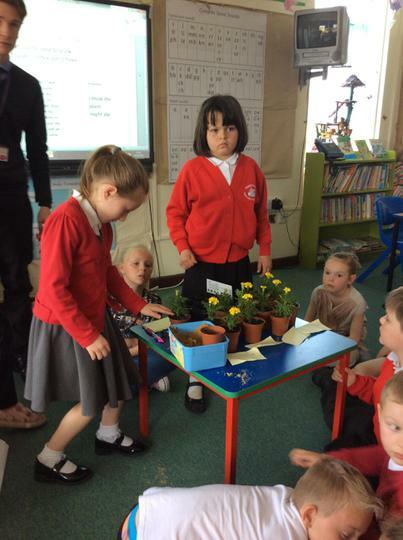 We decided to work scientifically and find out what happens to plants when they don't get everything they need. 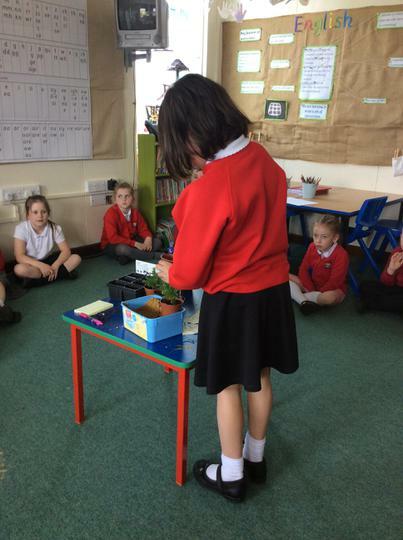 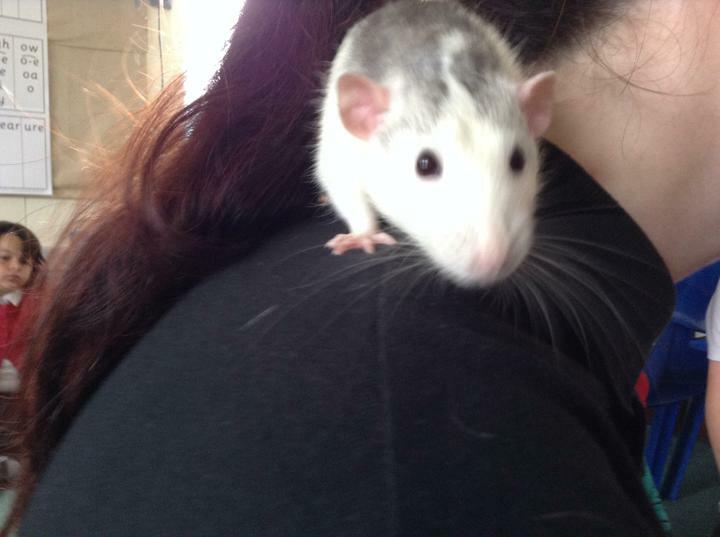 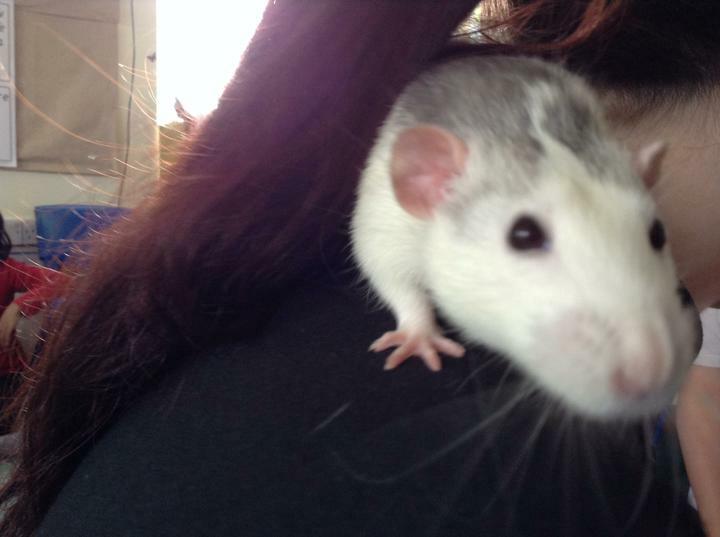 We will let you all know how the experiment goes. 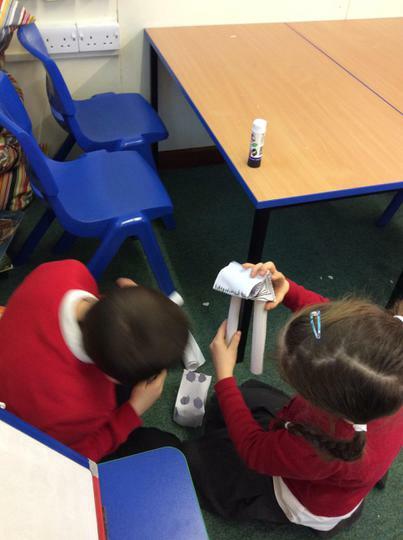 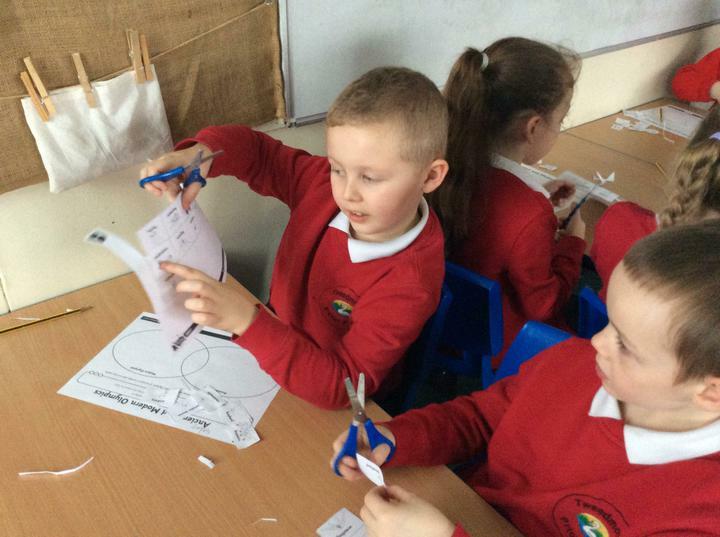 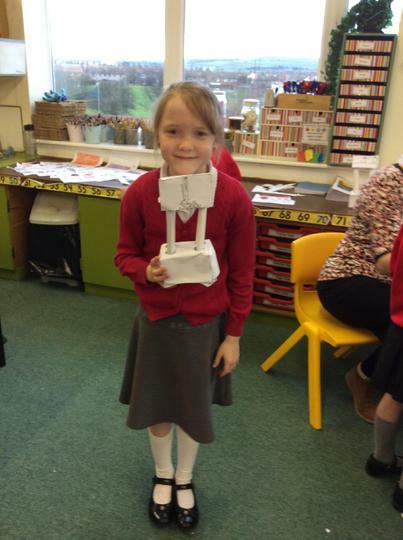 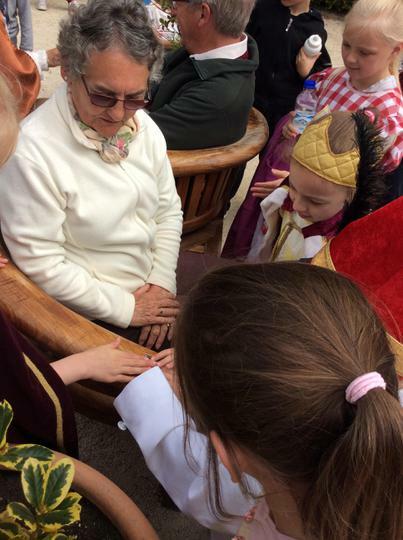 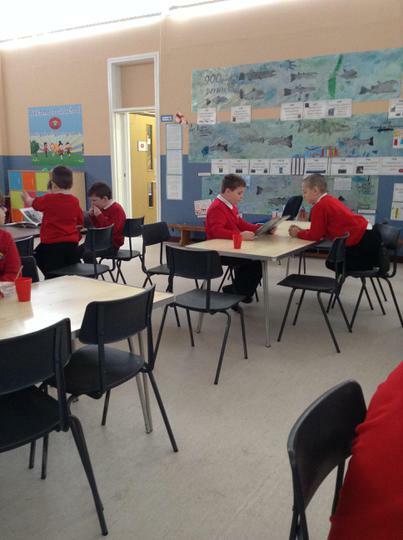 Class Three have spent Holy Week reading from the Bible, making puppets and videoing our work. 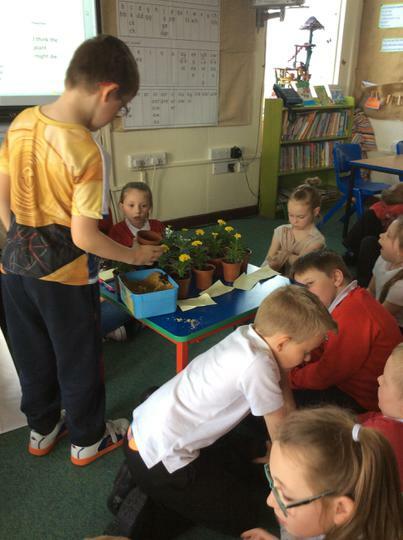 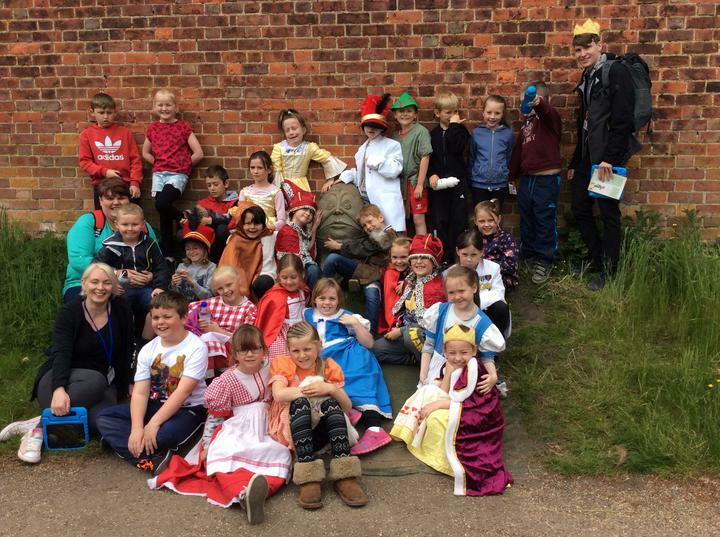 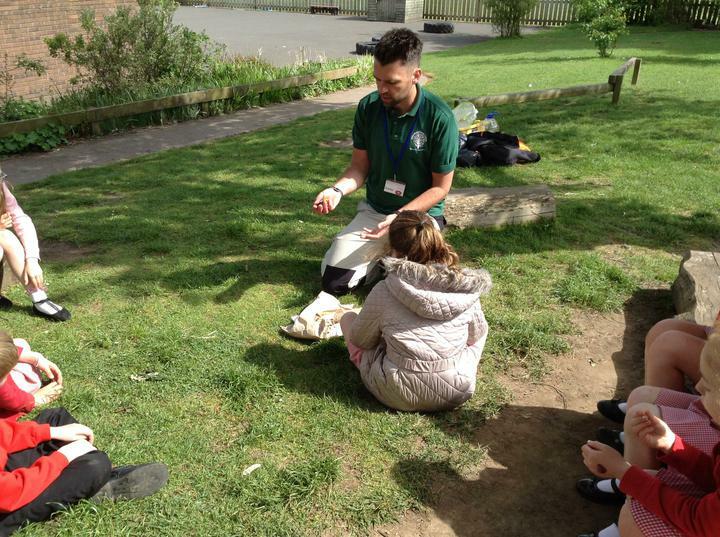 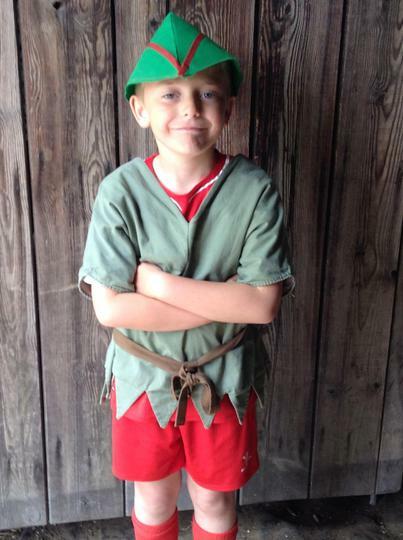 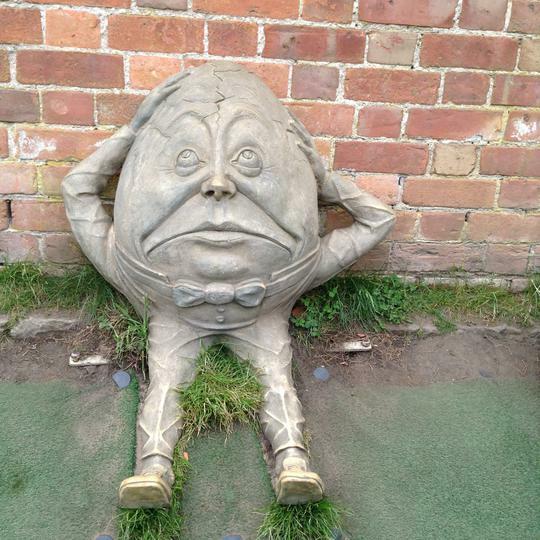 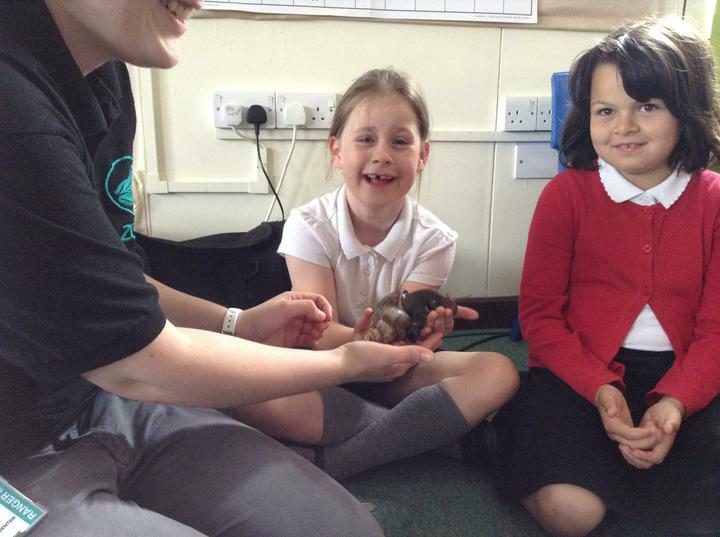 We hope your enjoy the Easter Story and have a great break. 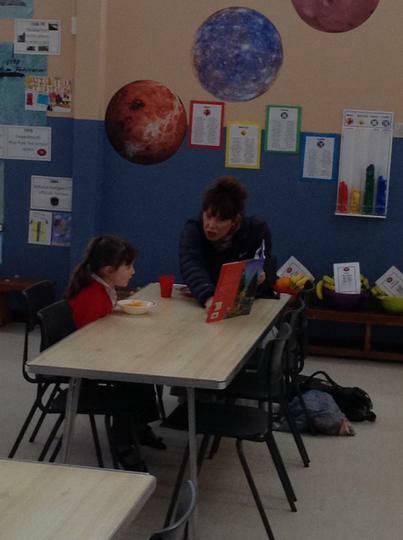 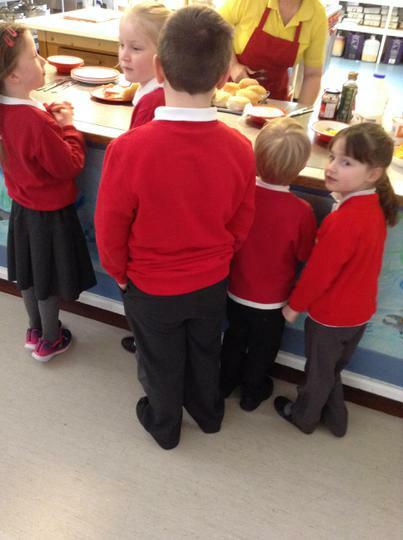 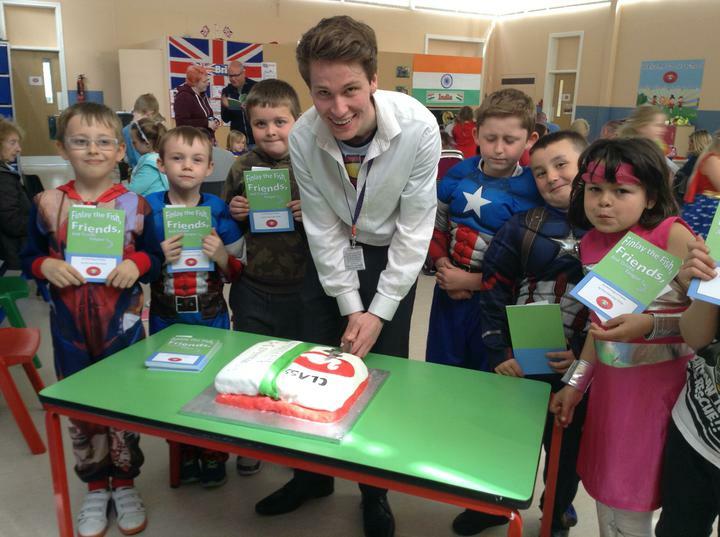 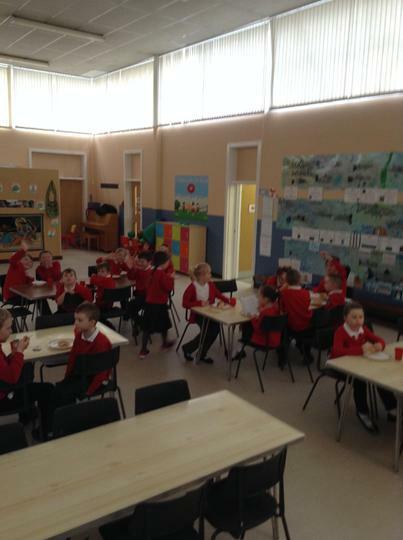 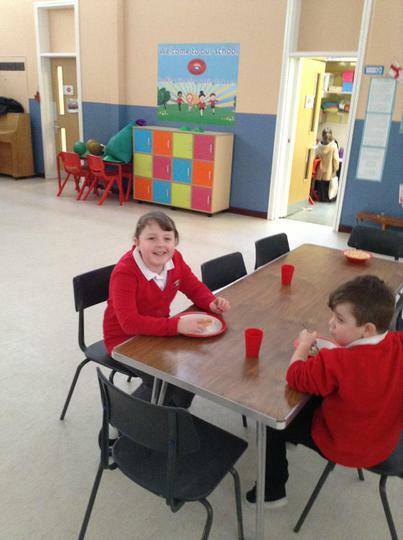 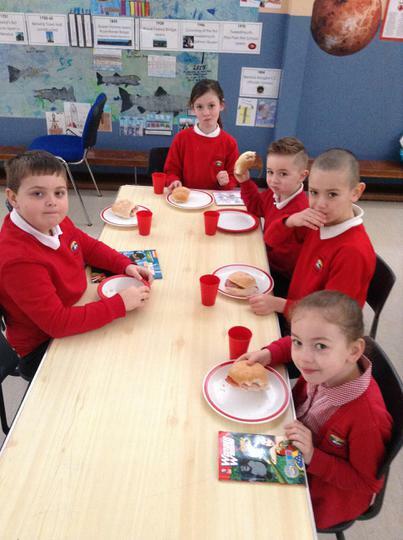 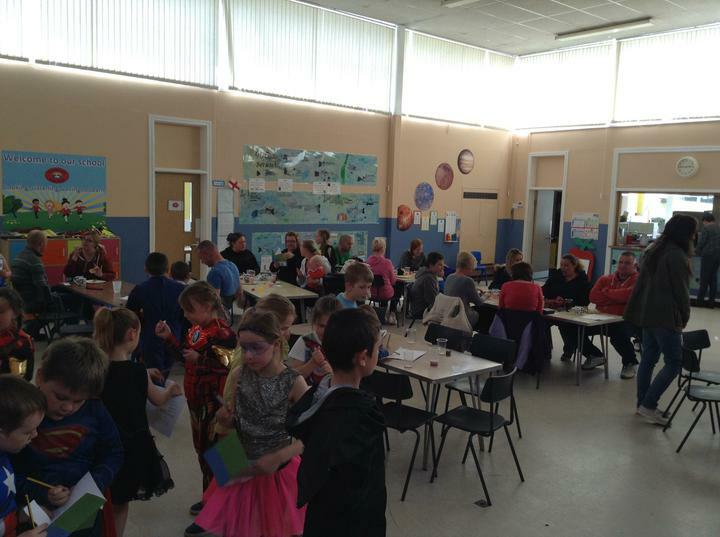 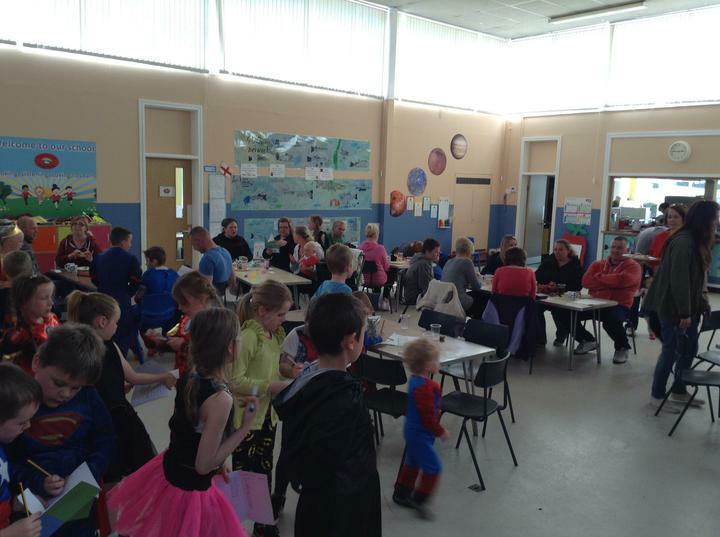 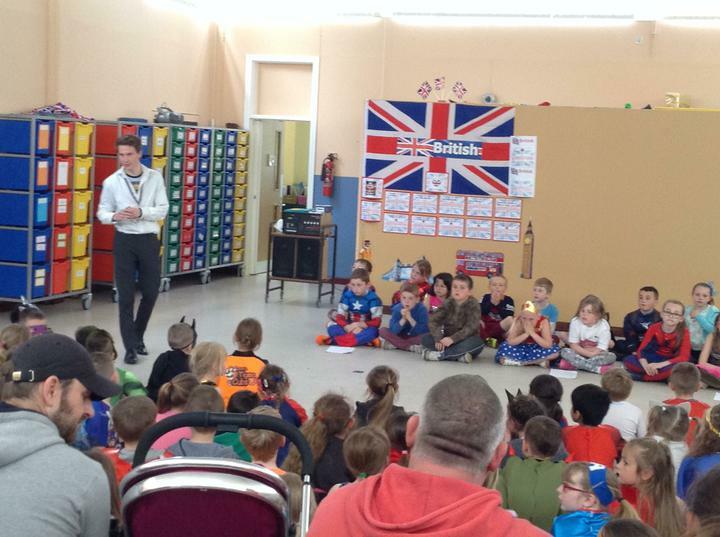 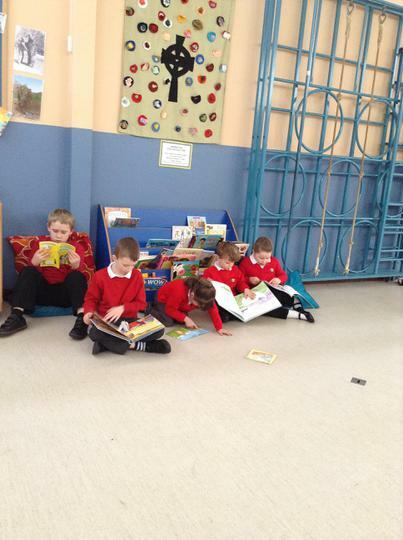 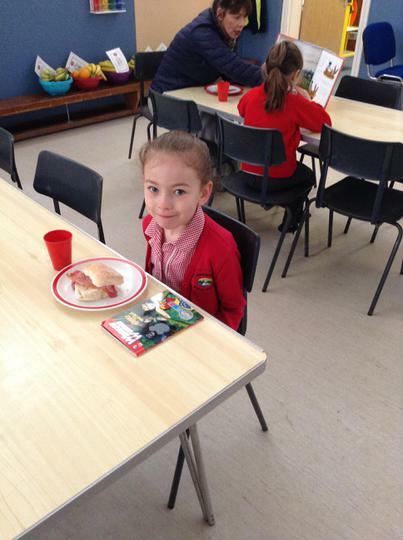 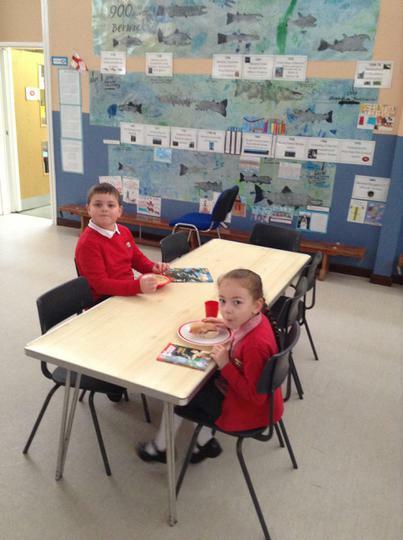 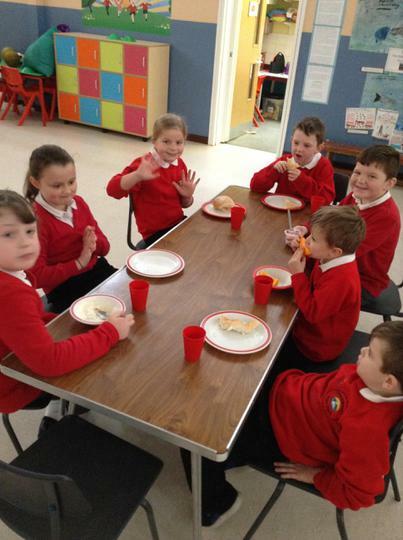 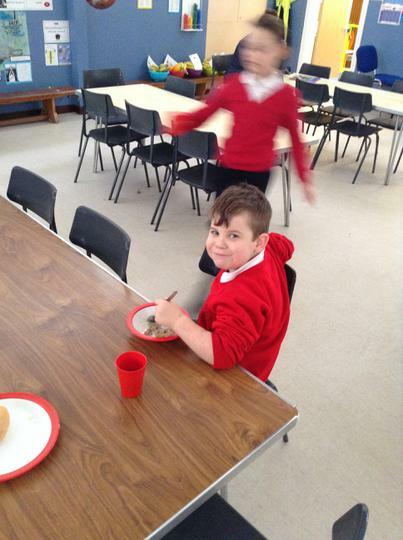 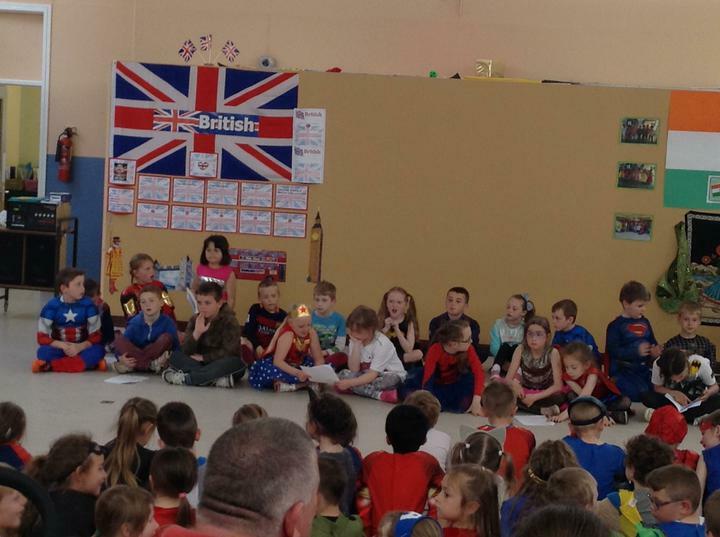 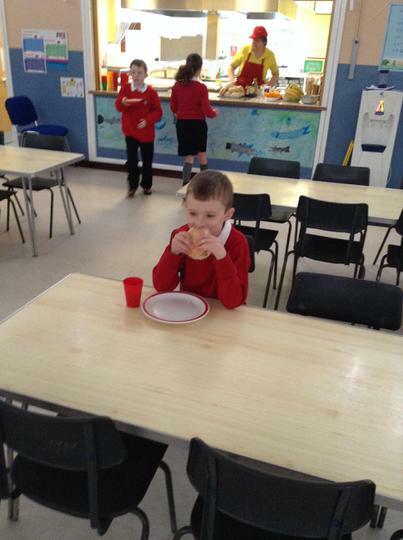 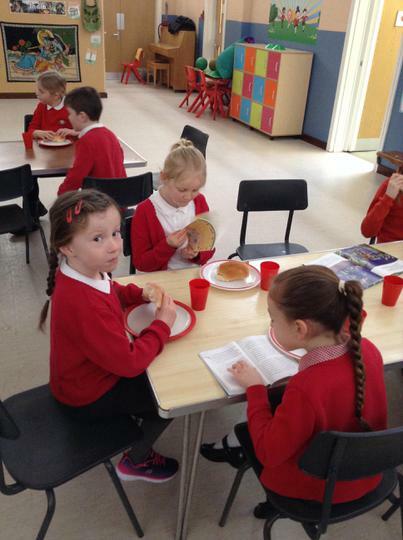 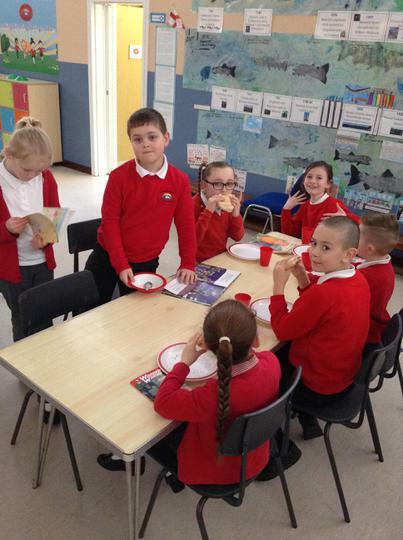 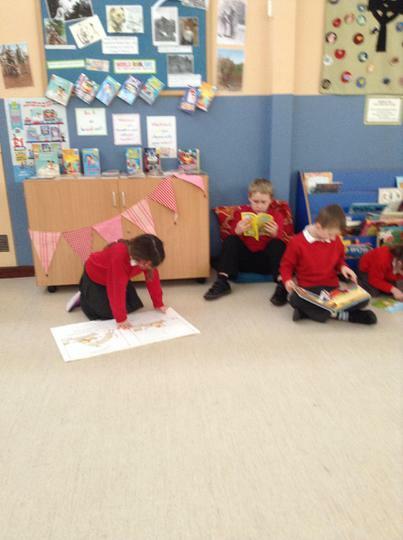 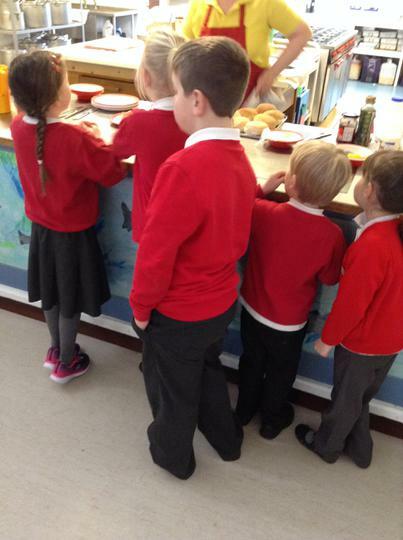 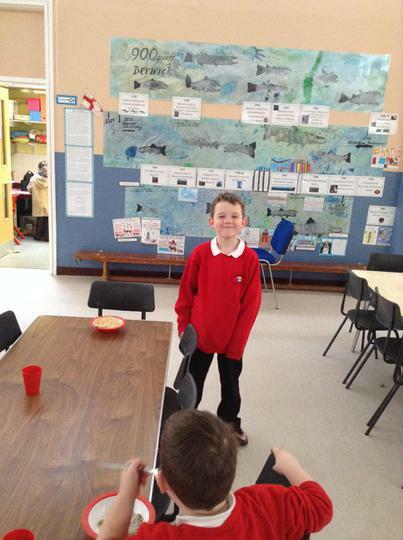 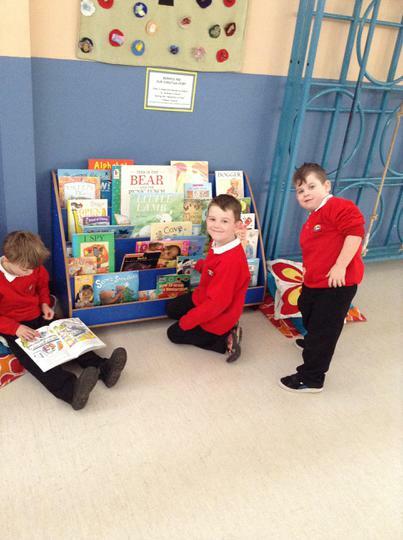 We celebrated World Book Day by bringing a book to breakfast. 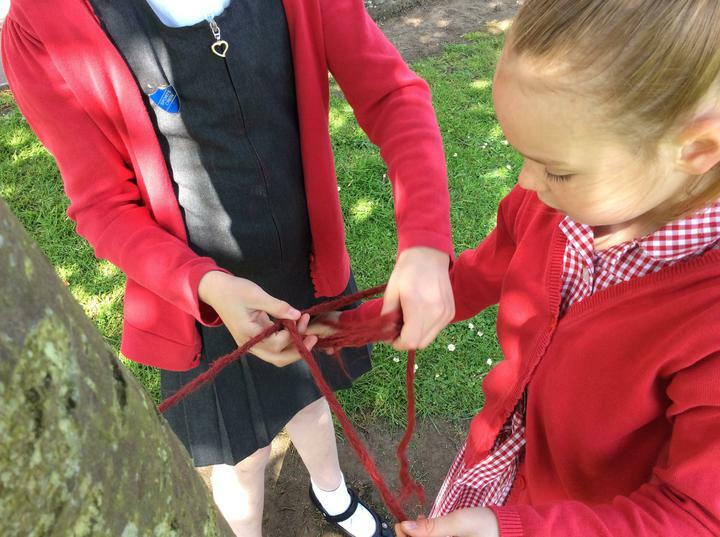 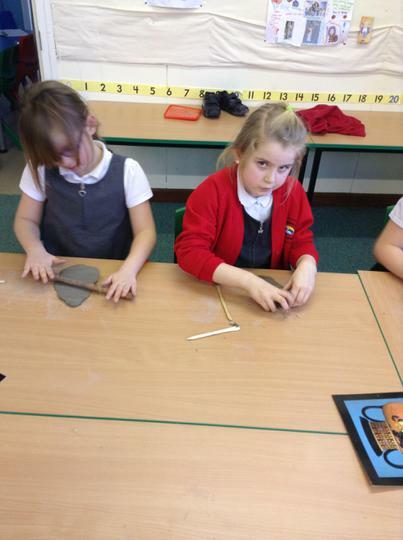 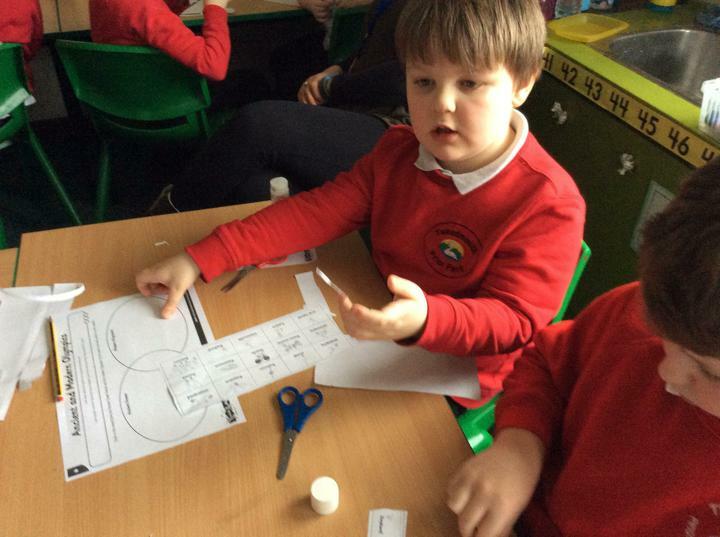 We have been learning to identify regular and irregular polygons. 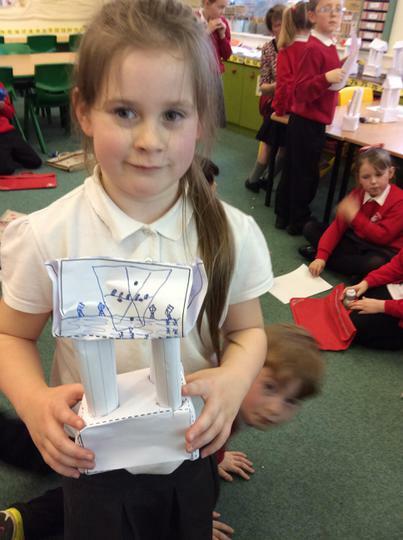 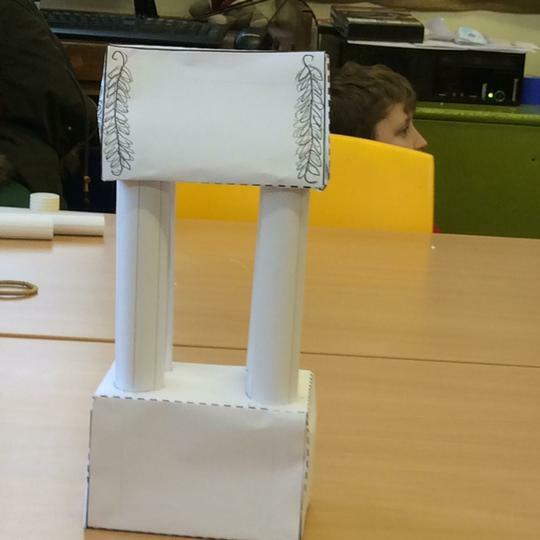 We made a Greek Temple out of 3D shapes. 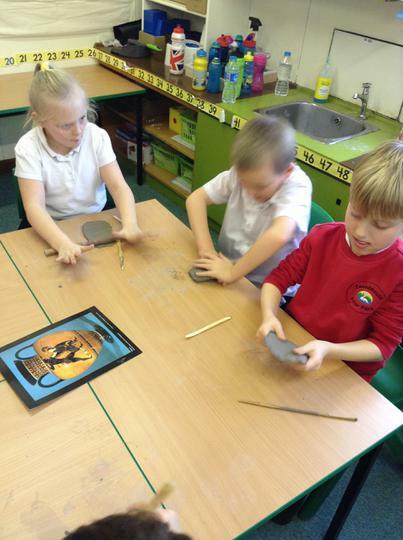 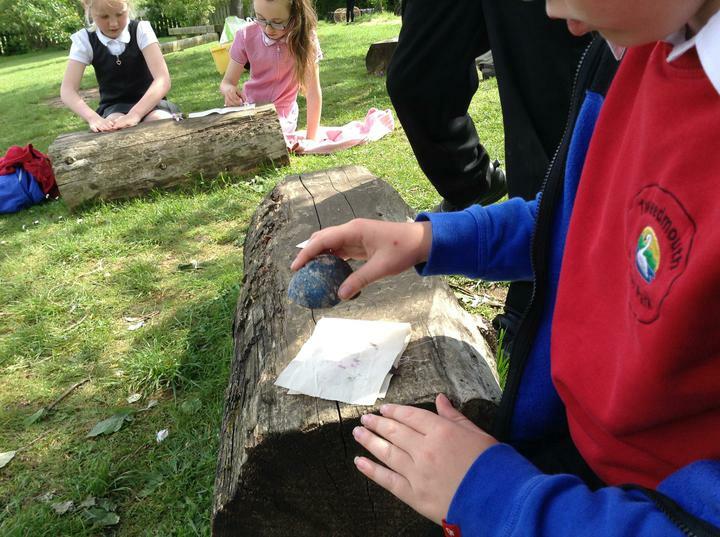 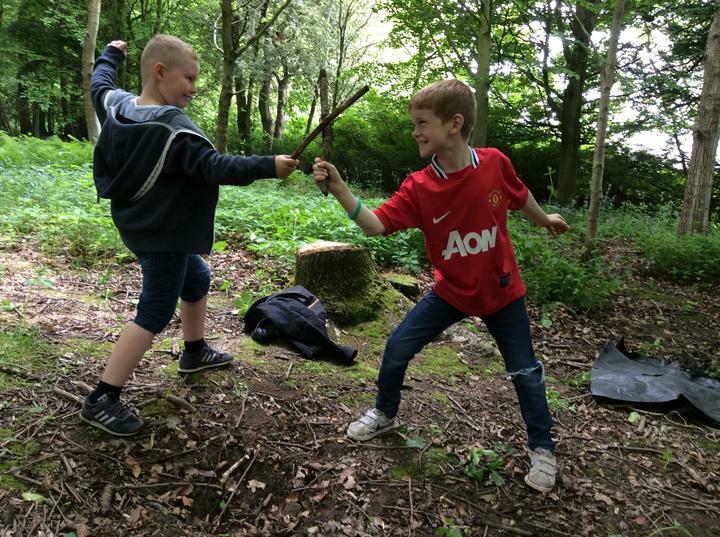 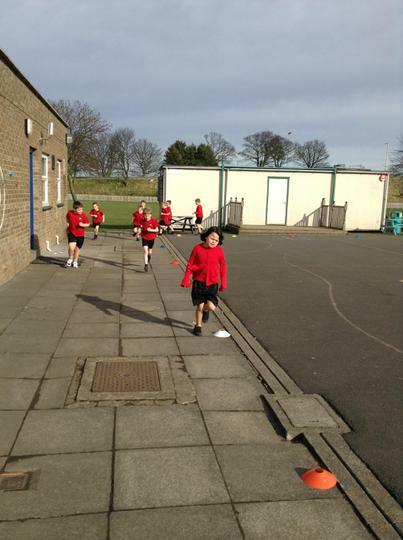 We have been learning to: compare the Ancient and Modern Olympics. 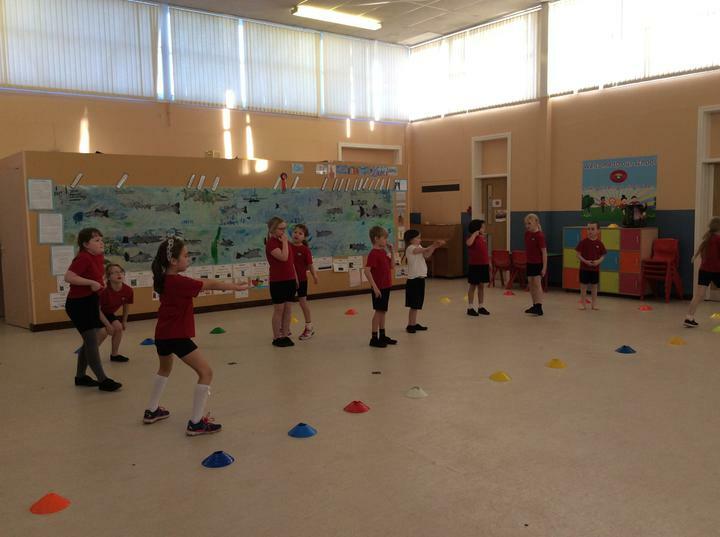 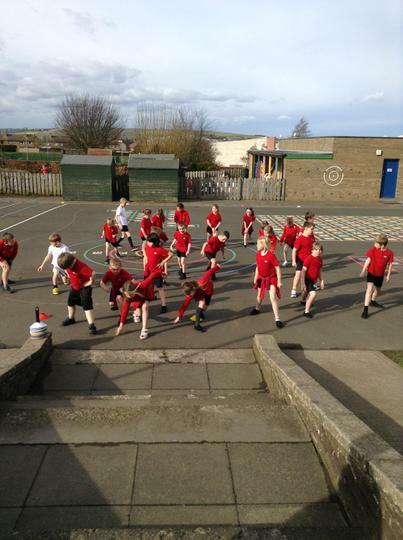 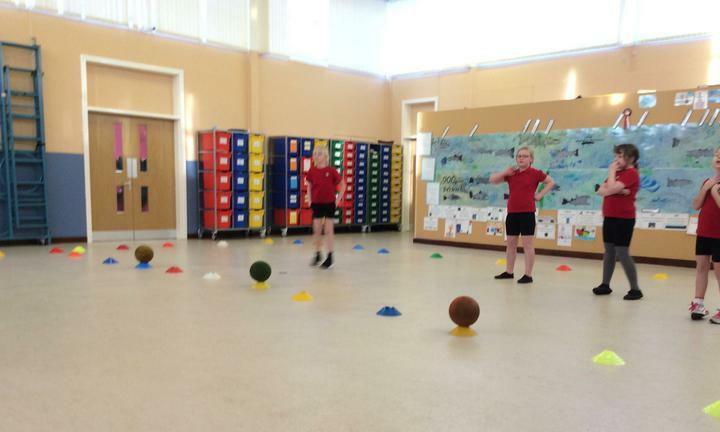 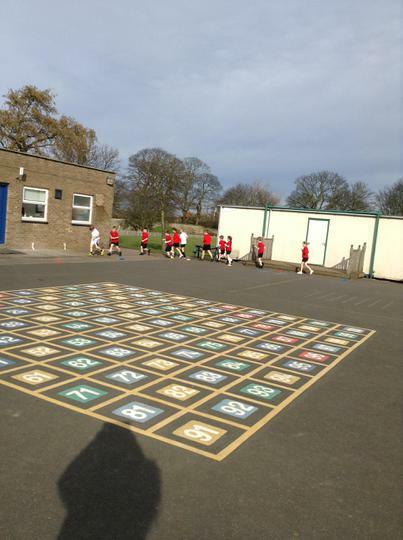 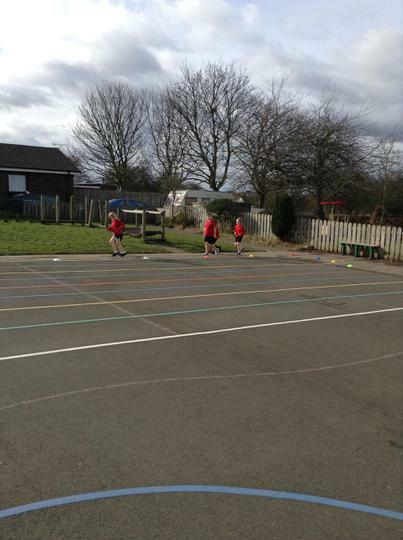 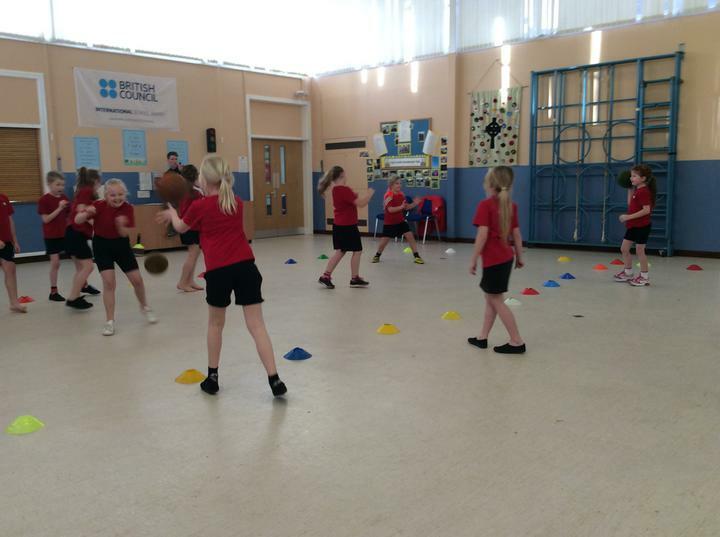 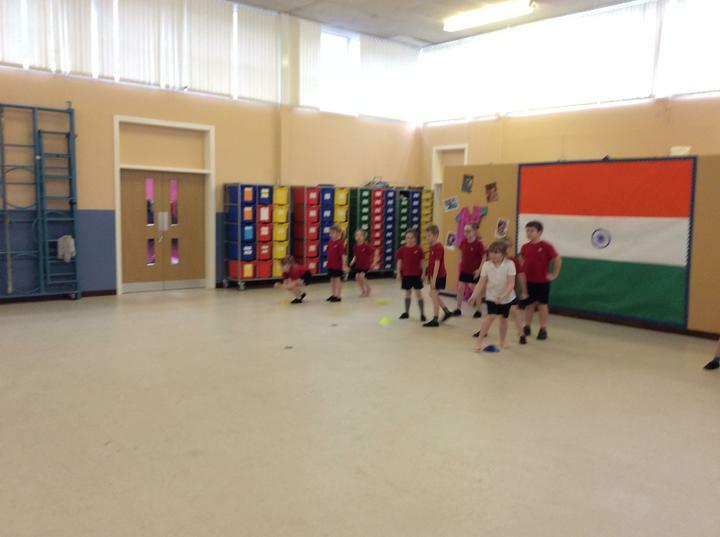 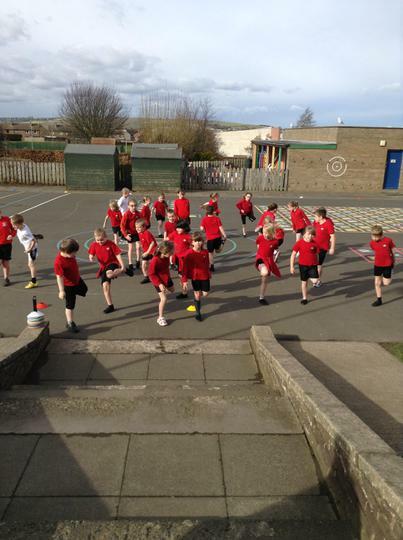 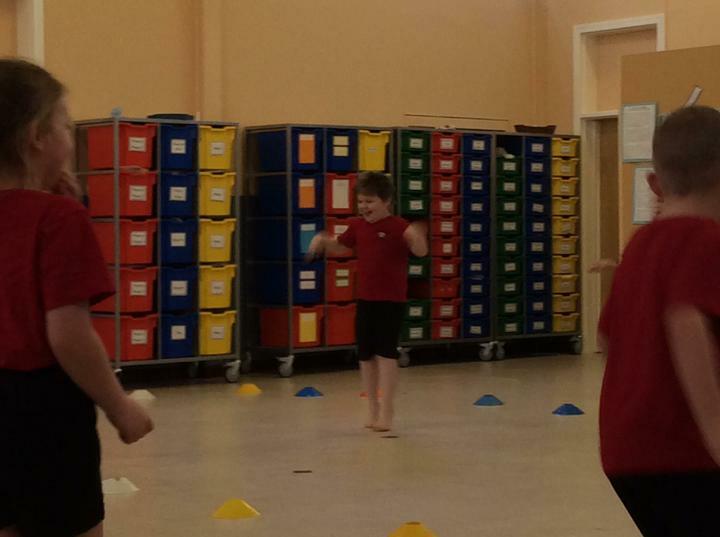 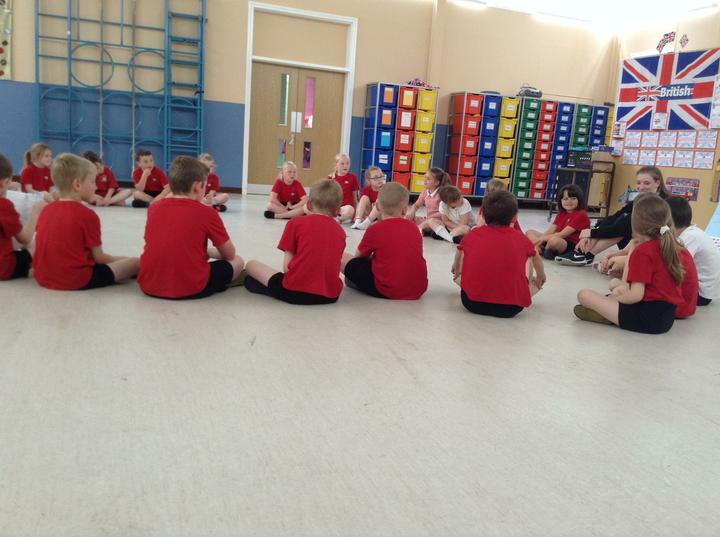 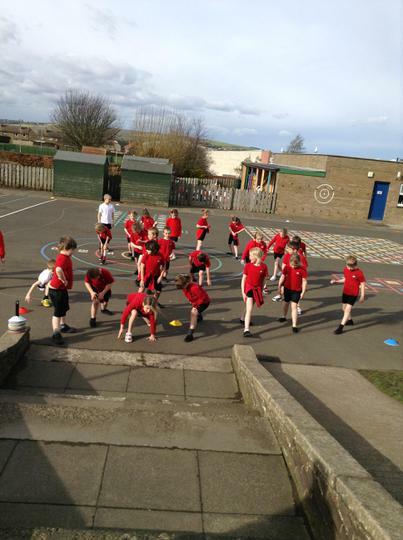 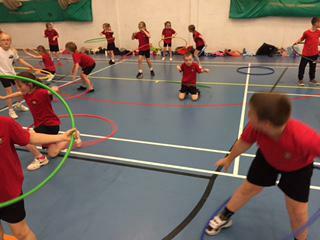 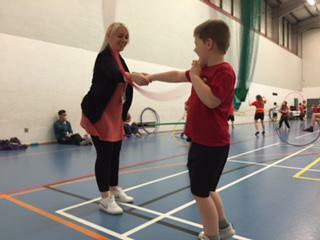 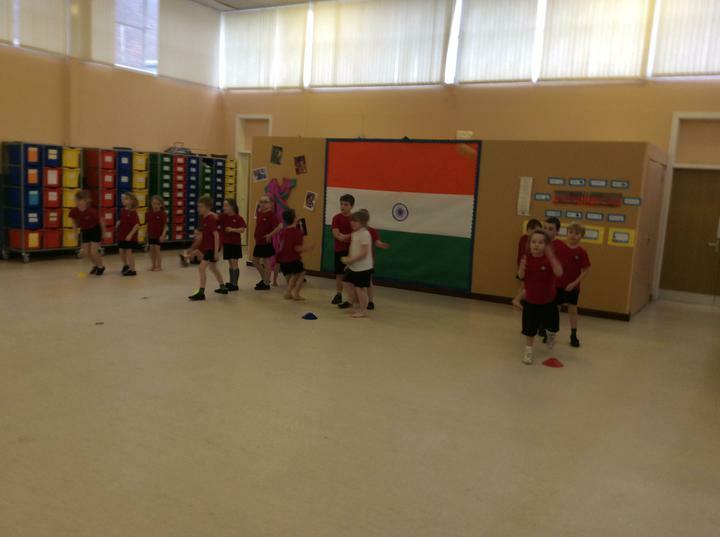 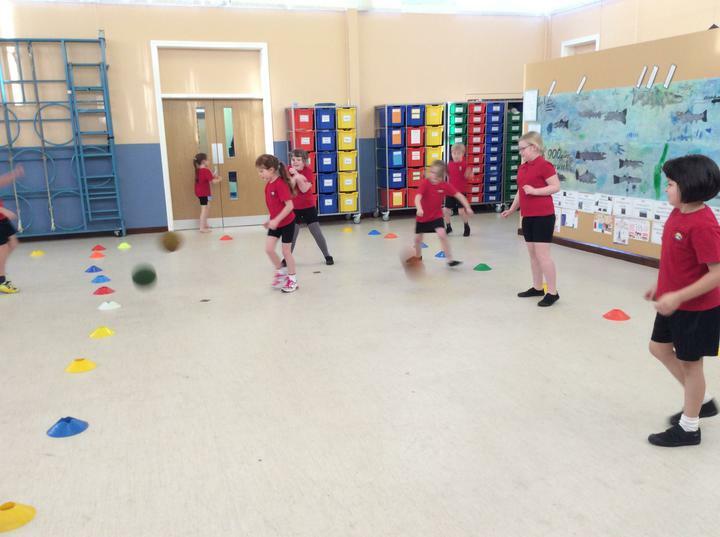 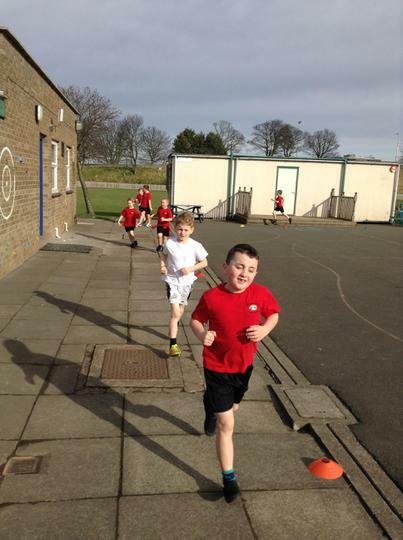 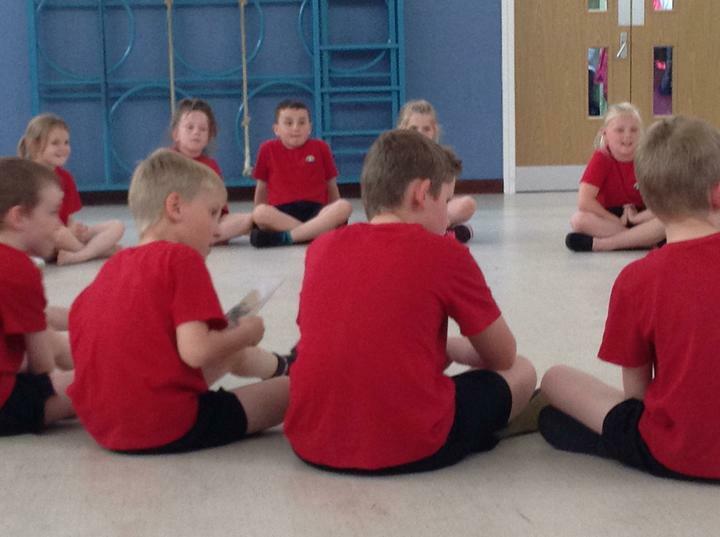 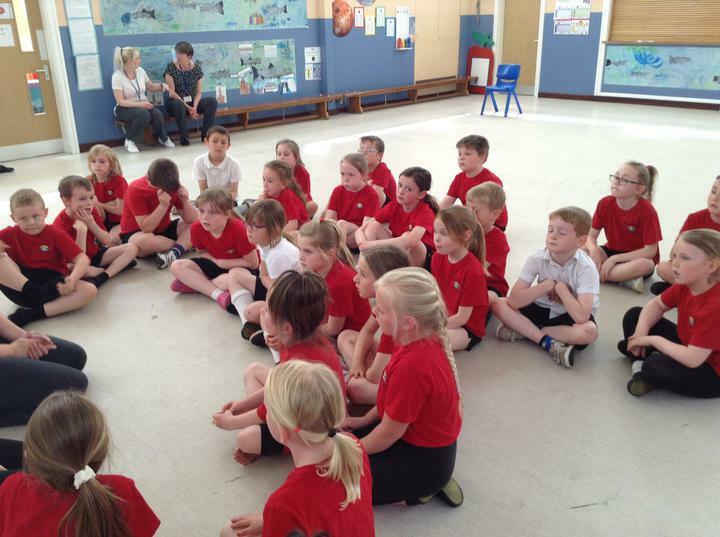 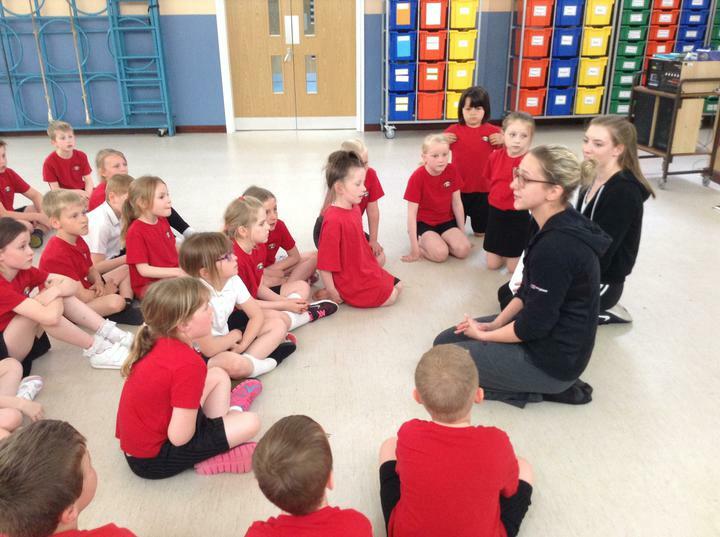 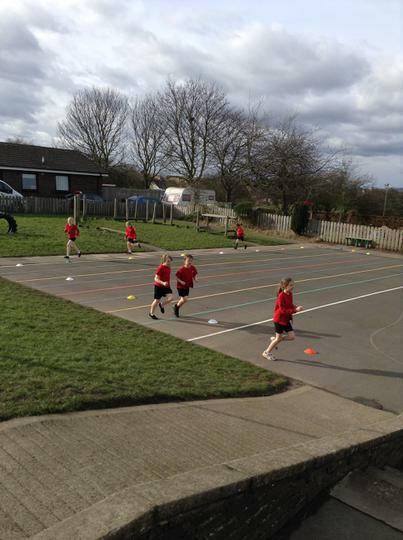 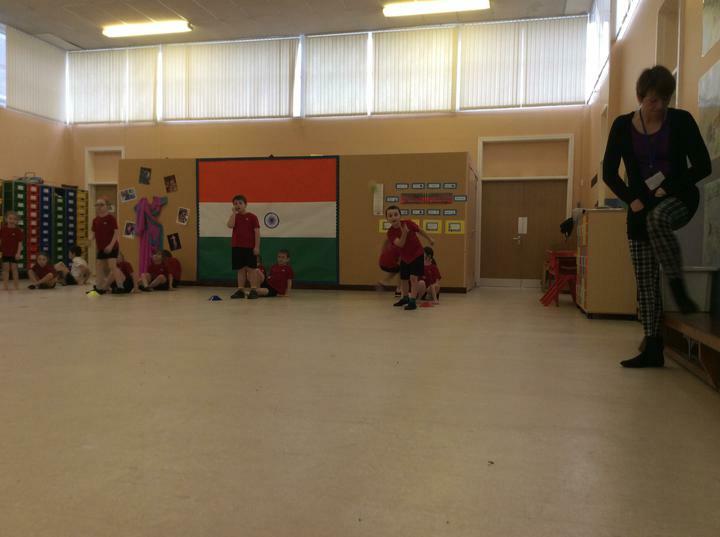 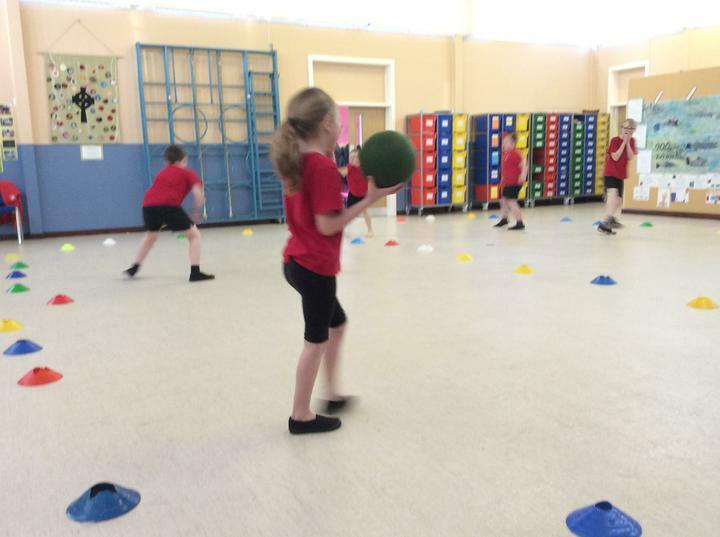 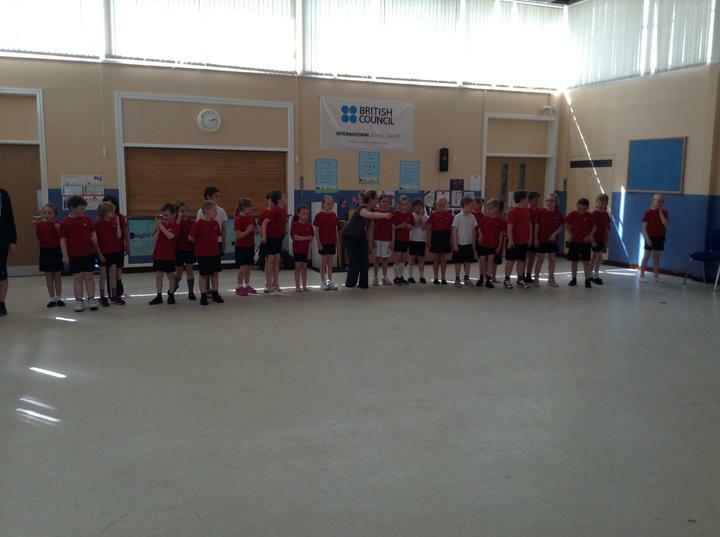 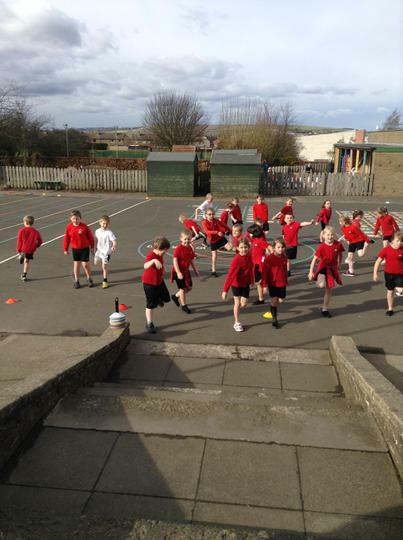 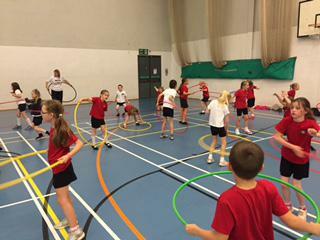 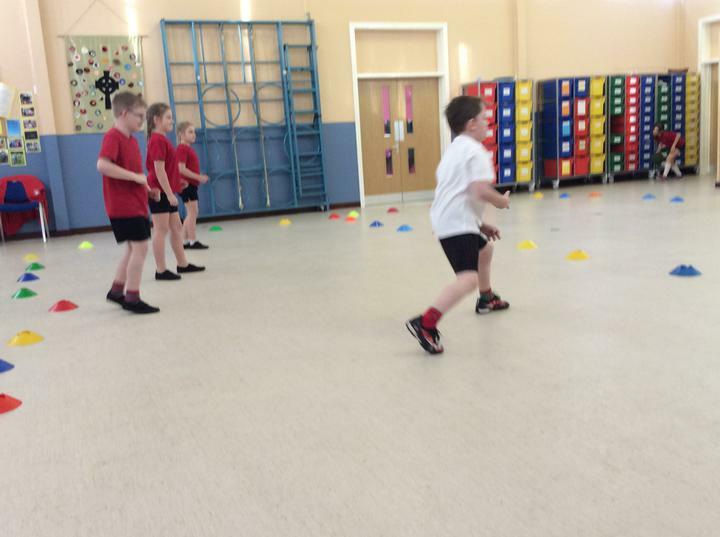 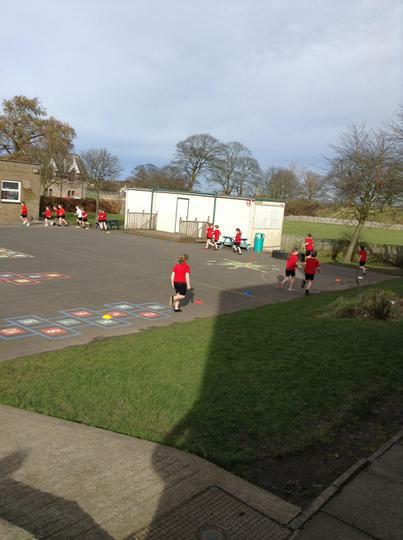 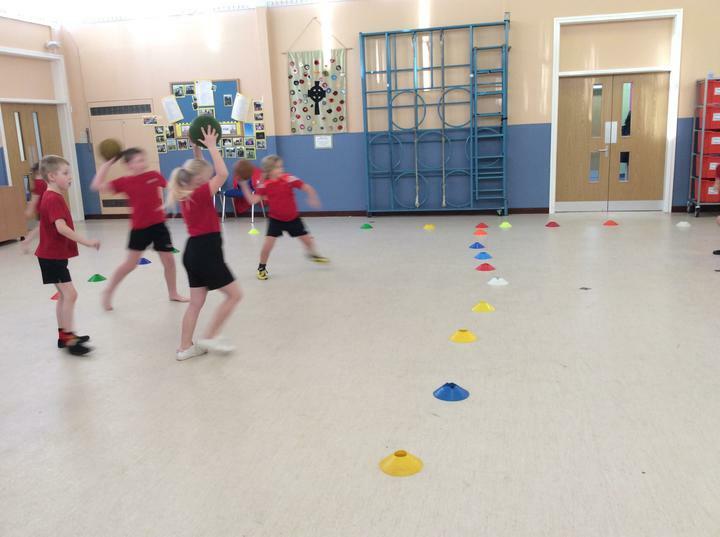 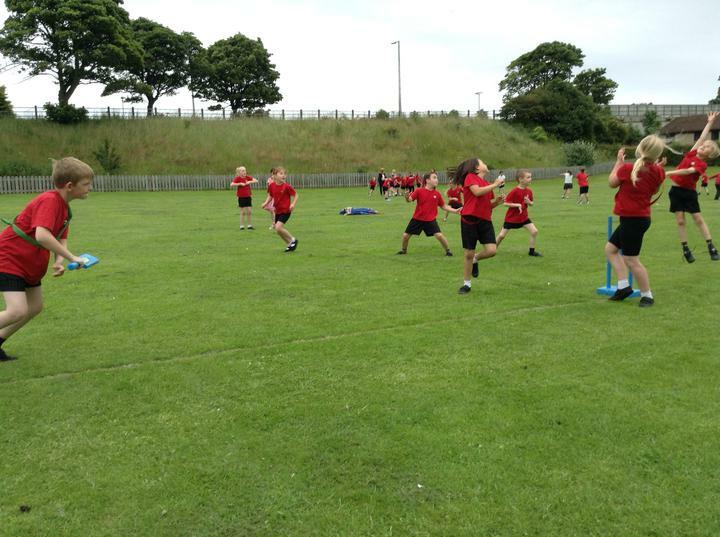 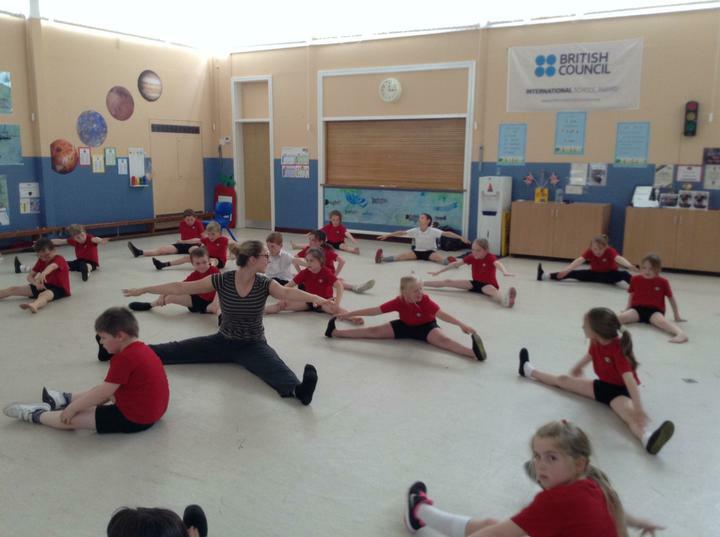 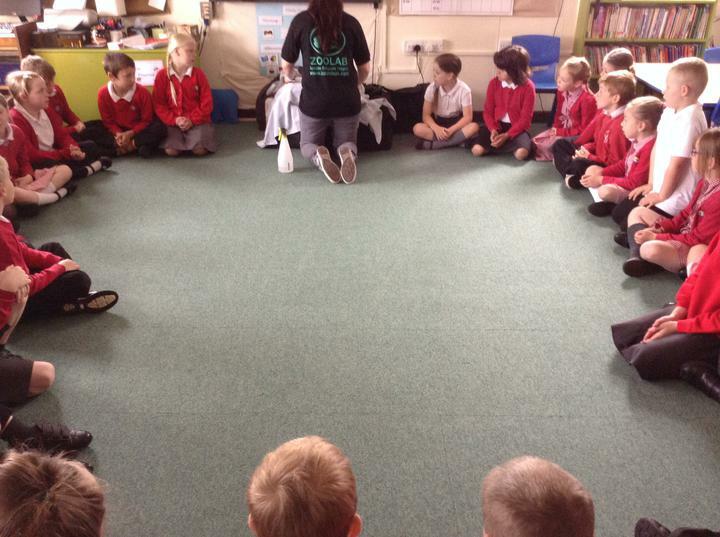 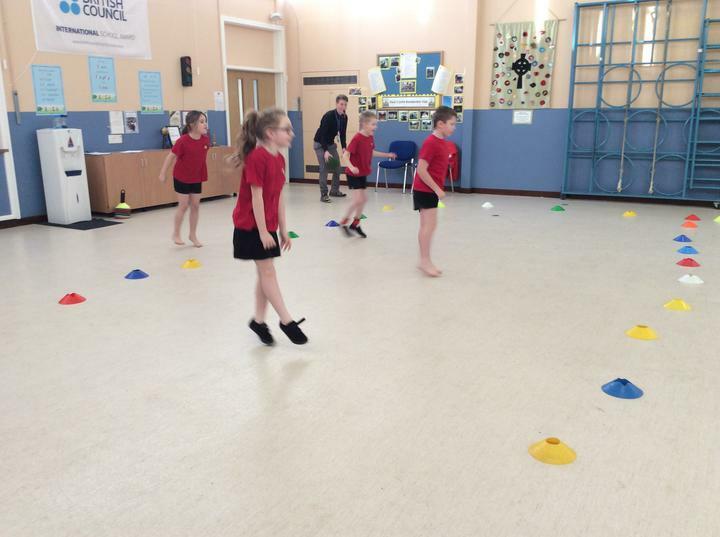 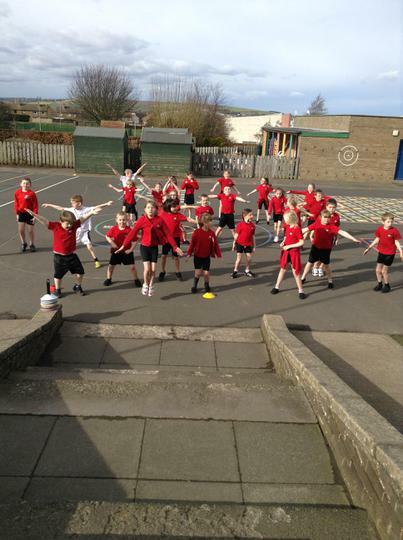 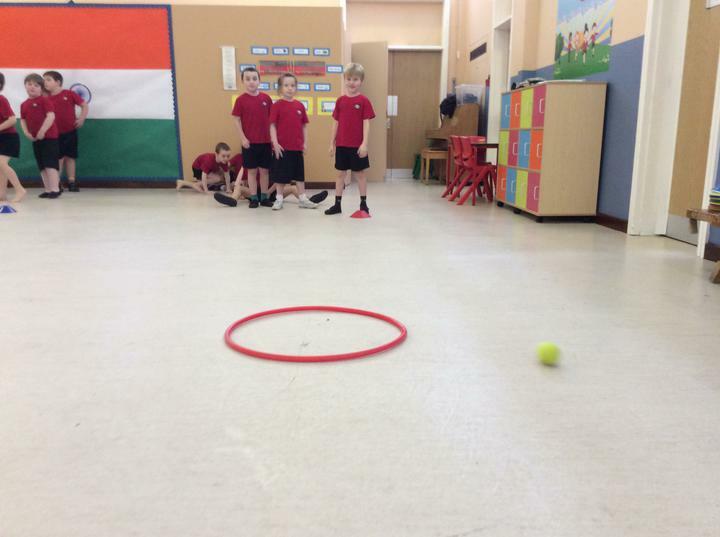 This afternoon Class 3 and Class 4 teamed up to celebrate sport and have a dodge-ball competition. 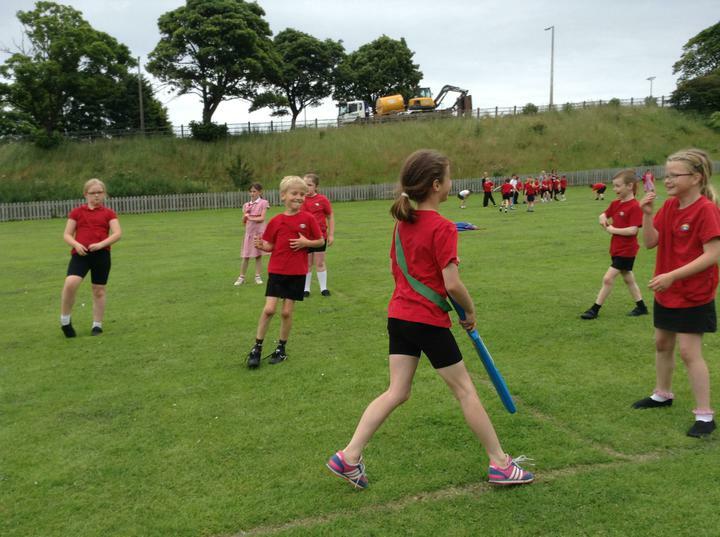 It was a very close tournament and we ended with two draws. 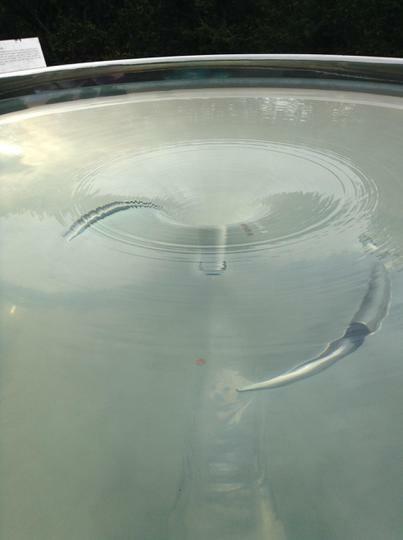 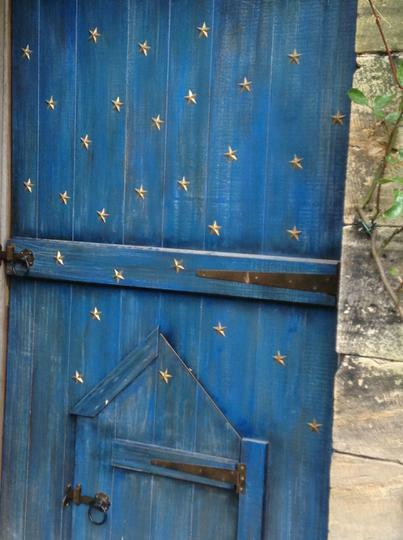 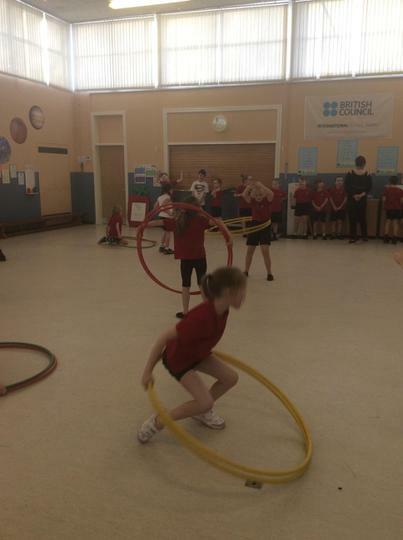 Both Mars and Venus finished on 21 points, and Mercury and Jupiter were tied on 30 points. 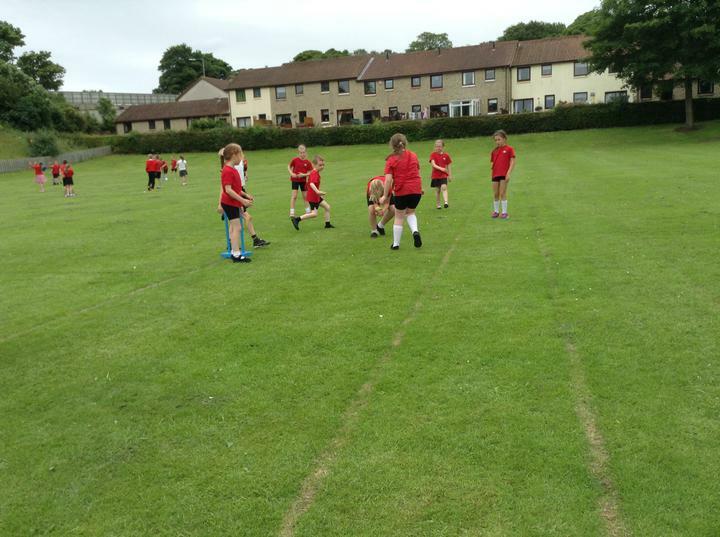 To decide an overall winner we had to have a bronze medal playoff, and a final to decide silver and gold. 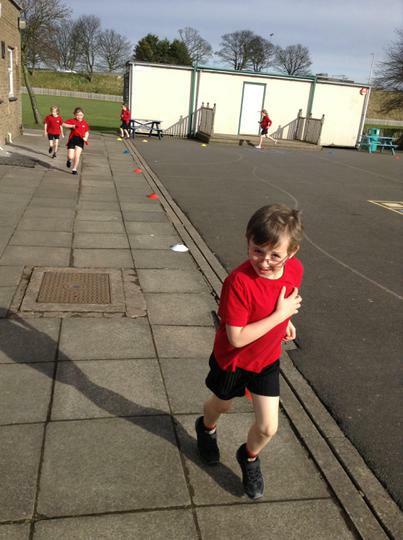 Mars were in fourth place. 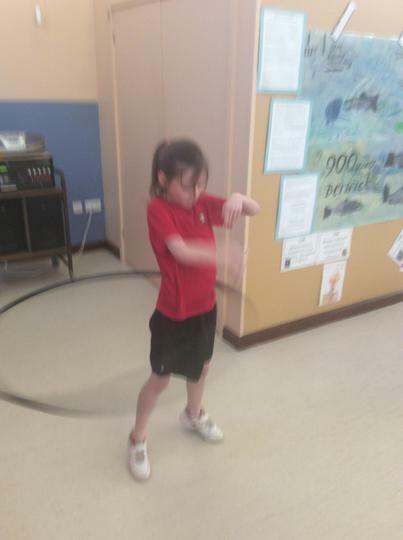 Venus were in third place. 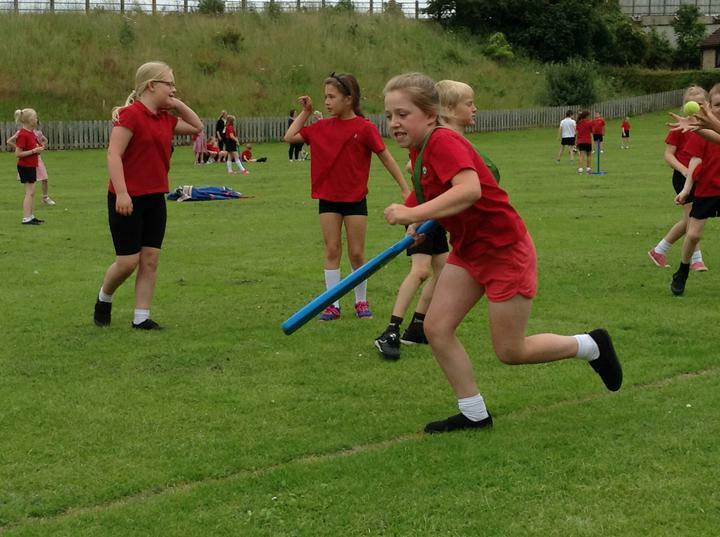 Mercury were in second place. 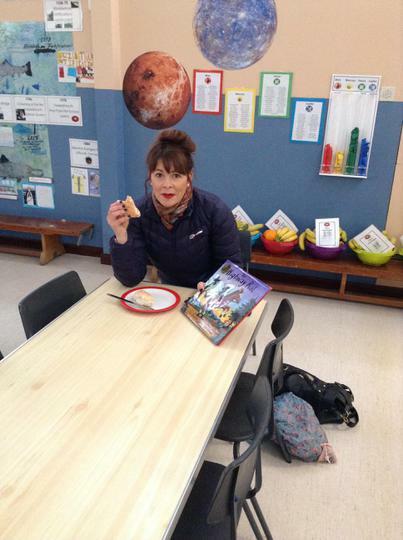 Jupiter were in the first place. 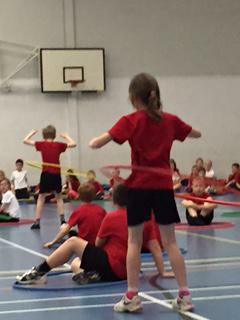 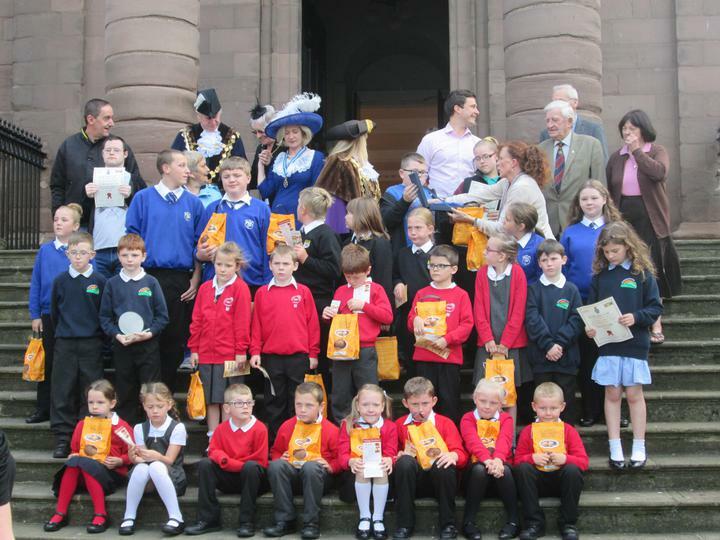 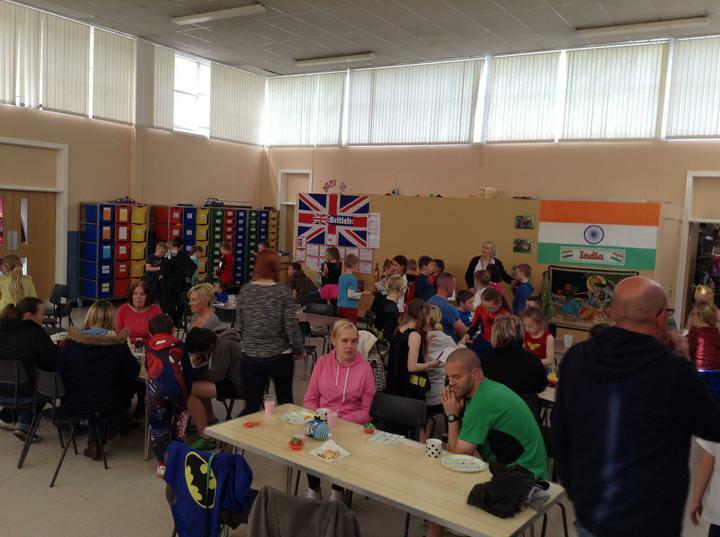 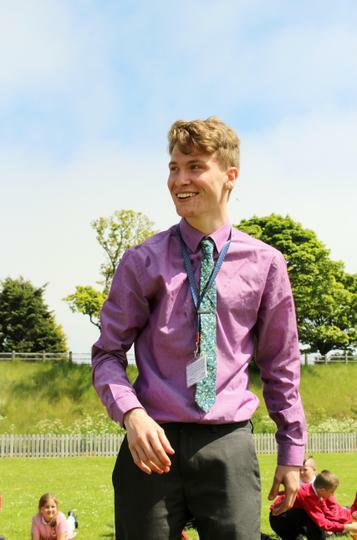 Well done to everyone who took part, I was very impressed by everyone's sportsmanship! 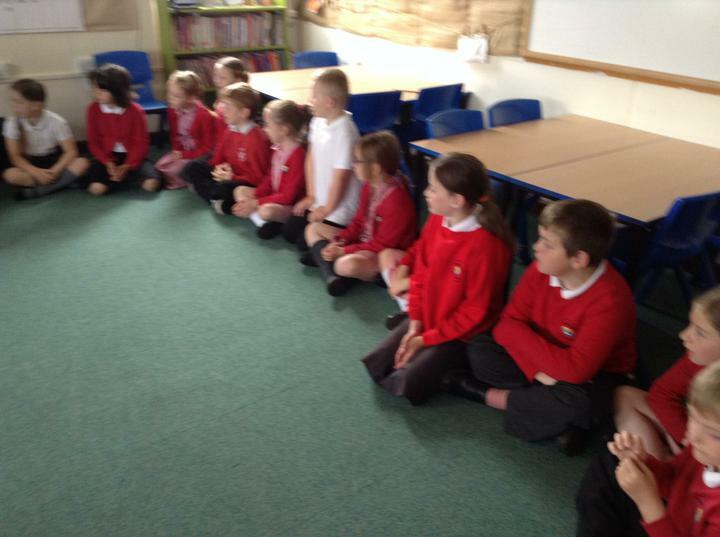 The Story of Rama and Sita re-told by Class Three. 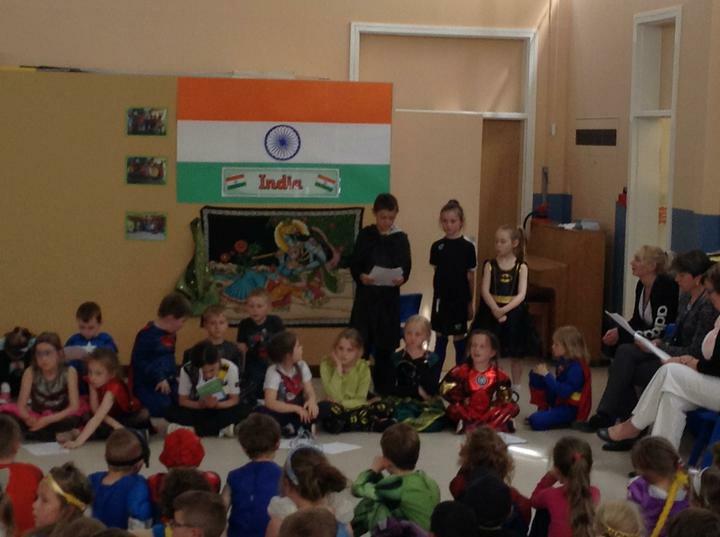 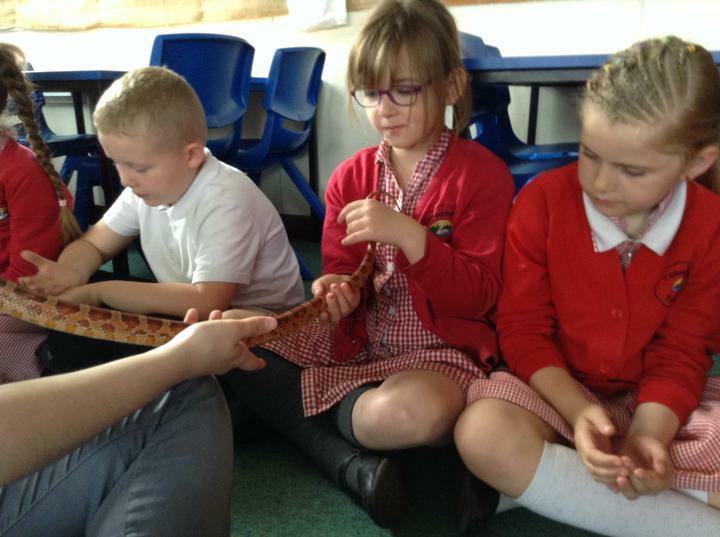 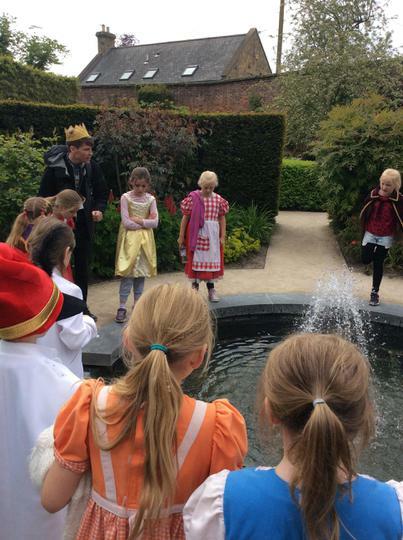 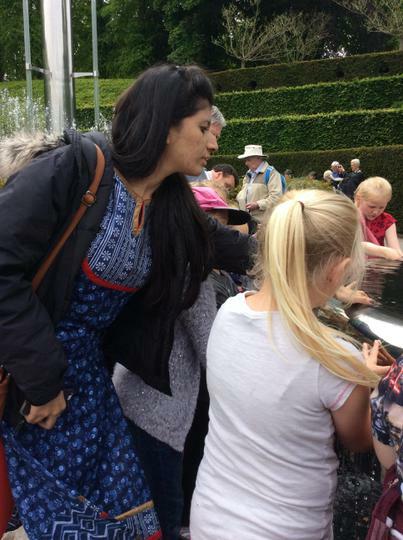 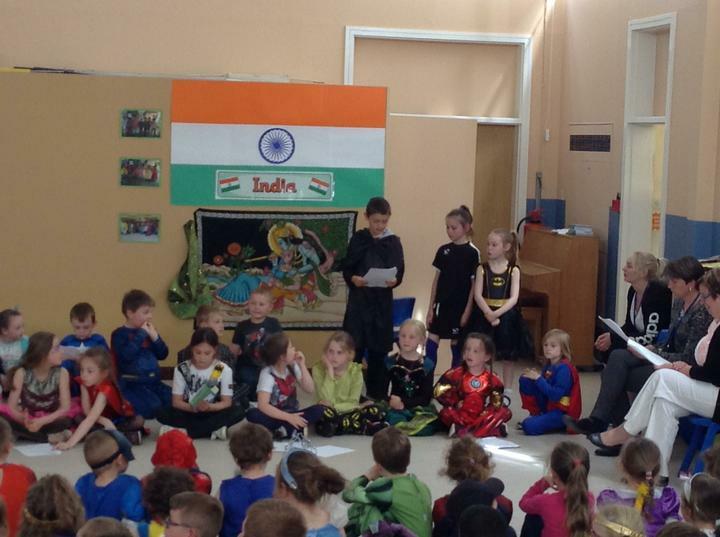 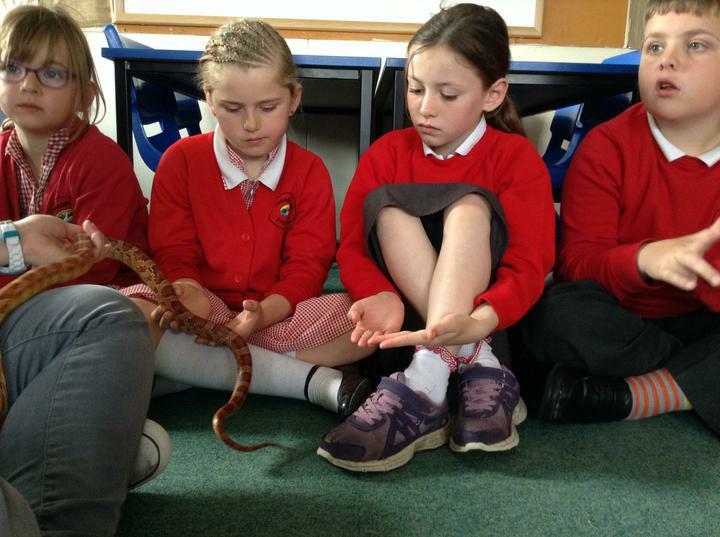 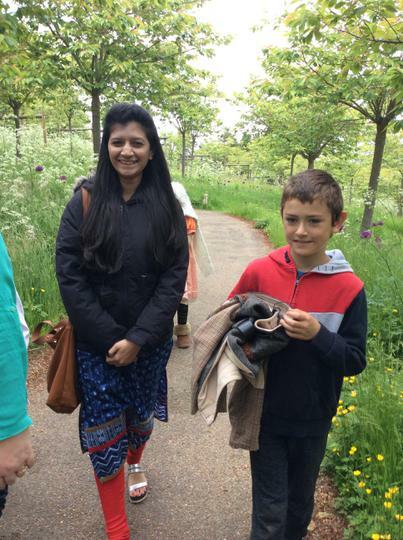 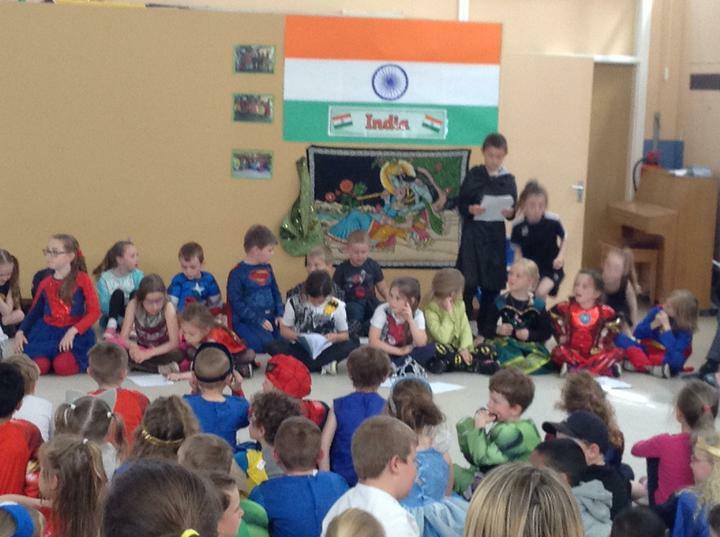 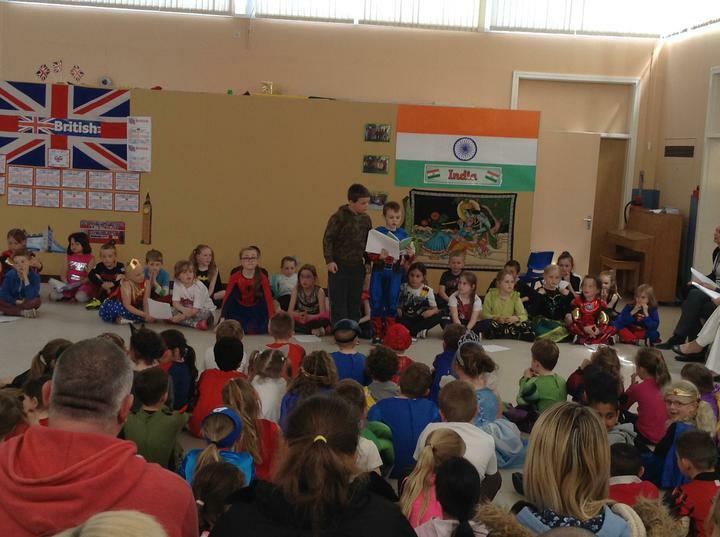 Watch Class Three re-tell the story of Rama and Sita, a traditional Hindu tale told as part of Diwali celebrations. 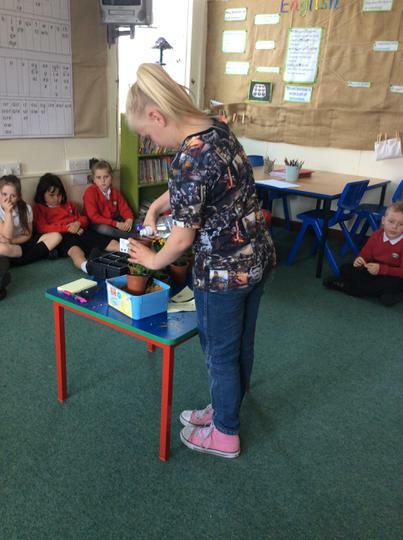 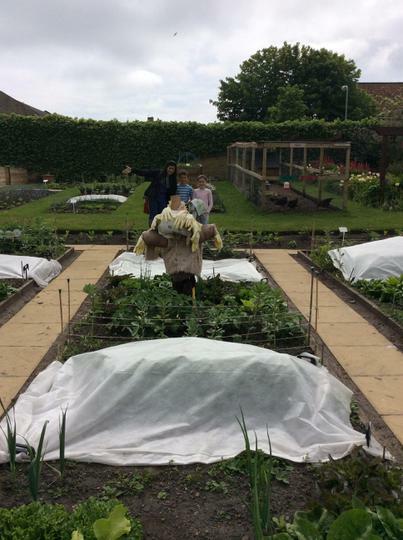 Last year we grew some potatoes with Mrs. Strachan and we won the competition!!!!! 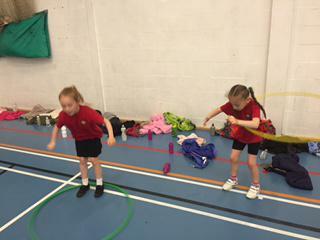 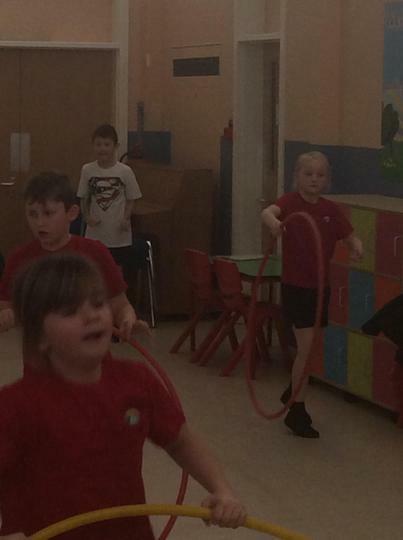 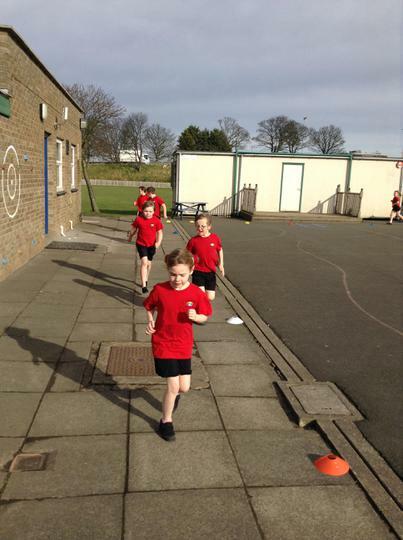 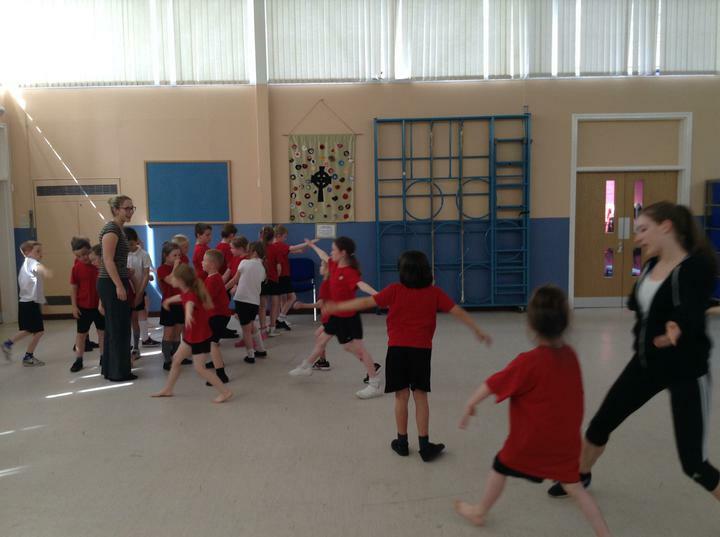 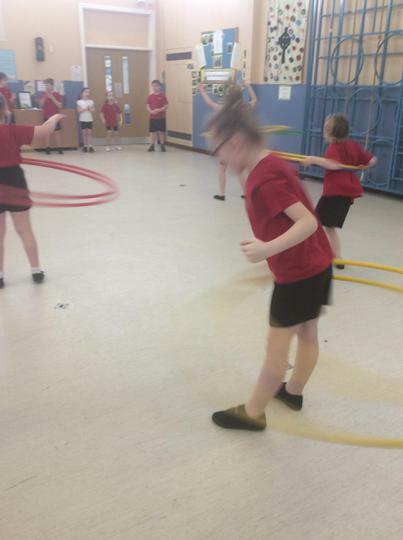 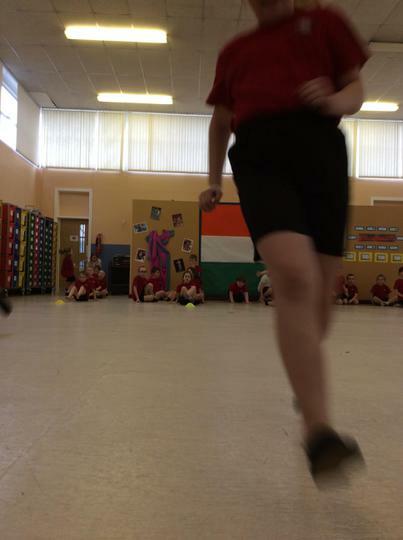 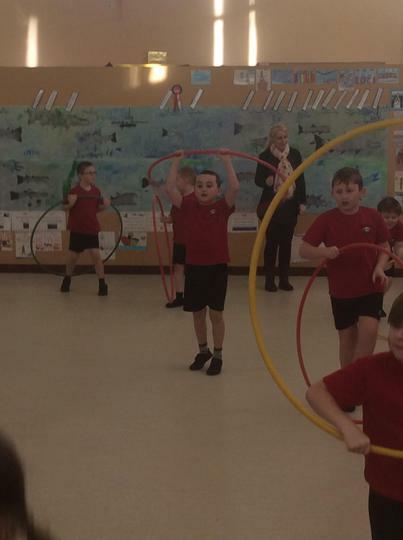 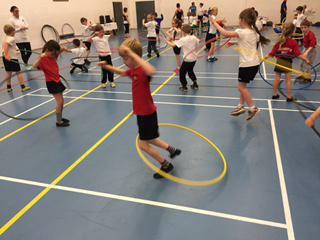 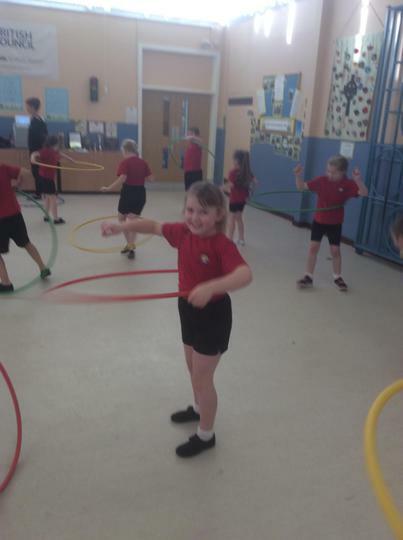 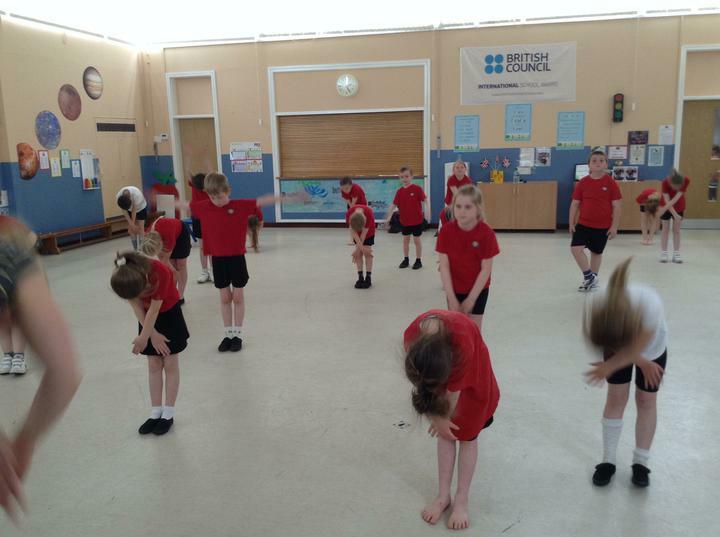 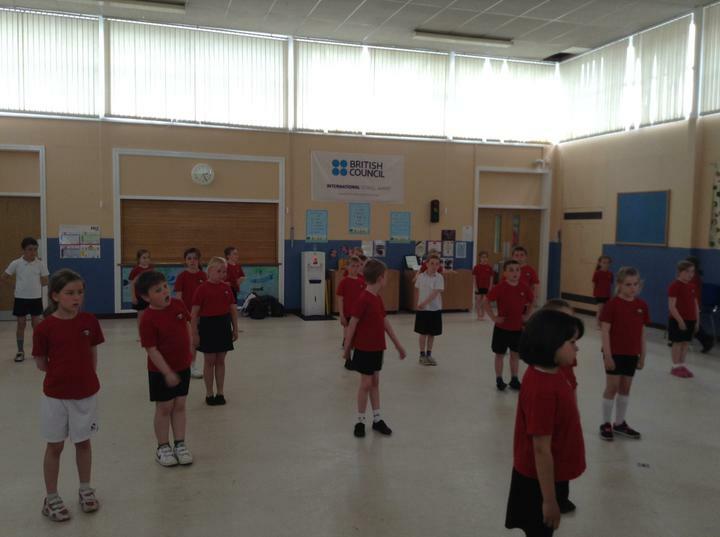 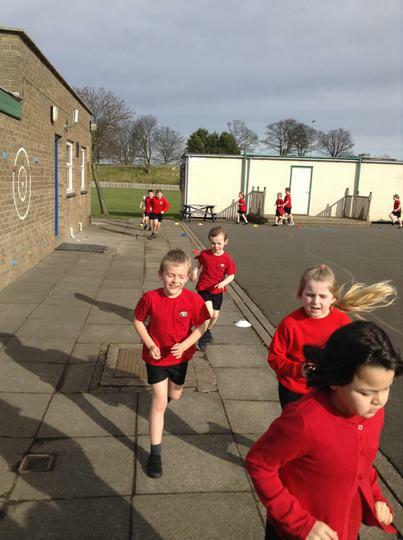 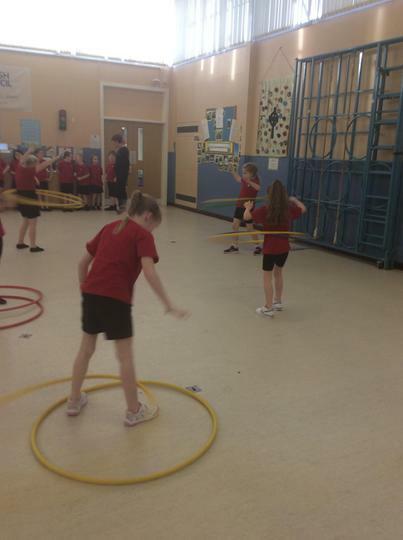 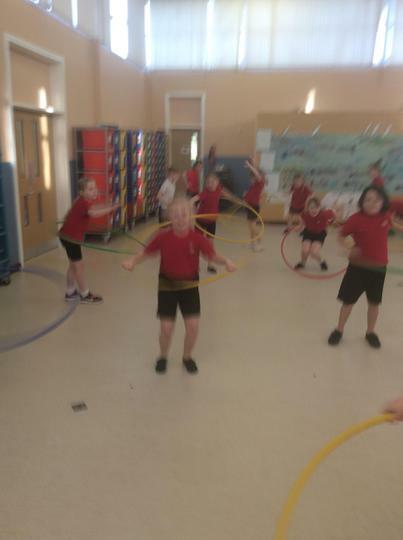 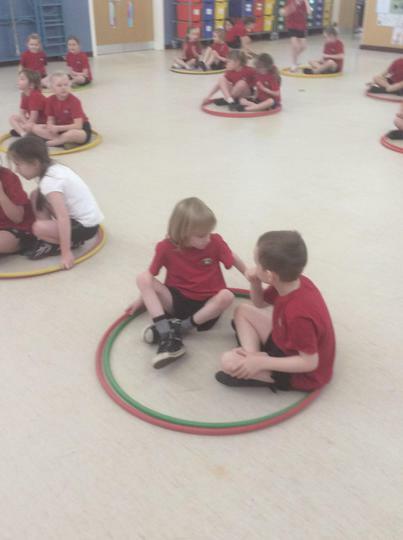 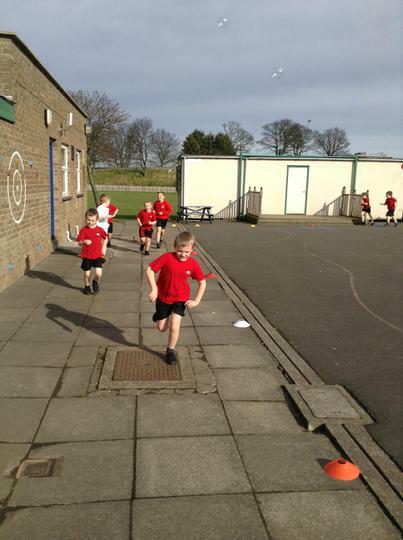 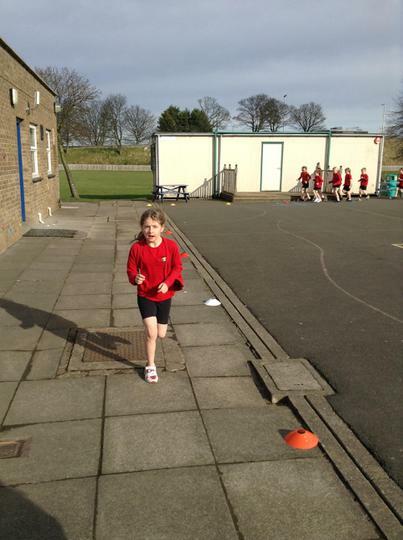 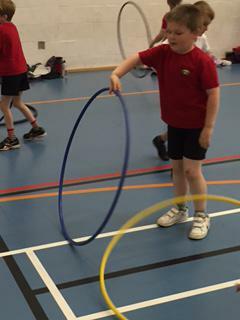 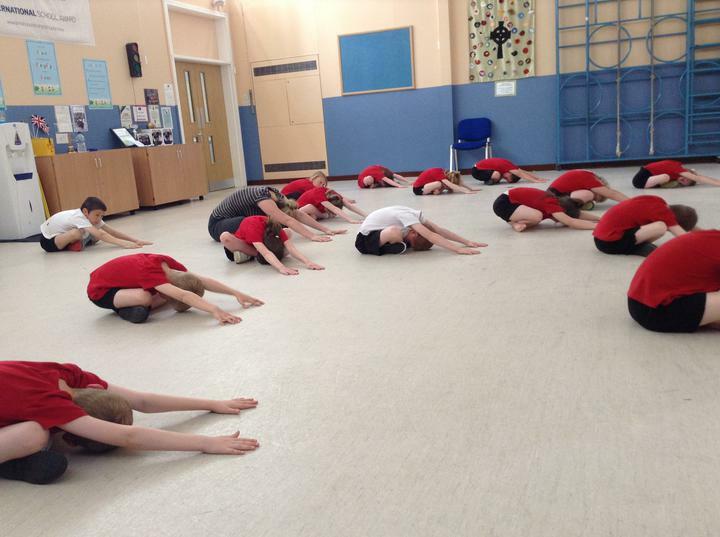 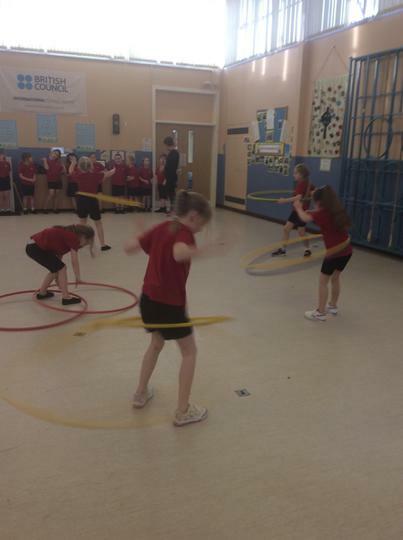 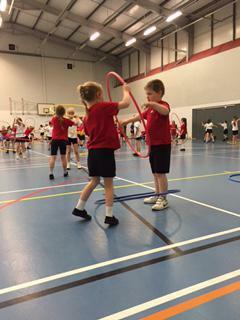 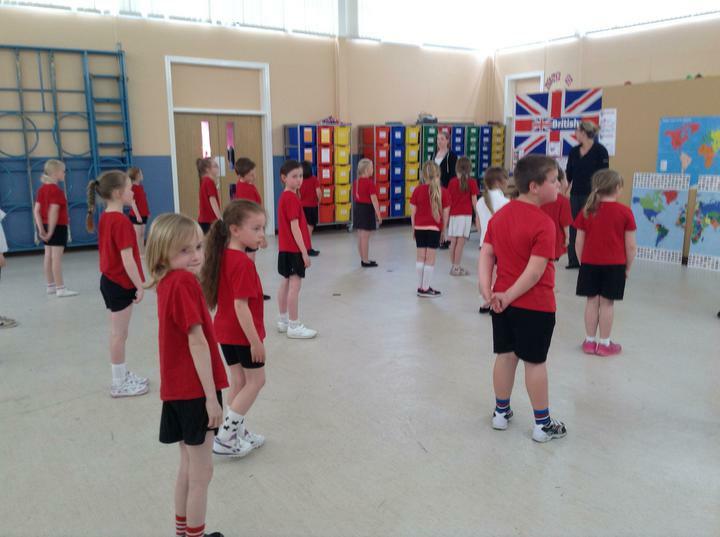 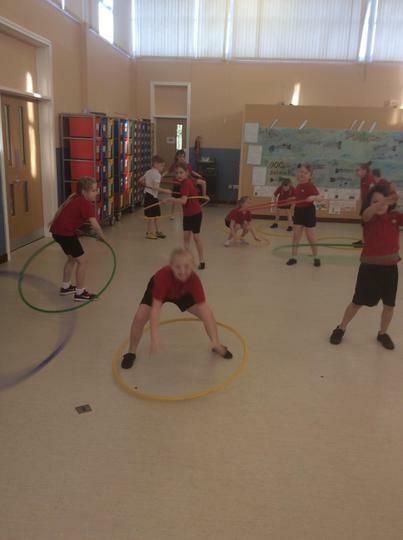 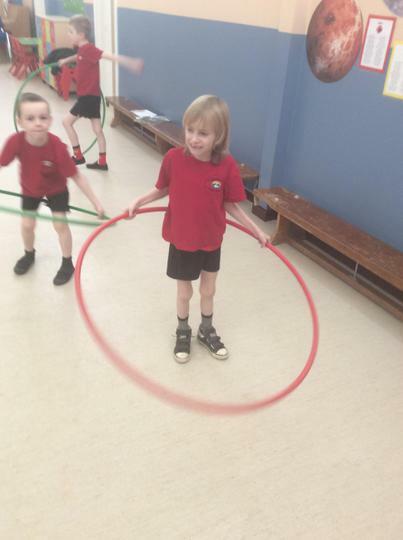 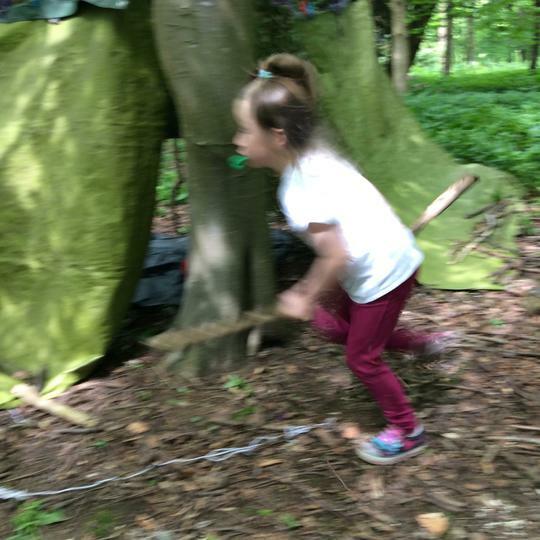 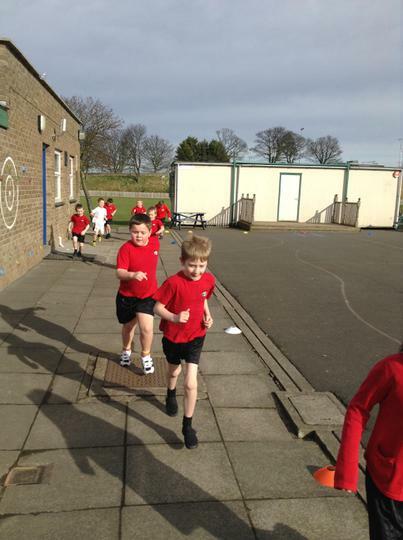 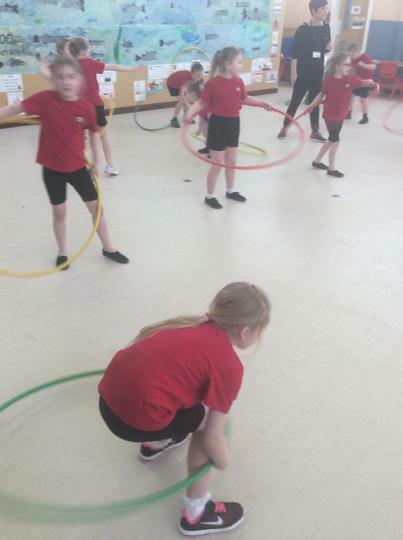 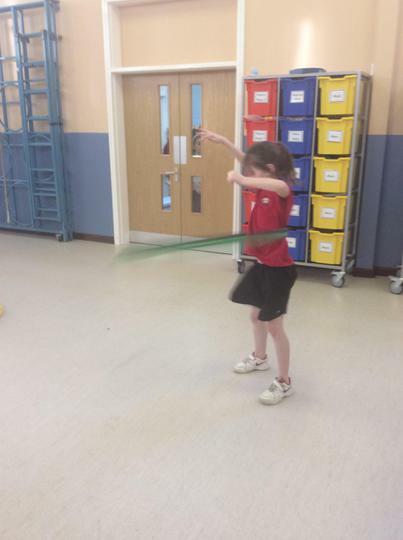 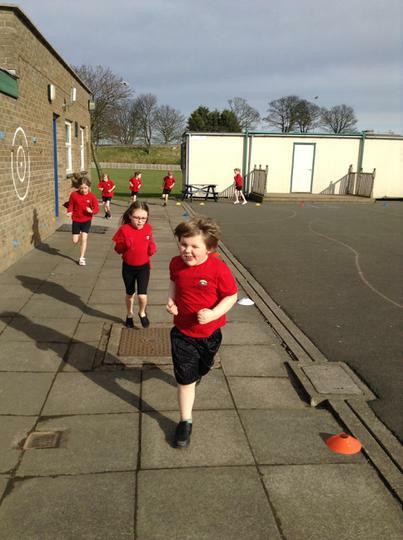 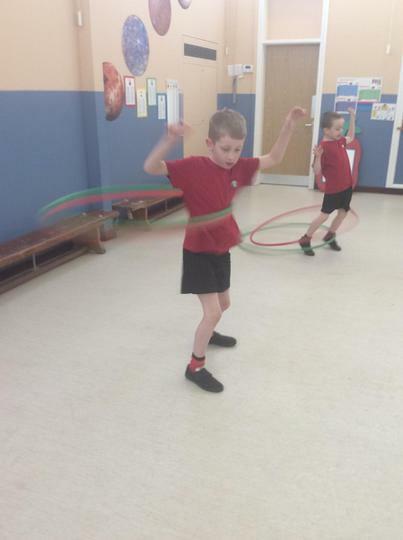 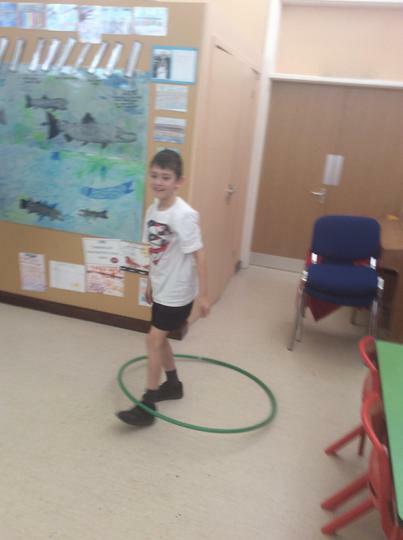 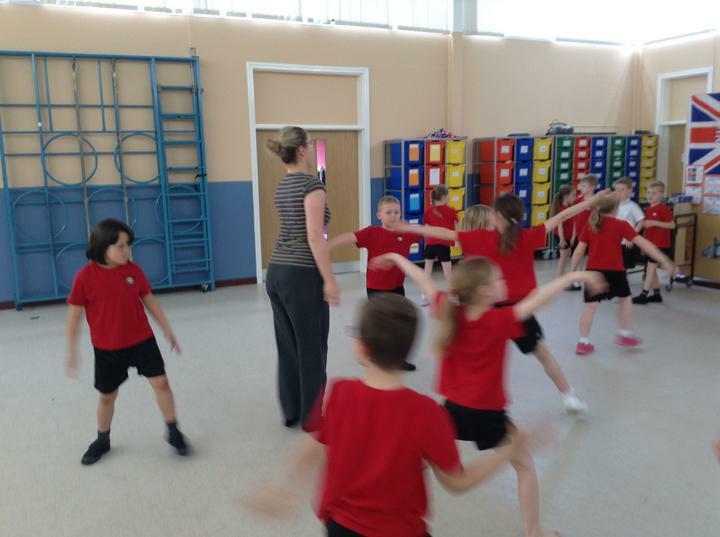 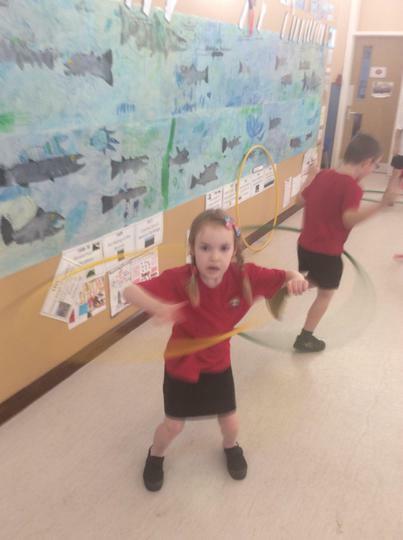 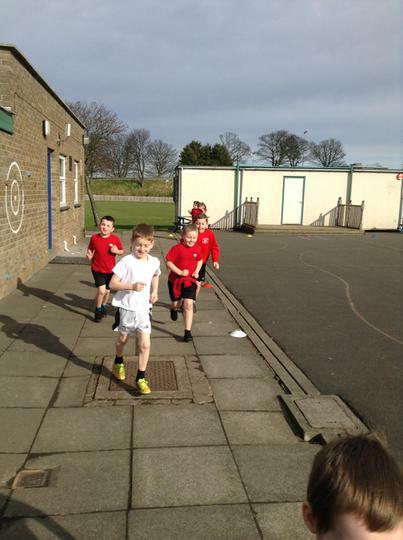 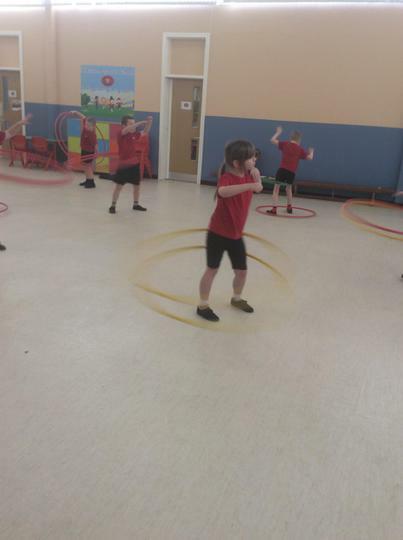 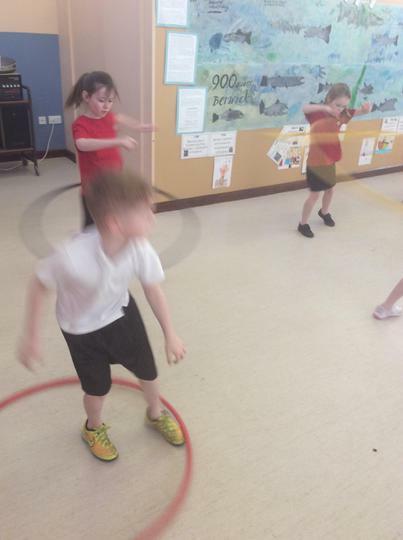 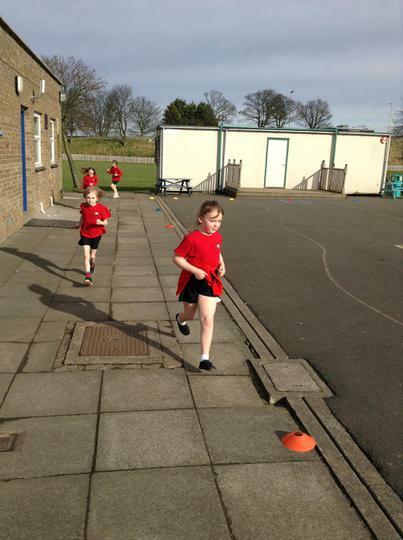 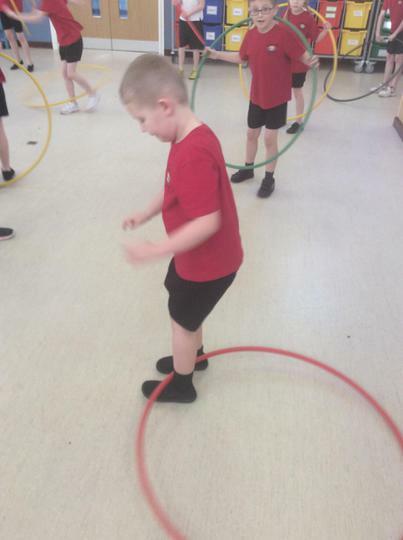 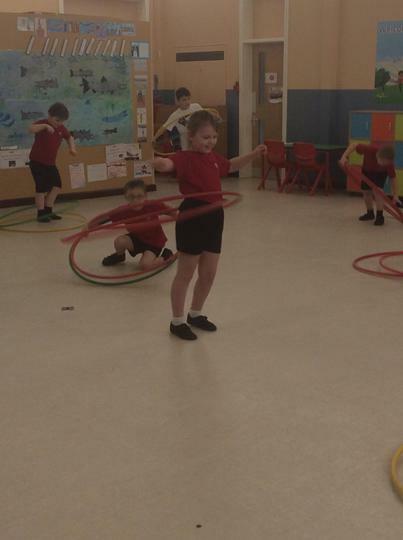 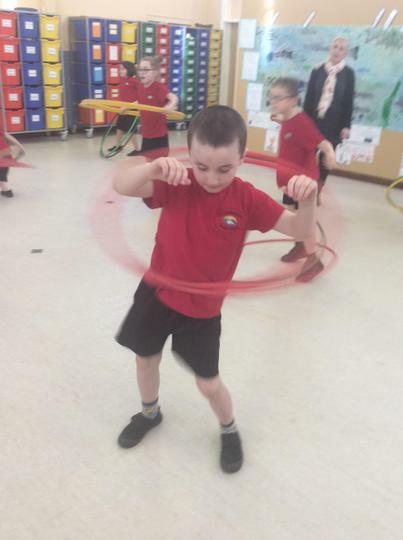 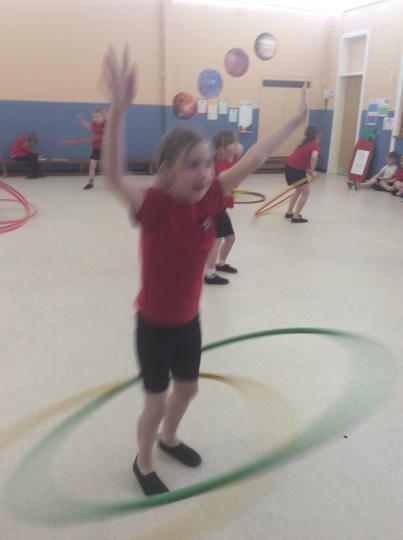 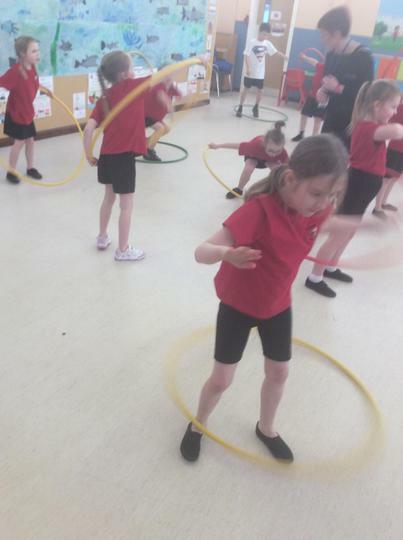 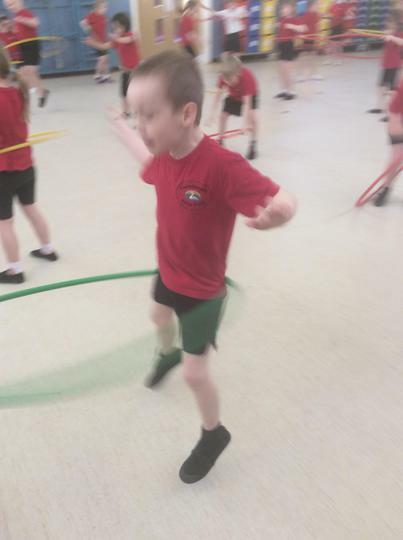 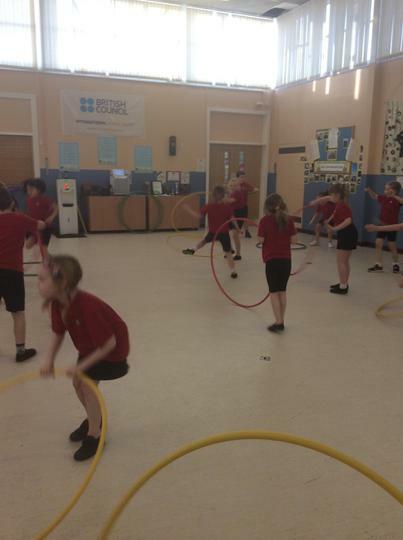 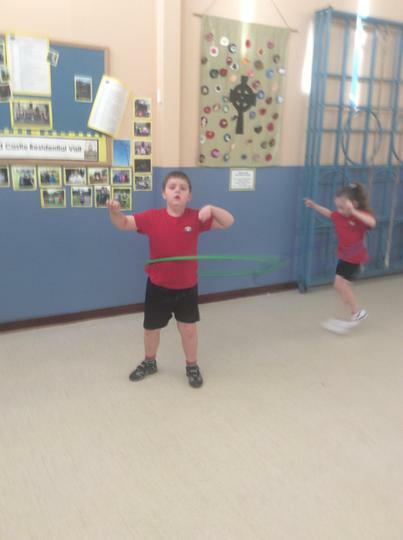 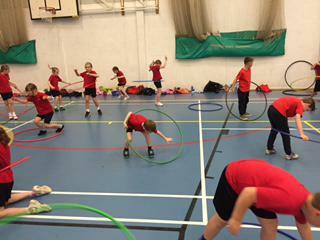 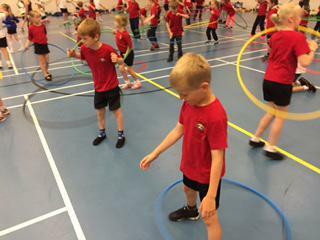 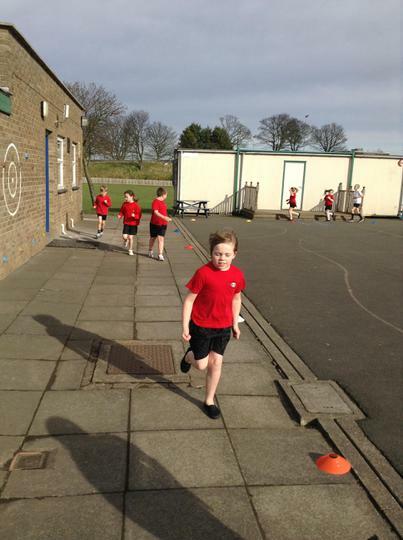 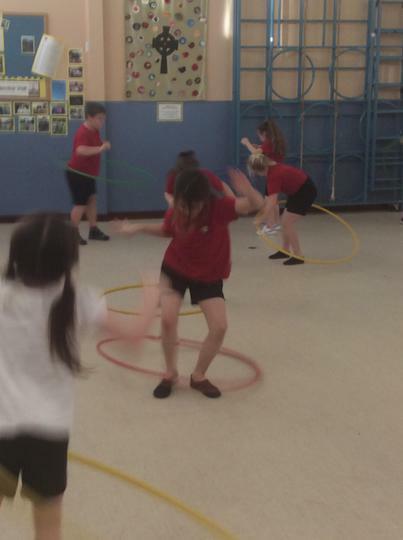 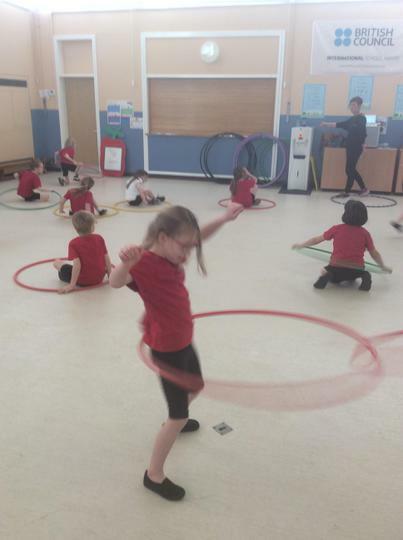 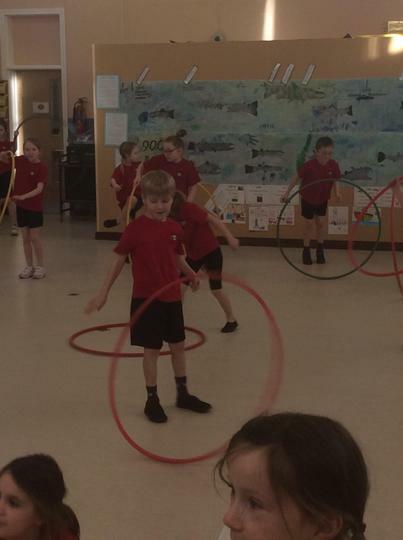 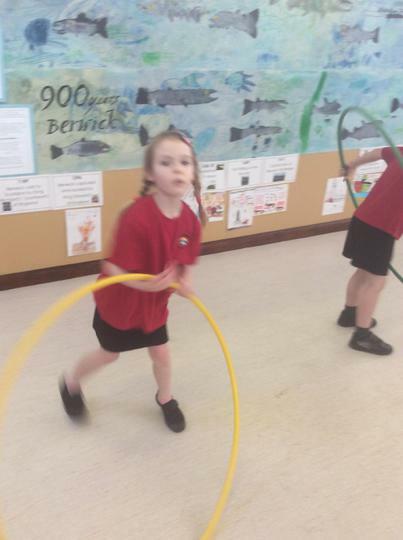 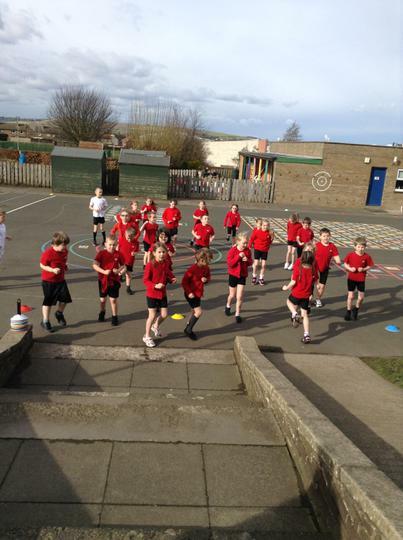 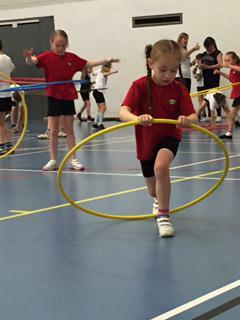 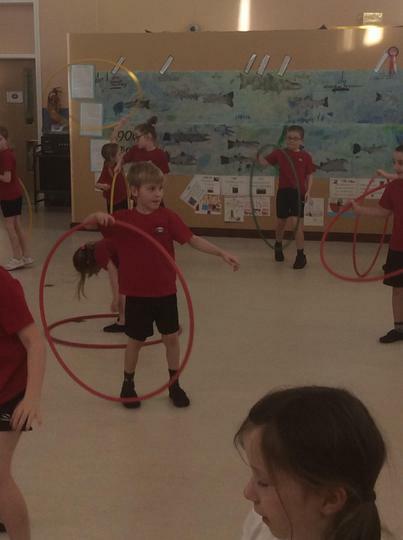 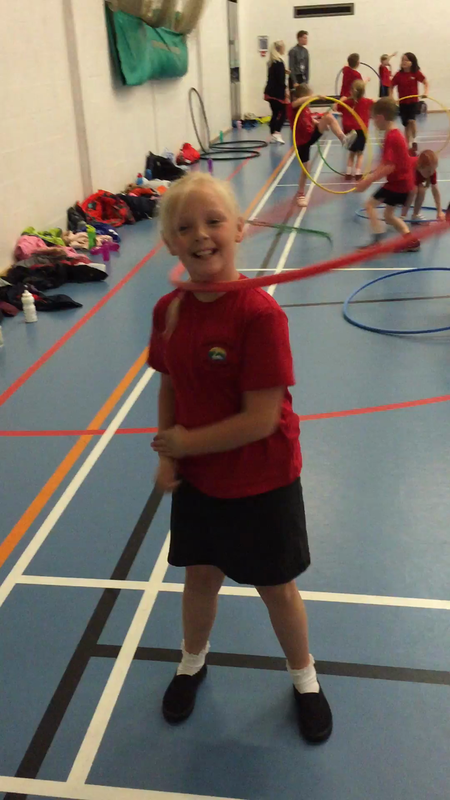 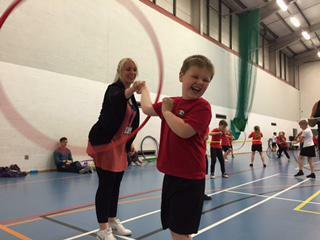 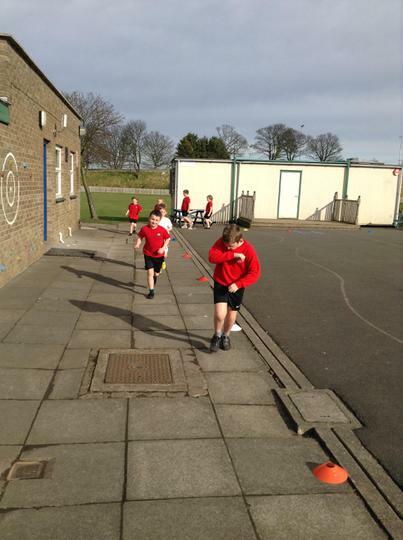 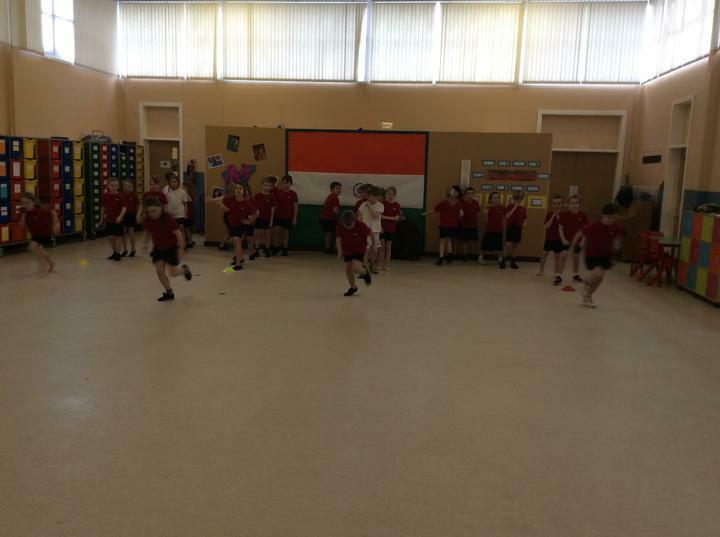 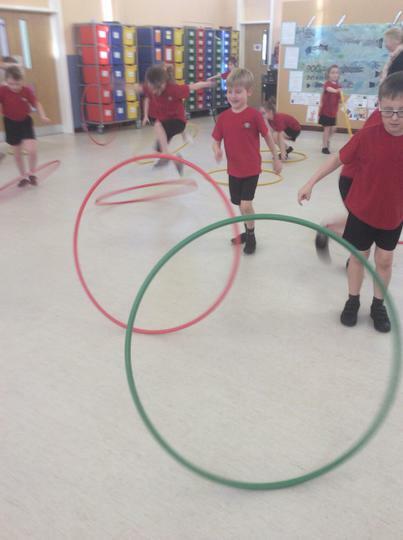 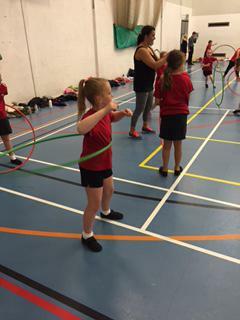 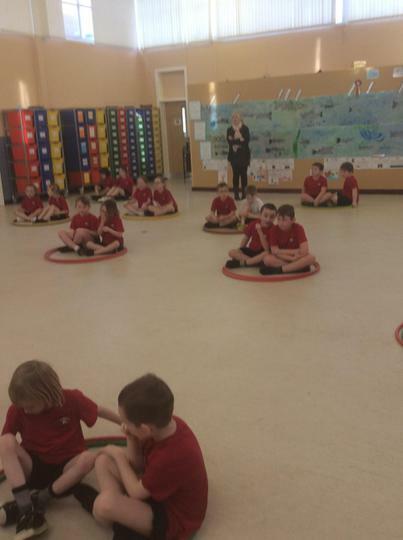 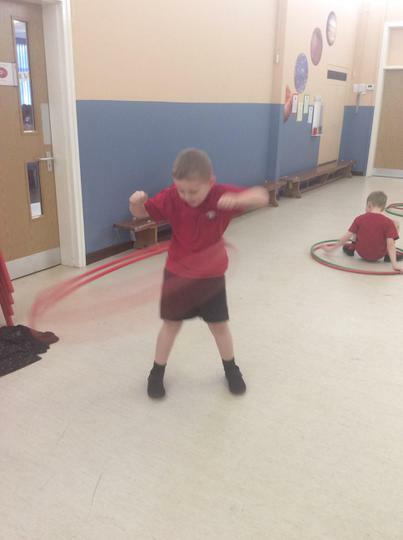 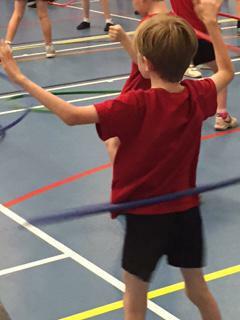 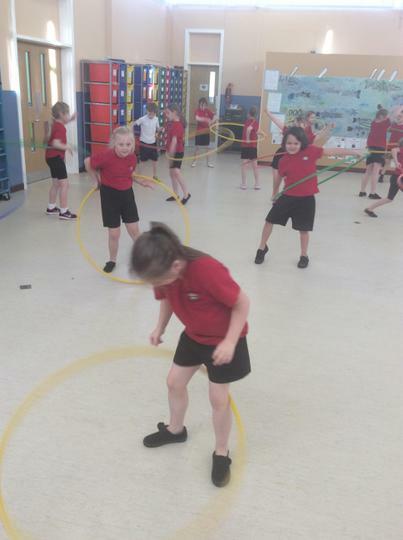 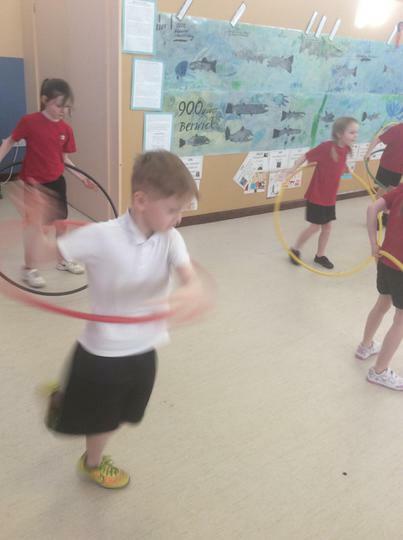 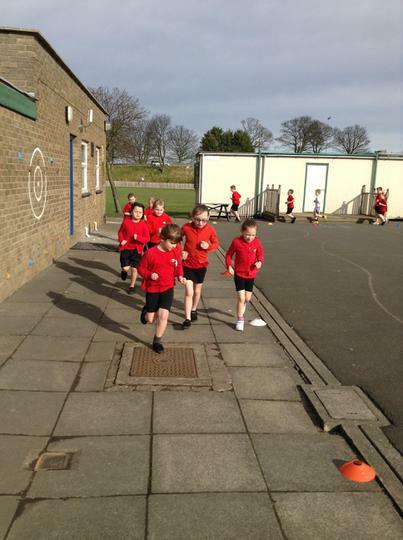 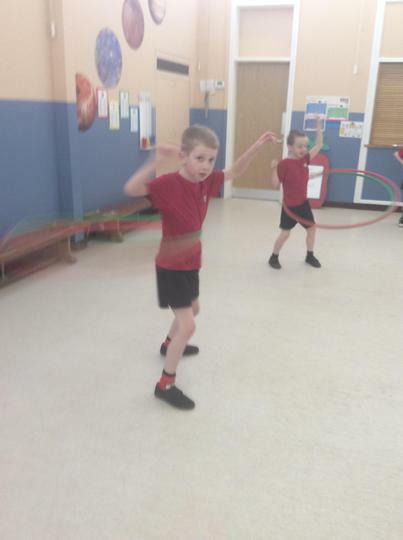 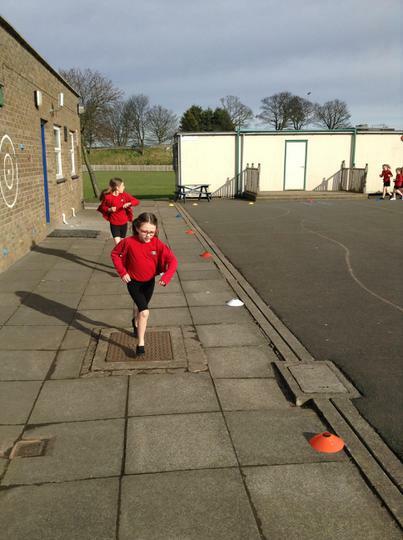 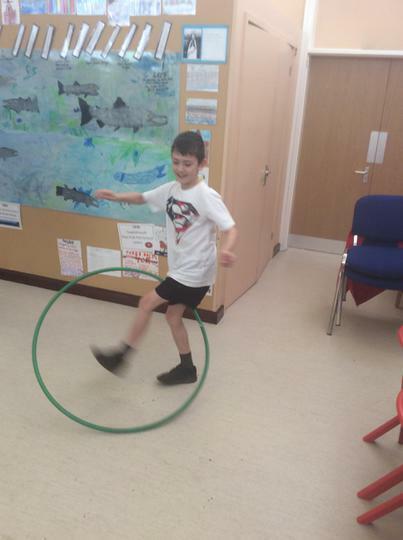 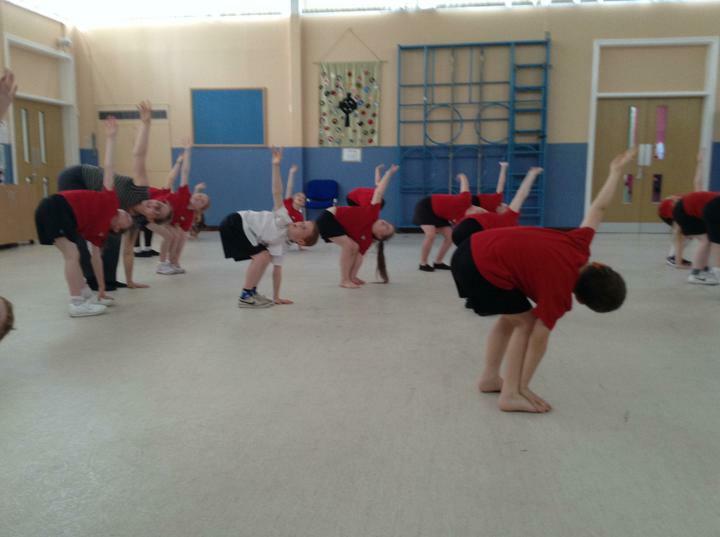 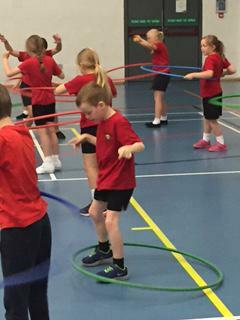 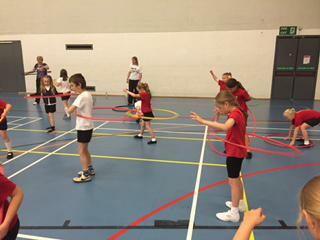 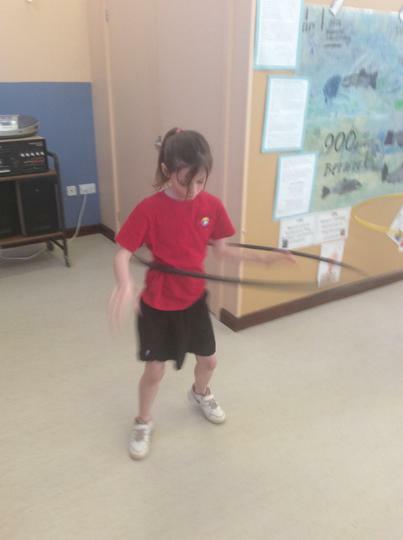 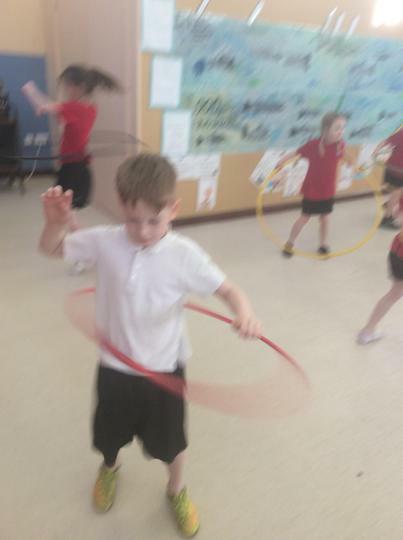 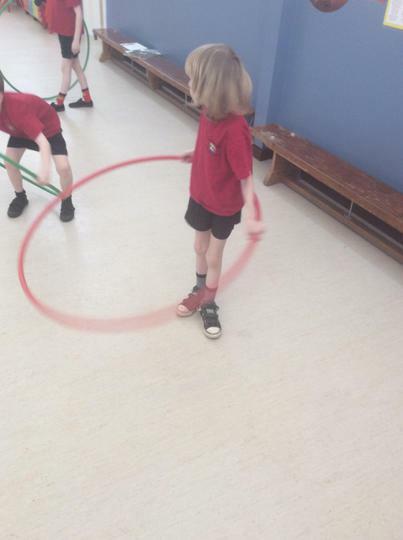 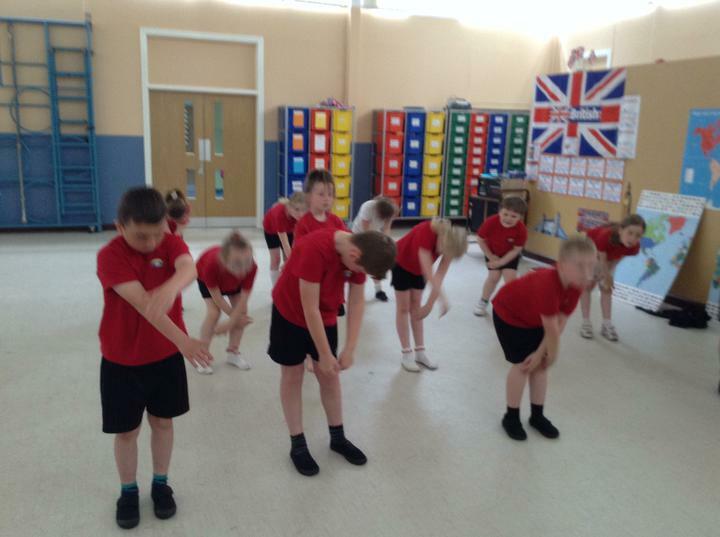 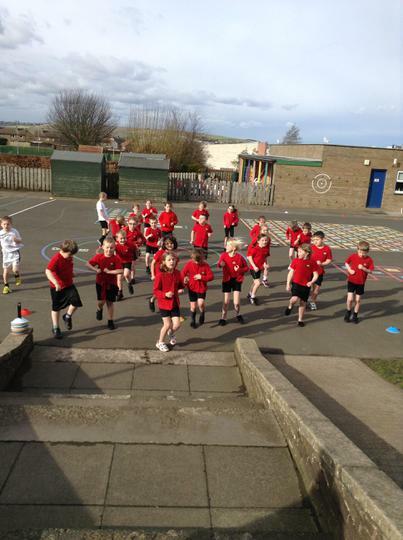 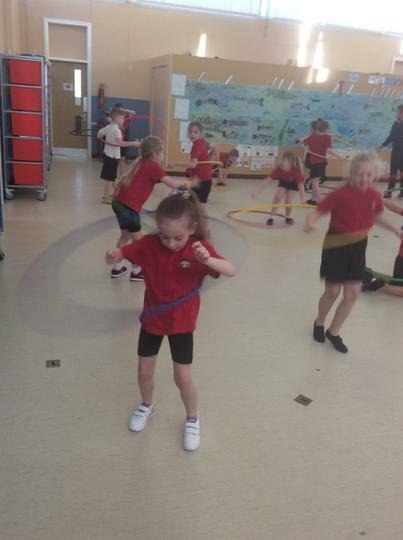 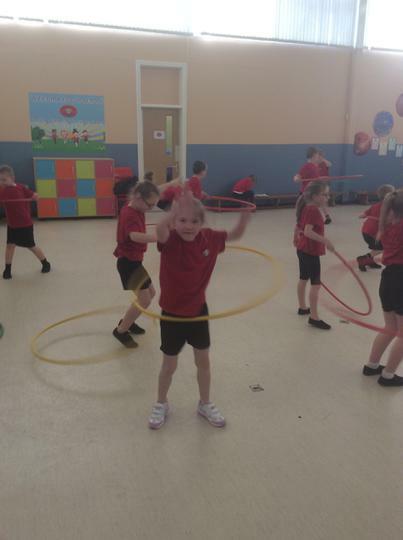 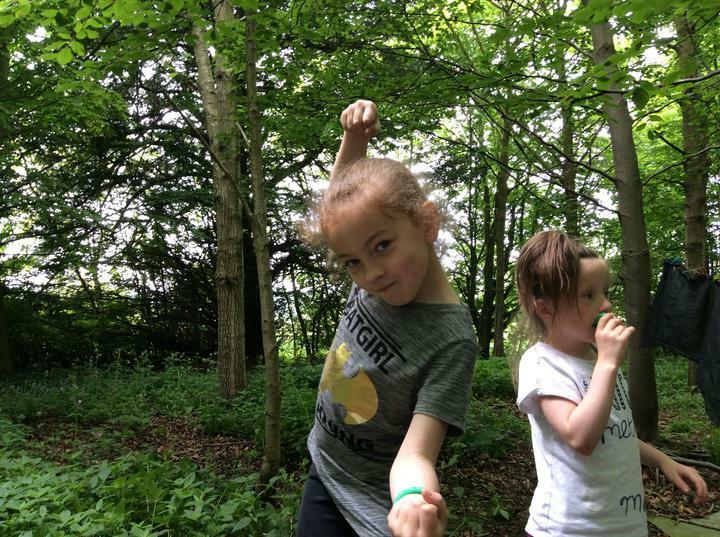 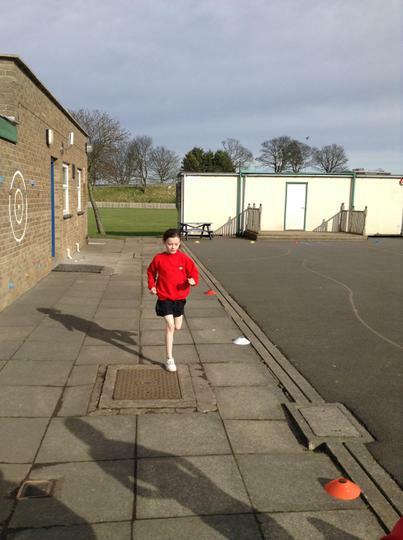 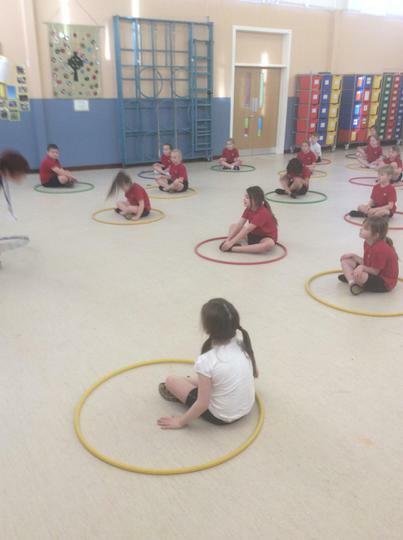 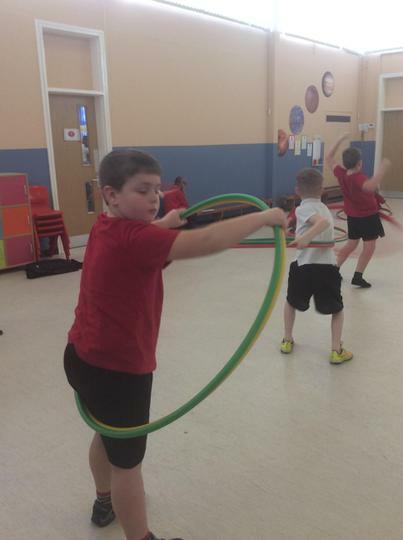 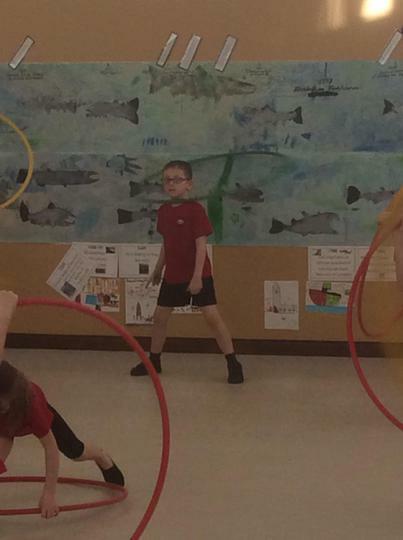 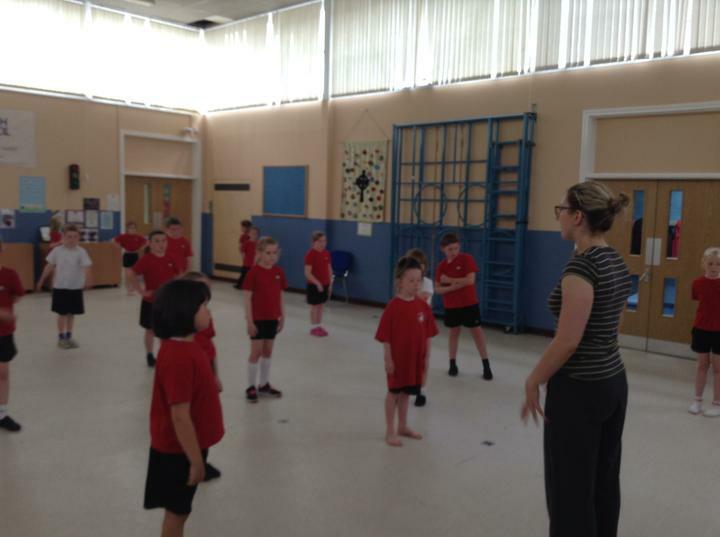 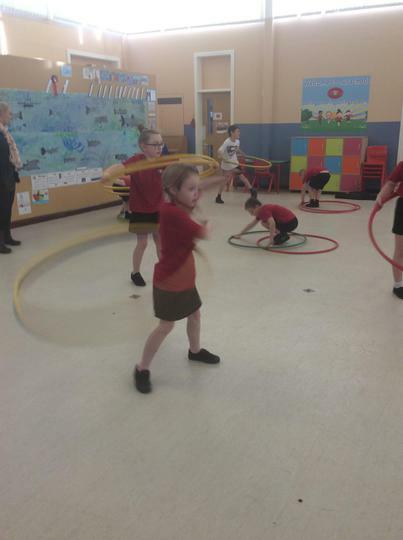 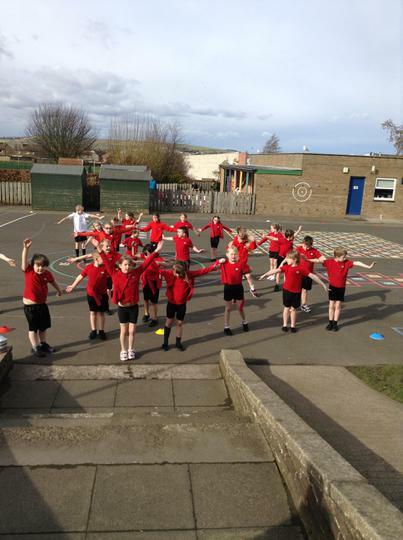 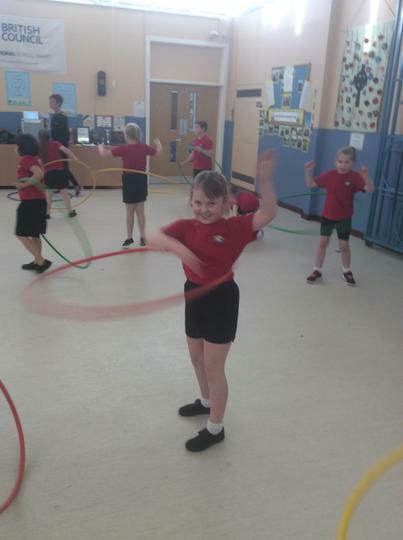 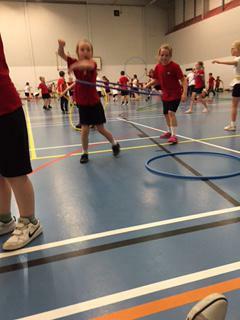 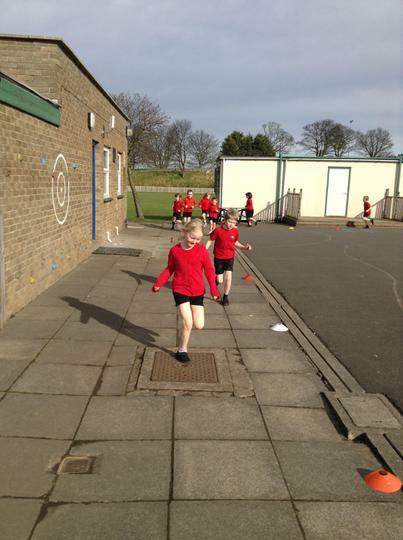 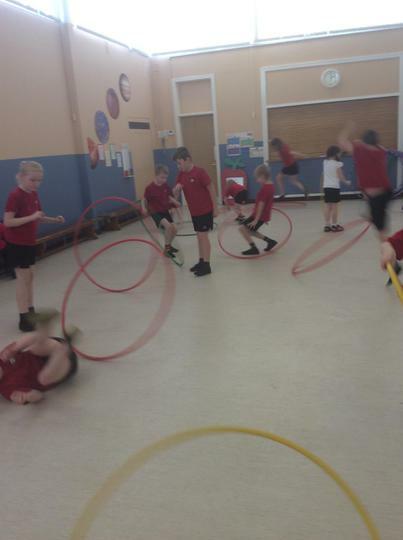 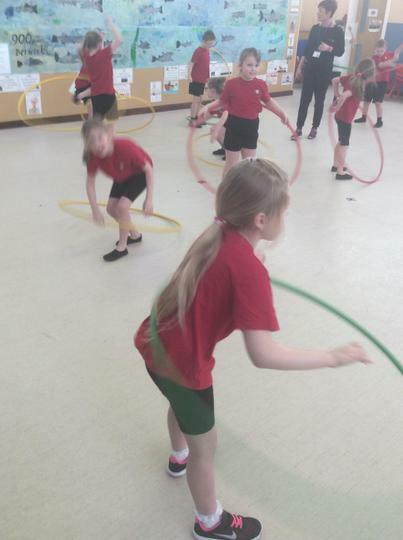 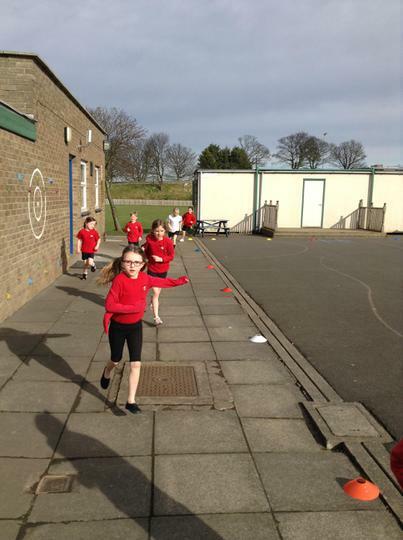 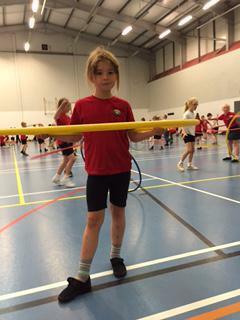 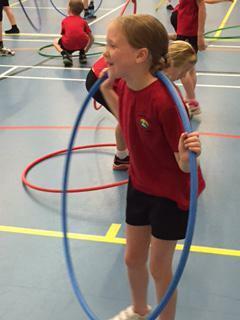 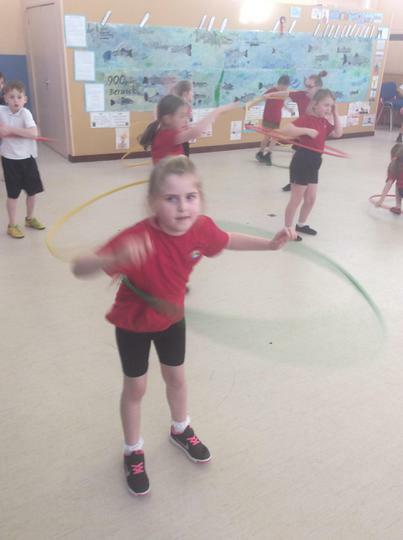 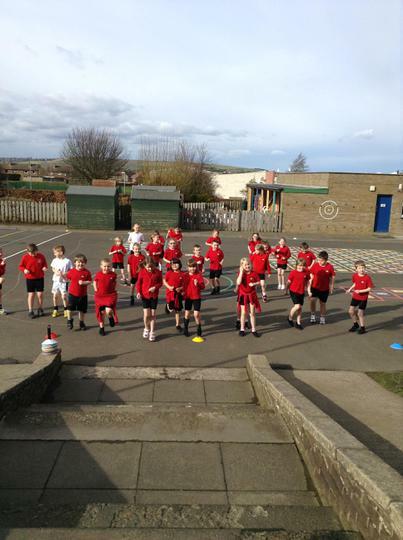 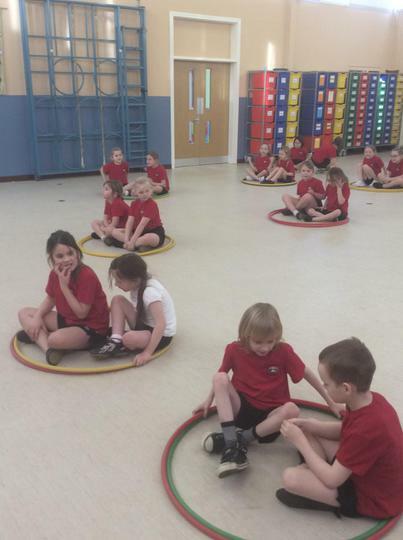 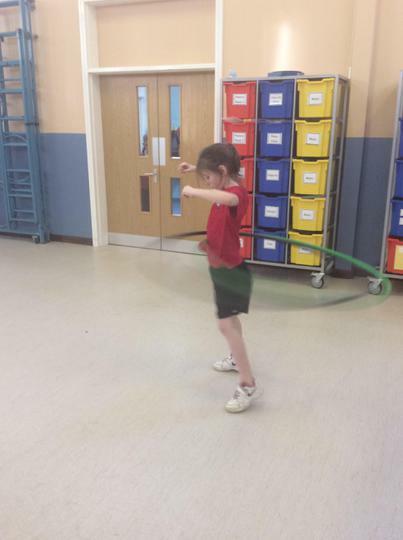 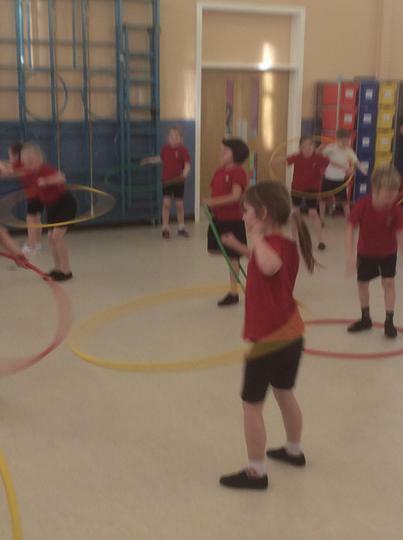 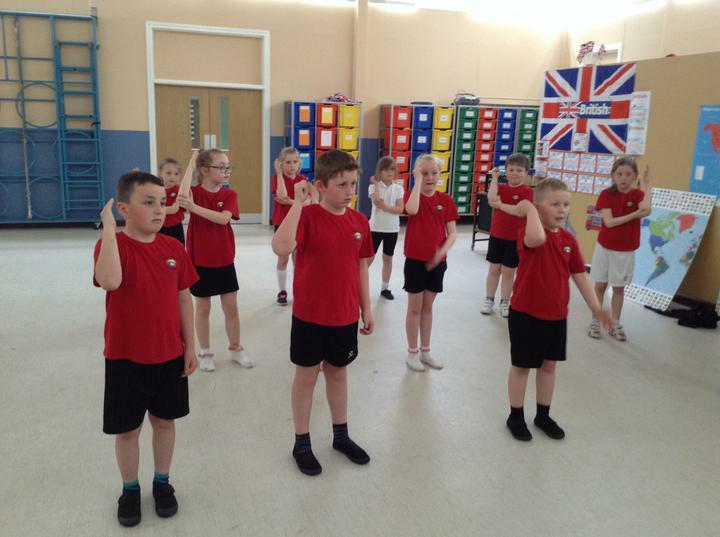 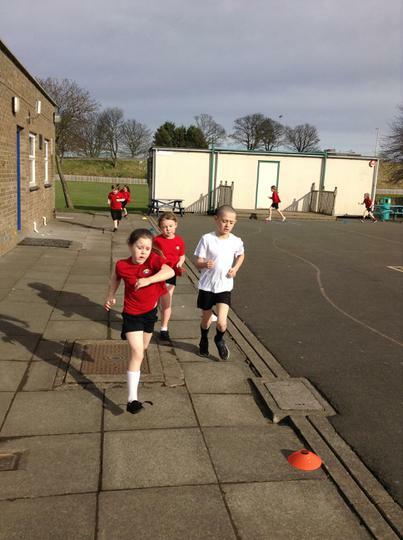 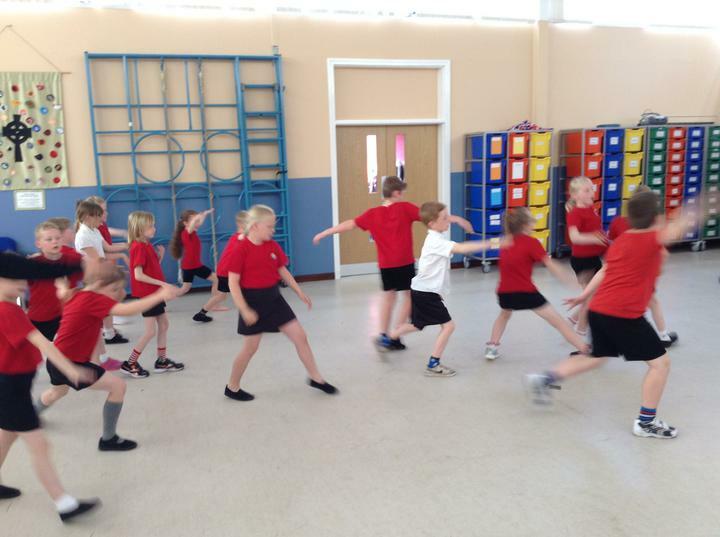 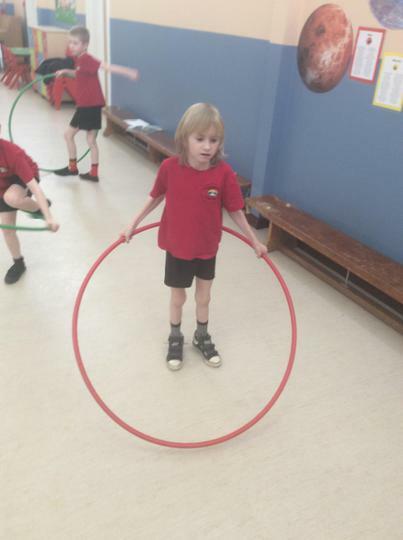 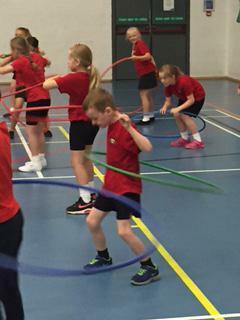 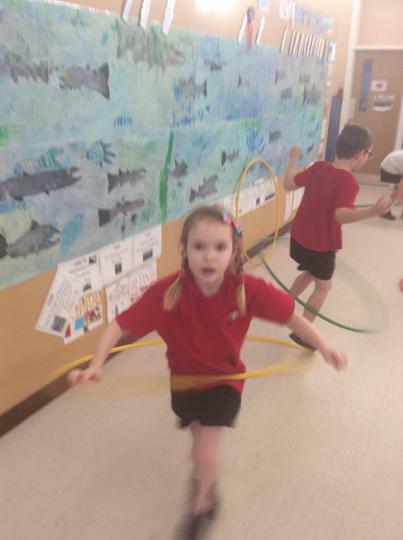 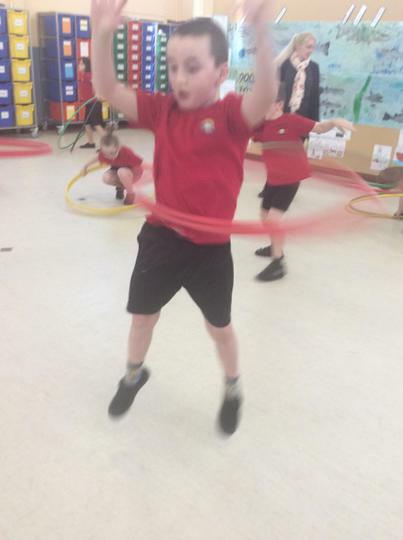 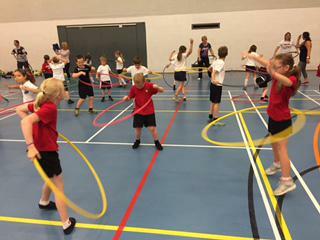 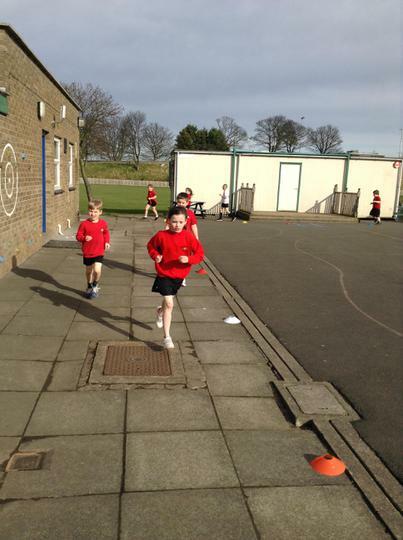 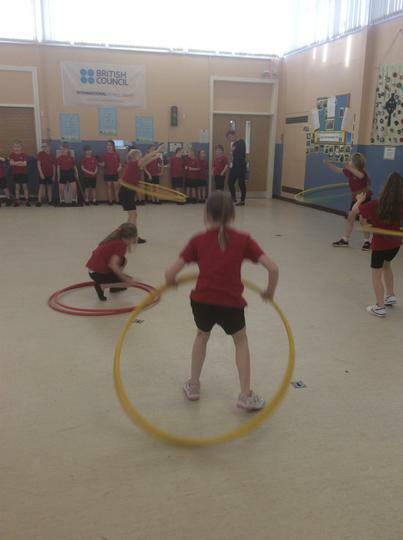 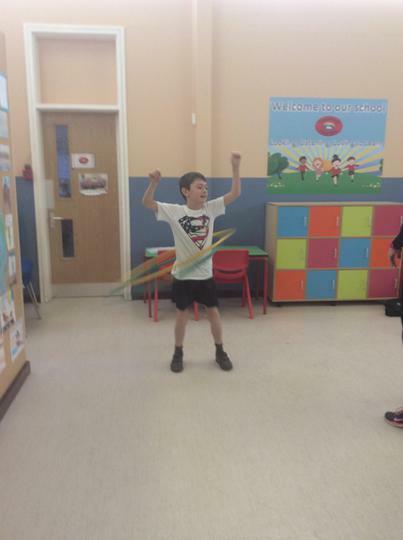 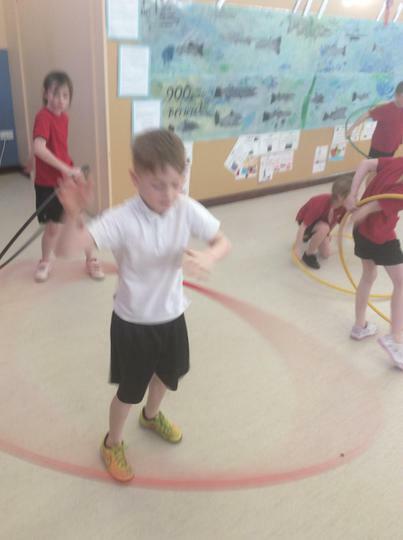 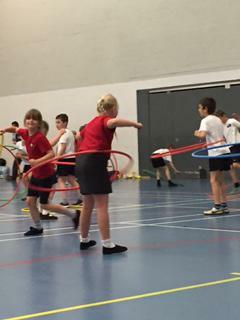 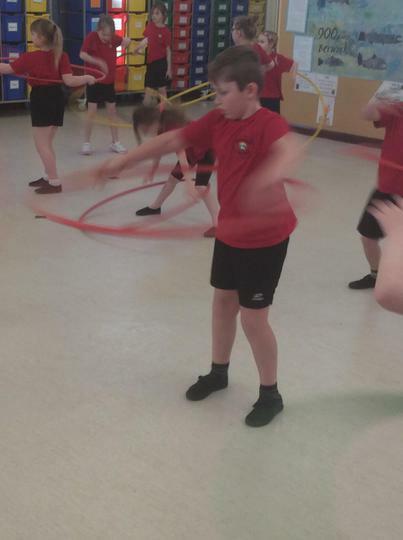 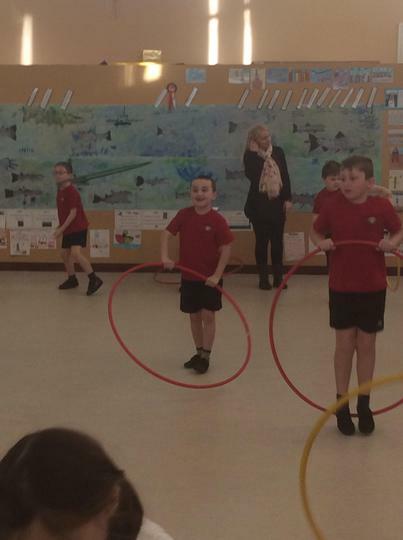 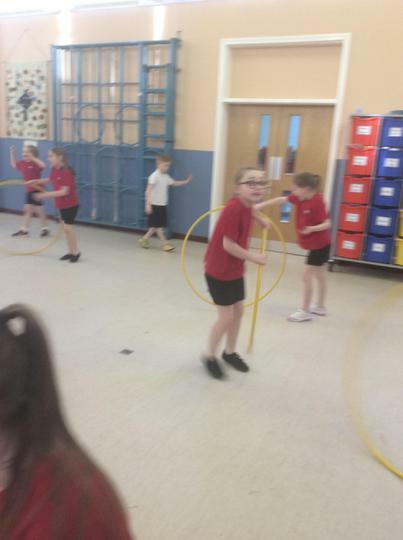 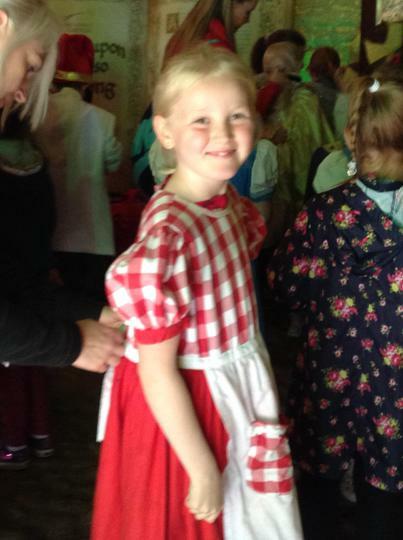 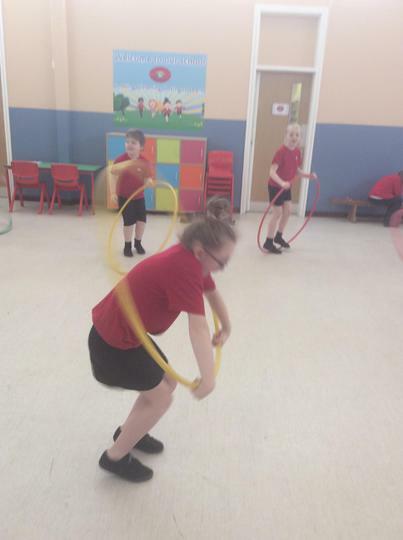 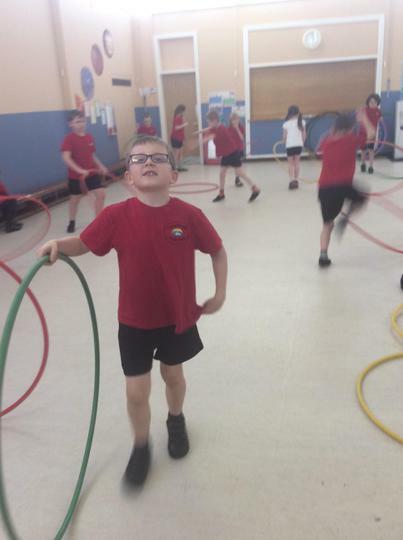 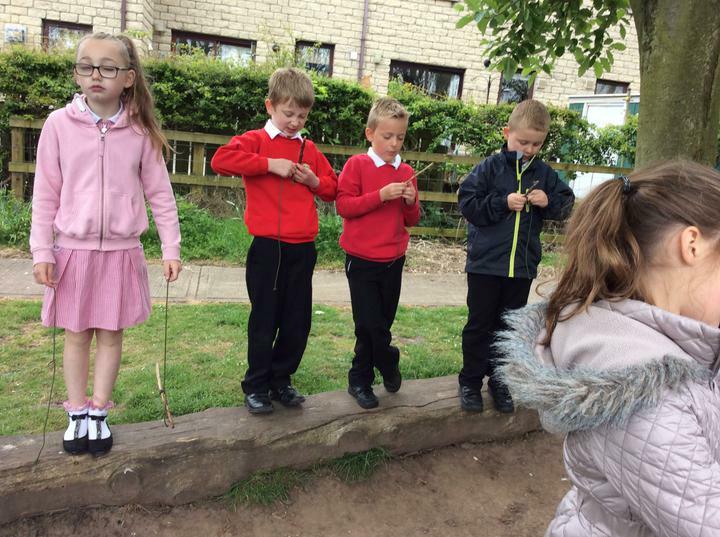 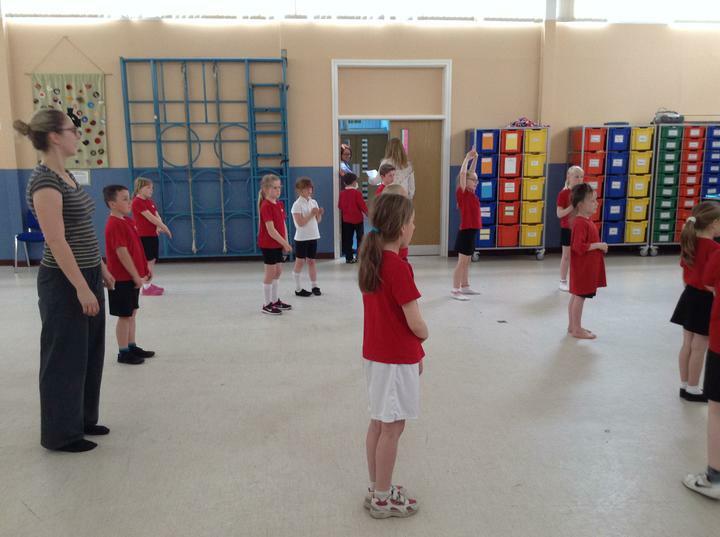 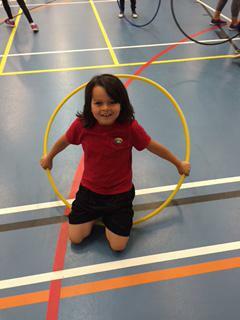 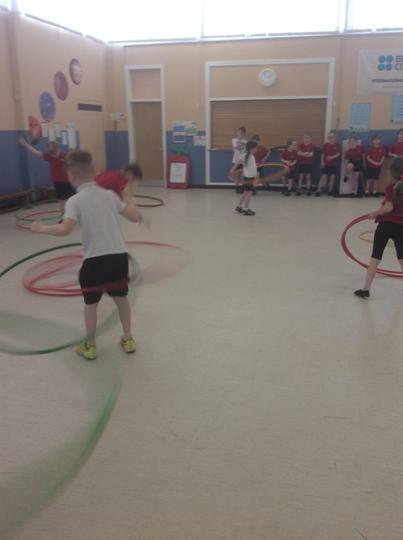 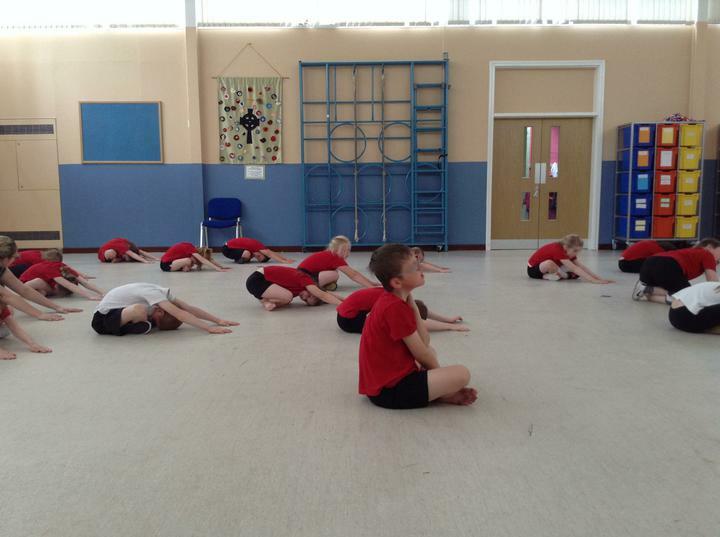 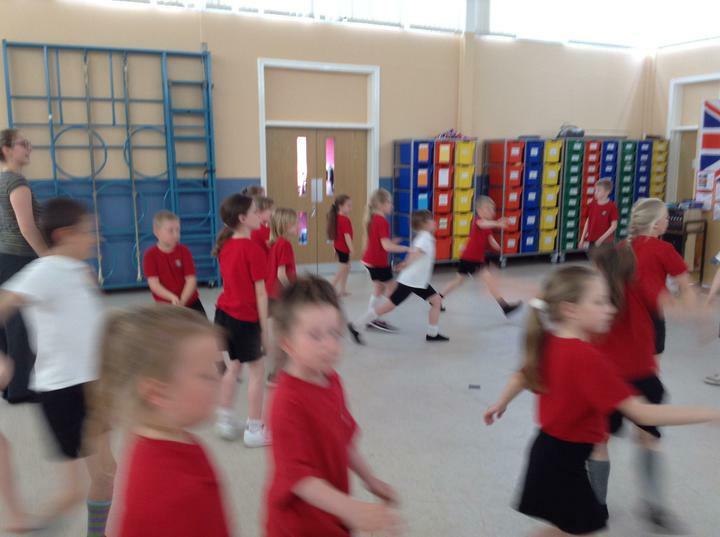 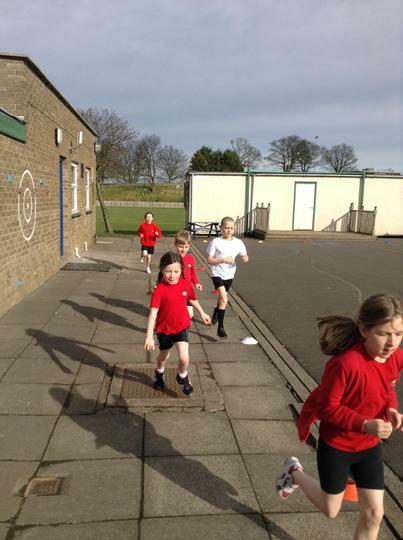 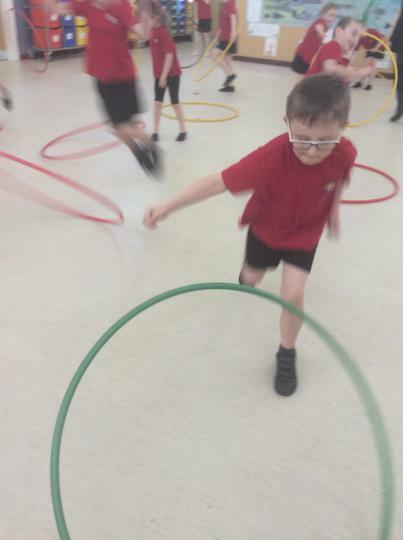 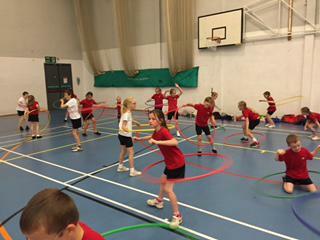 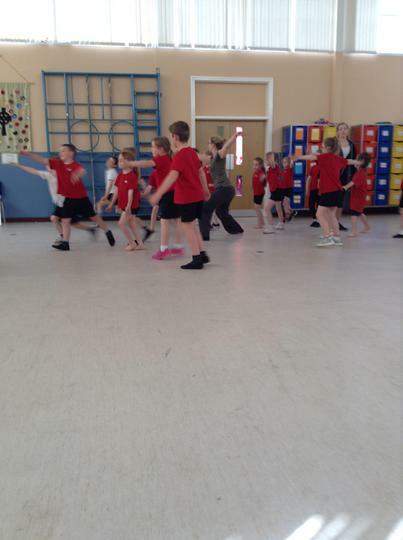 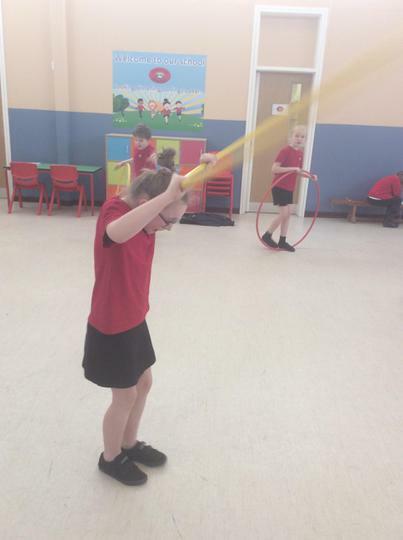 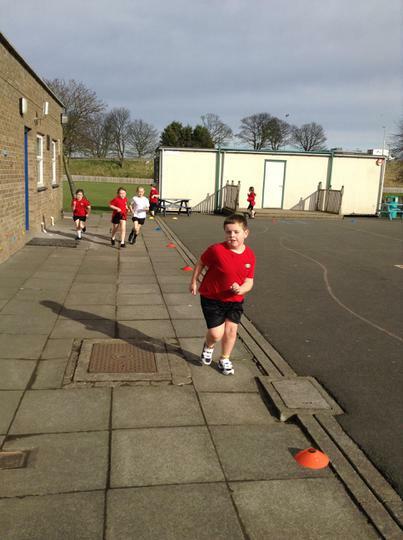 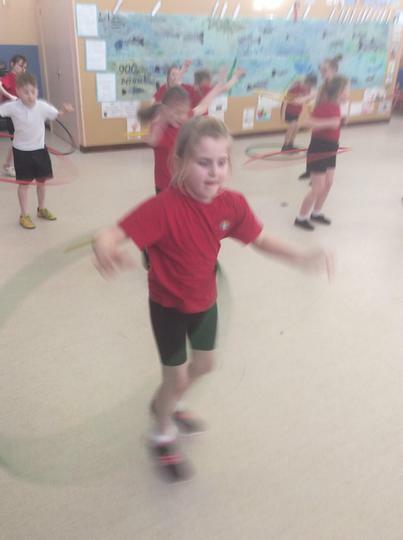 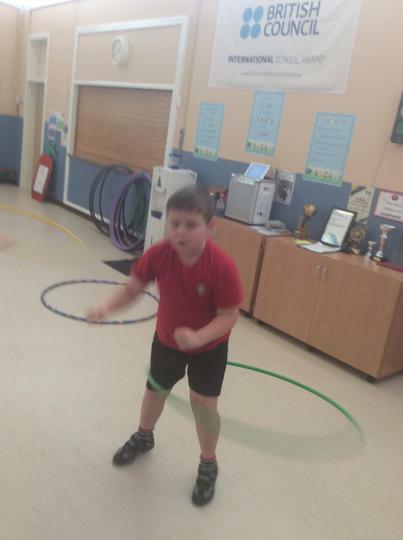 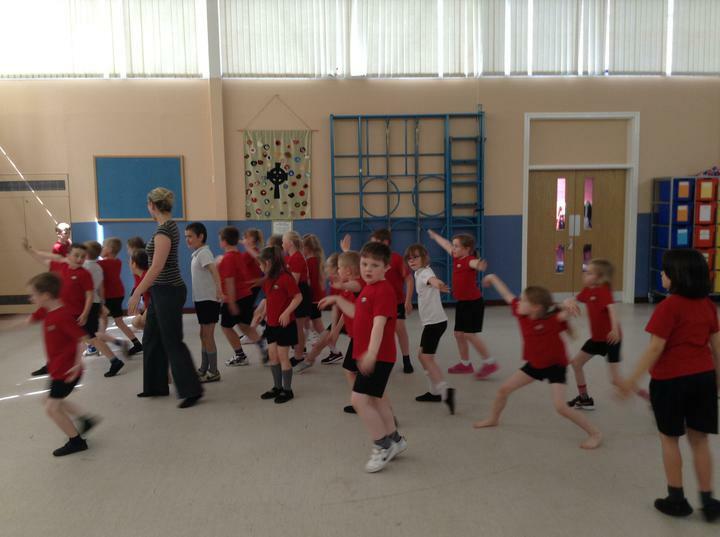 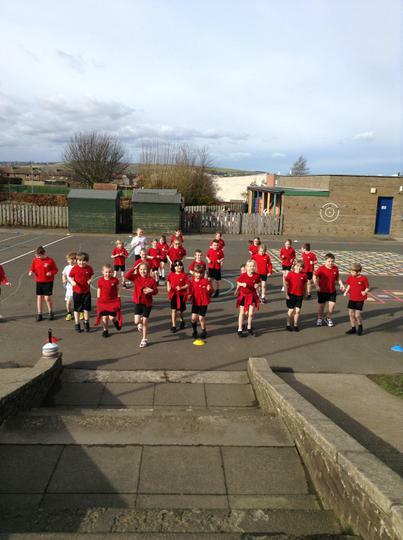 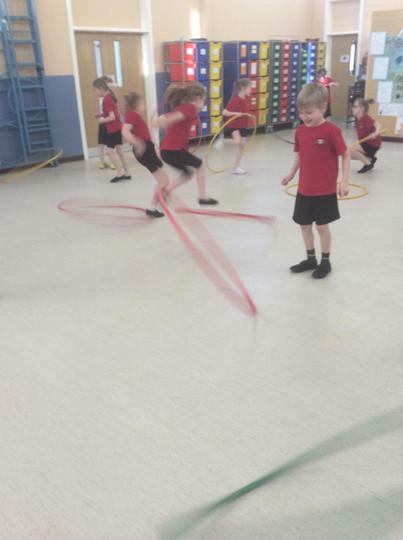 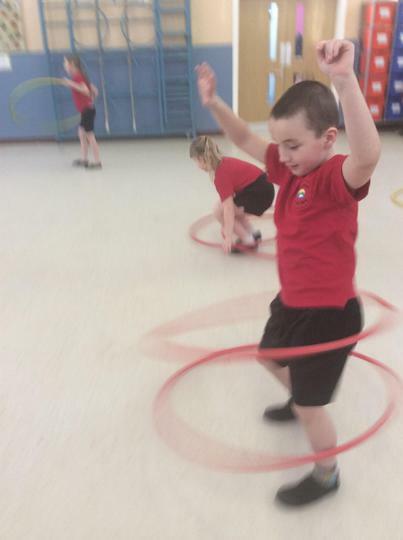 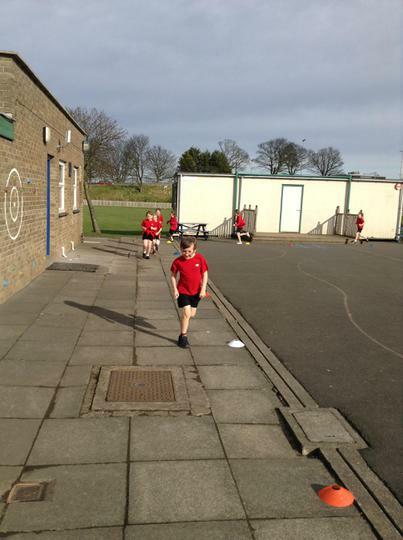 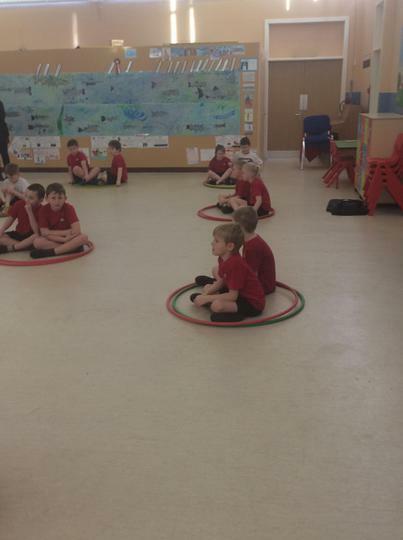 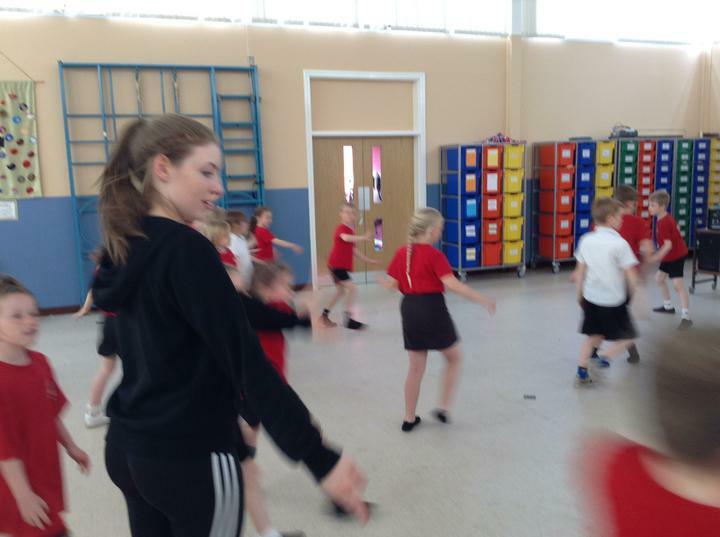 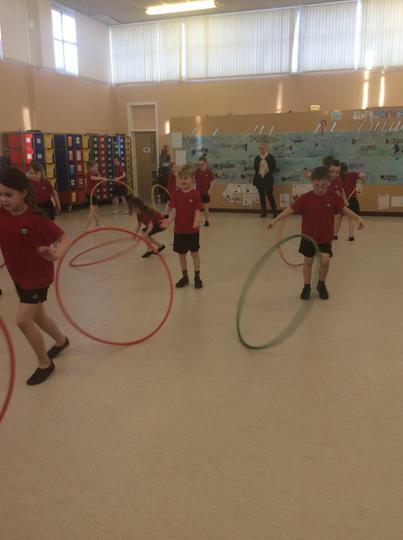 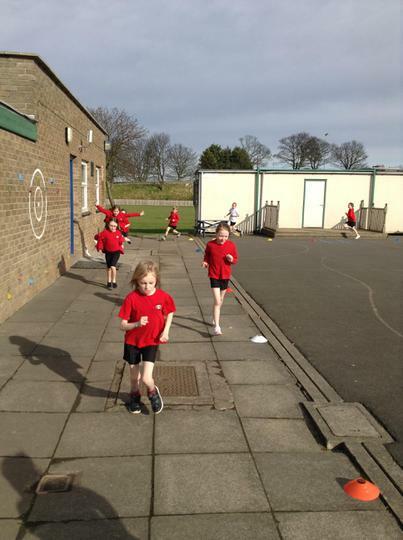 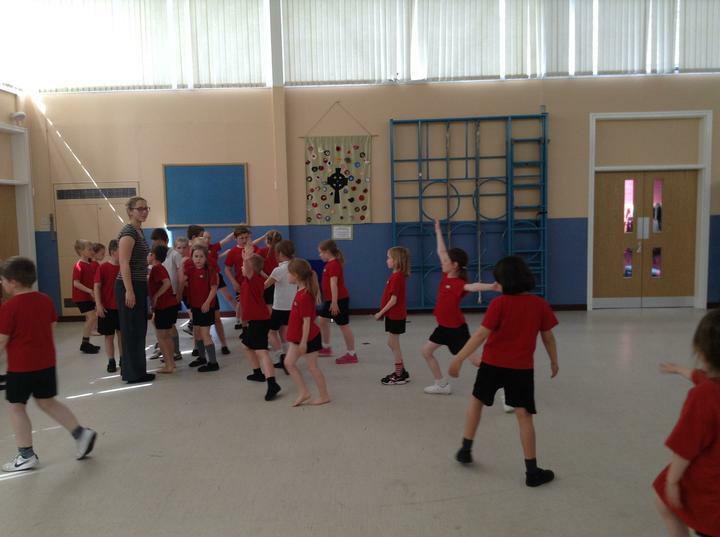 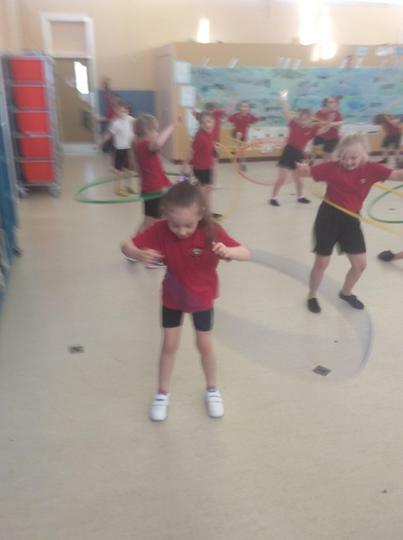 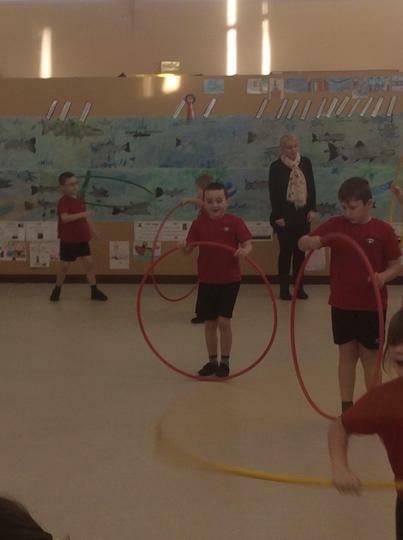 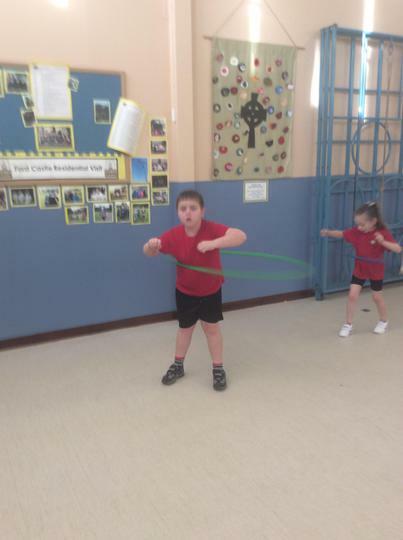 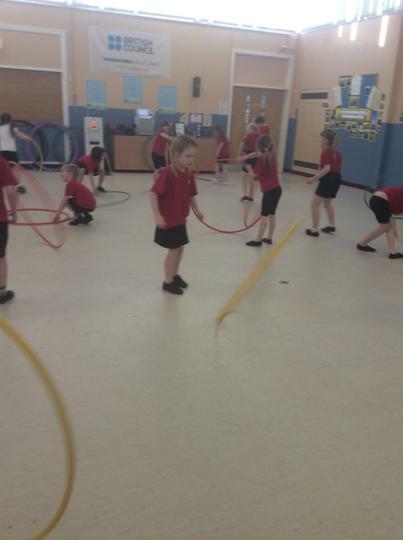 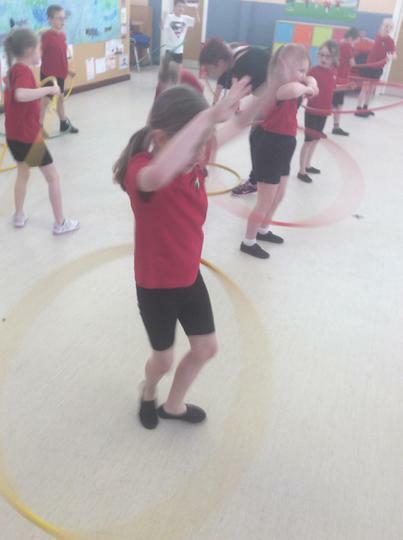 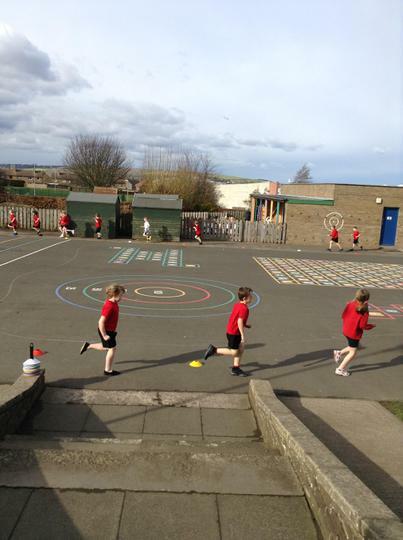 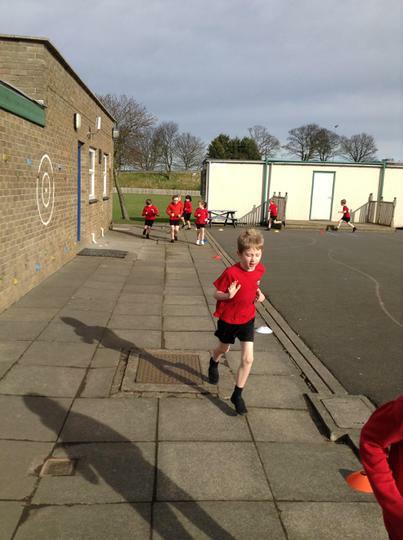 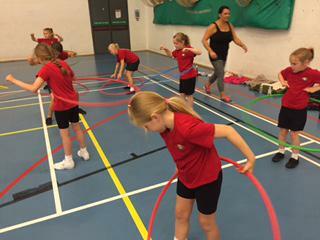 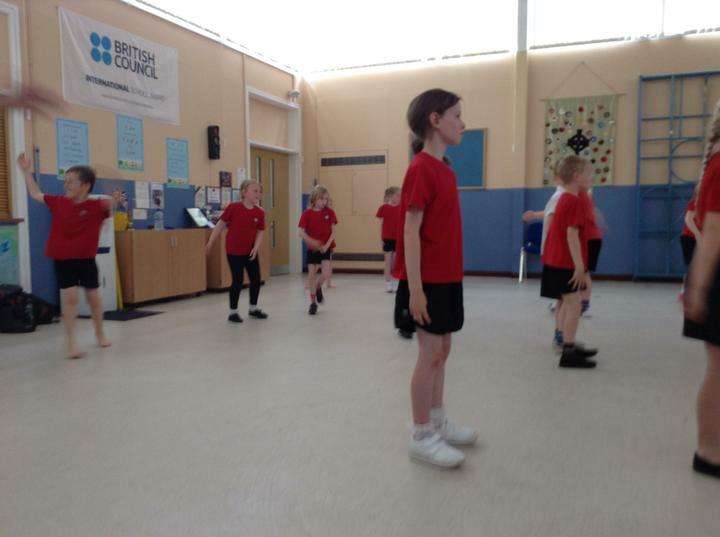 We have been learning to skip for the skipping festival.